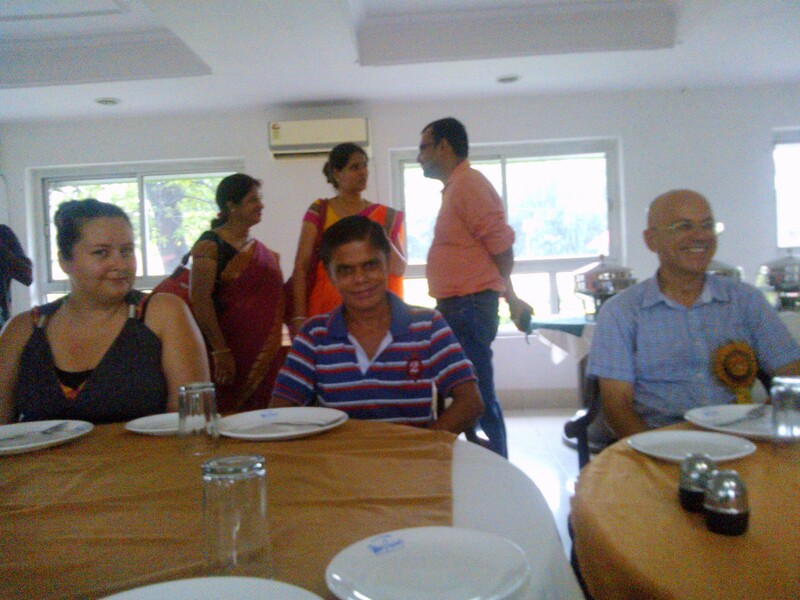 “The love of family and the admiration of friends is much more important than wealth and privilege.” (Charles Kuralt) That’s one of the reasons why I always look for moments when I can be in company of my old friends. 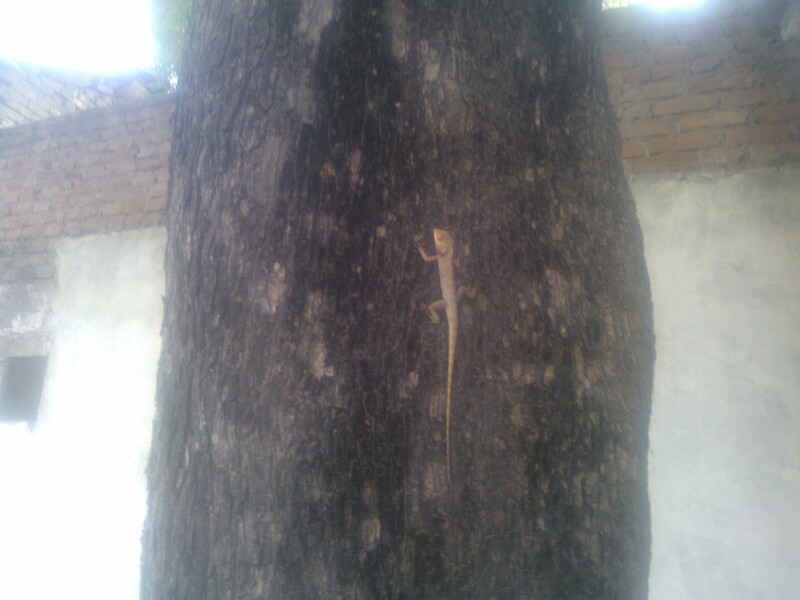 Their company helps me to assess my one’s own growth in better light. 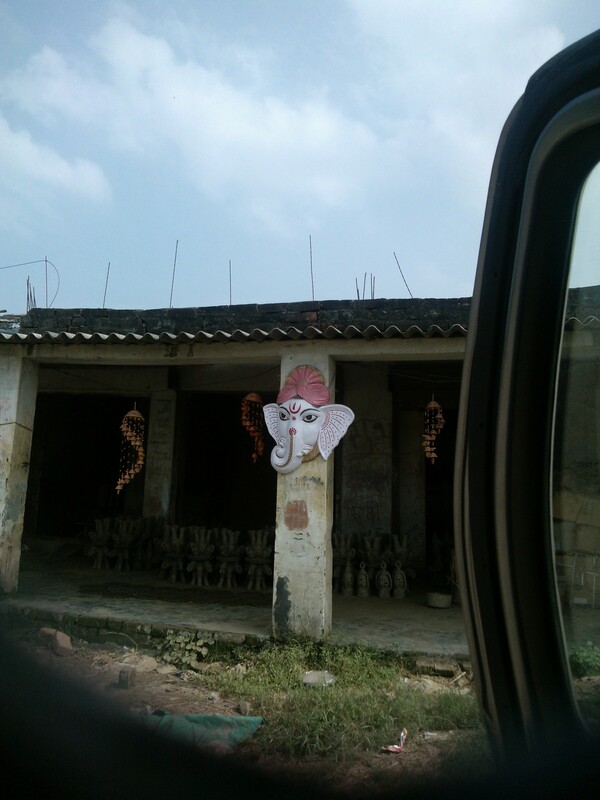 It’s interesting that one always looks for substantial cause to enter into celebrations. 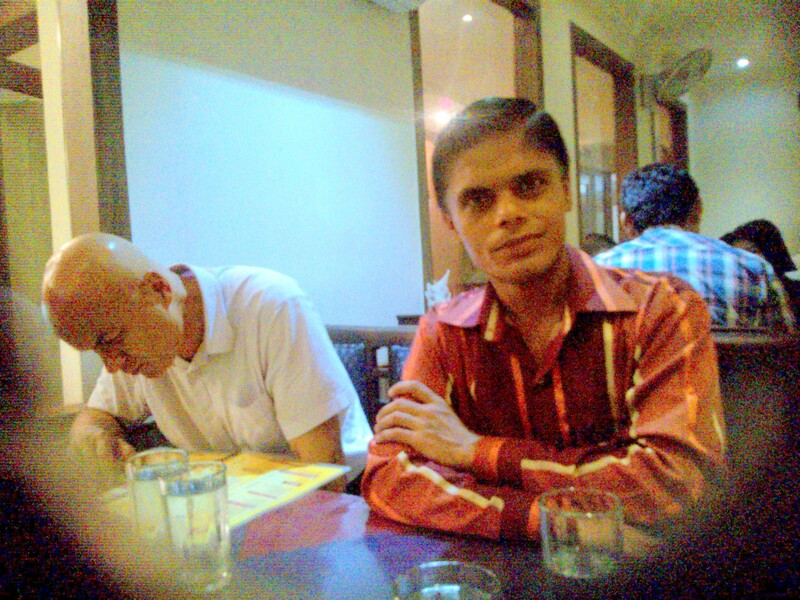 That’s something which makes me uncomfortable since I love to celebrate even if there is no such weighty reason around! 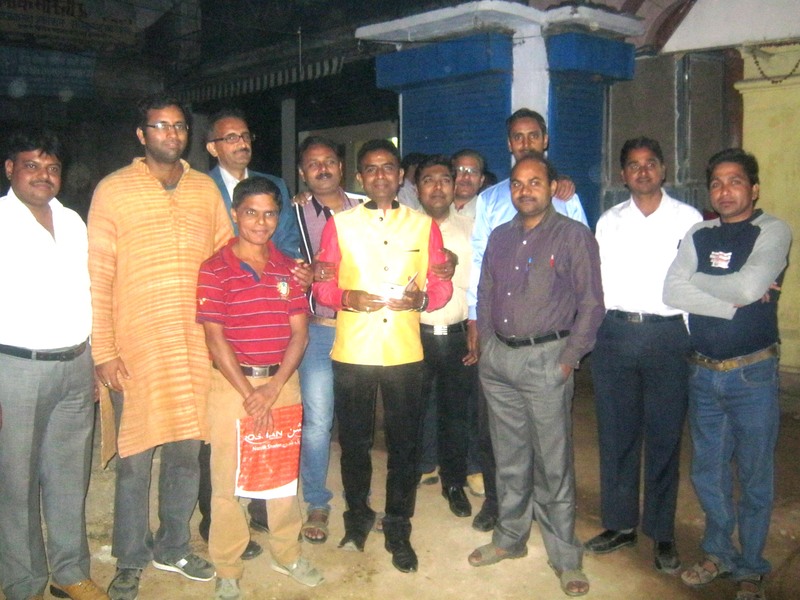 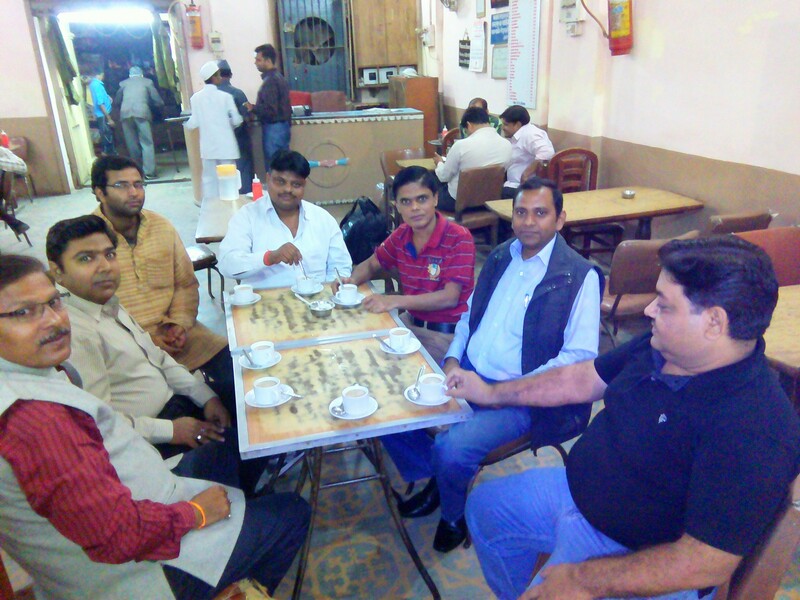 This time I managed to persuade all my old friends to be at historic coffee house, Allahabad, all in the name of celebrating grant of fellowship by Aavartan Research Institute, Gorakhpur. 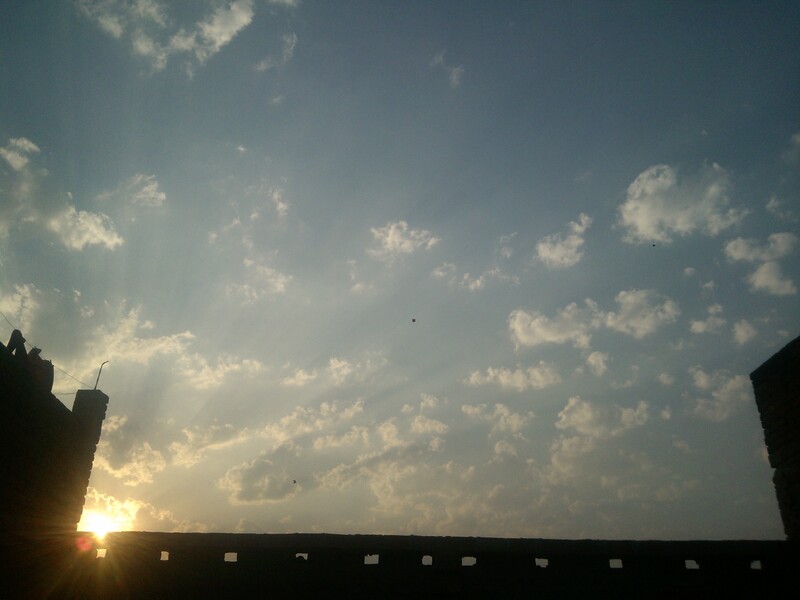 That was enough to tame the curious minds of some of my friends too anxious to know the exact reason! 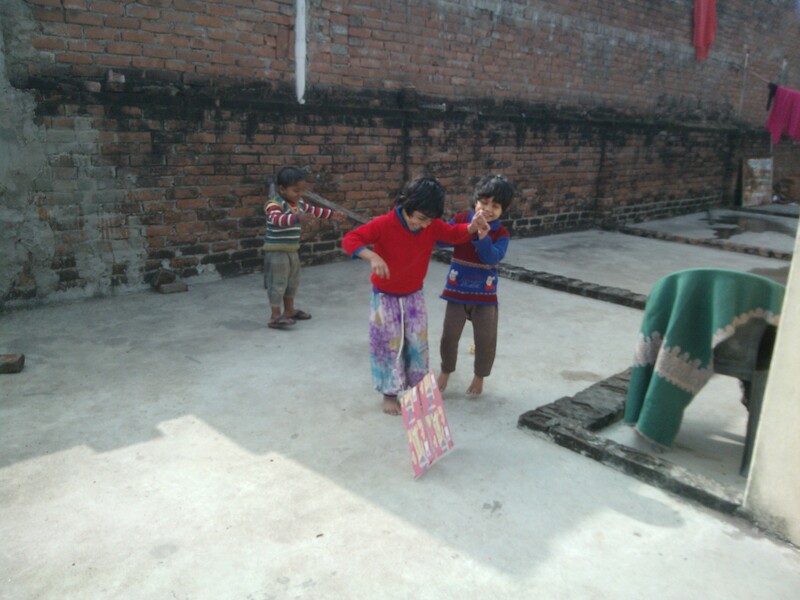 The real reason, however, was to spend some fun-filled moments with them. 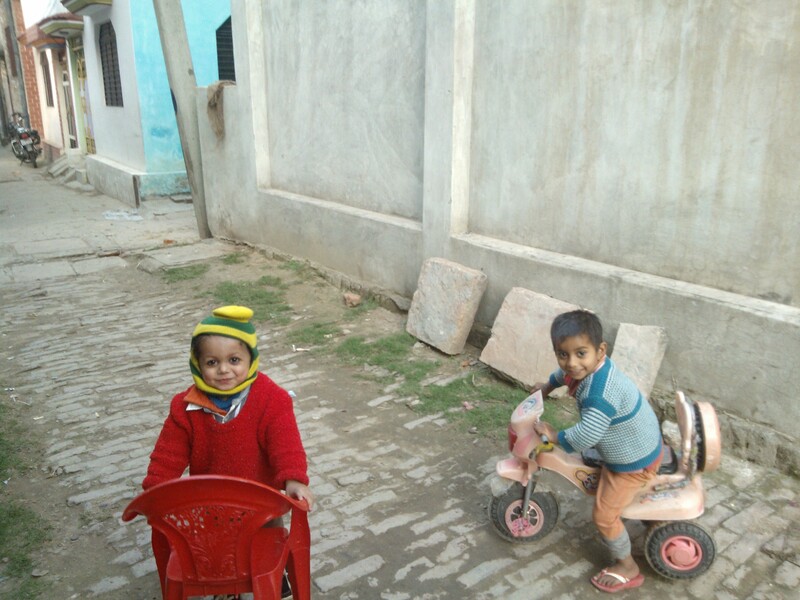 Life has become so hectic that it does not allow two individuals, however close they may be as friends, to sit together and get lost in old memories. 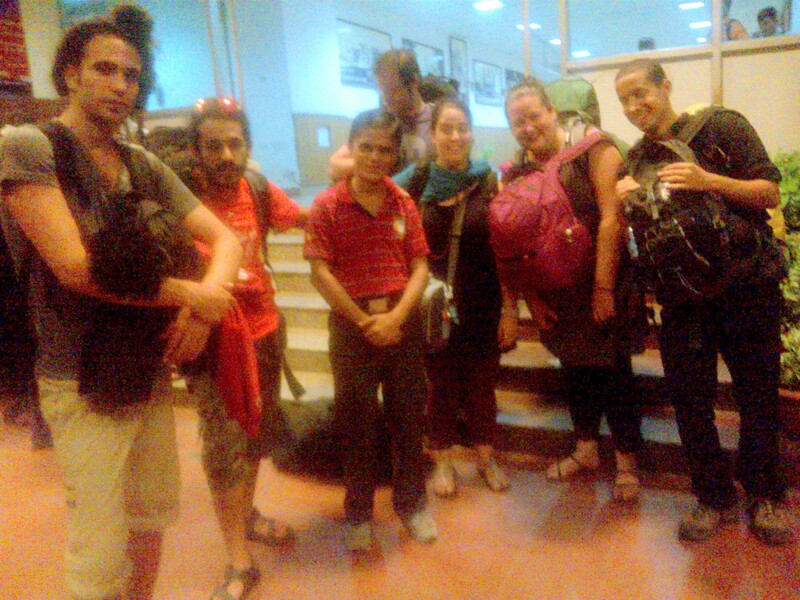 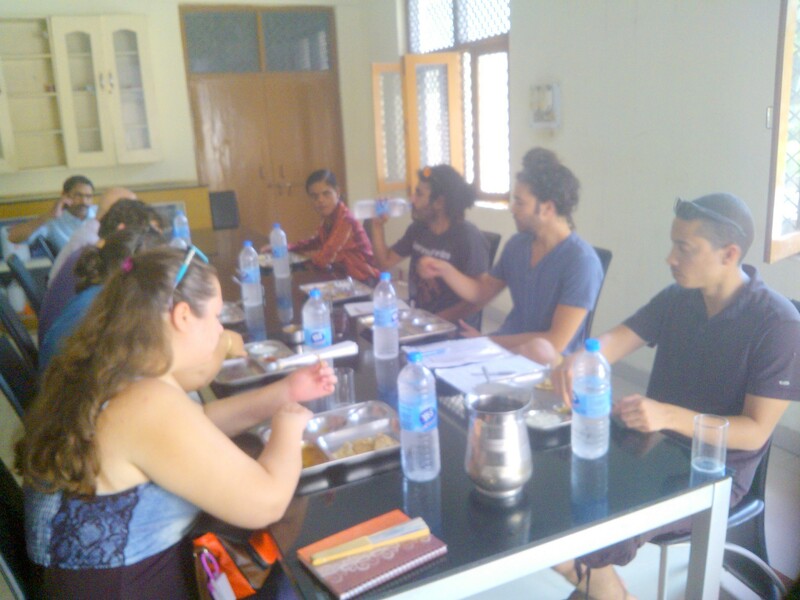 That was the ultimate purport of organizing this get together with some chosen friends! 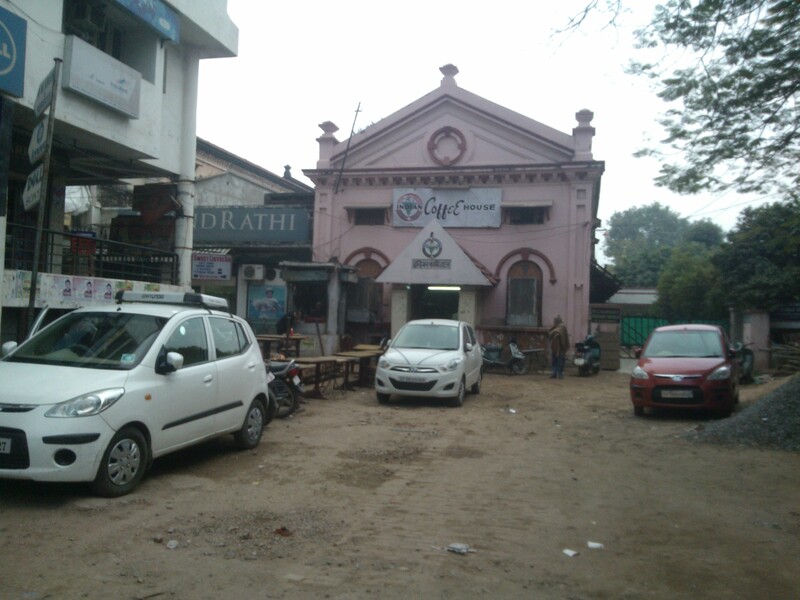 Why Coffee House? 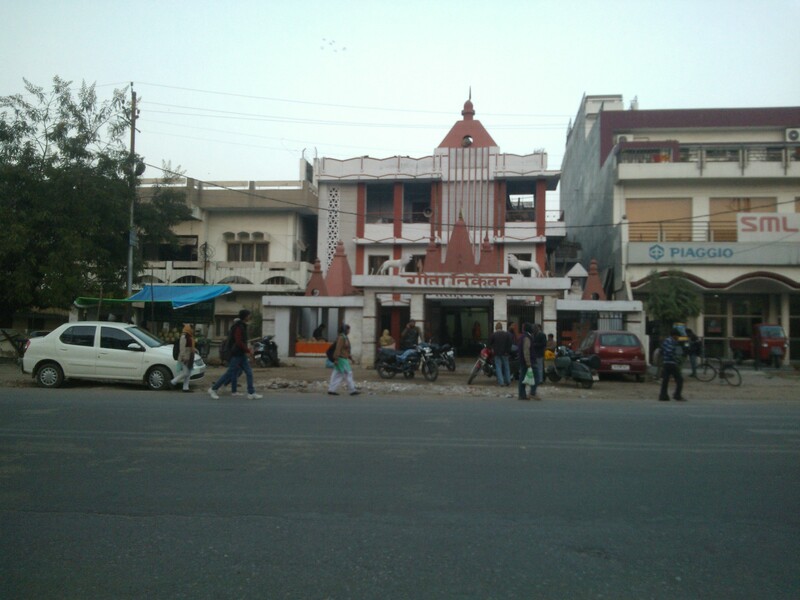 Allahabad has recently developed a lot having so many bright and glamorous food outlets but I selected Coffee House simply because being there means becoming part of its glorious history! 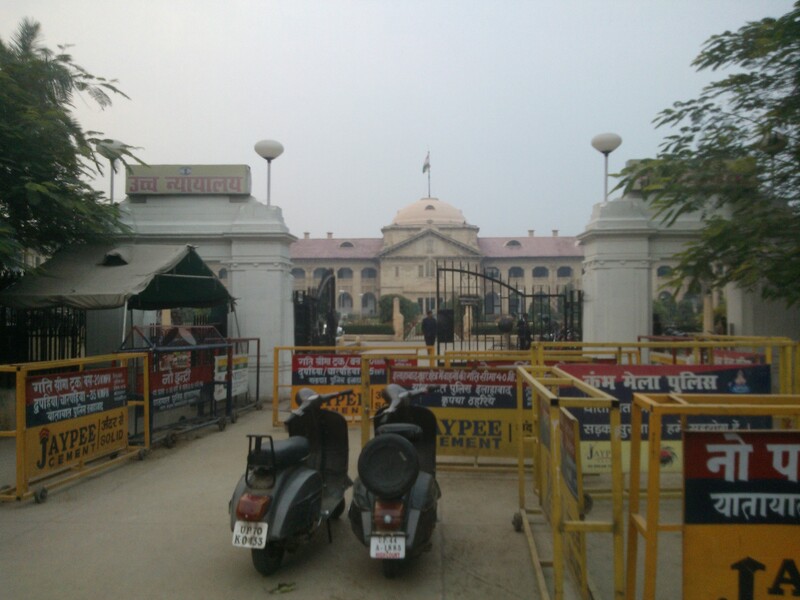 This place is always occupied by legal hawks, writers and journalists during noon hours and by evening well-known oldies occupy the seats for long hours. 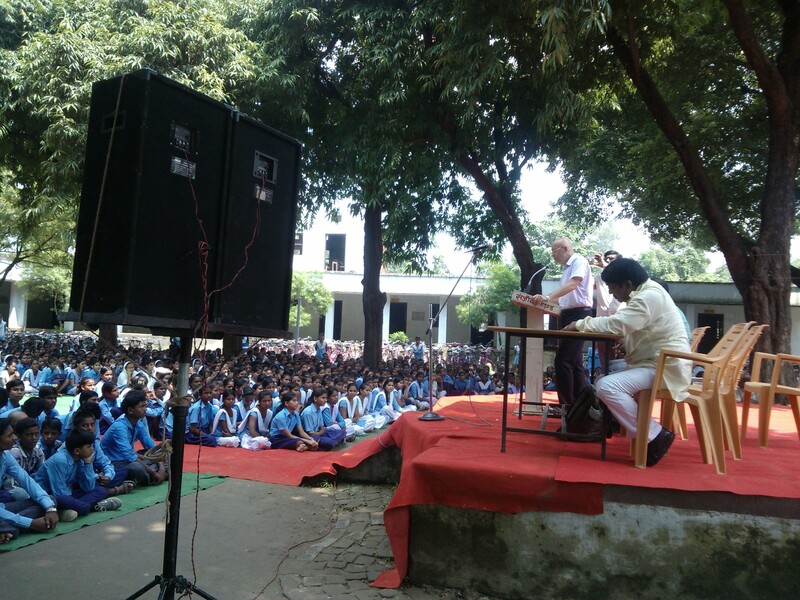 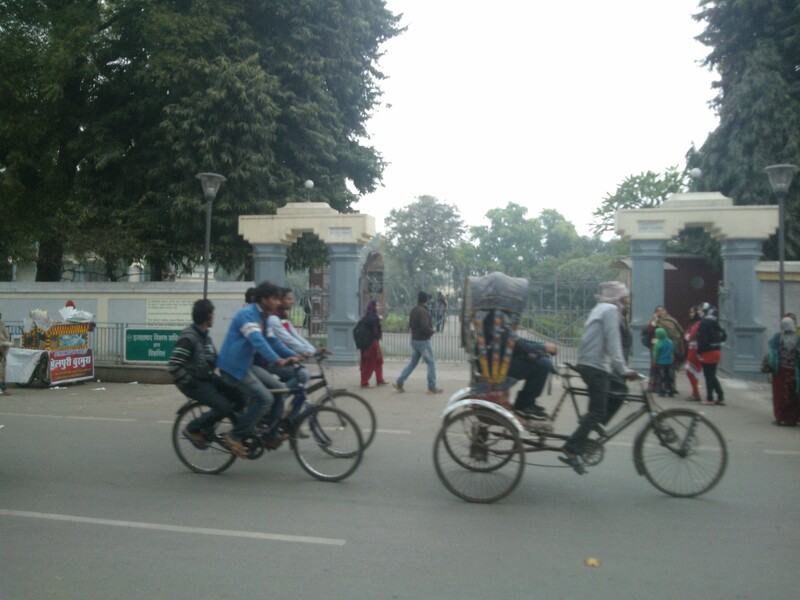 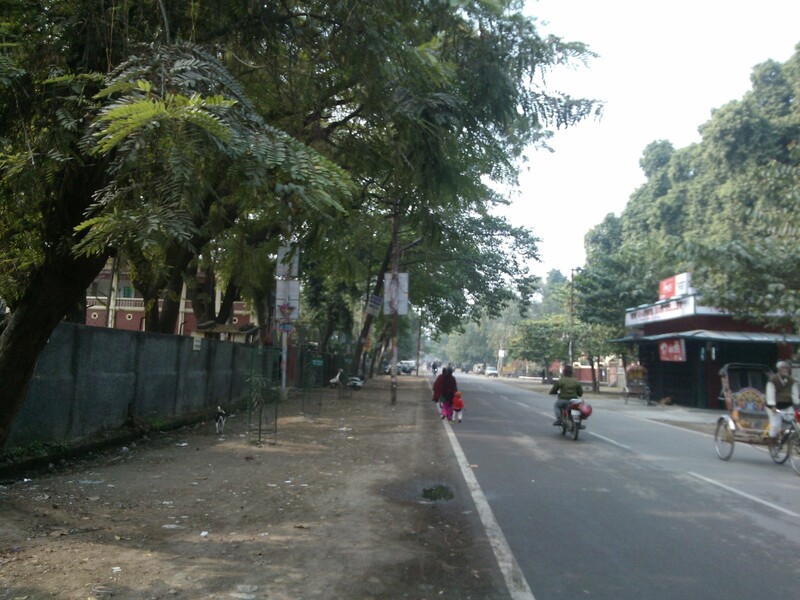 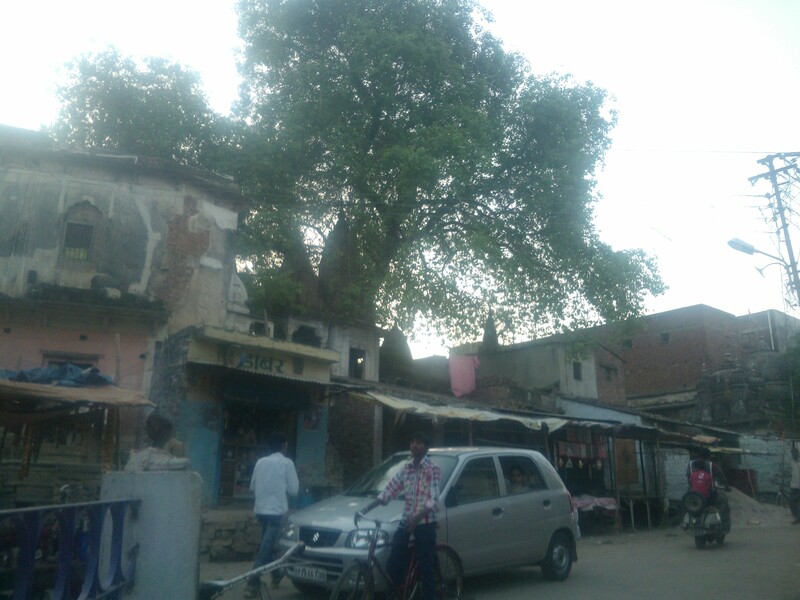 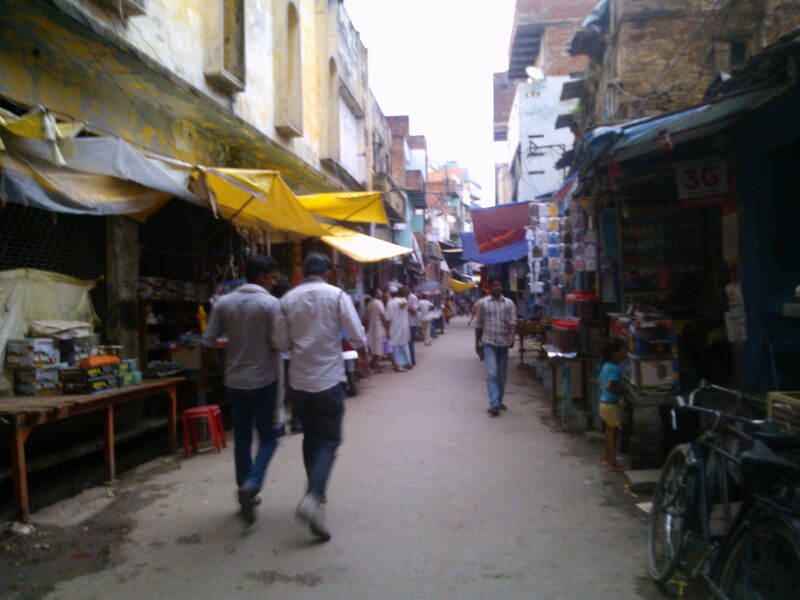 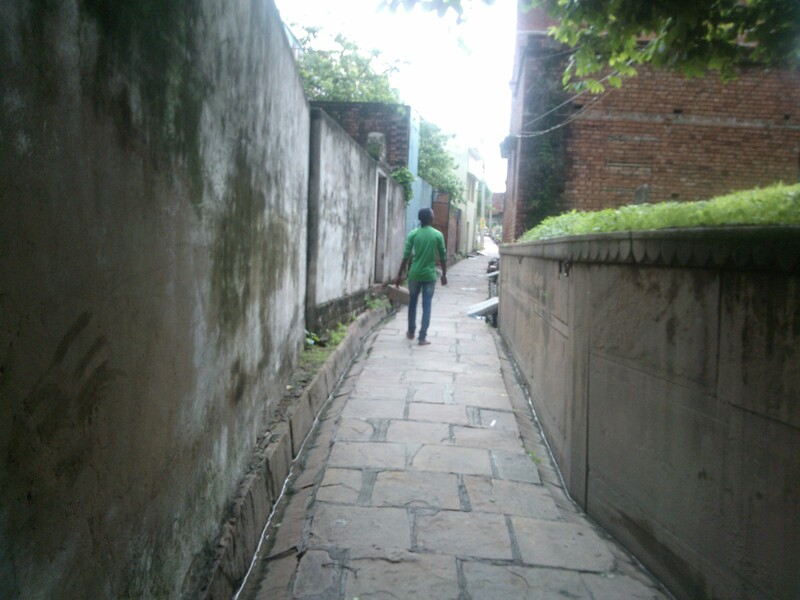 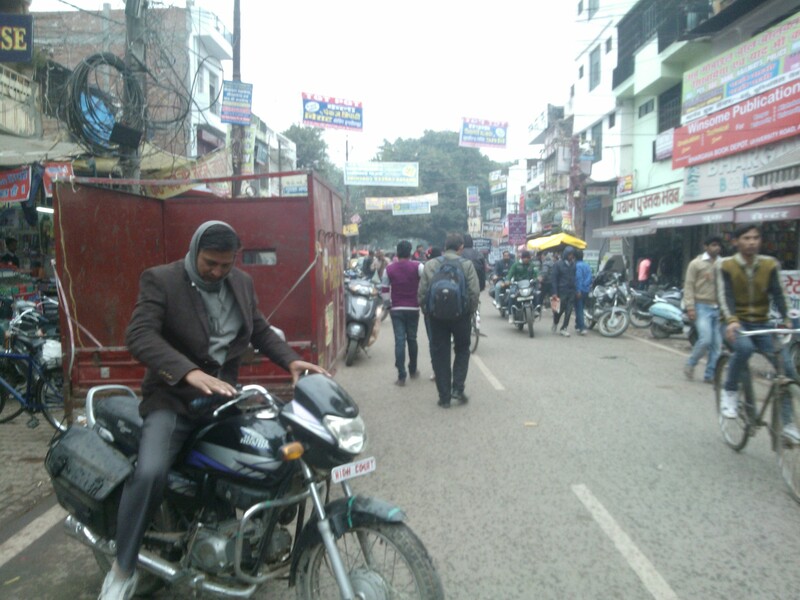 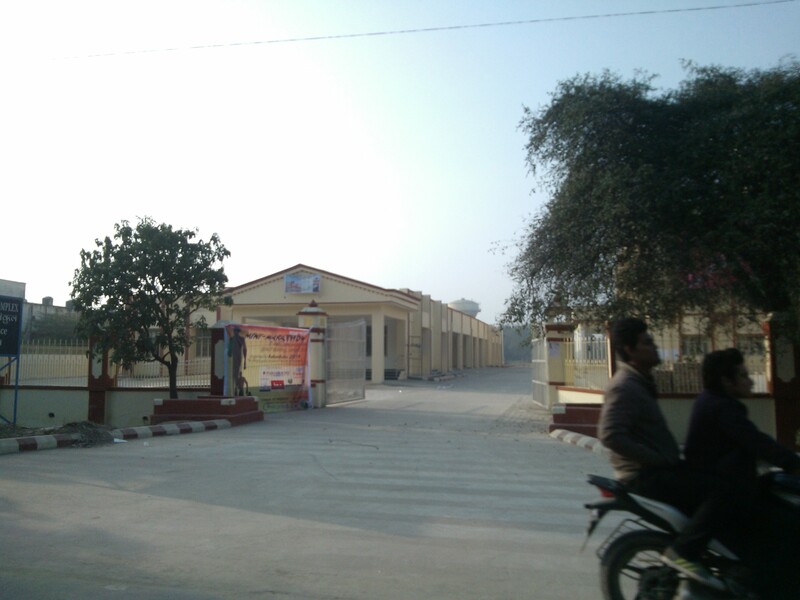 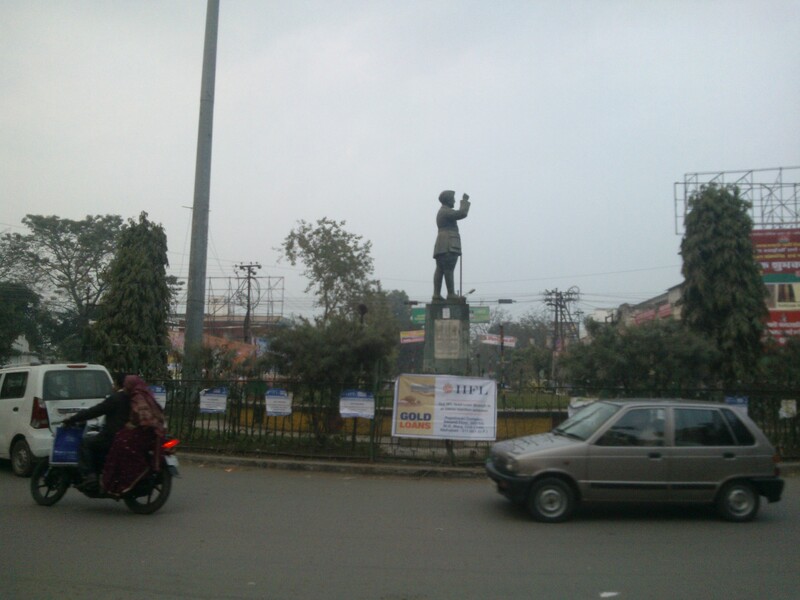 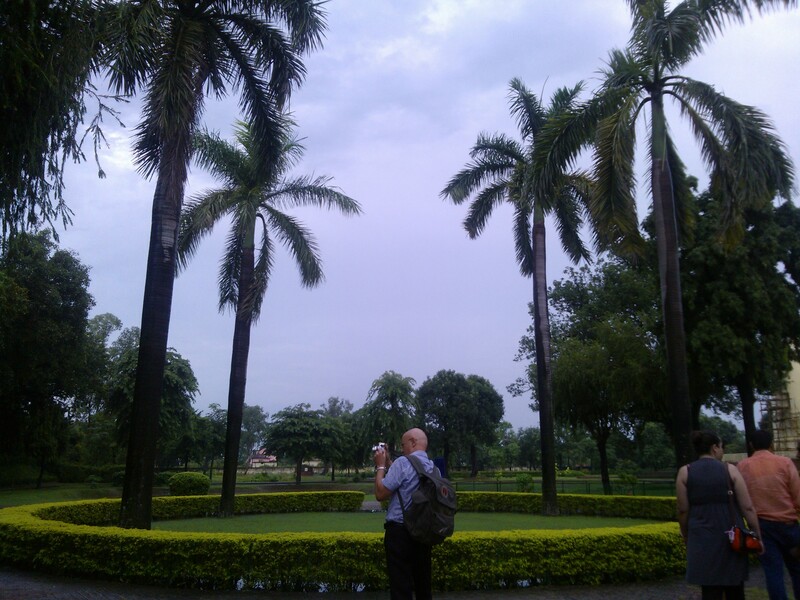 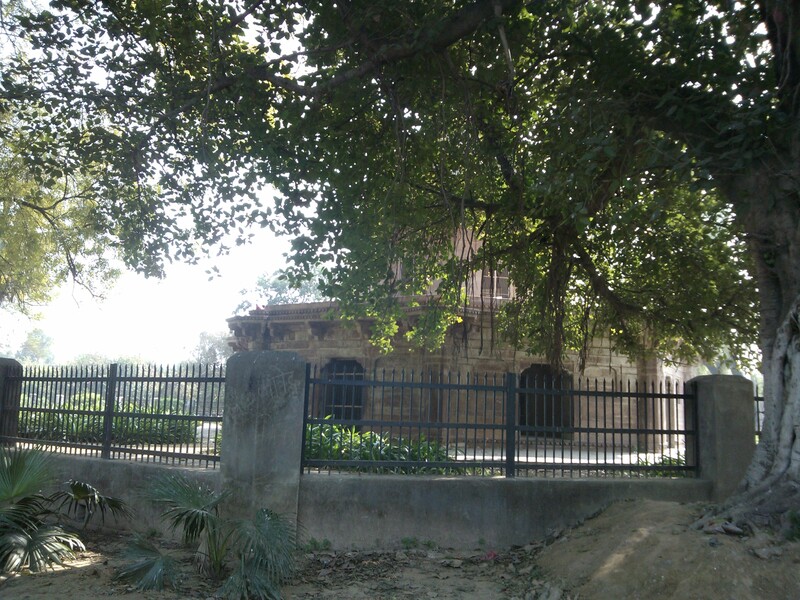 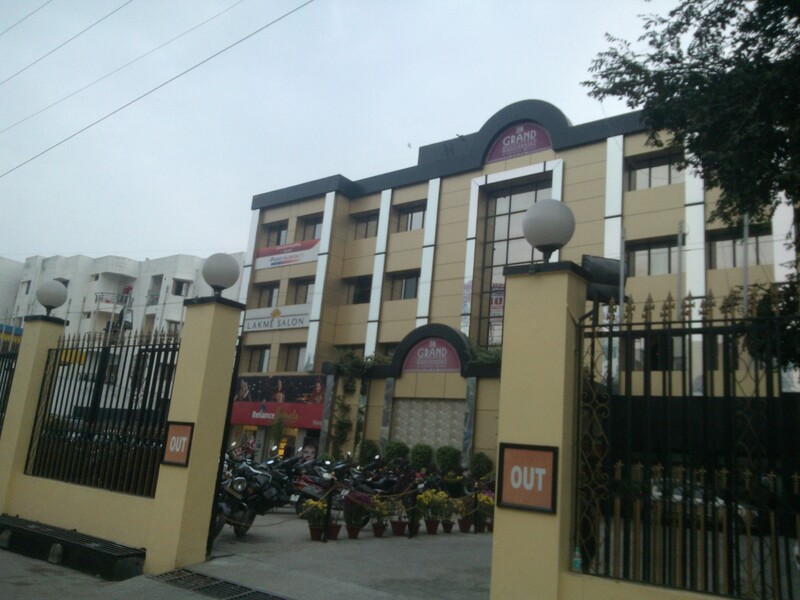 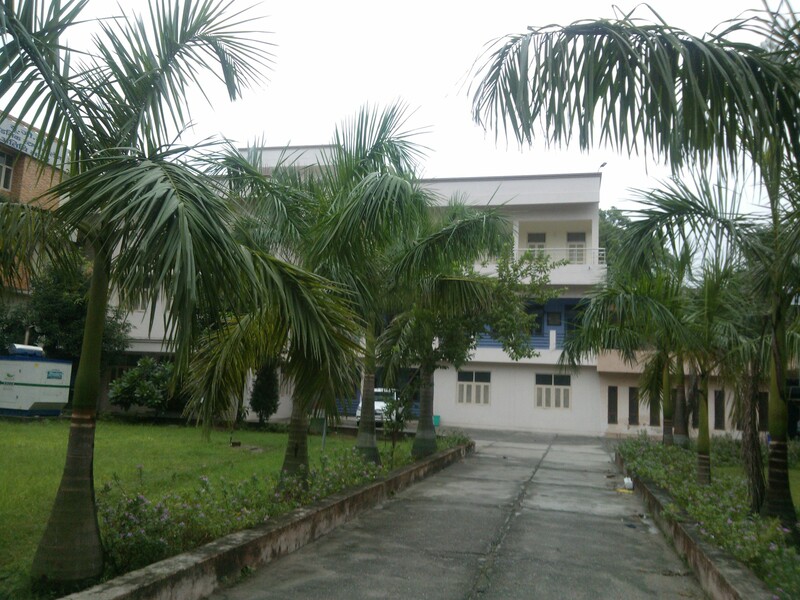 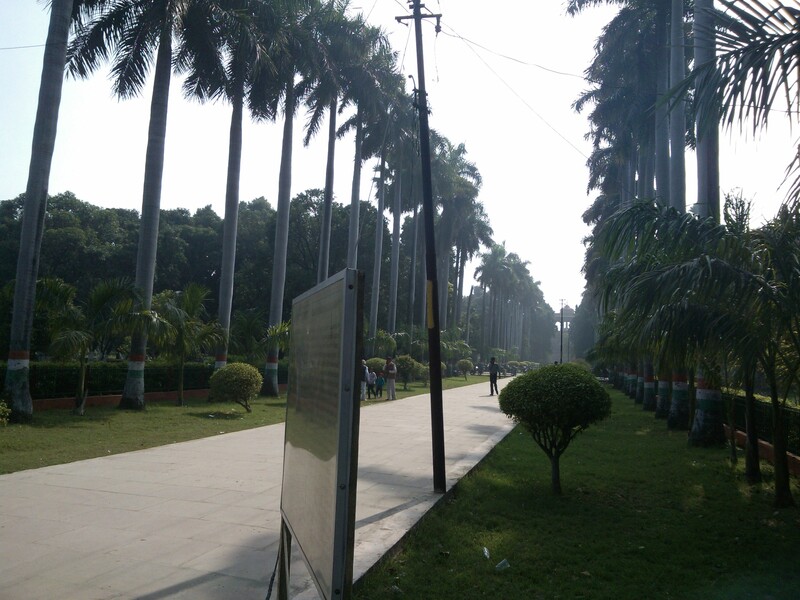 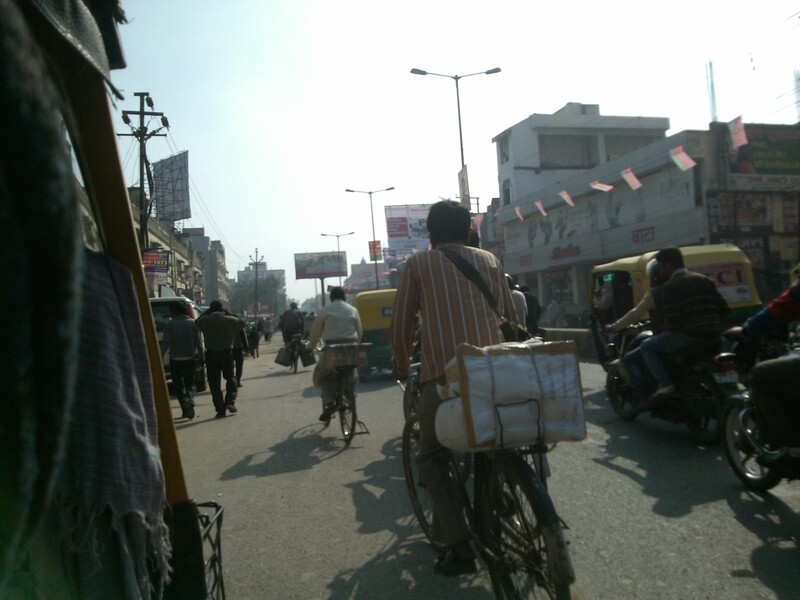 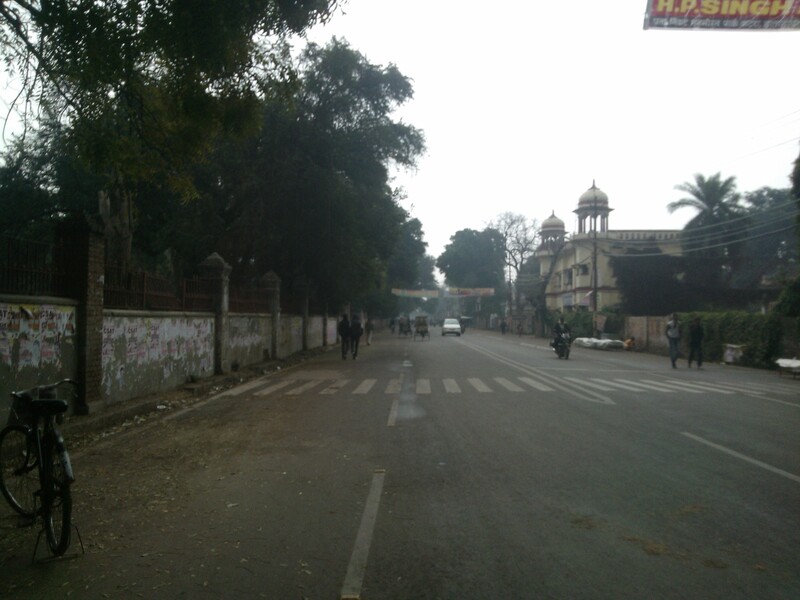 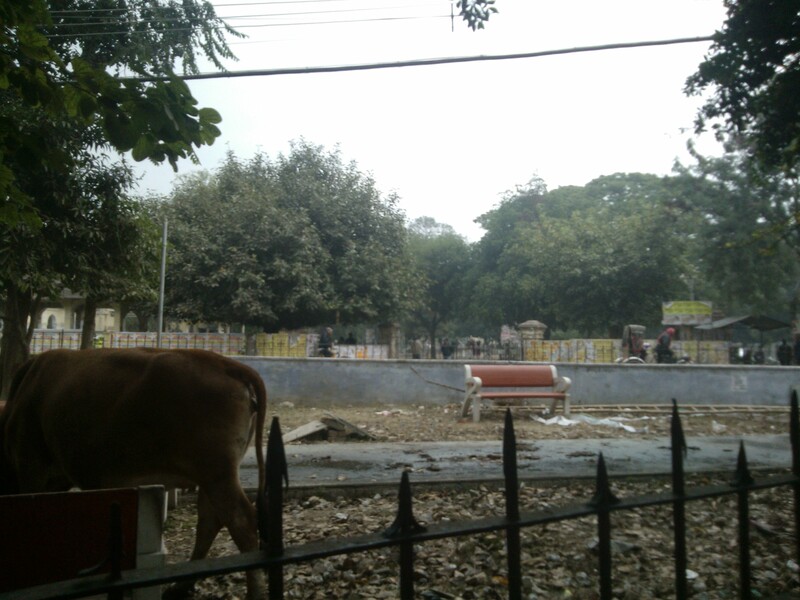 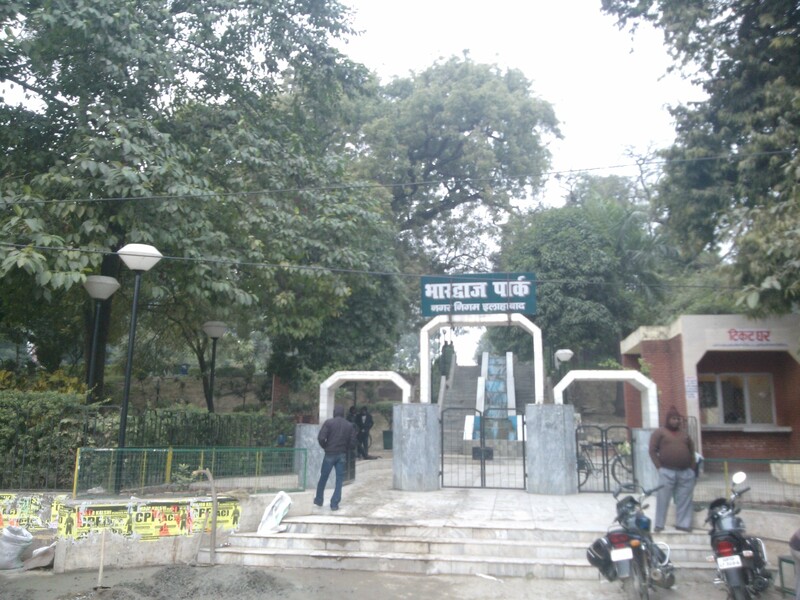 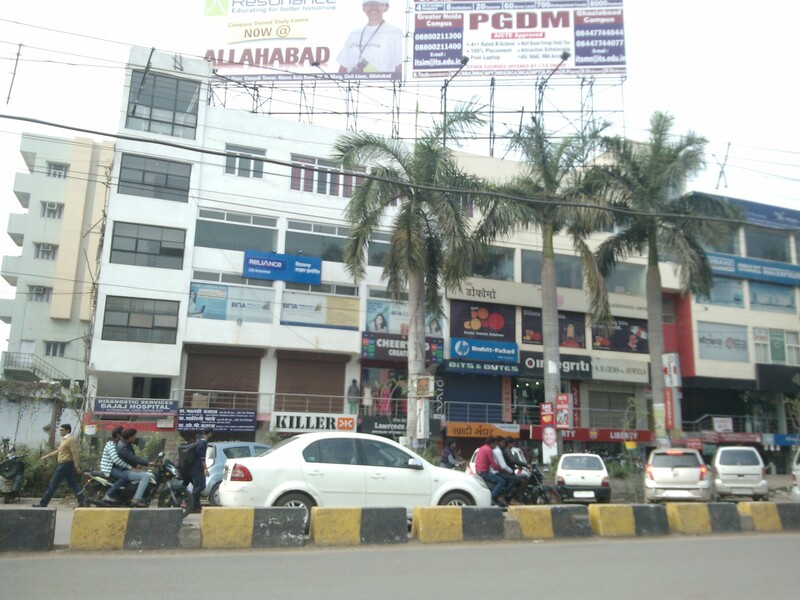 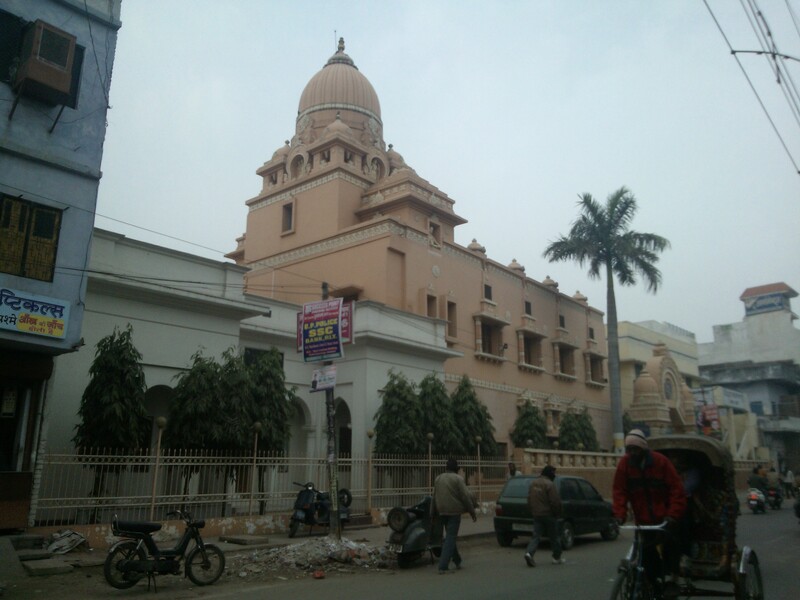 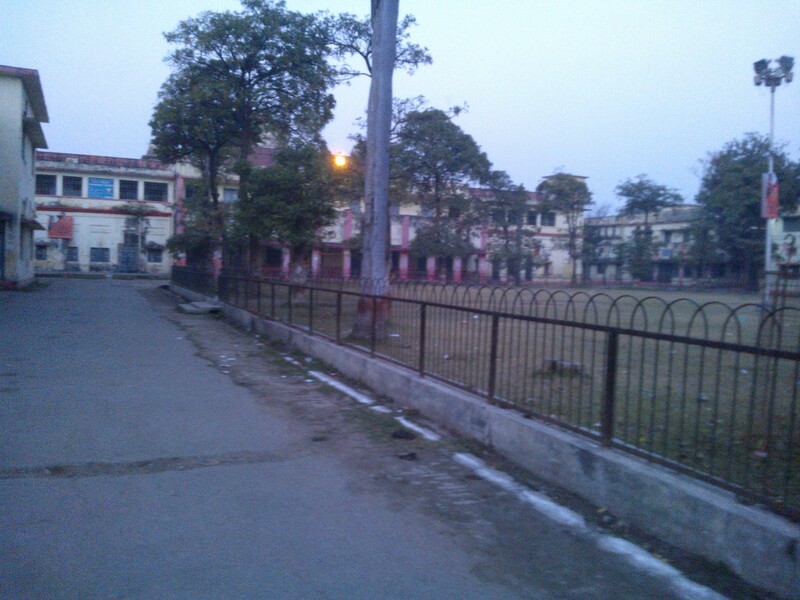 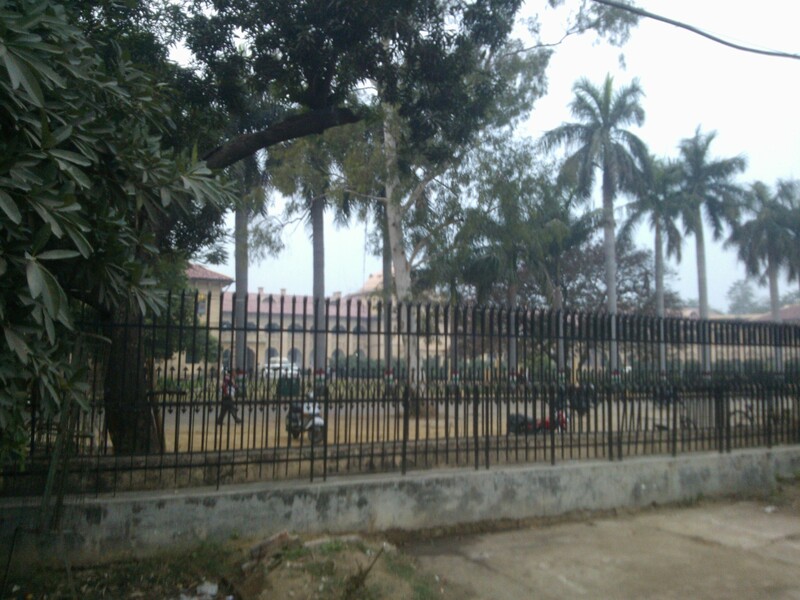 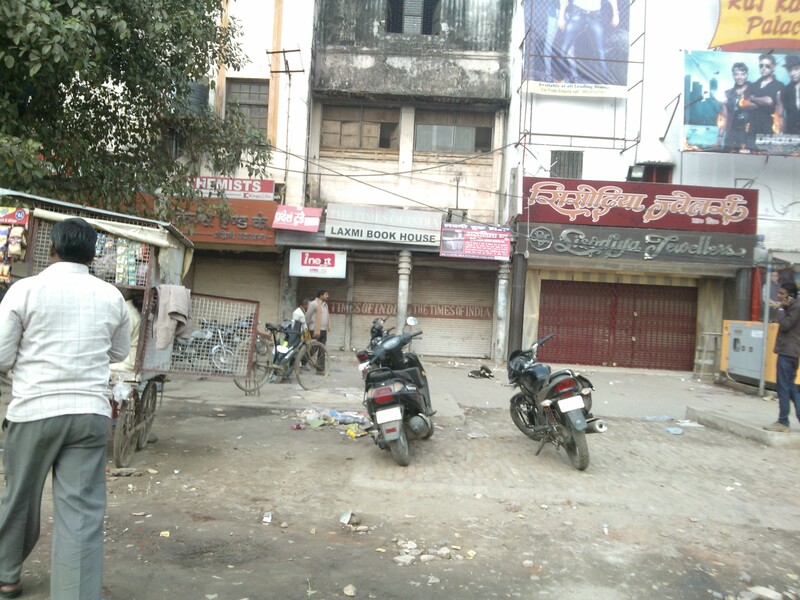 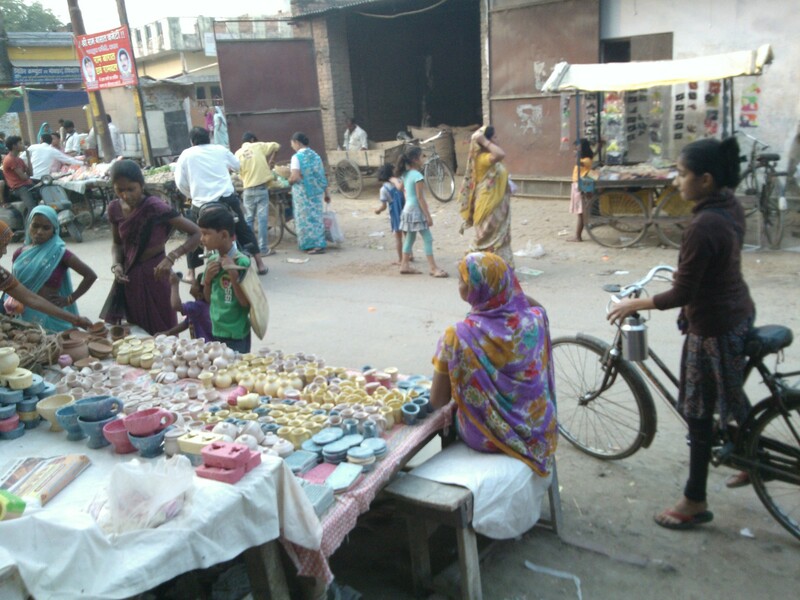 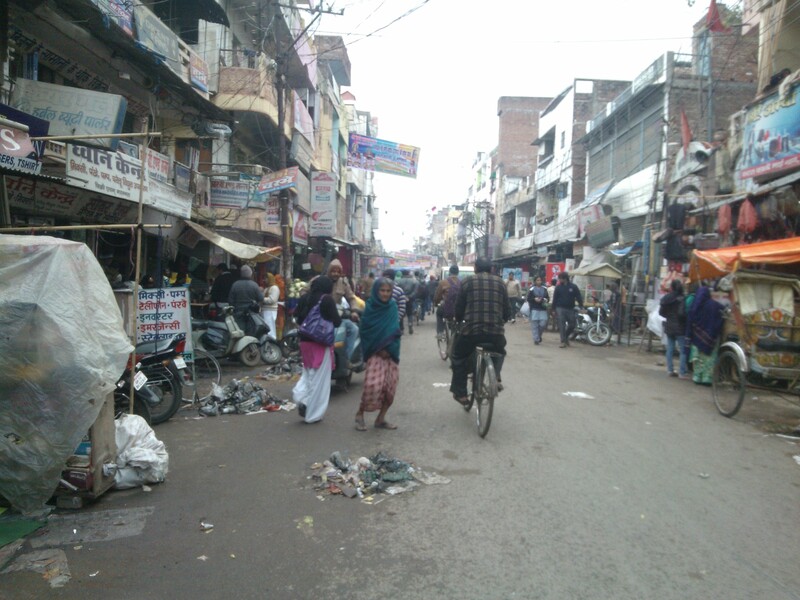 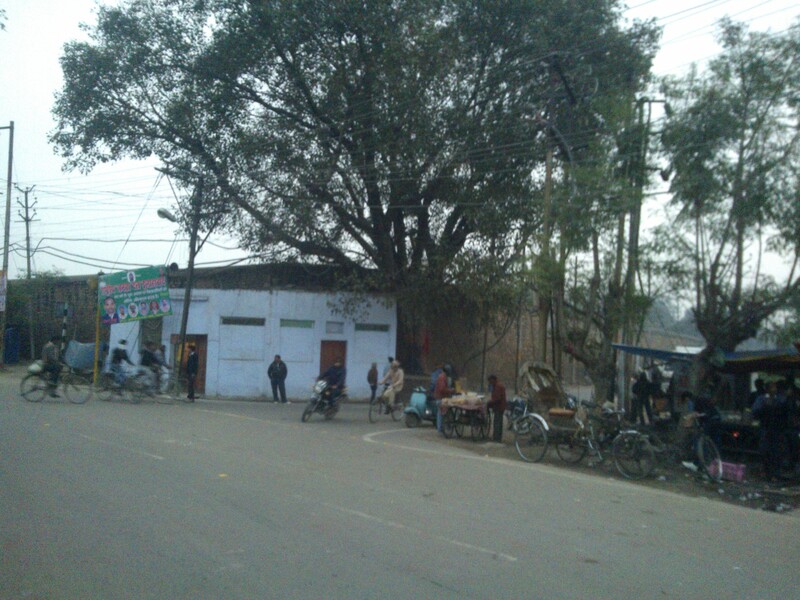 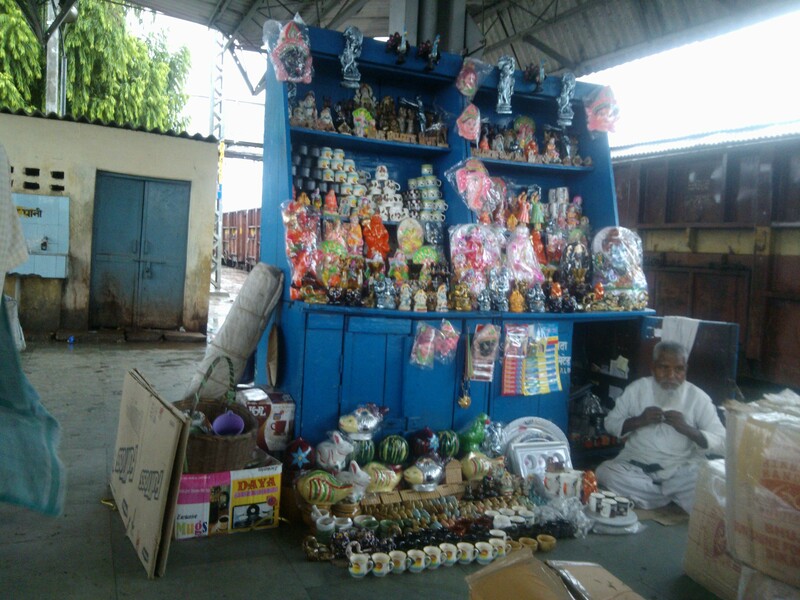 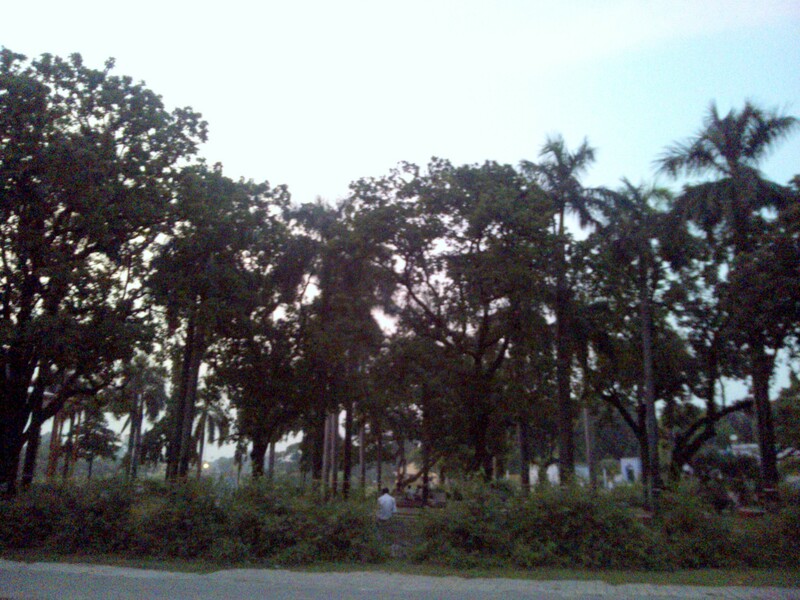 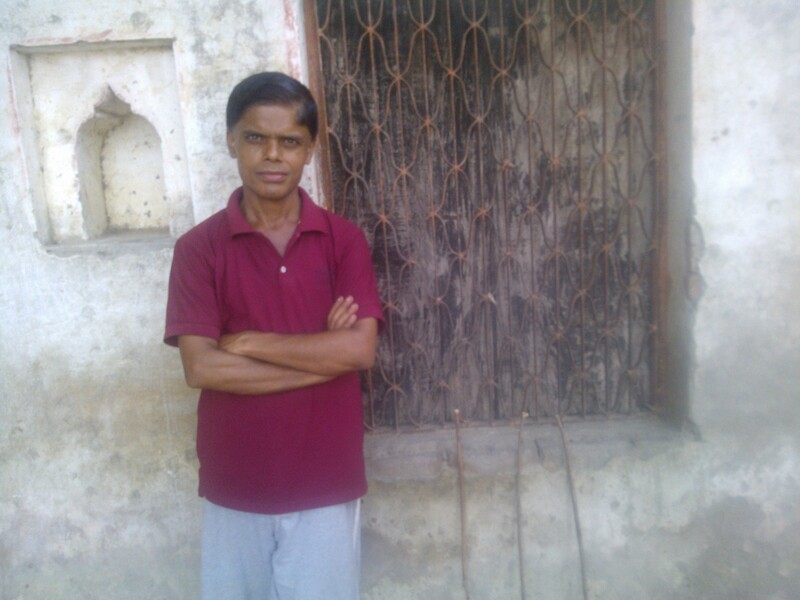 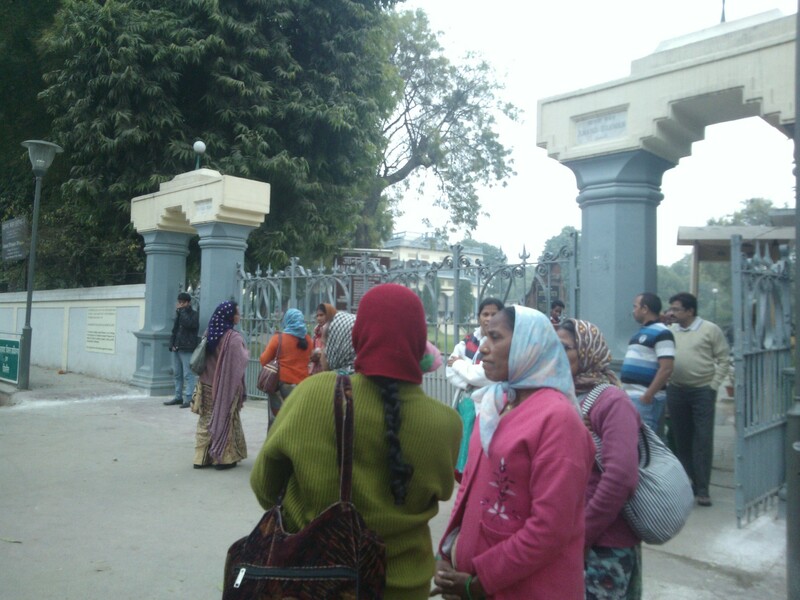 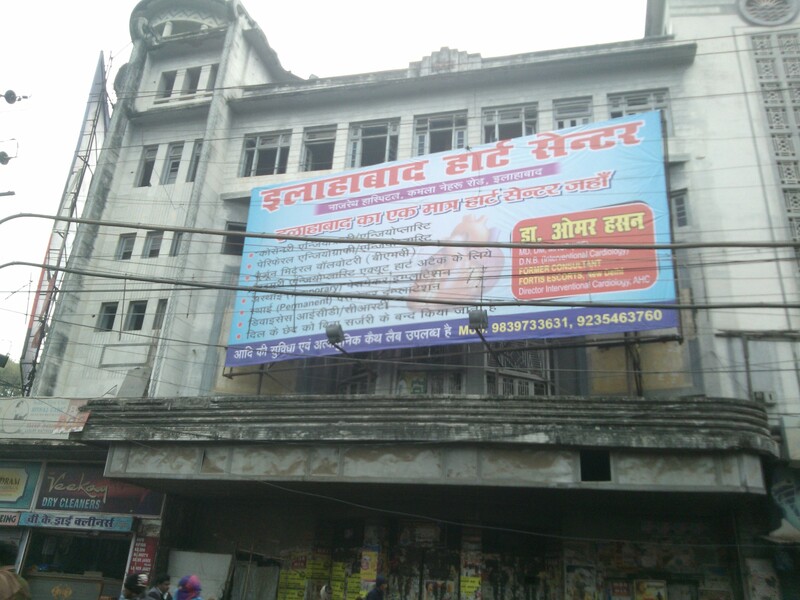 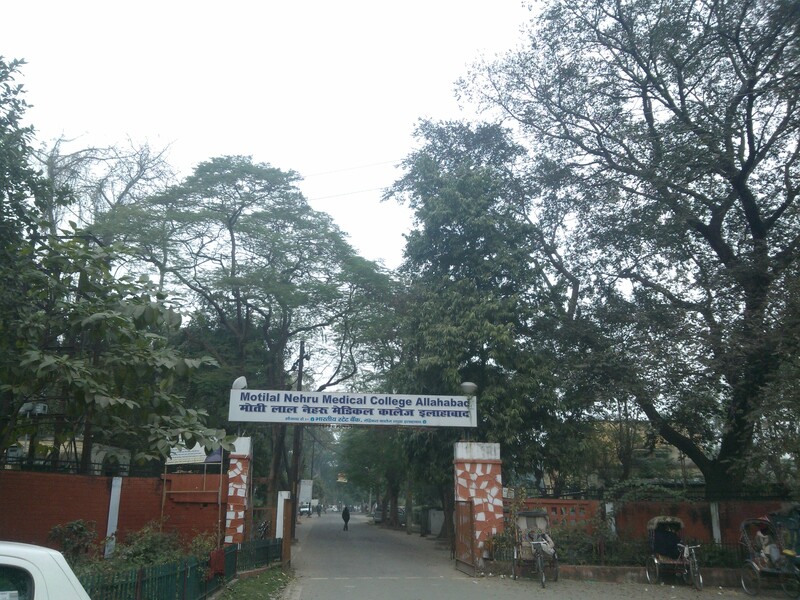 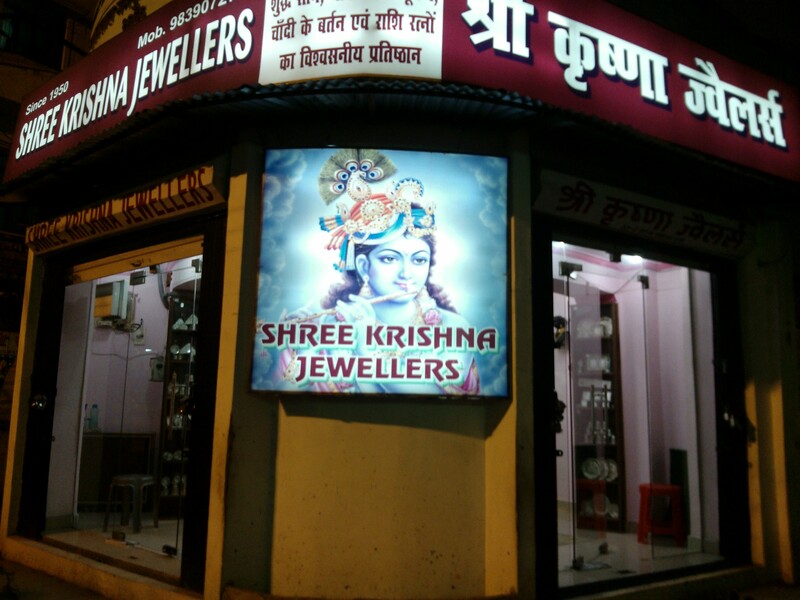 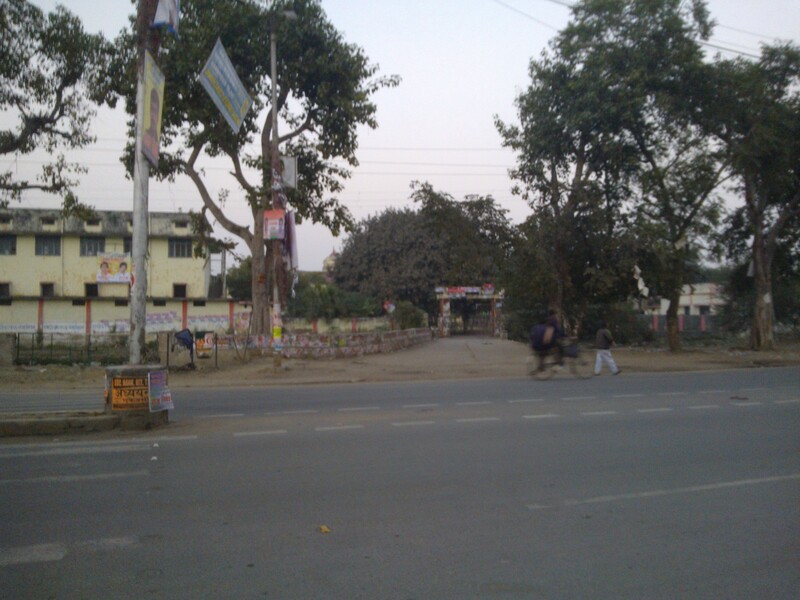 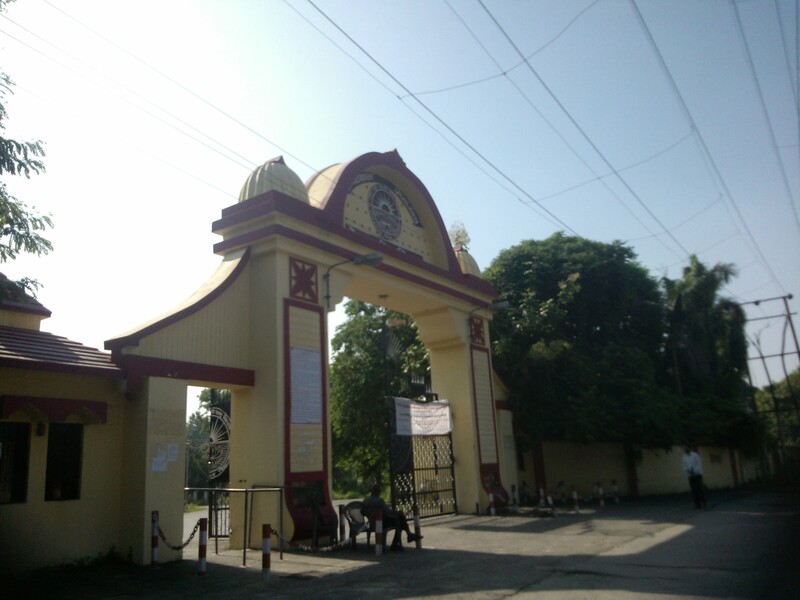 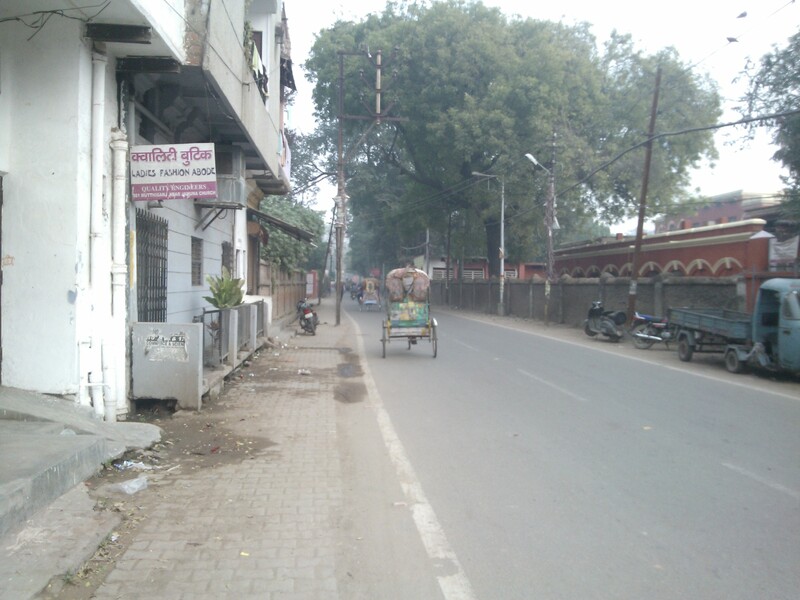 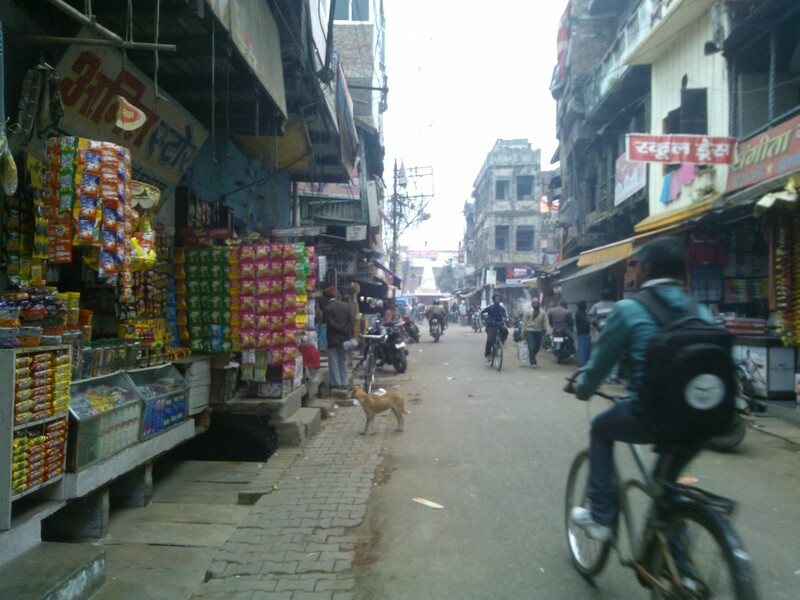 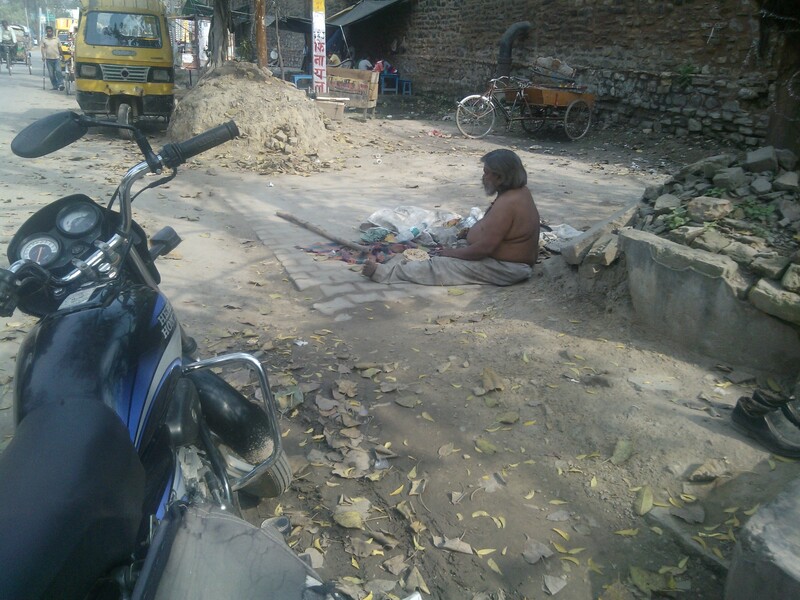 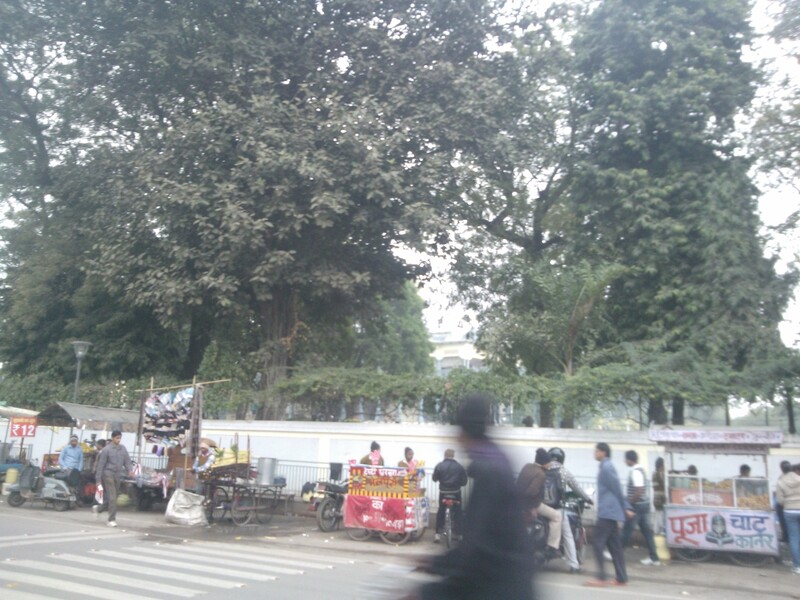 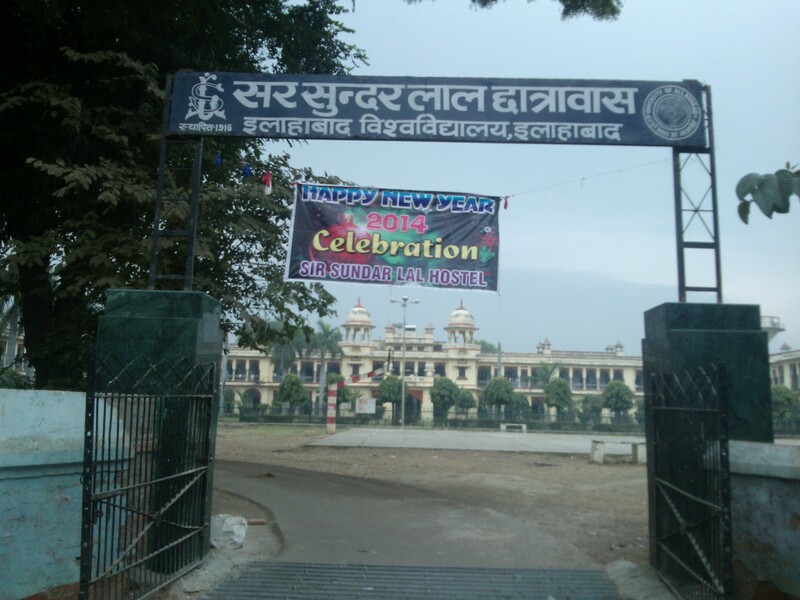 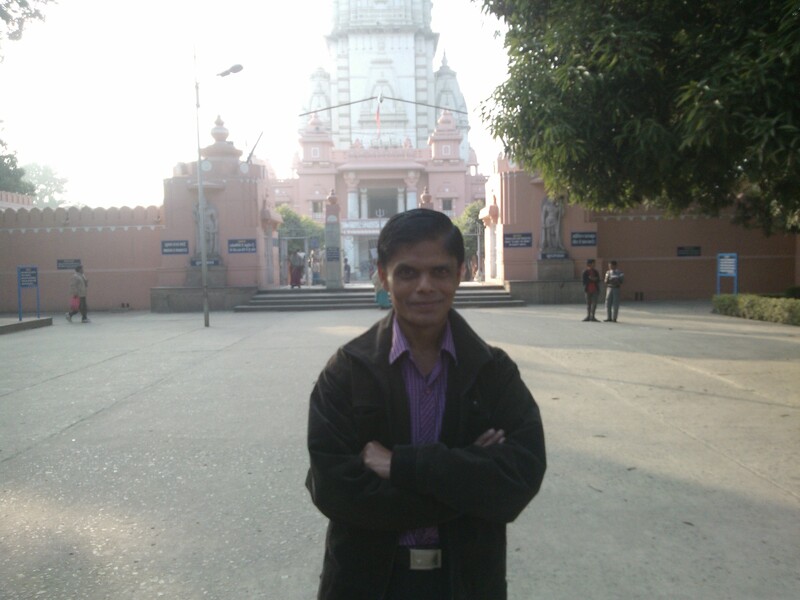 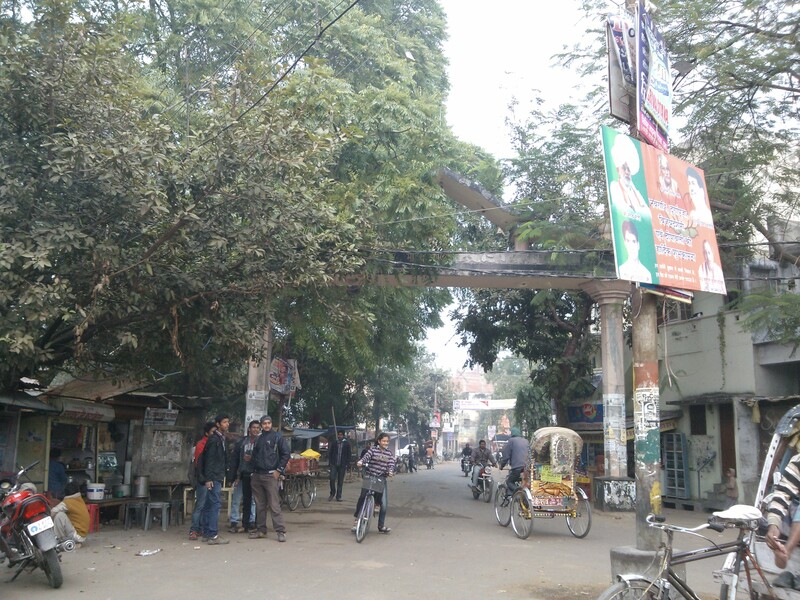 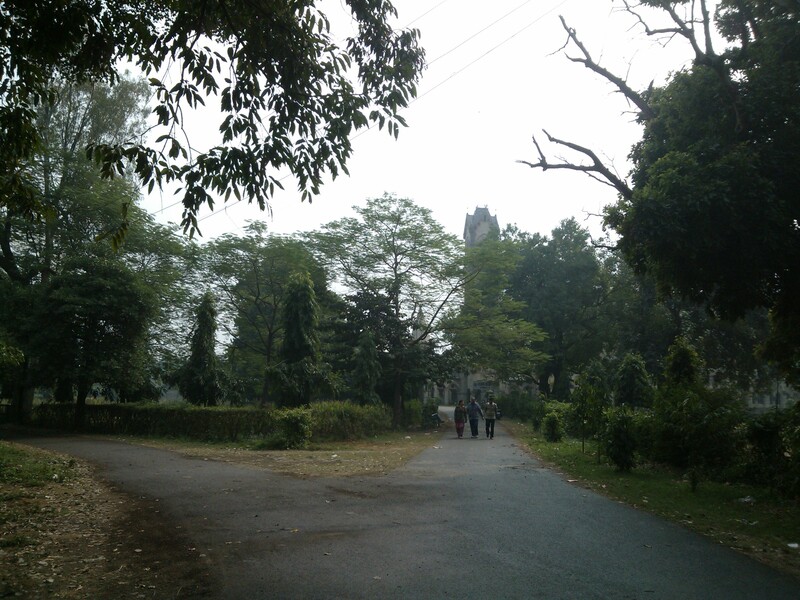 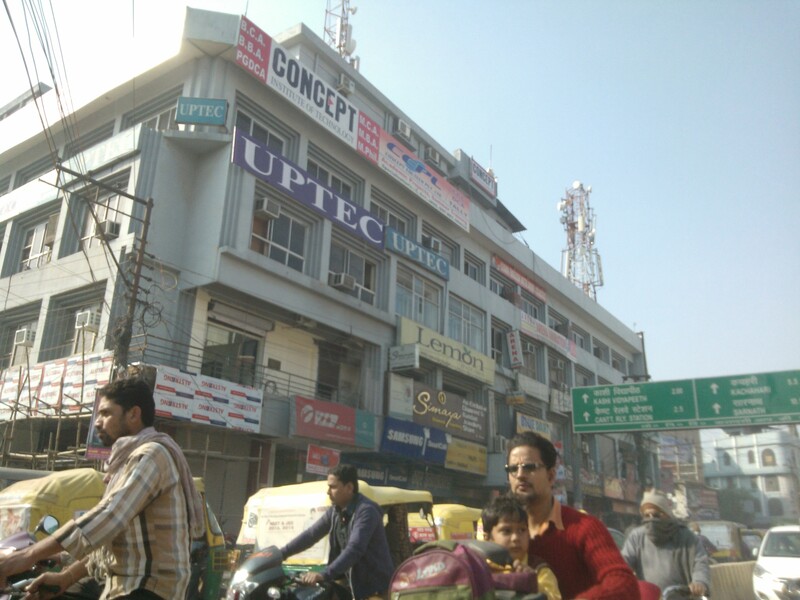 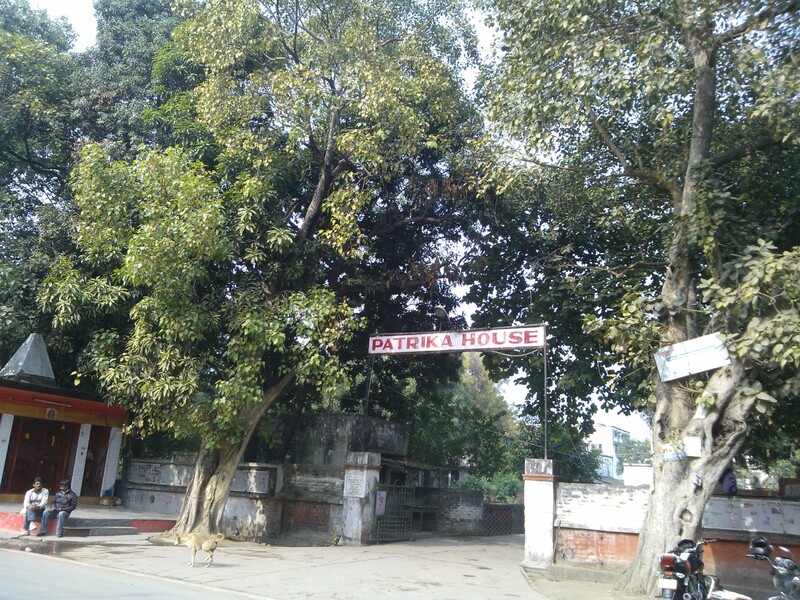 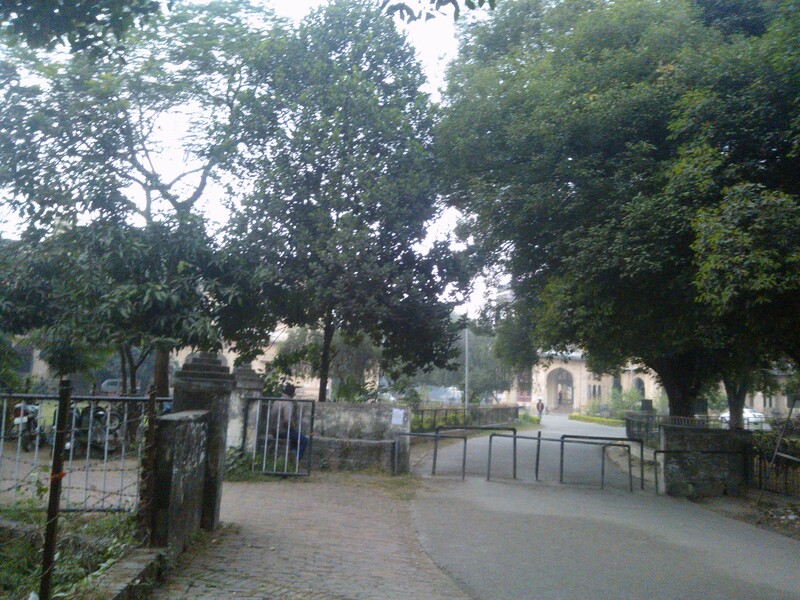 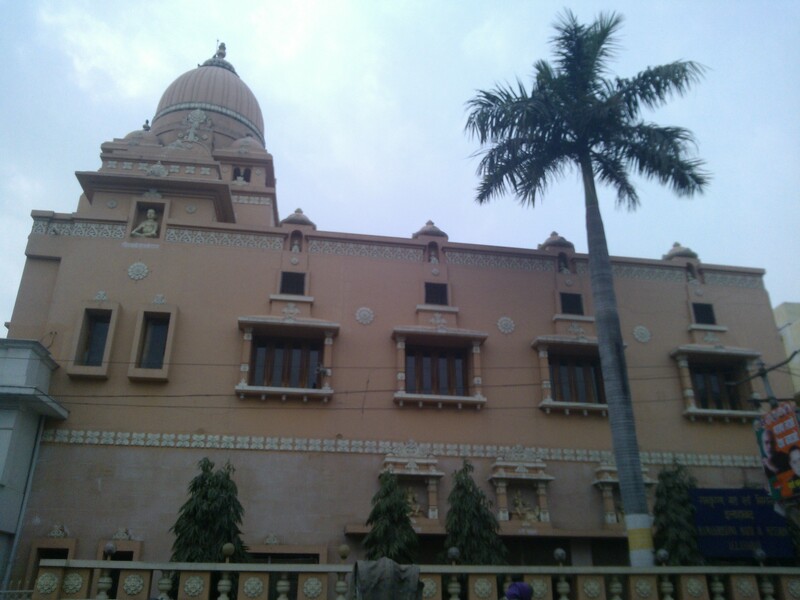 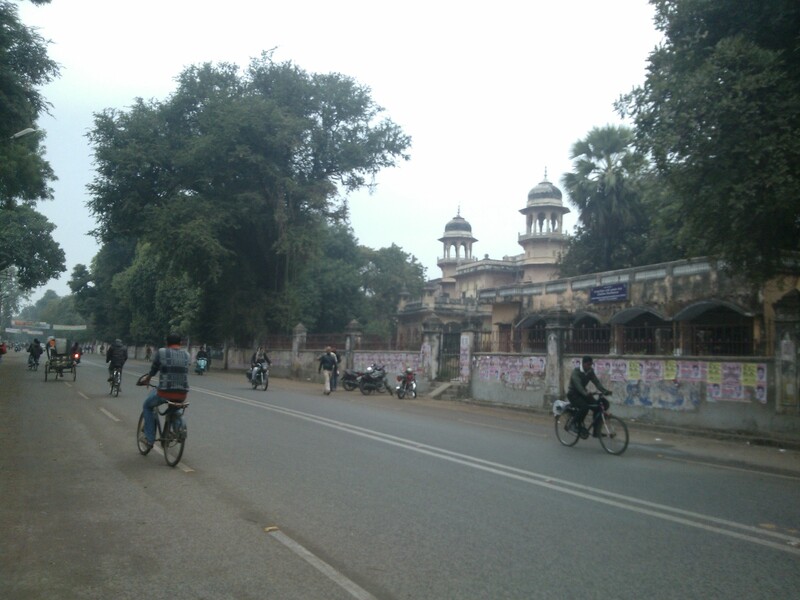 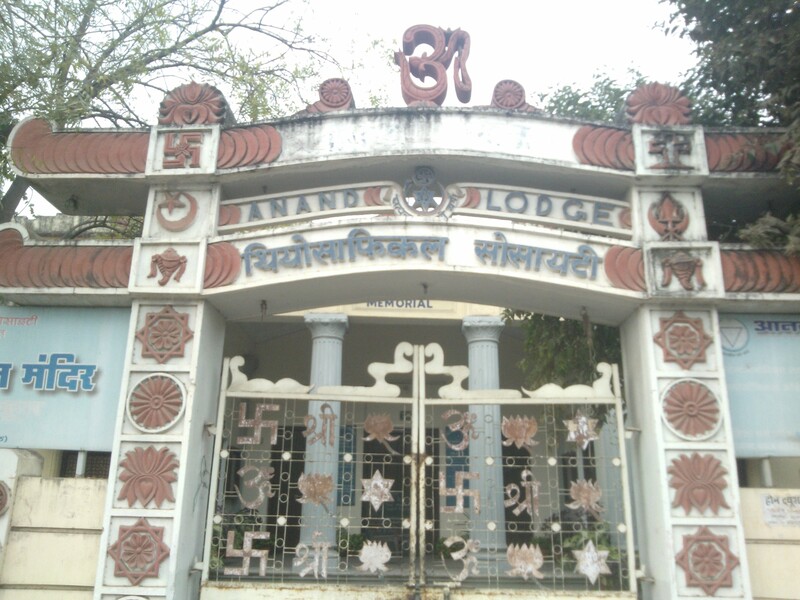 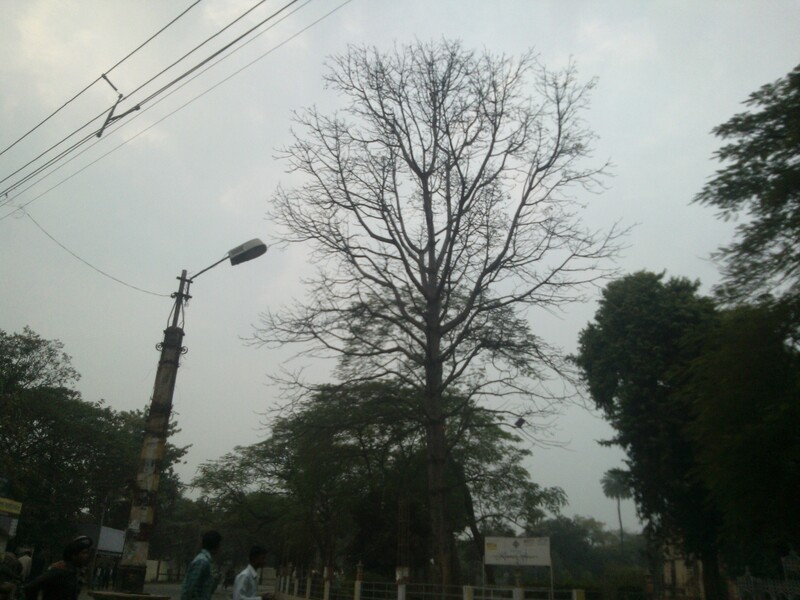 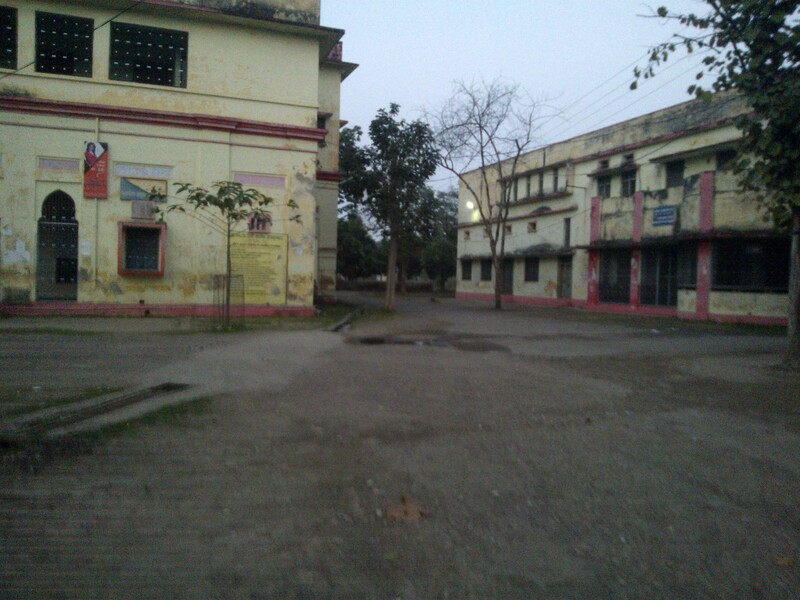 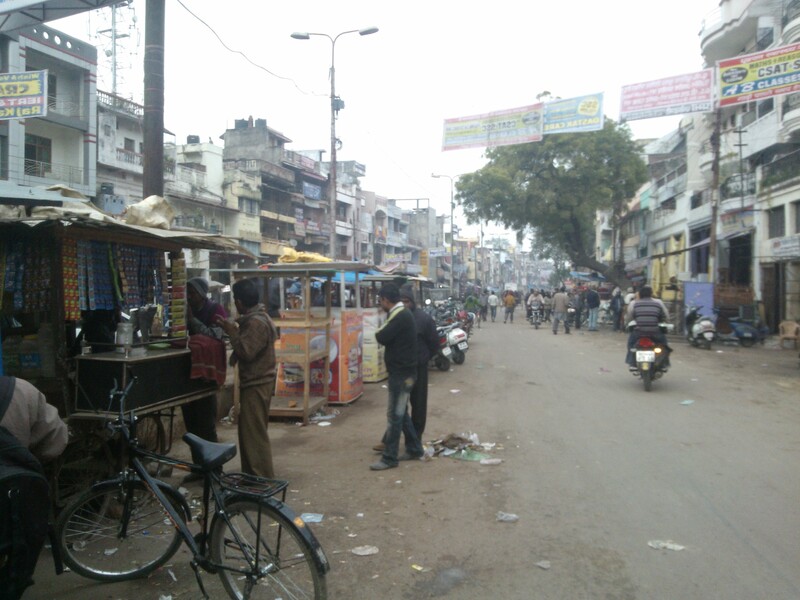 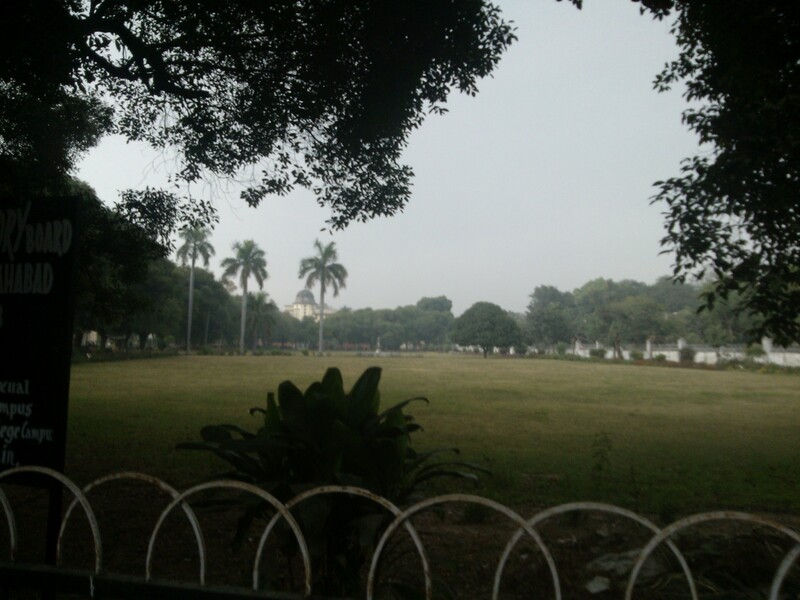 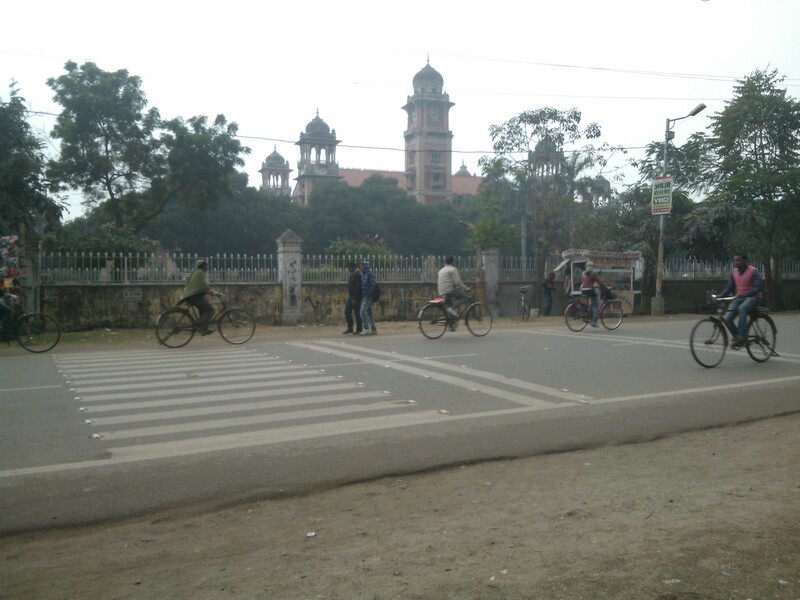 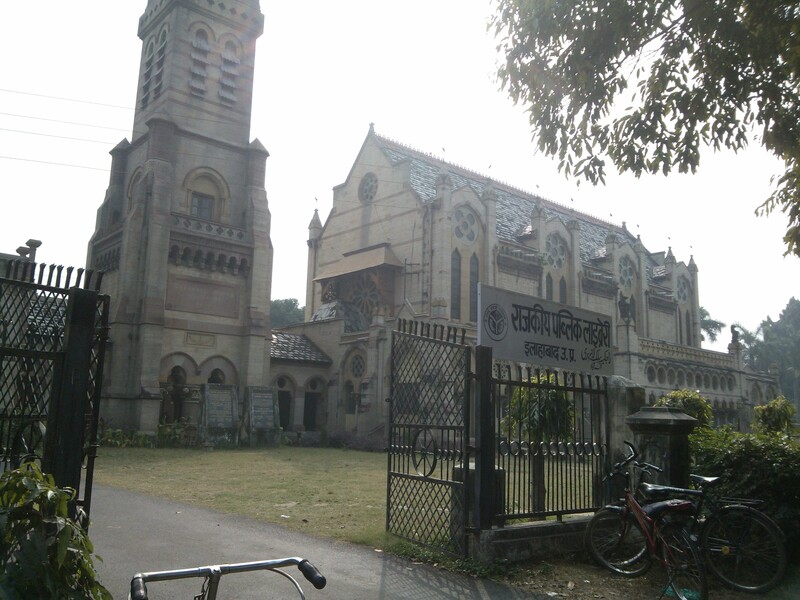 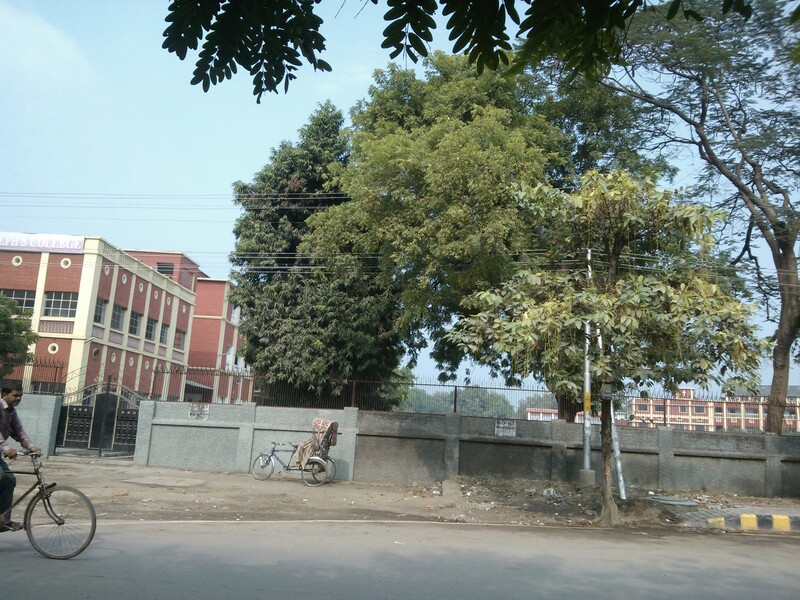 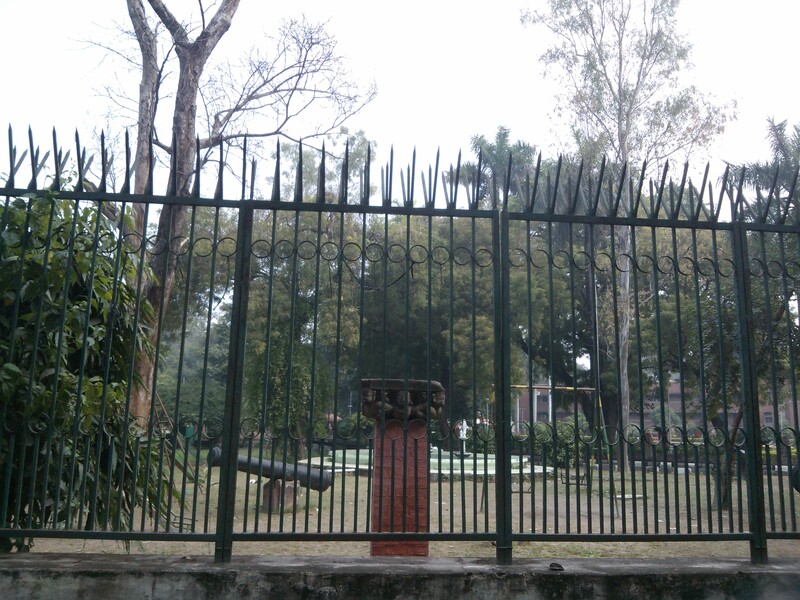 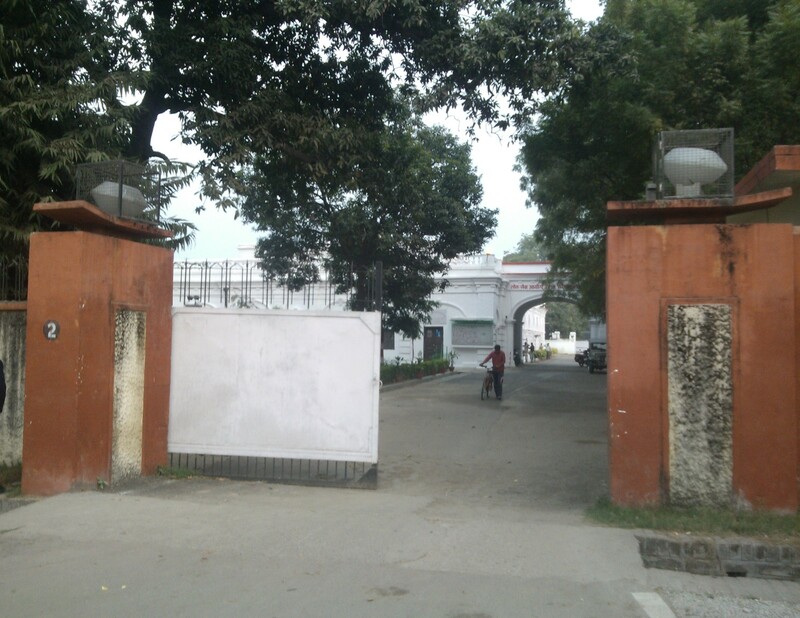 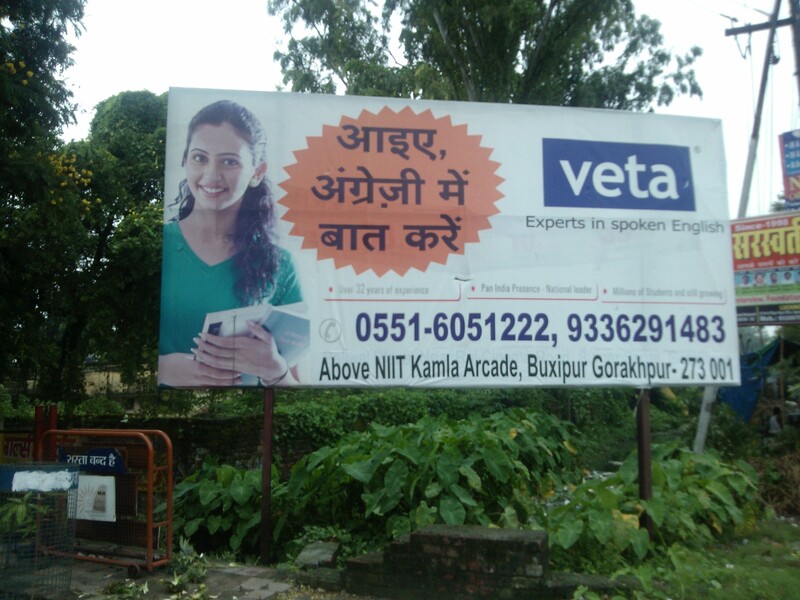 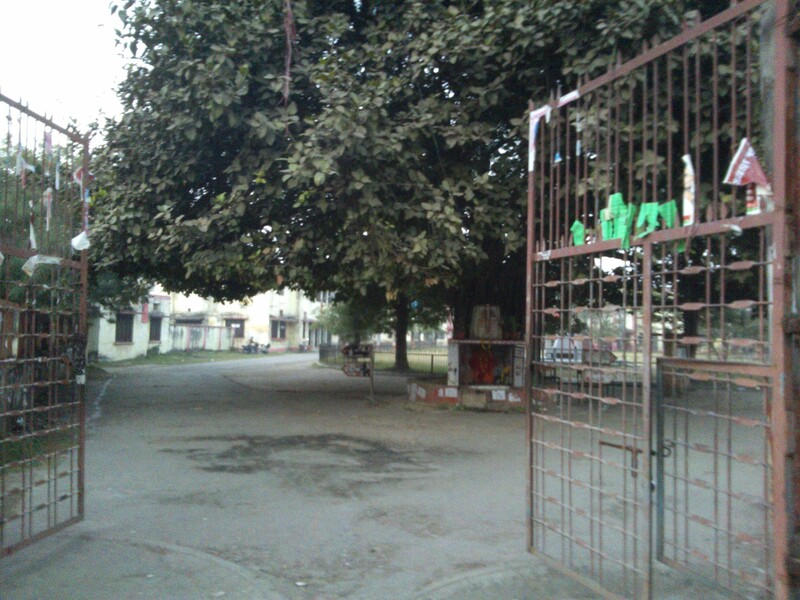 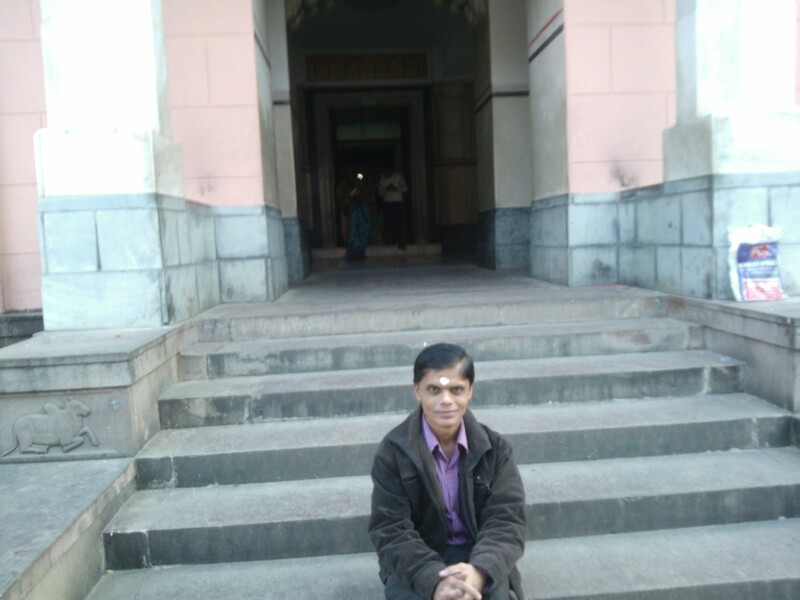 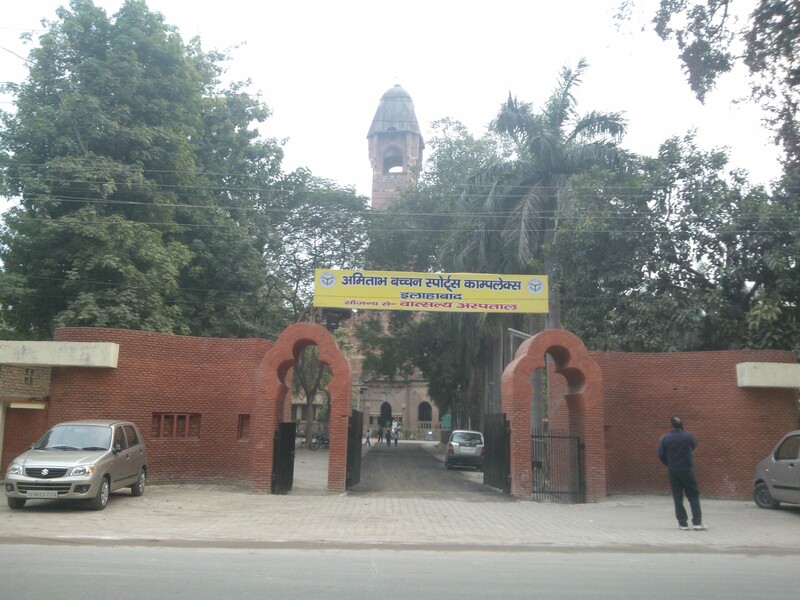 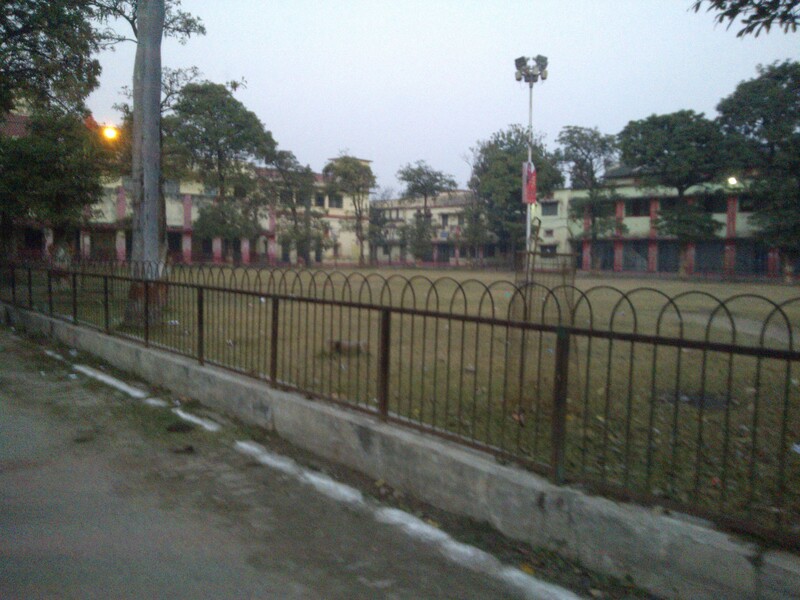 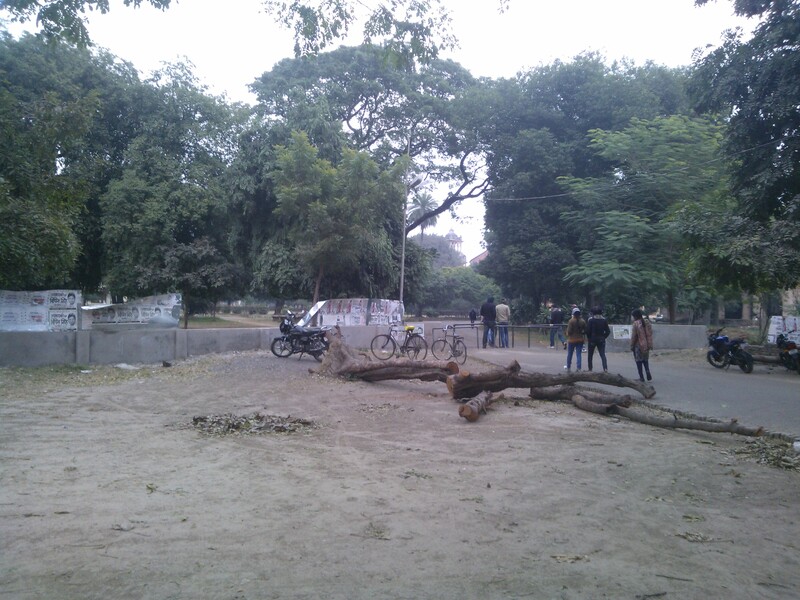 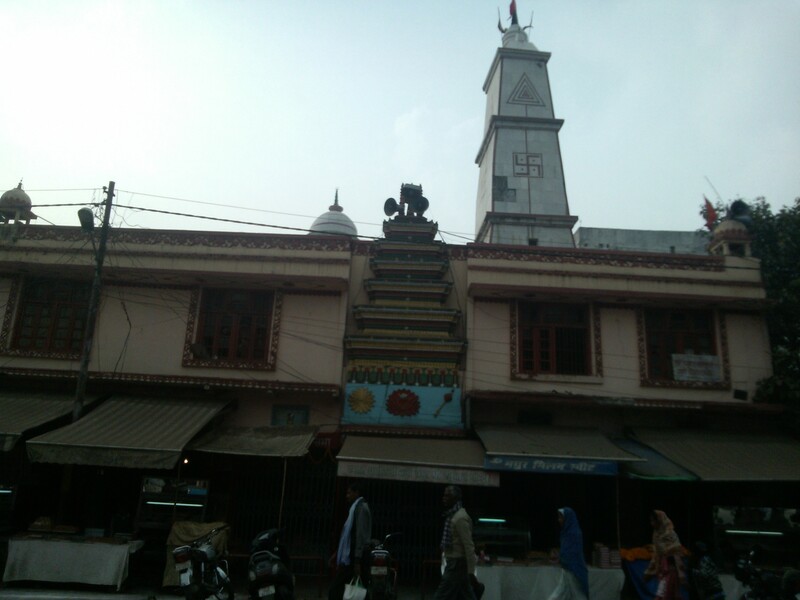 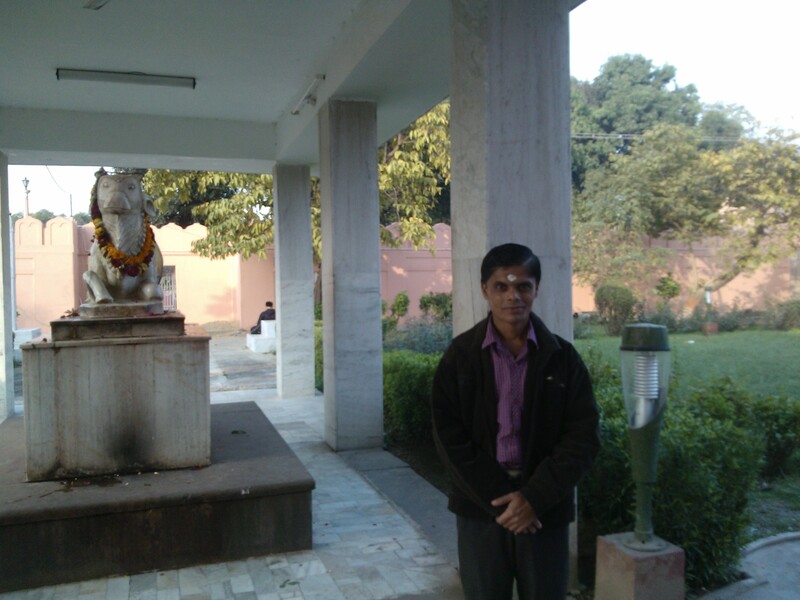 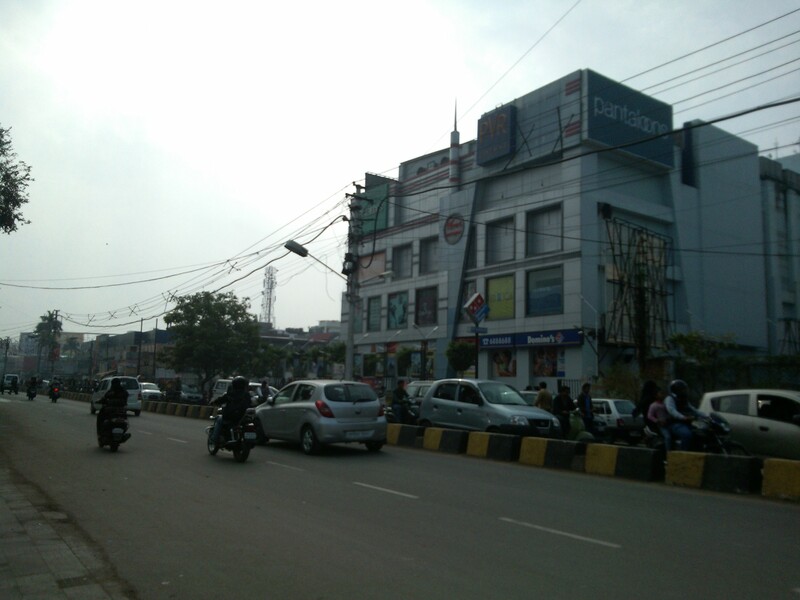 This place in the past since early 50s witnessed development in lives of well-known geniuses belonging to Allahabad. 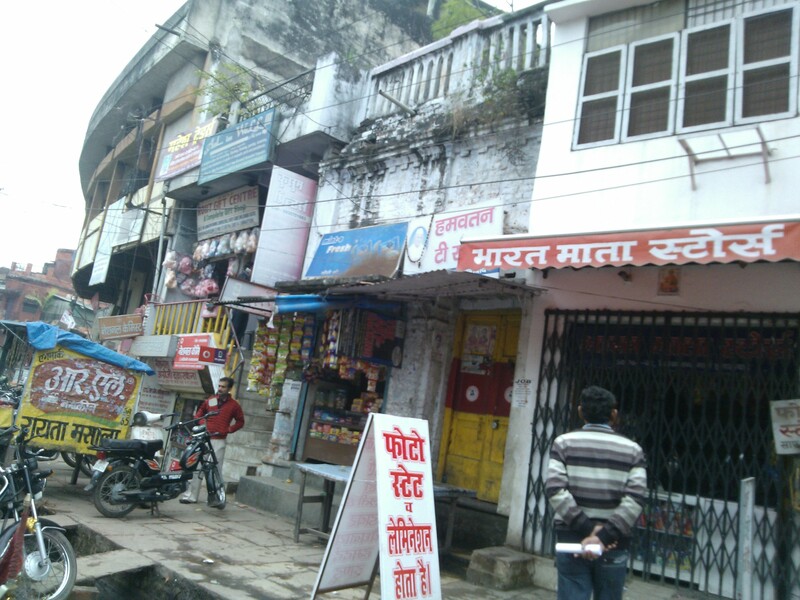 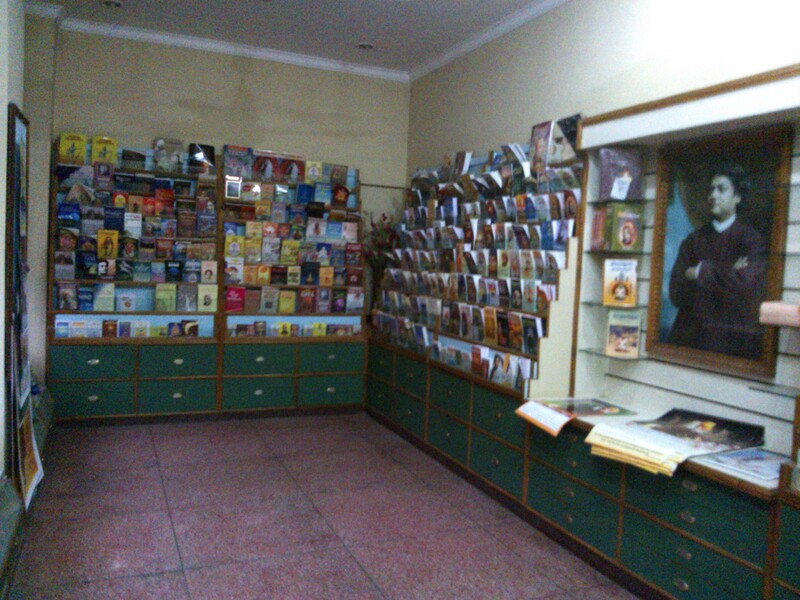 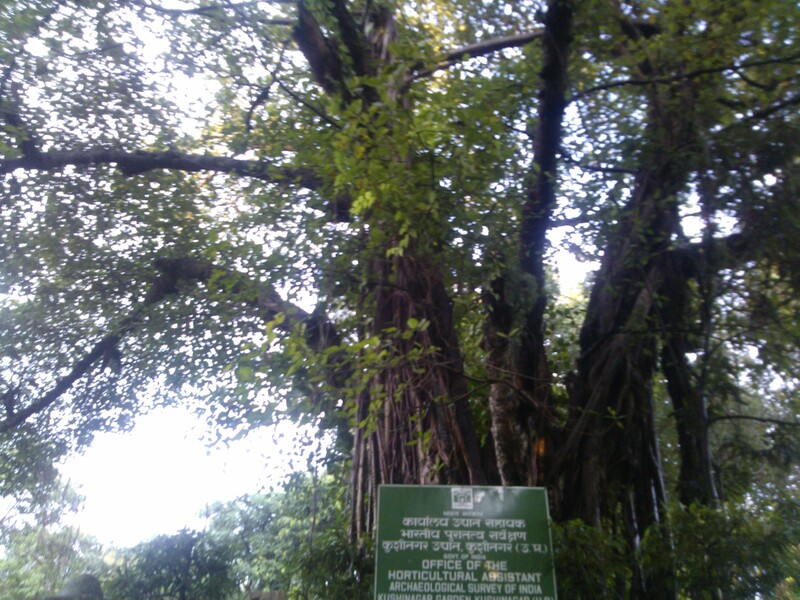 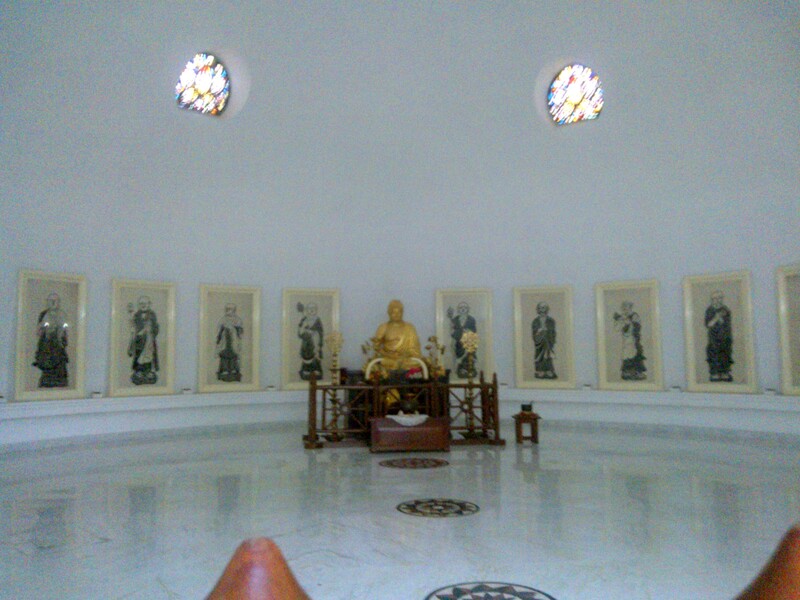 Eminent literary figures like Firaq Gorakhpuri and Harivansh Rai Bachchan were frequent visitors to this place. 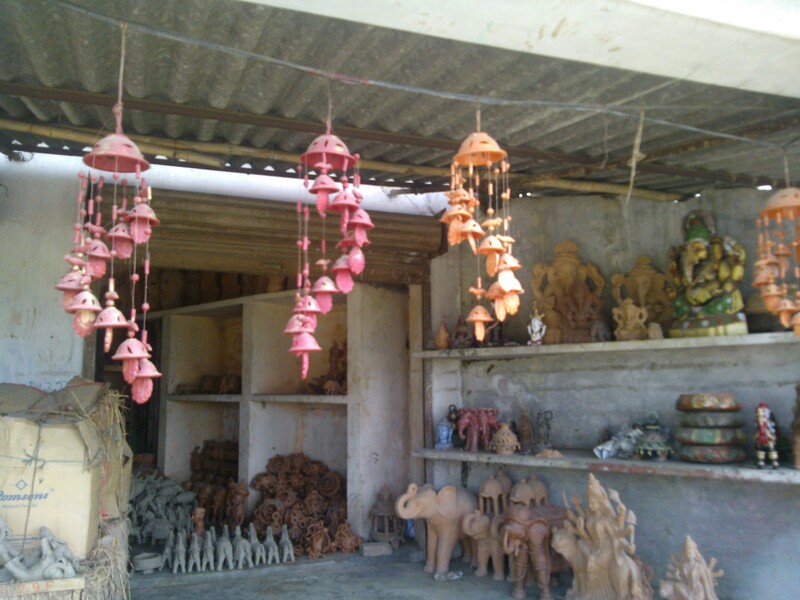 Apart from them, the place has also witnessed rise of new creative wonders! 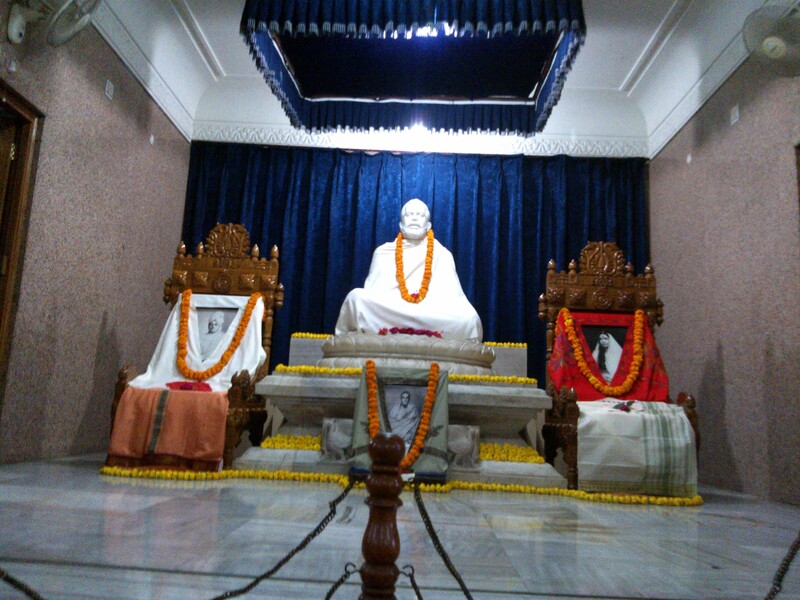 The vibrations there ensure that there is no dearth of good souls in future! 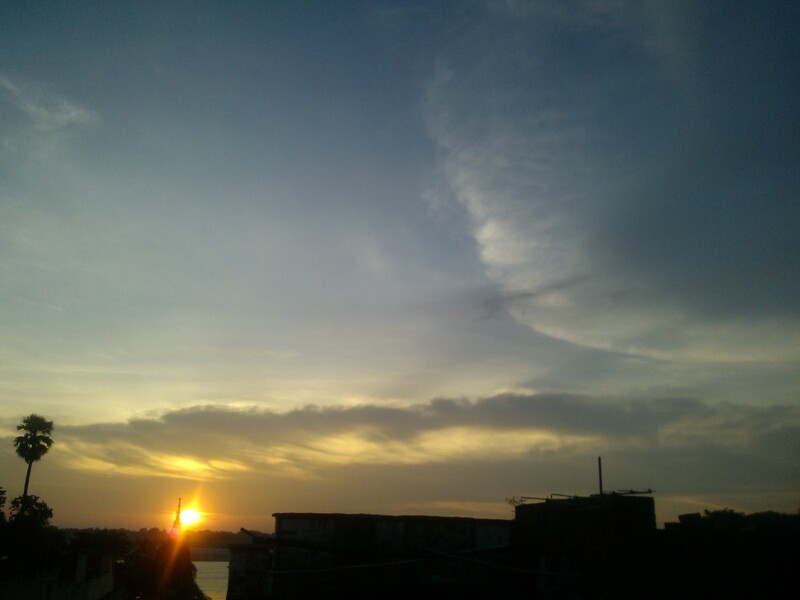 I must thank to my friends from core of my heart that despite being trapped in busy schedules they managed to be part of this informal event at right time! 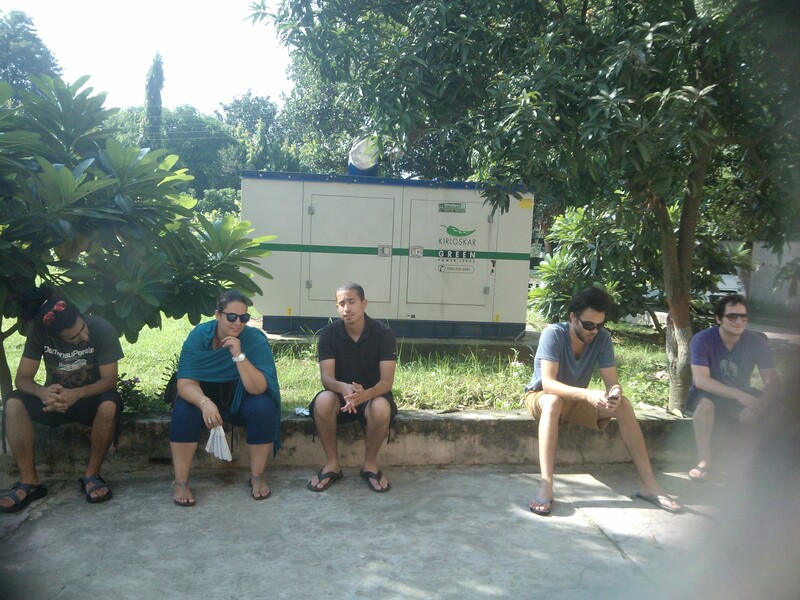 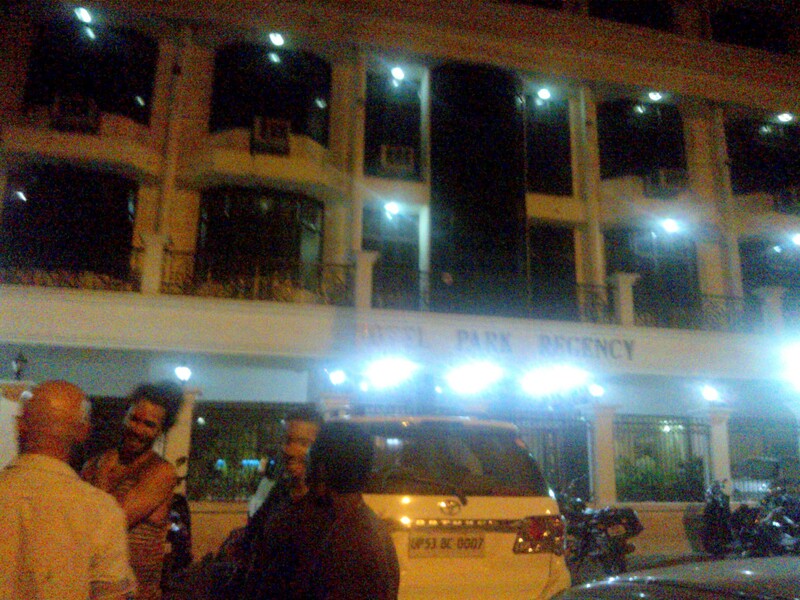 It’s habit of the guests to worry the organizers with a deliberate delay! 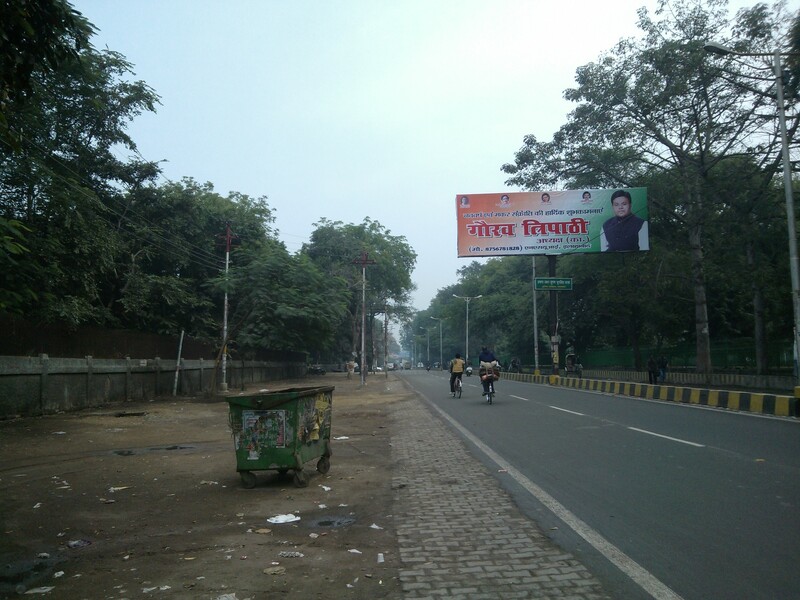 Mercifully, that’s not the case with events organized by me. 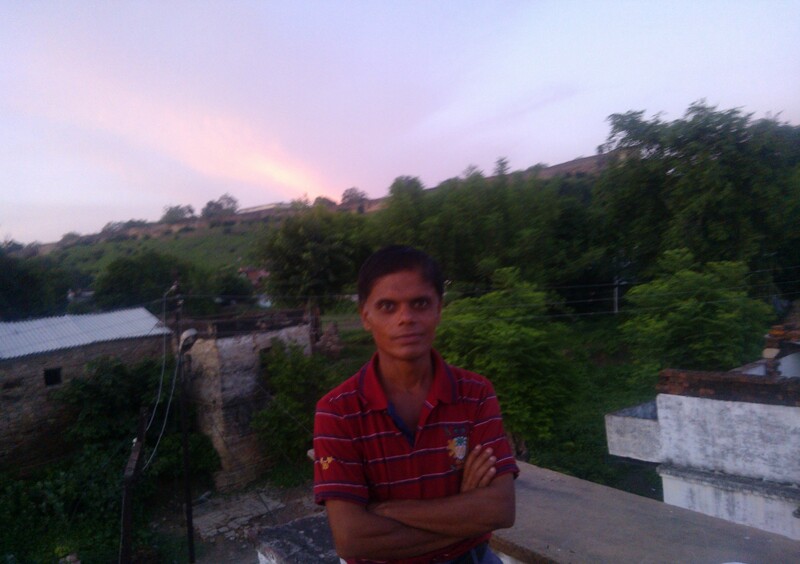 I am spared this harassment for which I am really grateful to my friends. 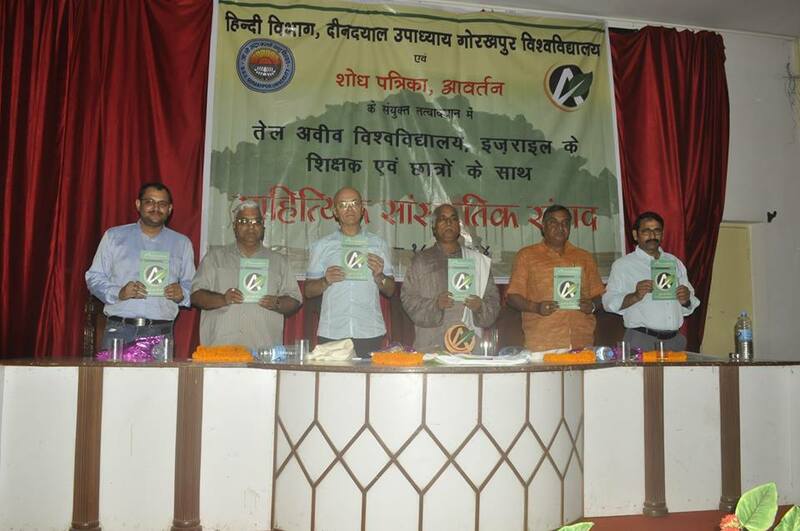 I must mention this fact that most of the friends who were part of this event have been my old friends and it makes me really happy when I state that they have all emerged as achievers! 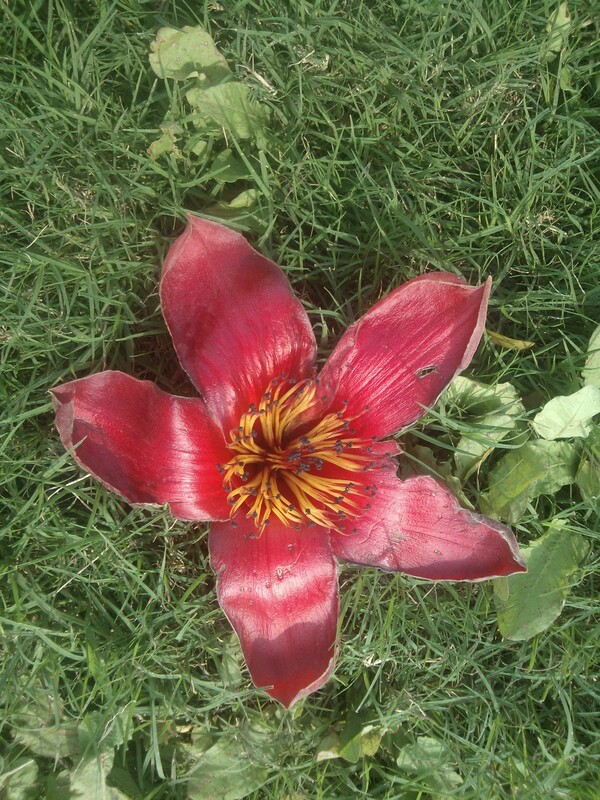 It was a moment of satisfaction for me to find them hale and hearty! 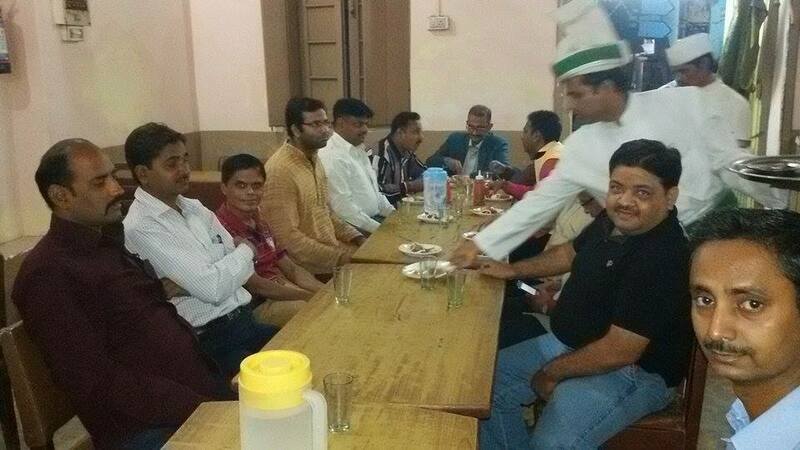 Obviously, the event was not solely attributed to dine together! 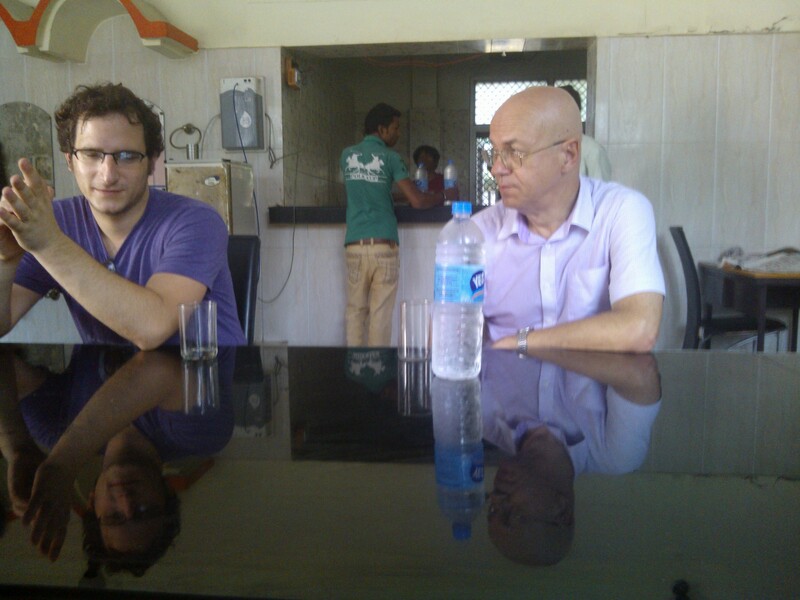 We had some thought-provoking discussions. 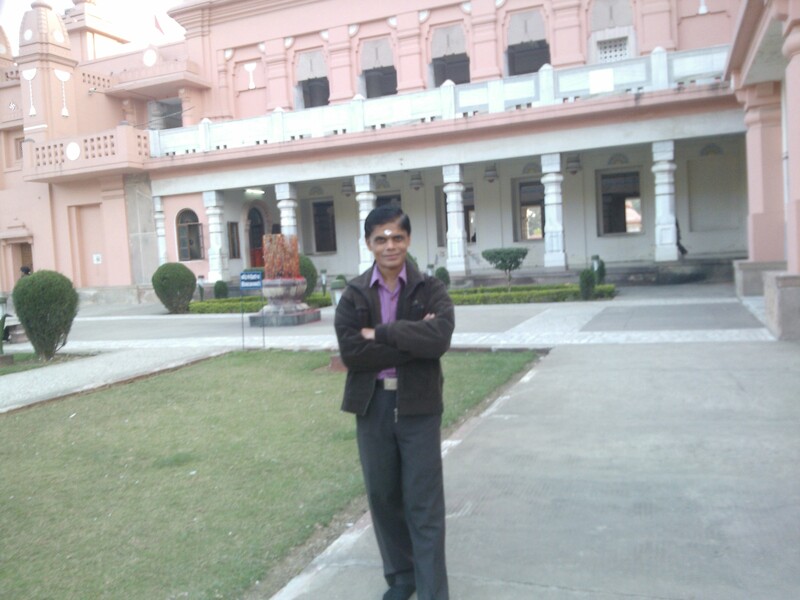 My friend Sheel, pursuing research in philosophy, rightly suggested that philosophy should also be taught at school level since that goes well with cultural legacy of this nation. 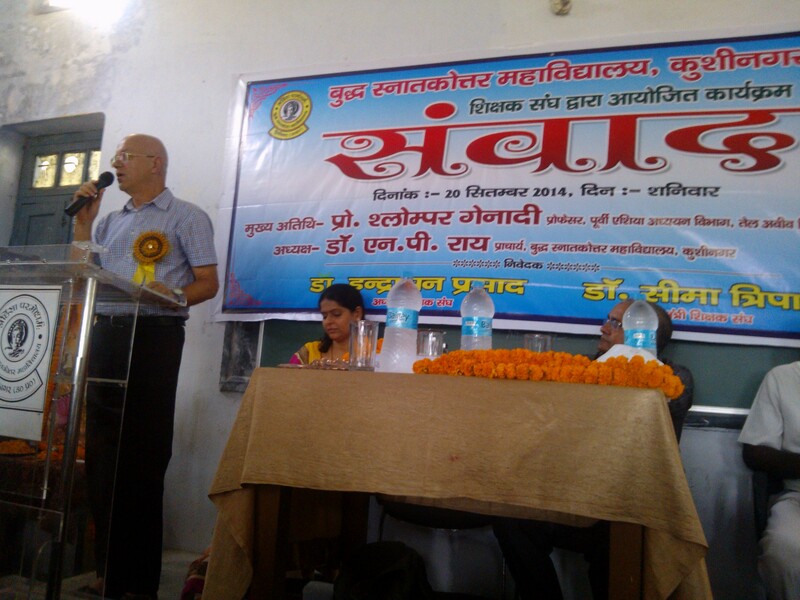 Rajesh Kumar Pandey, legal correspondent associated with The Times Of India, lamented that Philosophy, of late, has become popular only because it helps students get good marks in competitive exams! 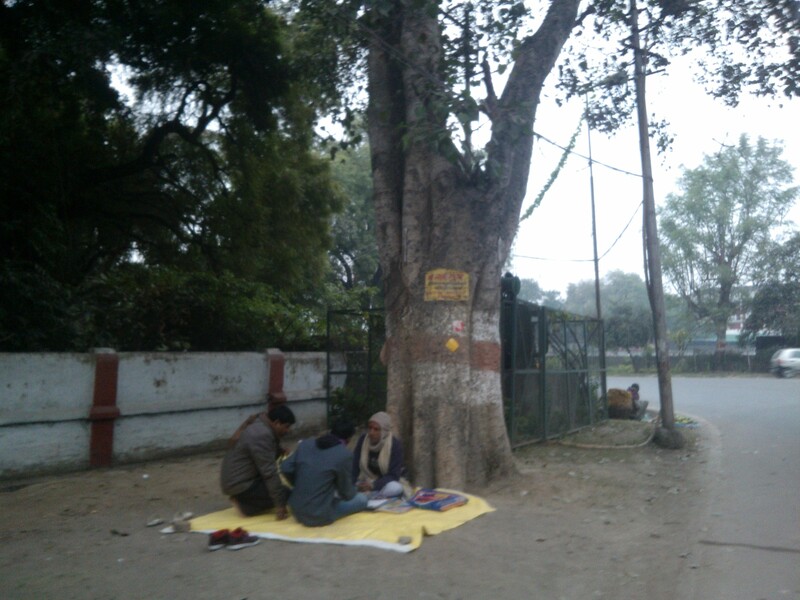 It’s really hurting that a nation which is mired in philosophies of highest types has no mention about it at school level! 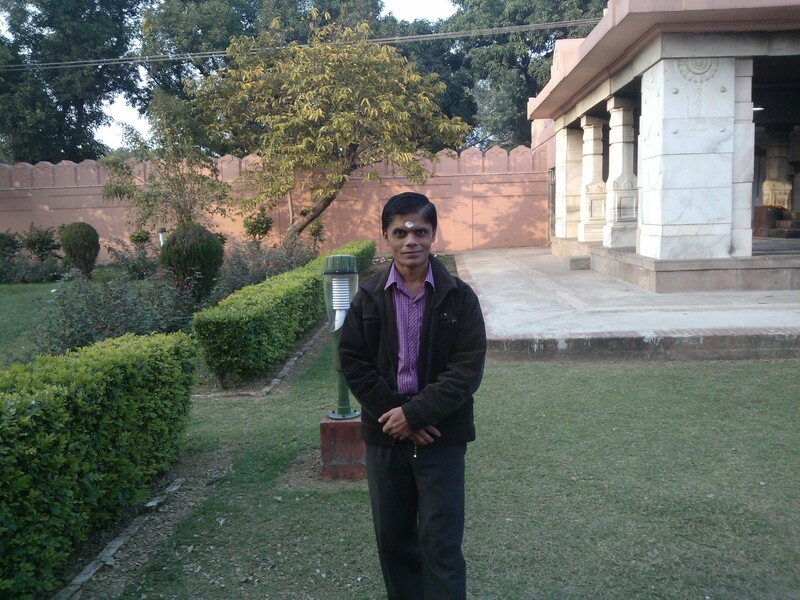 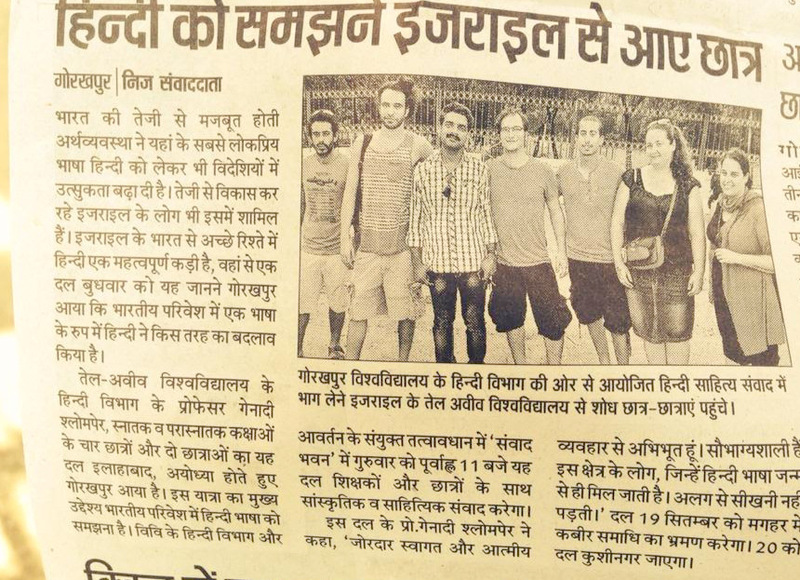 My friend Ashish Nigam, on the other hand, asked me as to what was the method involved in my fellowship. 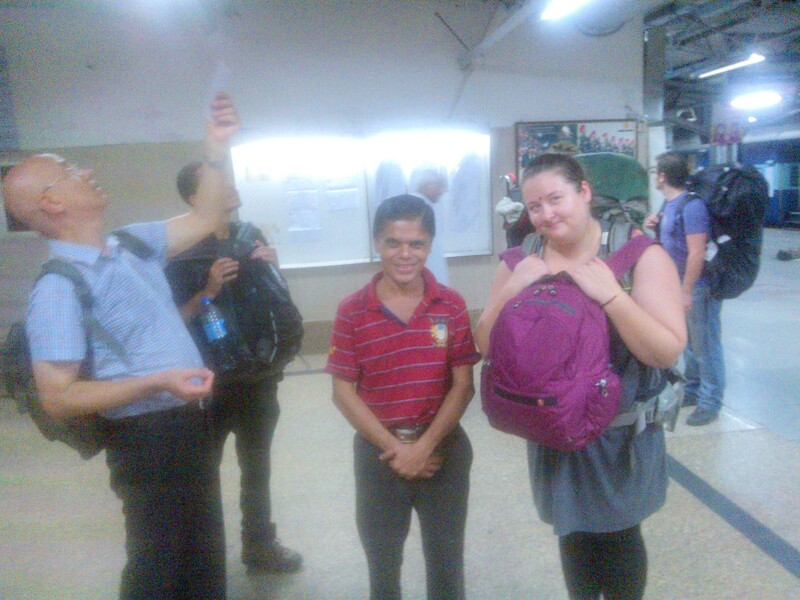 I promptly informed him that besides books I was involved in interviewing concerned individuals. 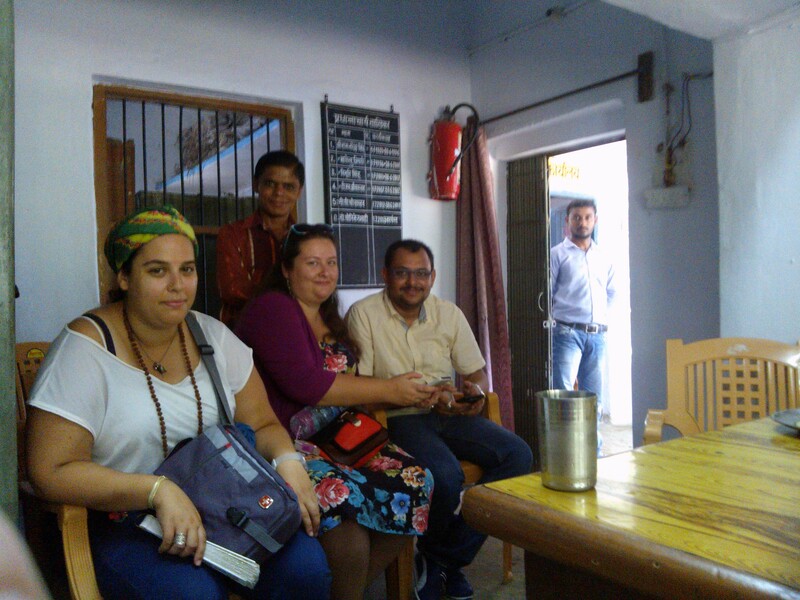 He also came to throw light on the glorious past of Coffee House, mentioning that visitors at this place love to sit here for long hours! 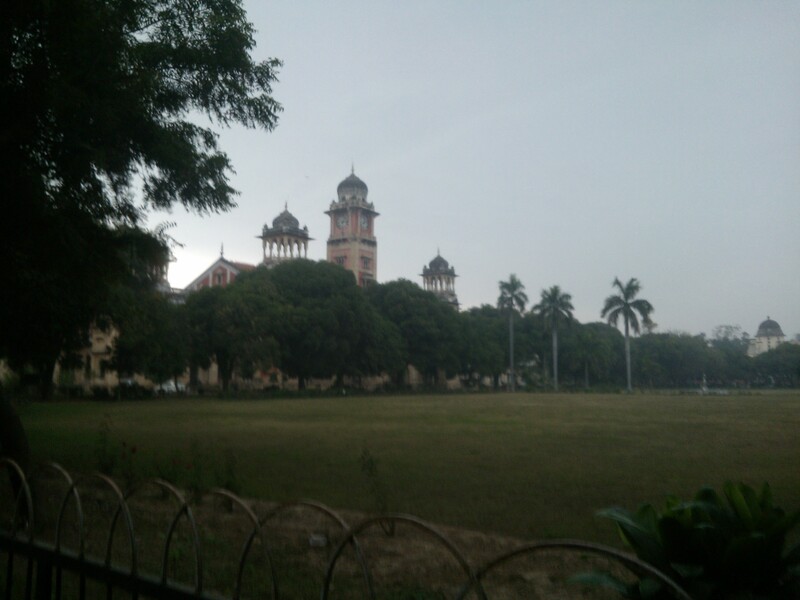 It would not be out of tune to inform that most of the friends who gathered here were advocates associated with Allahabad High Court, who were also once upon a time had been my batch-mates! 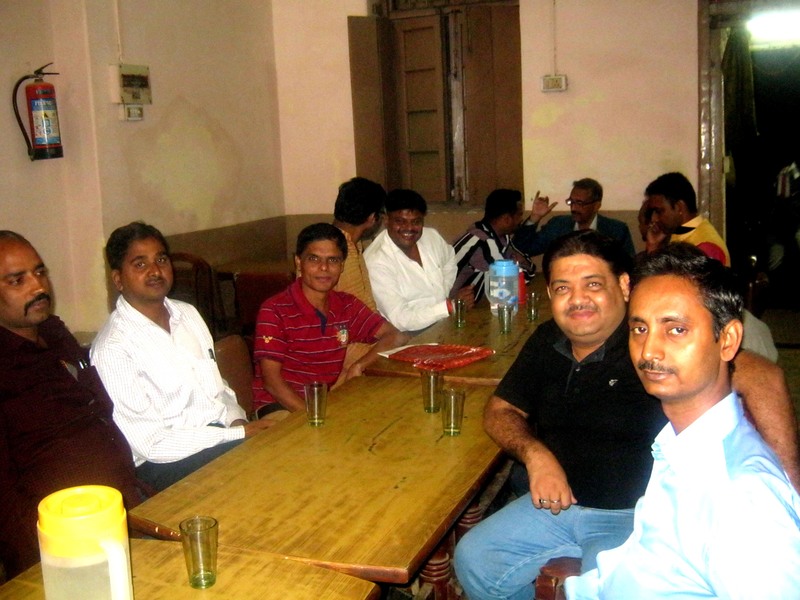 There were some hilarious moments too when my childhood friend Pintu, lawyer at district court, got engaged in circulating images which showed us together as students in nursery days! 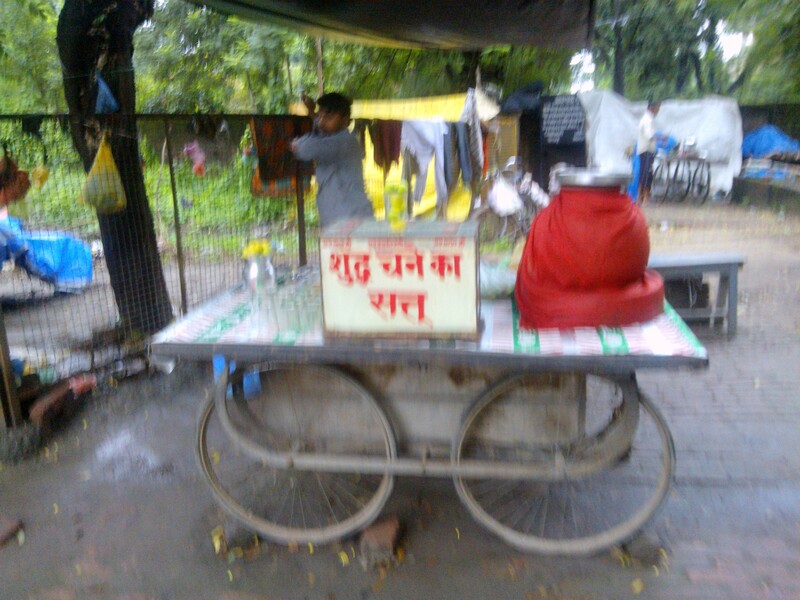 Sangarsha Srivastava, who in past was a ferocious Communist leader and now an advocate, made everybody laugh by exhibiting that Coffee tastes less sweeter if you add more sugar in it! 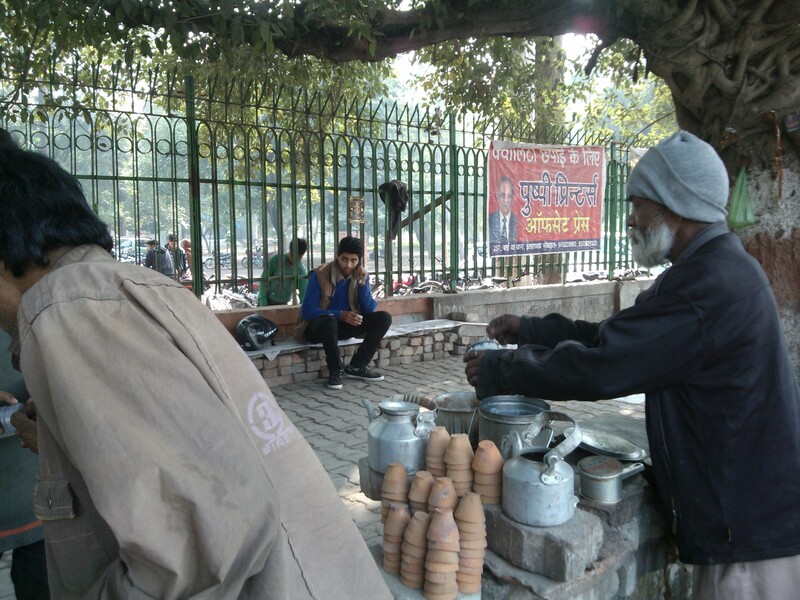 The only thing you should ensure is that stir it not well enough with a spoon and then drink it fast! 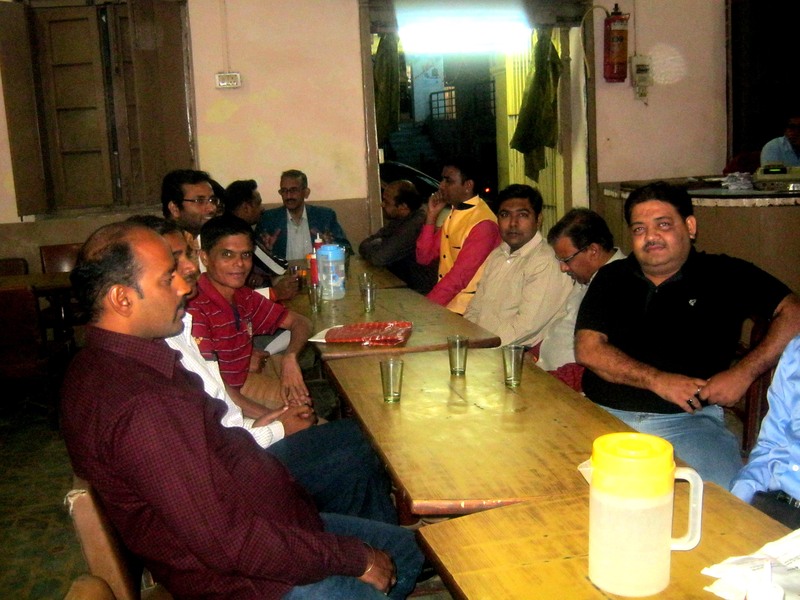 Advocate Susheel Kumar Tiwary, Advocate Shashikant Kushwaha, Advocate Satyahdhar Dubey, Advocate Vinay Vishwakarma and Advocate Neeraj Shukla, who happens to be my brother-in-law, spent some qualitative time with me rising above constraints of time and without worrying about the fact that they have to return back home traveling long distance in night hours only to face ire of their anxious wives! 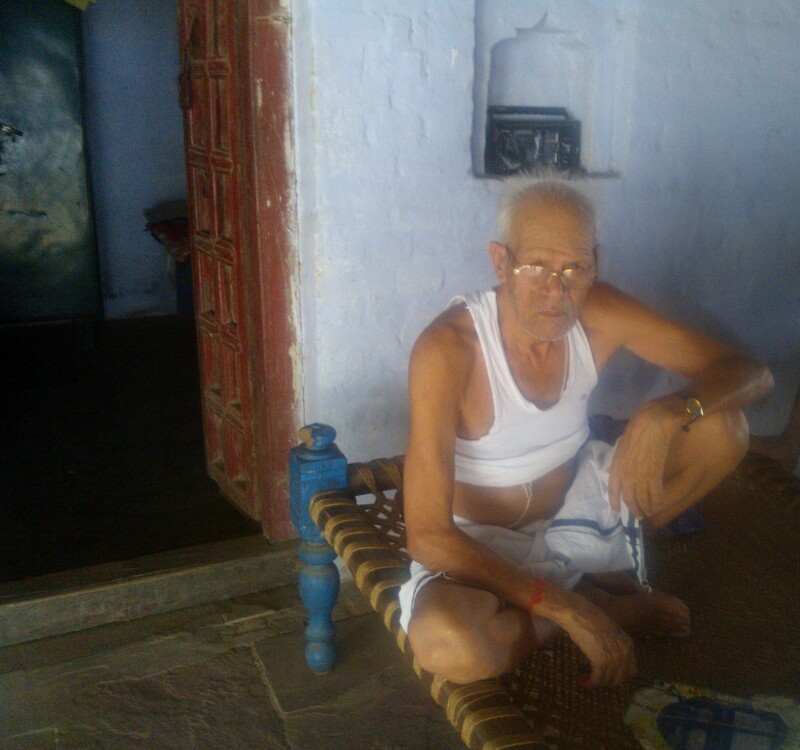 It was heart-warming to hear Satyadhar ji asking me to make visit to this place till fag end of my life this way just like the oldies engaged in deep and interesting conversations sitting beside our gathering! 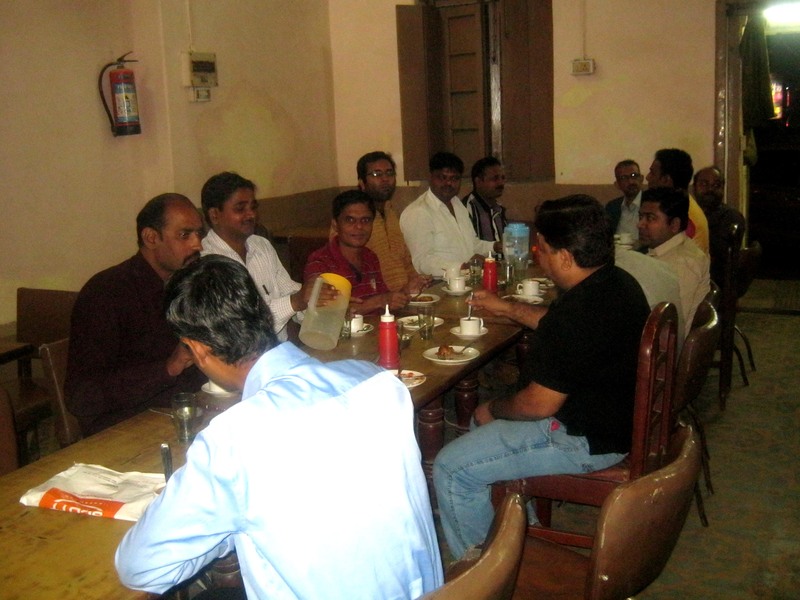 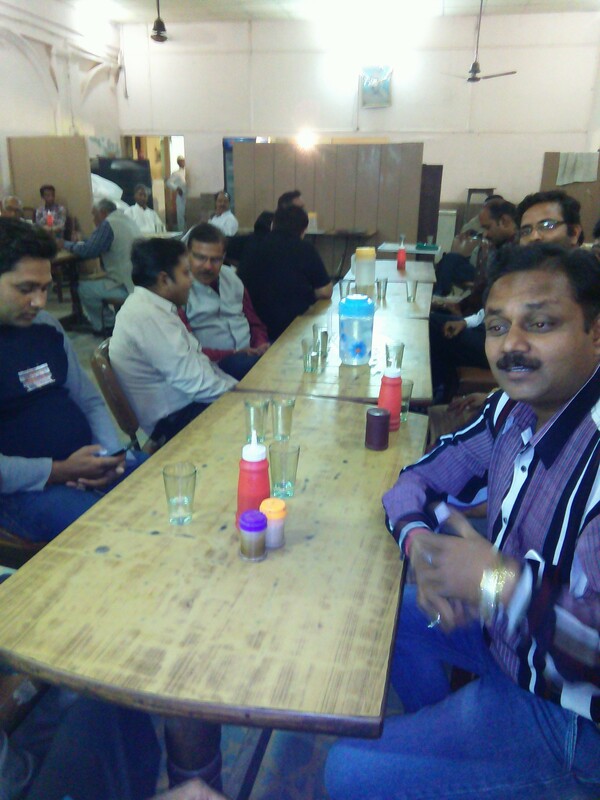 With Friends At Historic Coffee House In Allahabad! 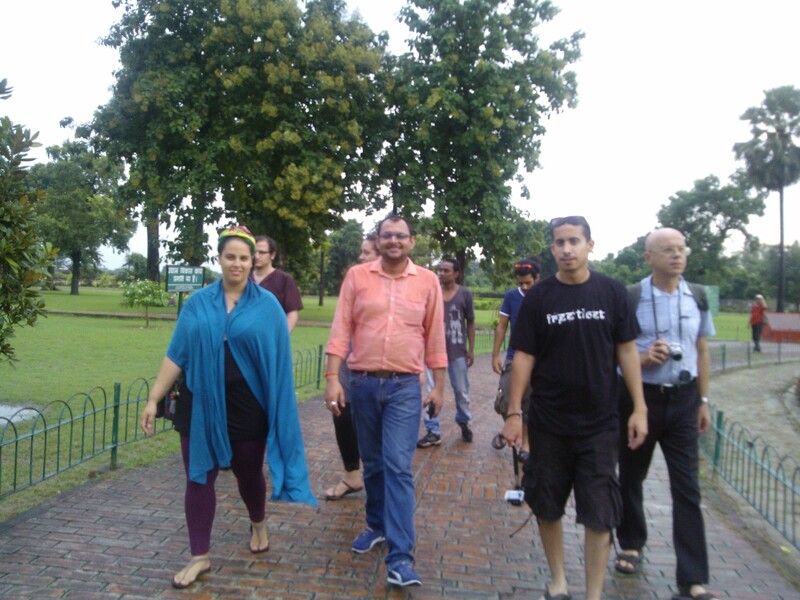 It’s a herculean task to ask friends to be present at one place on a working day! 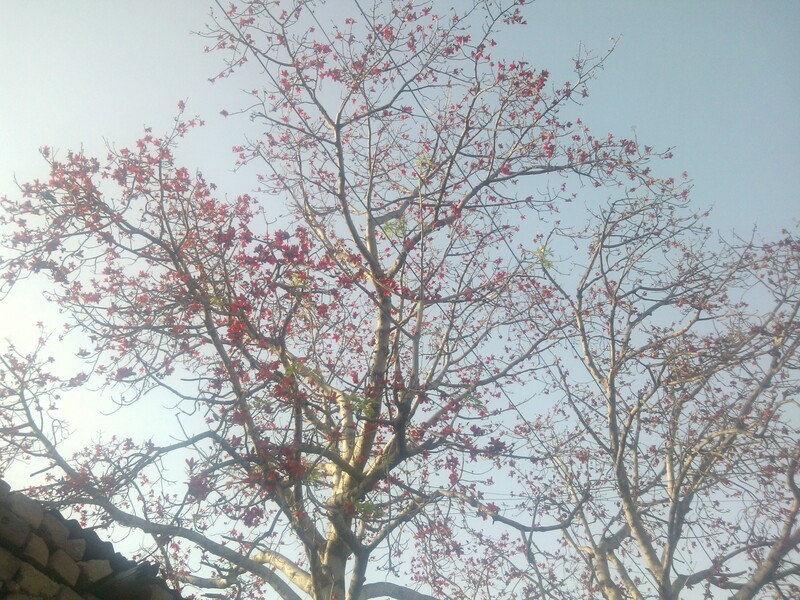 And they all appeared at appointed time! 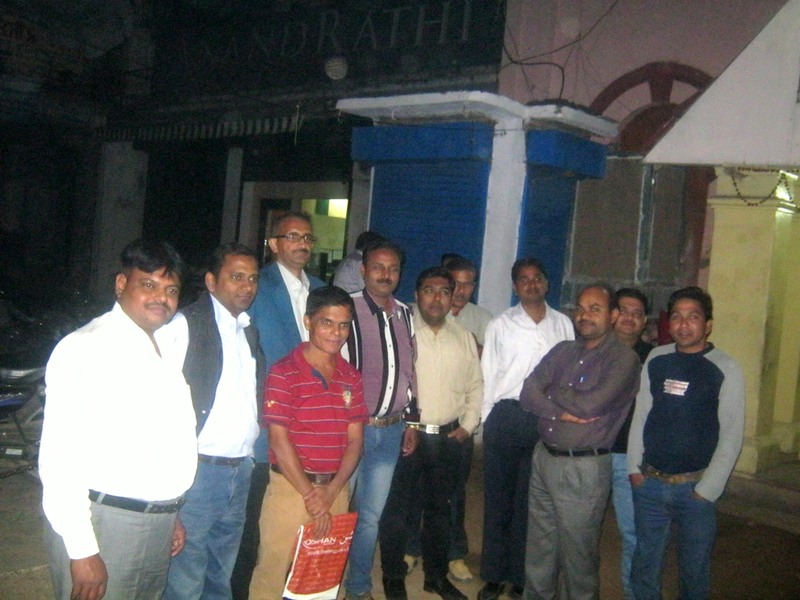 Now Only The Memories Of This Get Together Prevail!! 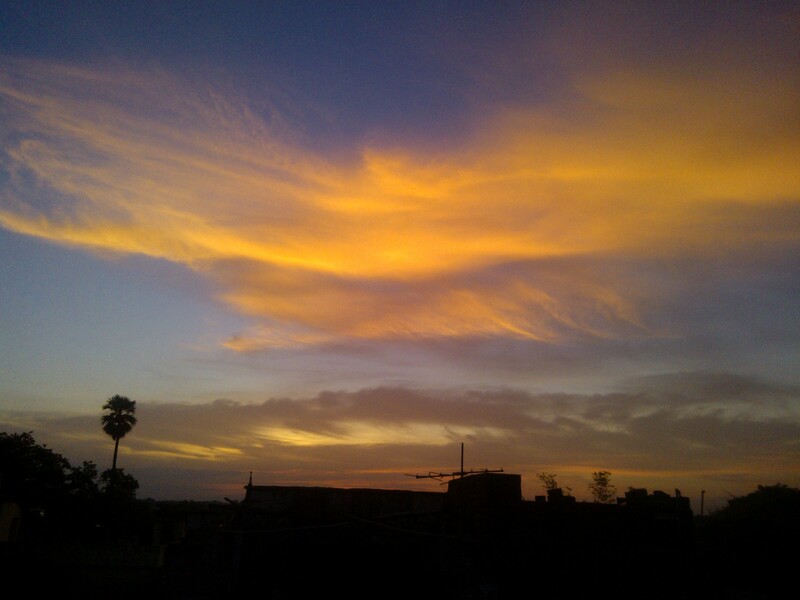 The Party Ended On A Blissful Note! 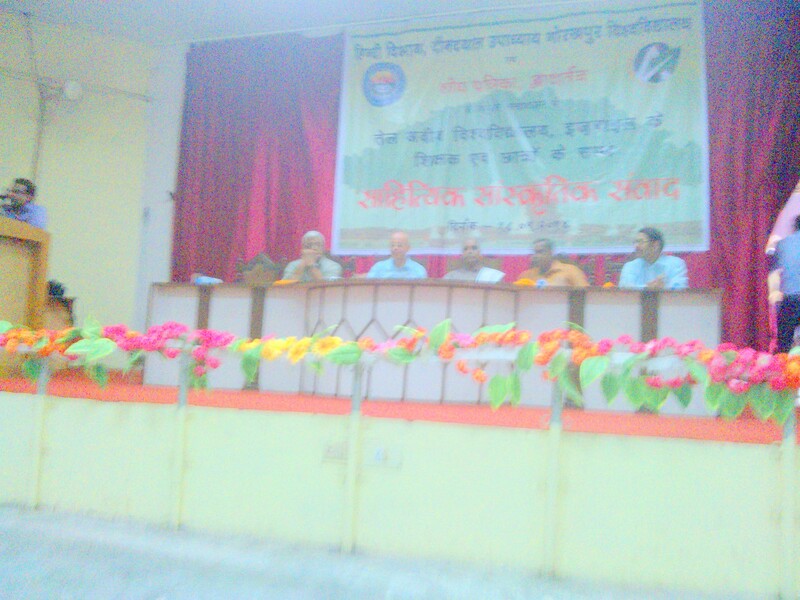 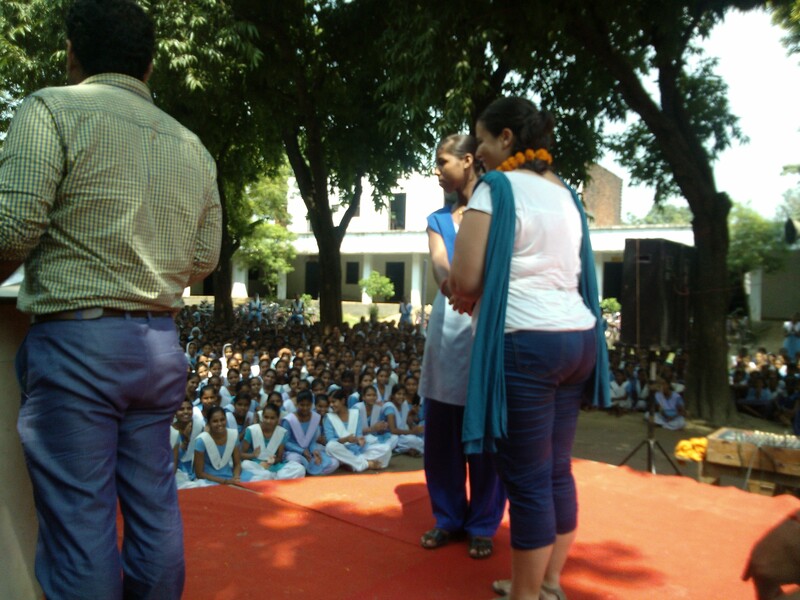 I Am Really Thankful To Lord For Sucessful Culmination Of This Event! 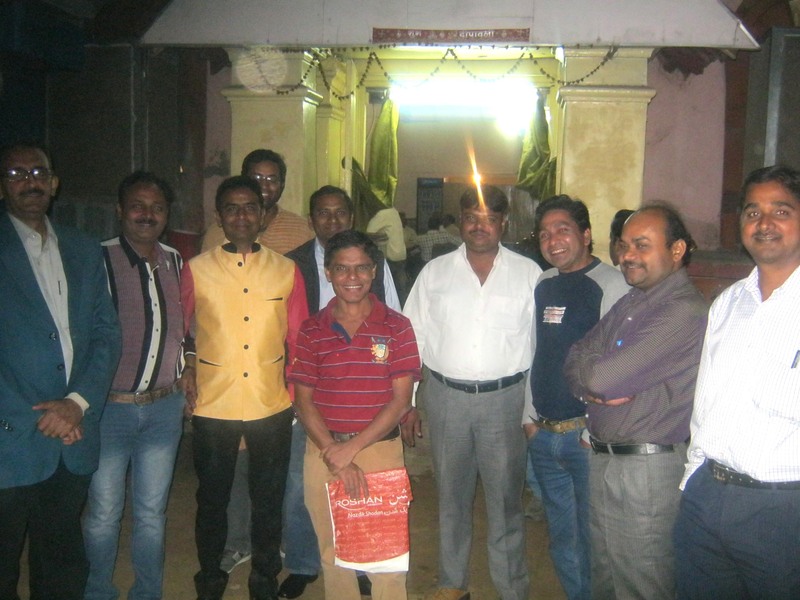 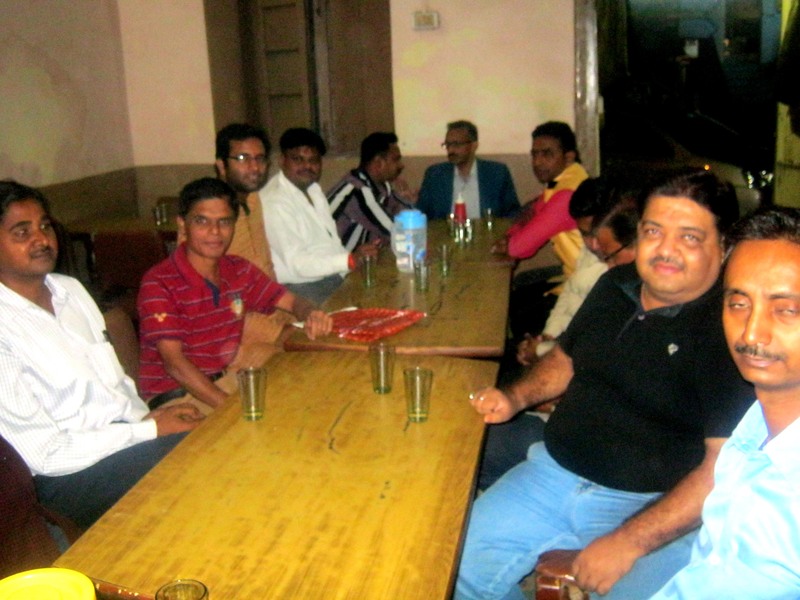 Hope All My Friends Remain Hale And Hearty In Post-Party Life 🙂 Let me mention names of people who gathered: (From Extreme Left) Rajesh Kumar Pandey, Sangharsha Srivastava, Pintu Jaiswal, Sheel Kamal, Swajit Gupta, Arun Prakash Srivastava, Pankaj, Shashikant Kushwaha, Neeraj Shukla 🙂 The Author Stands In The Middle 😛 😛 😛 Those who are not in the frame Arvind Kuswaha, Satyadhar Dubey and Vinay Vishwakarma. 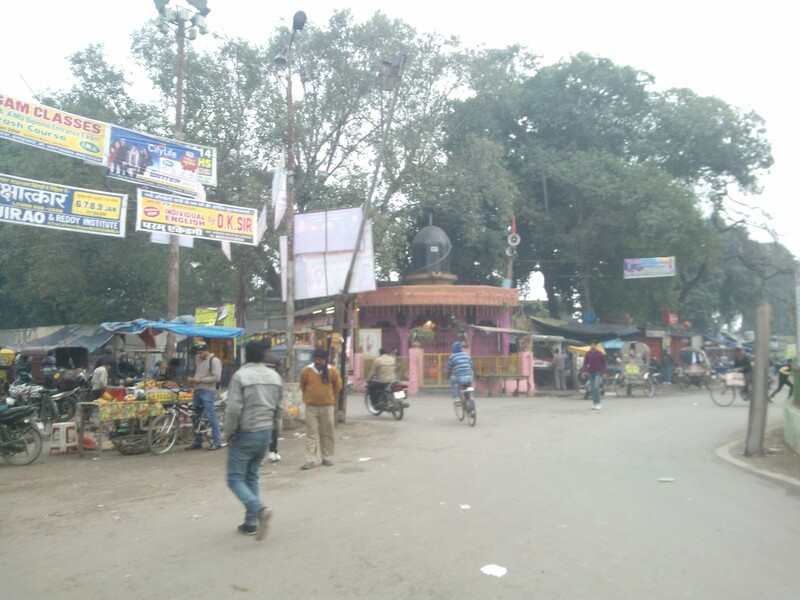 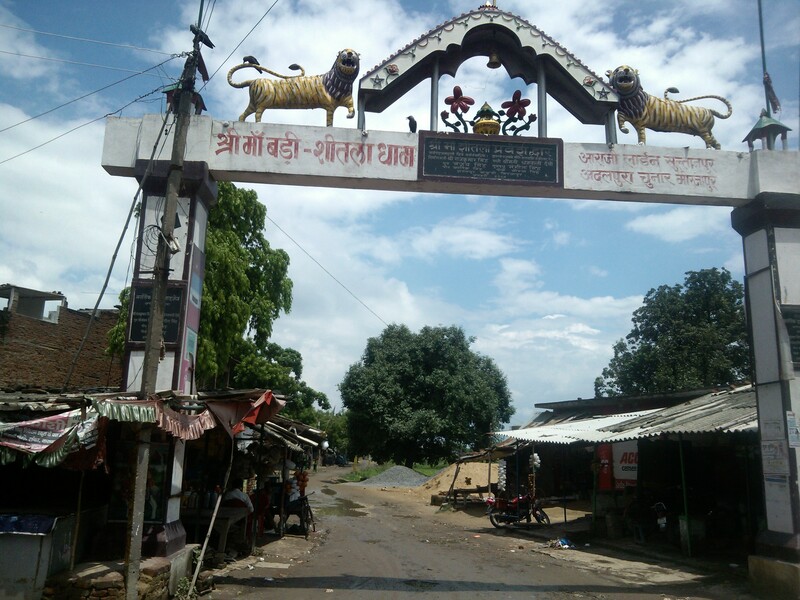 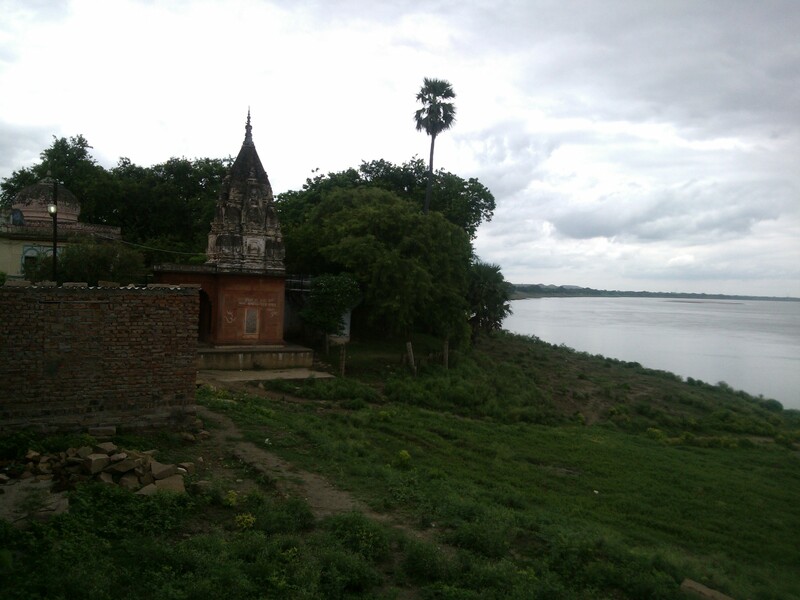 Chunar a small town sandwiched between Mirzapur and Varanasi district is virtually wedded to supernatural forces. 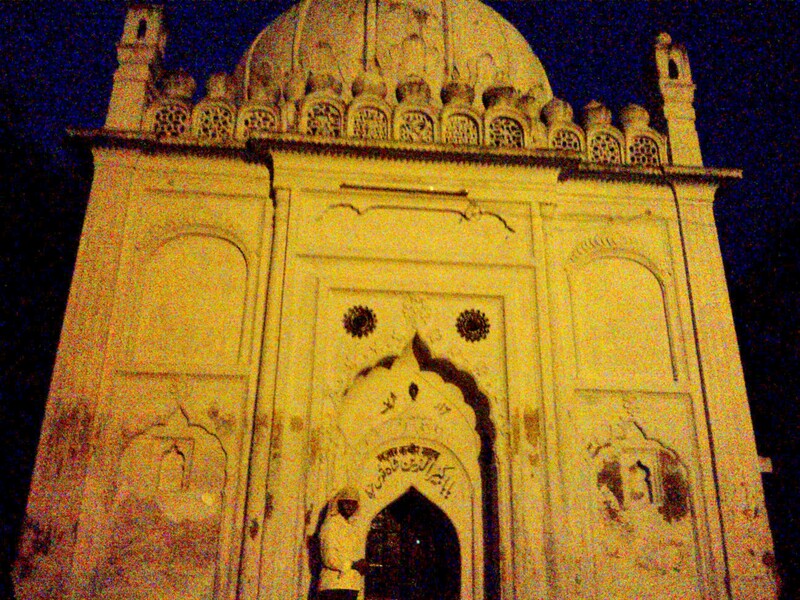 If you happen to be in this city you will surely come to feel what one really means when one says time has come to a standstill! 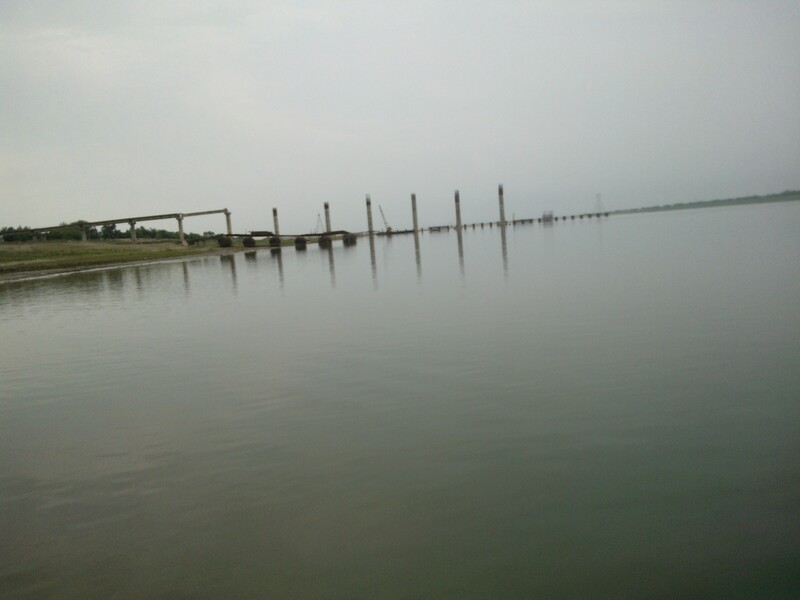 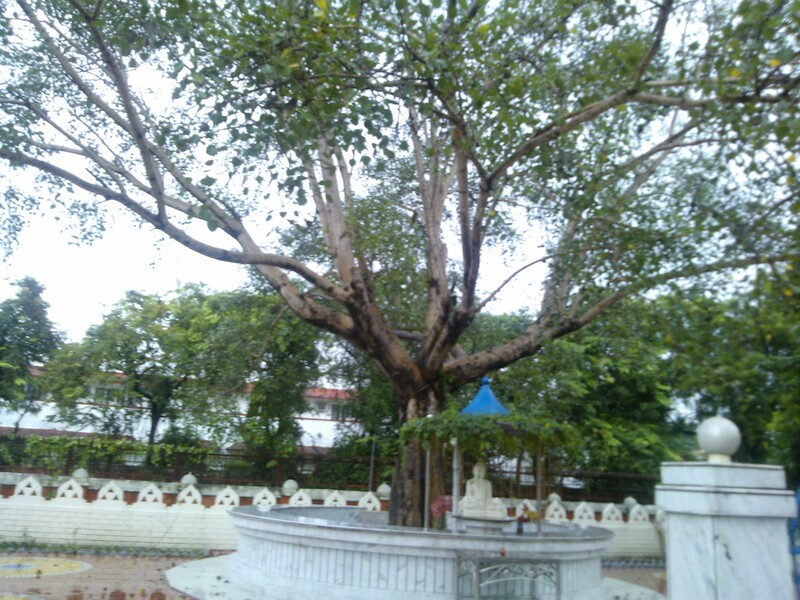 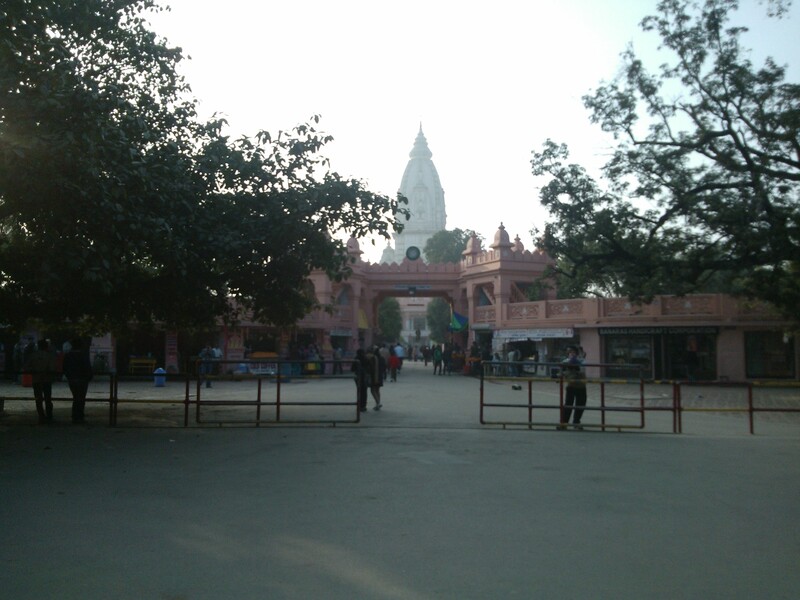 This town as per legends is believed to be the place where Lord Vishnu placed first step during His Vaman incarnation, and thus, this place got its name “Charanadri”. 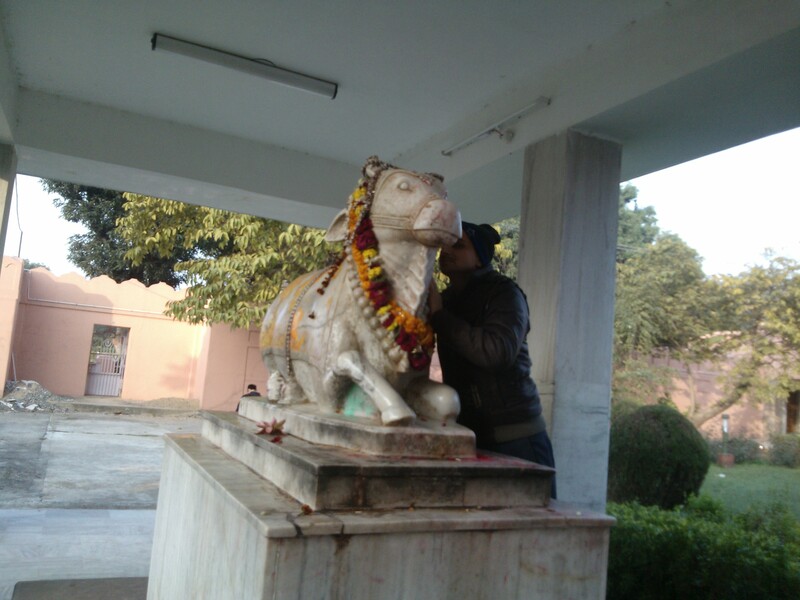 This in turn got converted to Chunar with advent of time. 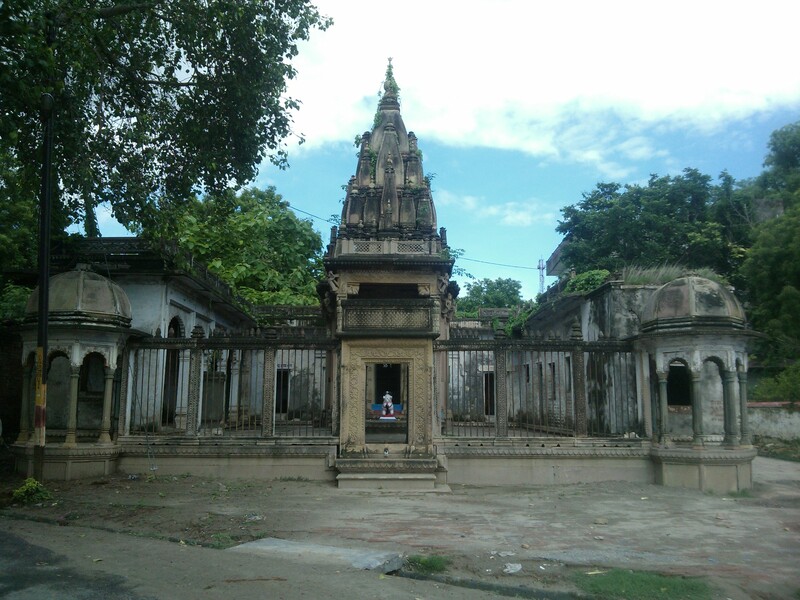 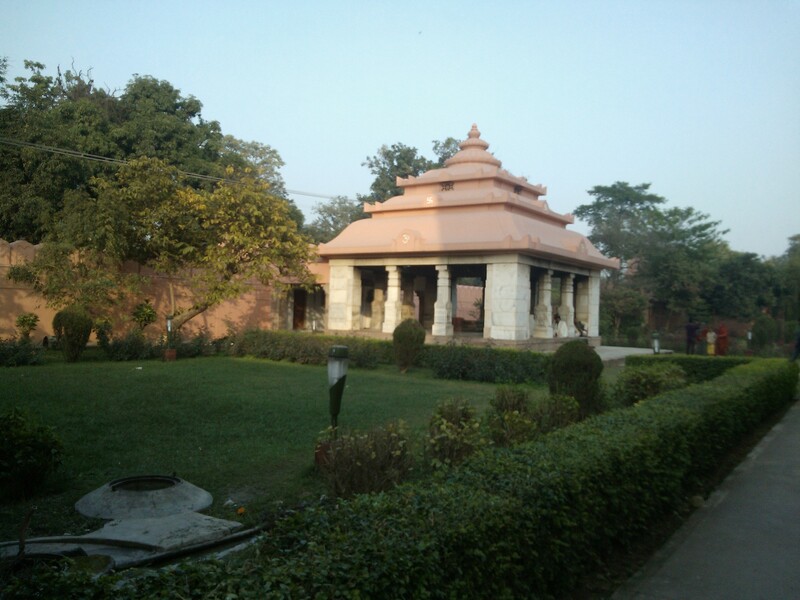 The place also known as Nainagarh was depicted as place haunted by supernatural events in novel penned by Devaki Nandan Khatri known as Chandrakanta. 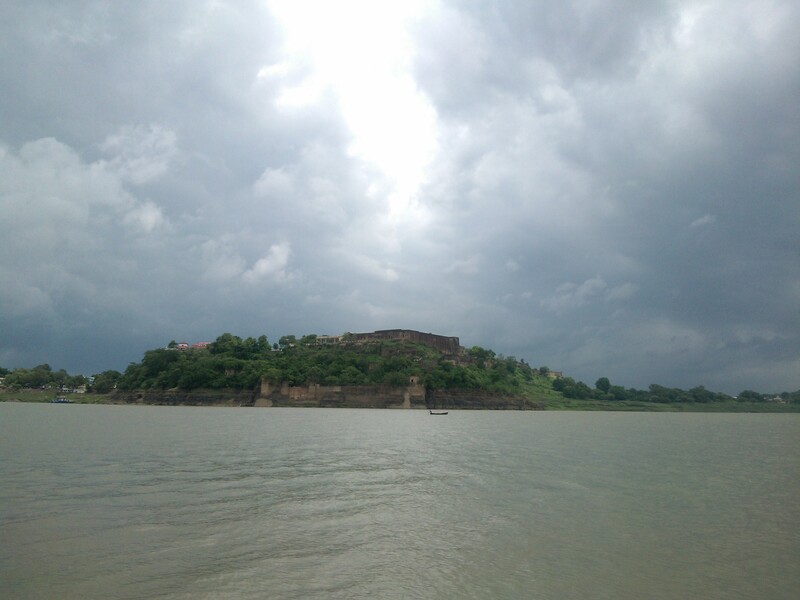 Anyway, the popularity of this place rests on Chunar fort built by KIng Vikramaditya of Ujjain to facilitate the meditation of his brother Bharthari, who happened to be a great Yogi. 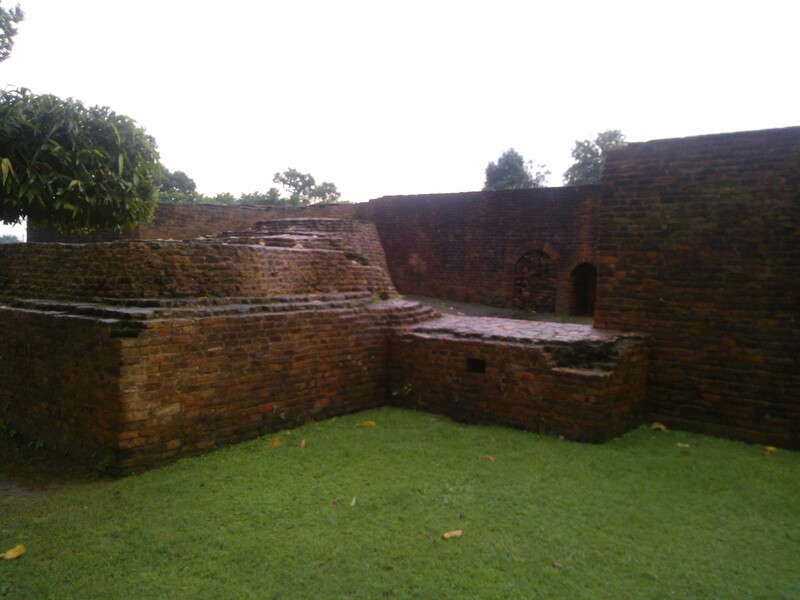 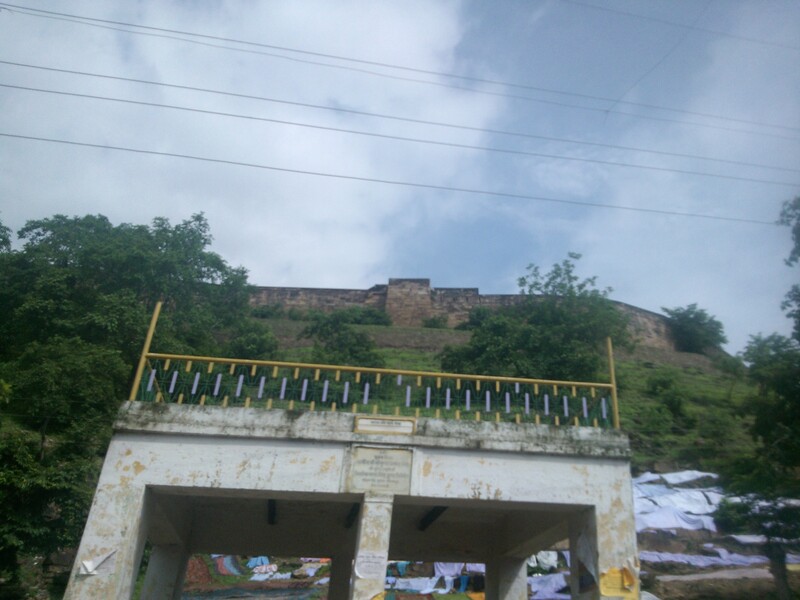 This fort later fell in hands of Mughal rulers via Shershah Suri. 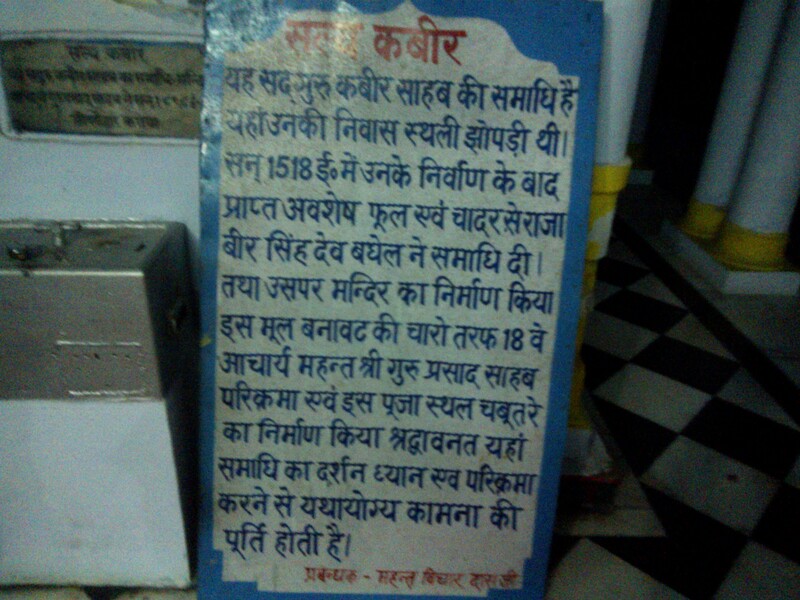 Finally it came under British rule and remained in its possession until India gained freedom in 1947. 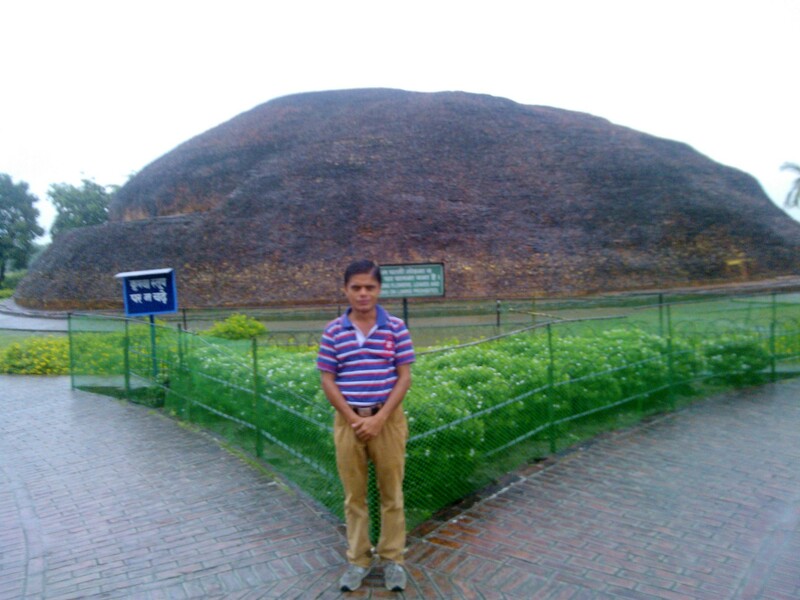 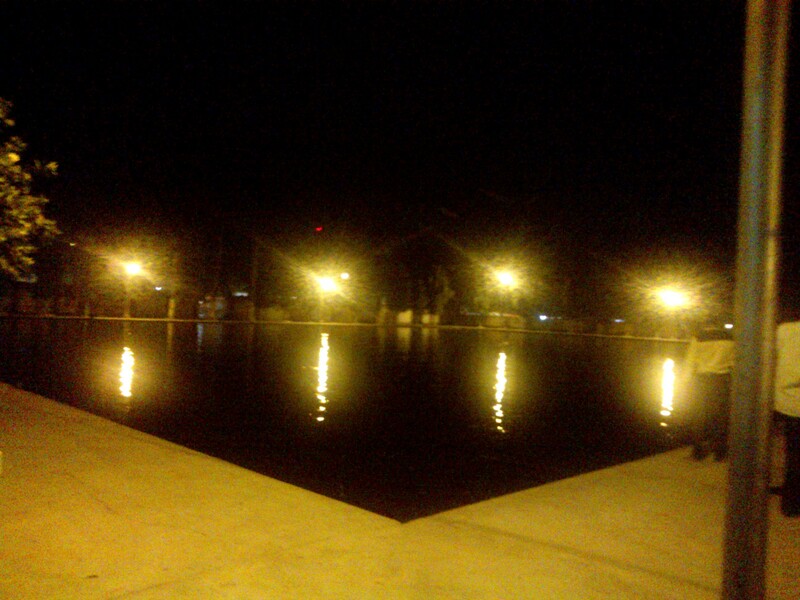 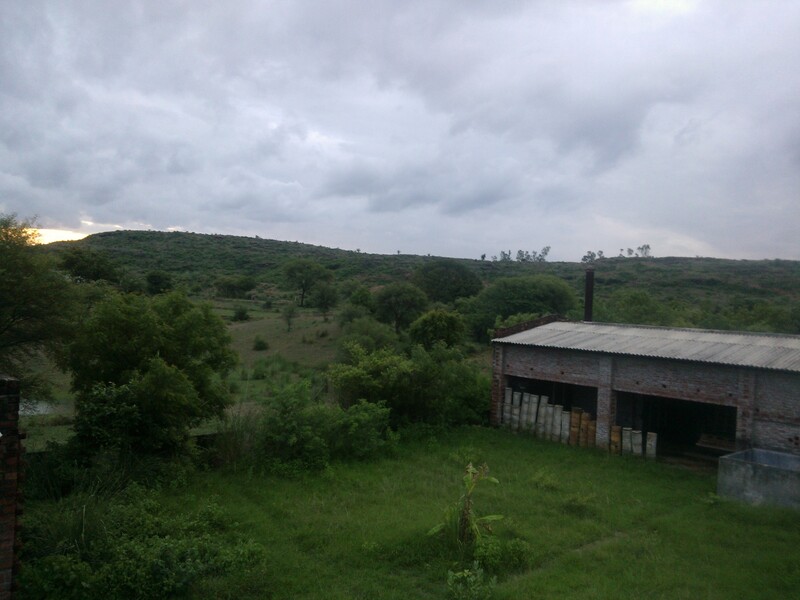 This place is surrounded by Vindhya Hills. 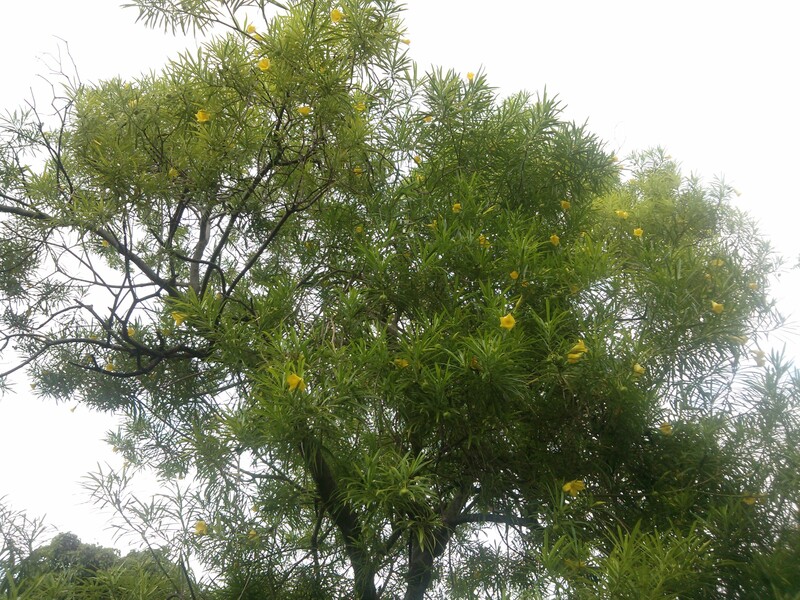 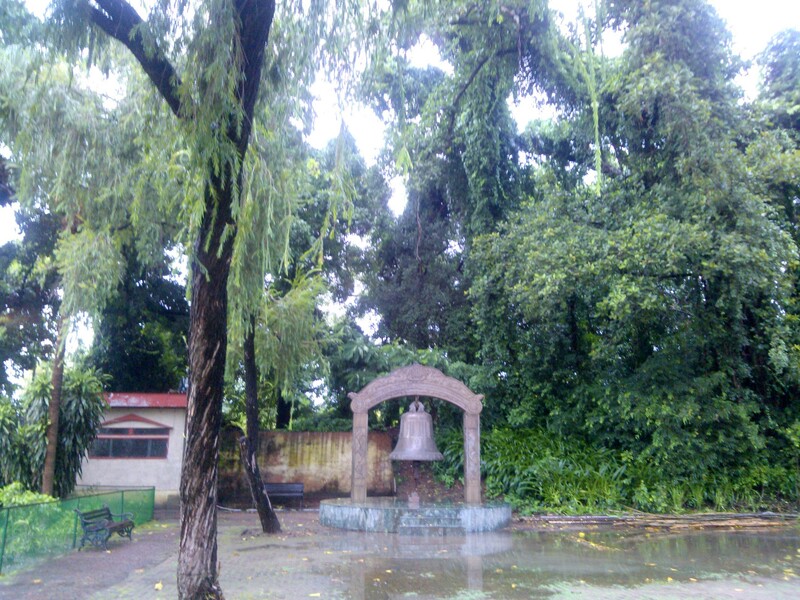 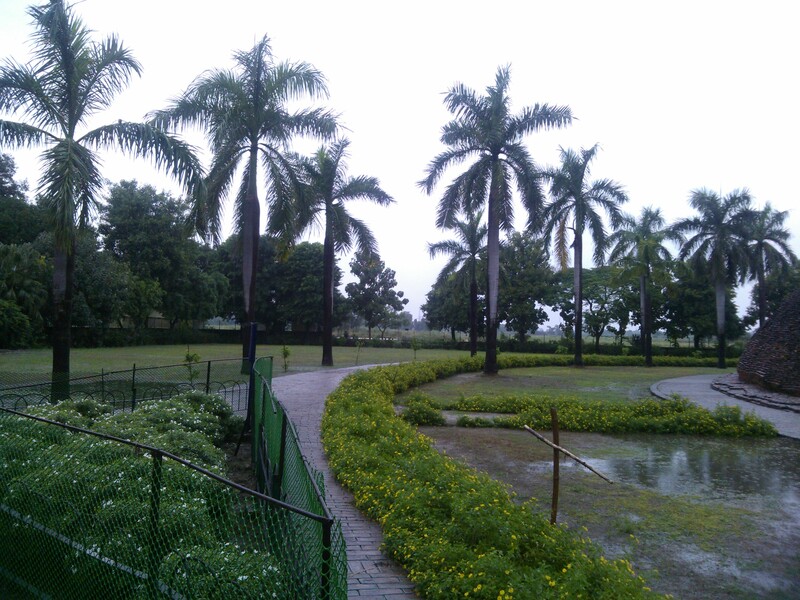 In rainy season, this place is no less than a paradise since greenery prevails everywhere. 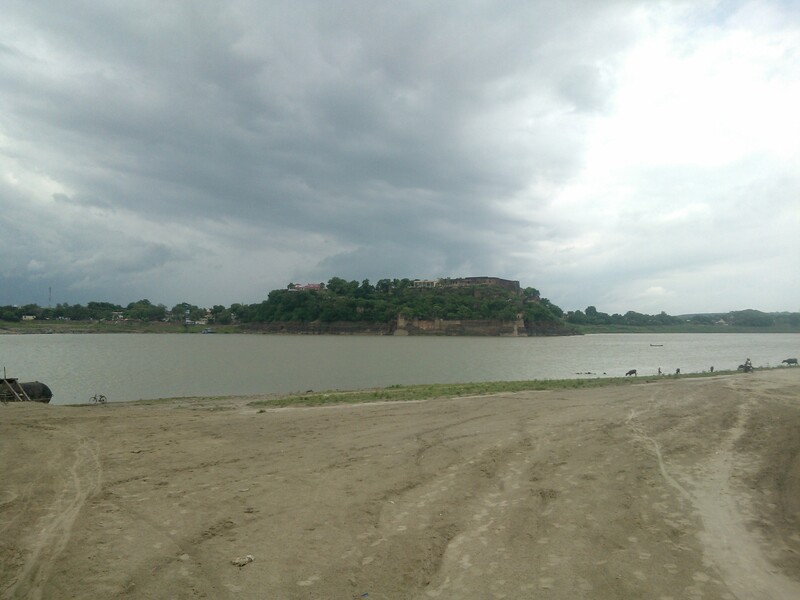 The presence of river Ganges provide its a divine touch and so many beautiful waterfalls located close to this town are like icing on the cake for distant visitors! 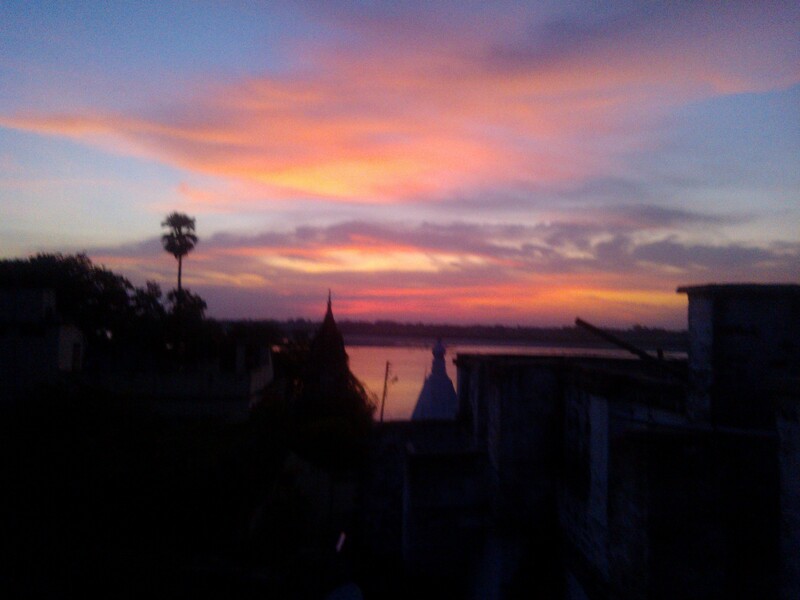 Let’s have a glimpse of the beauty which prevails in this area via the photographs. 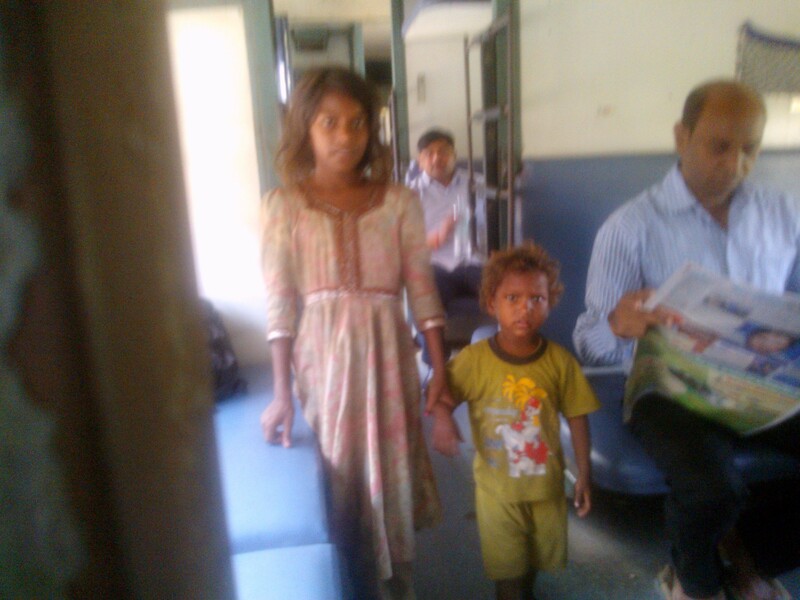 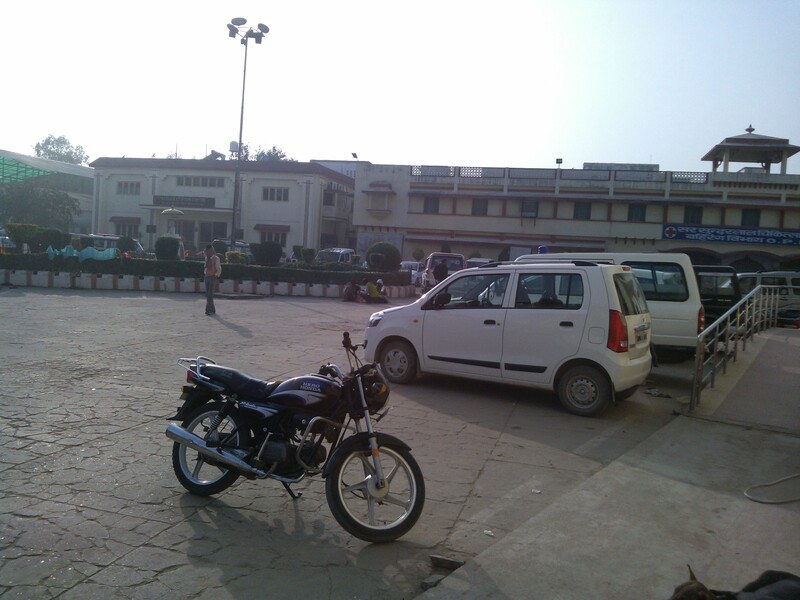 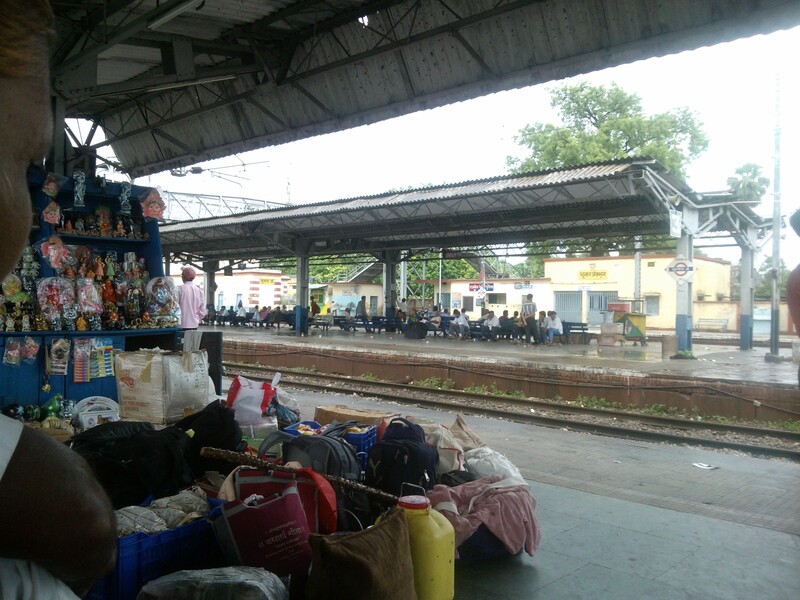 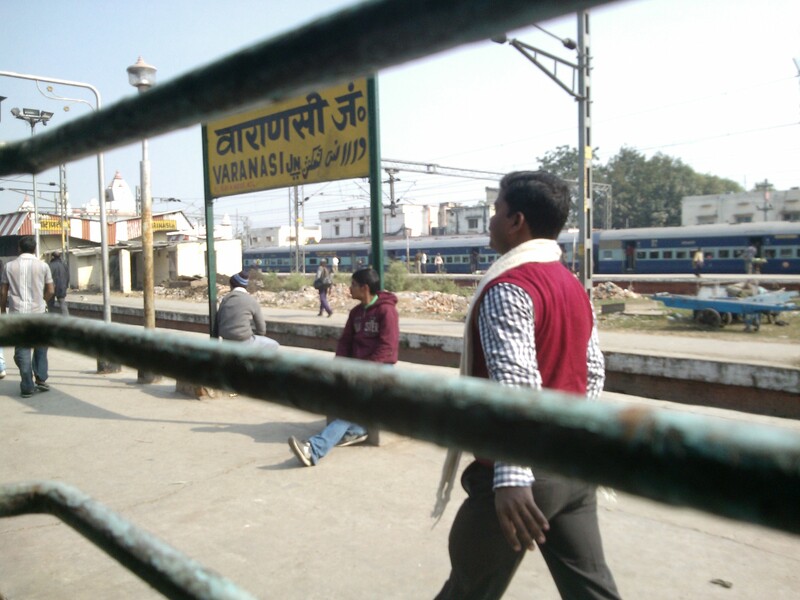 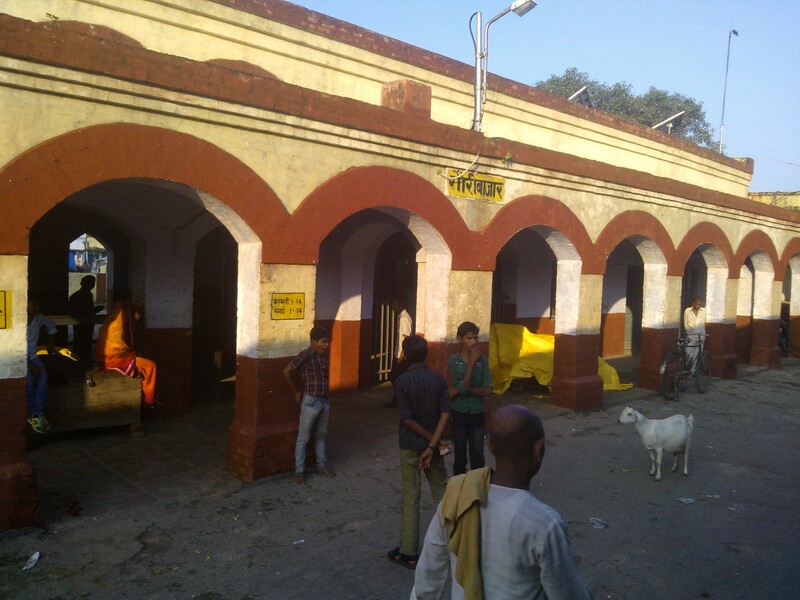 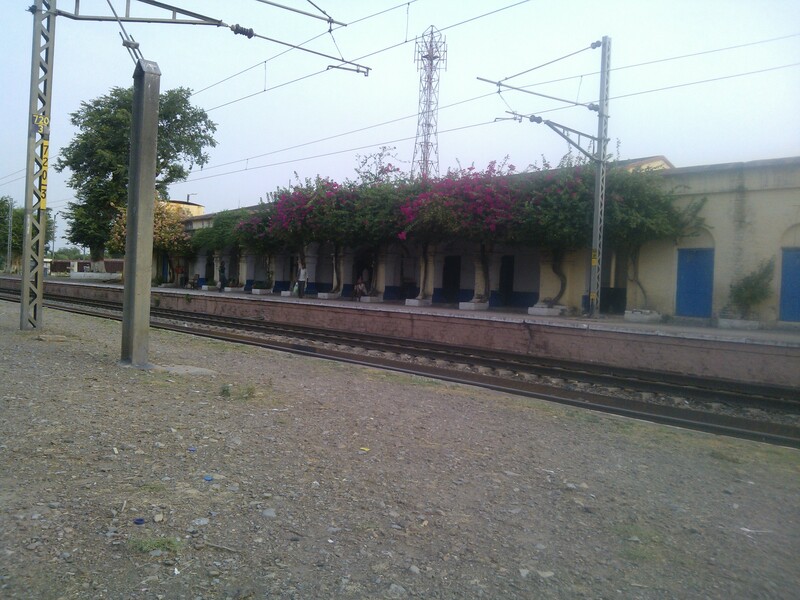 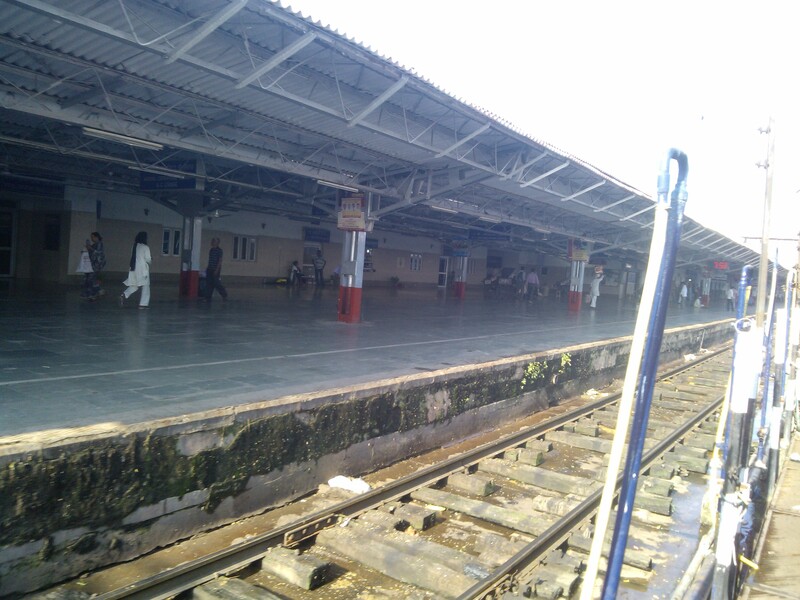 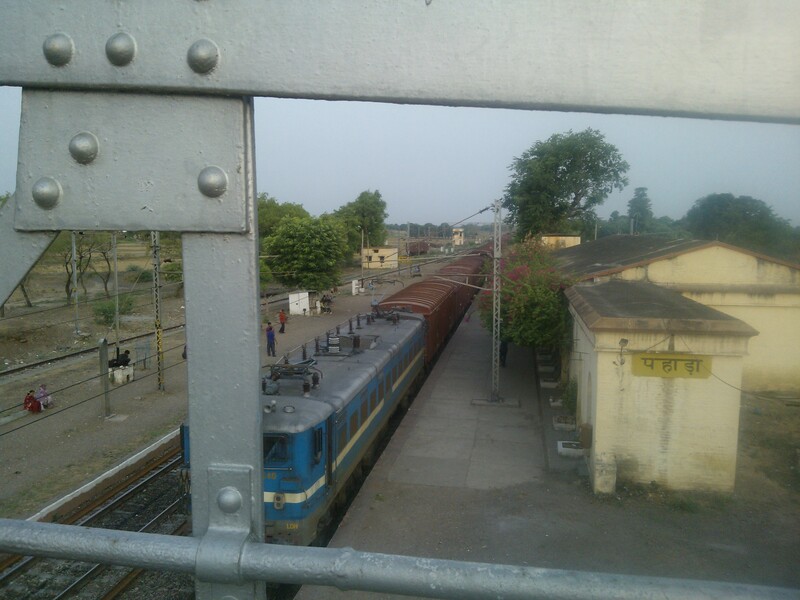 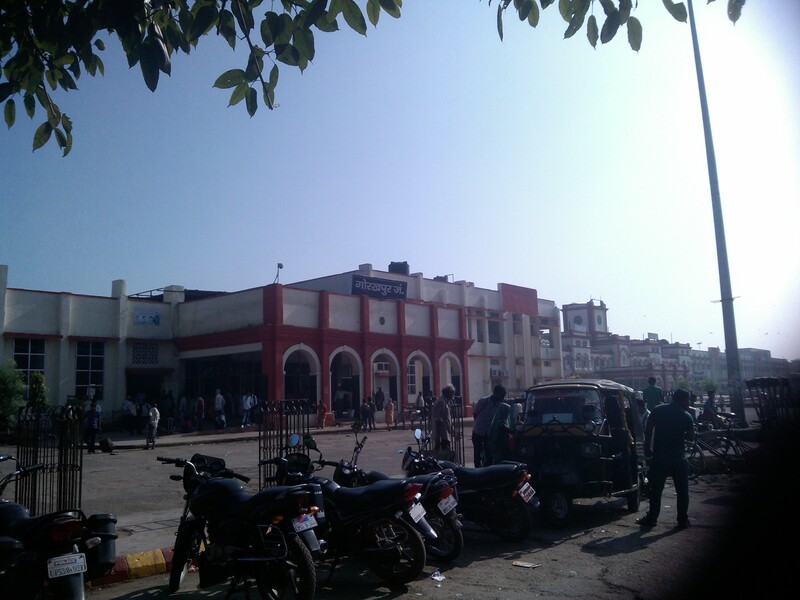 Chunar Station lies on Howrah-New Delhi route. 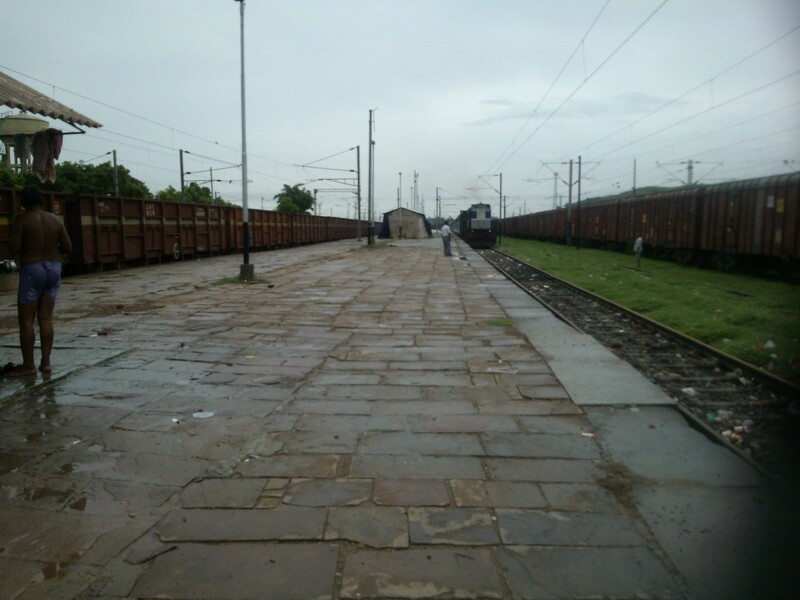 Many important trains from Allahabad have their stoppage at this Junction station.Beautiful Landscape before arrival of this station. 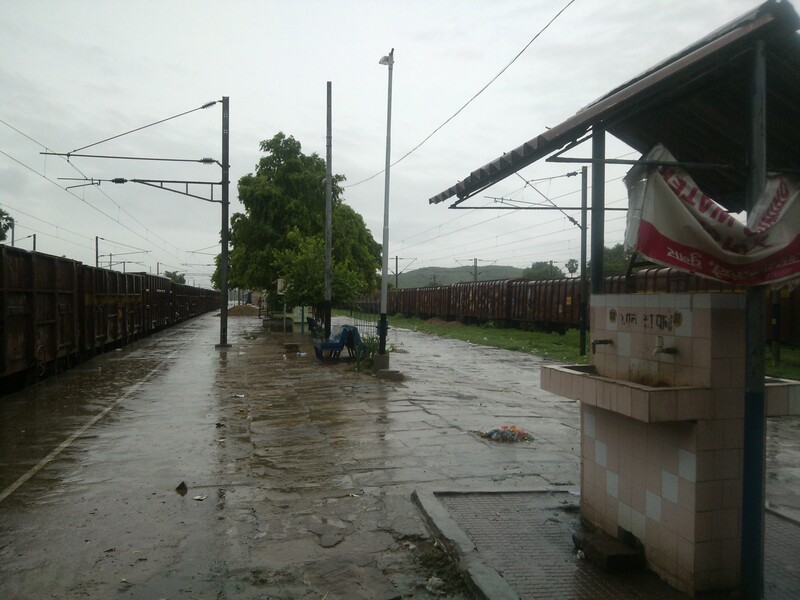 Rainfall makes train journey visual delight…. 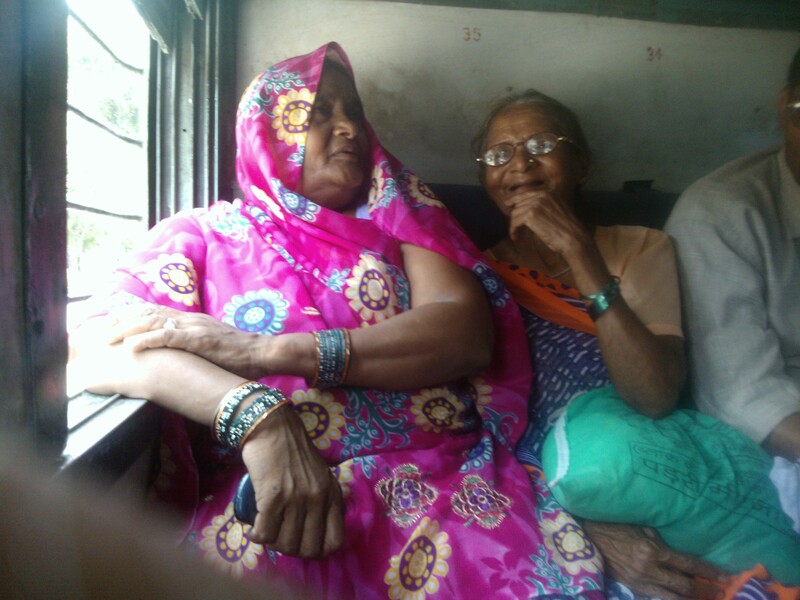 Two old ladies engaged in heartfelt conversation…. 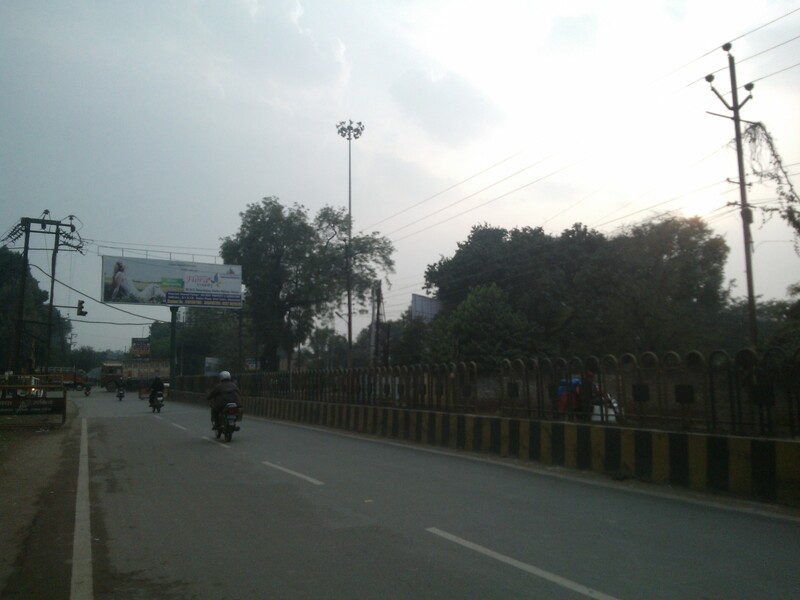 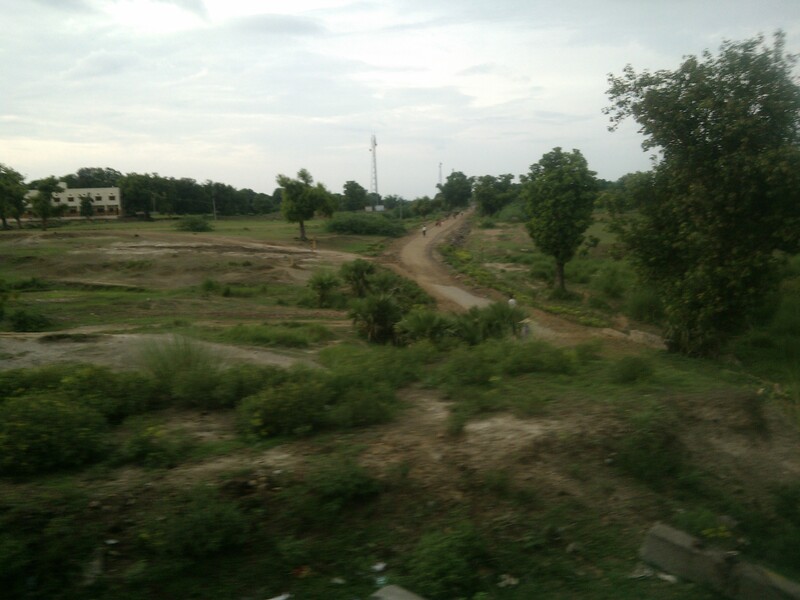 Notice That Hills Gain Prominence Before Arrival of Chunar Junction! 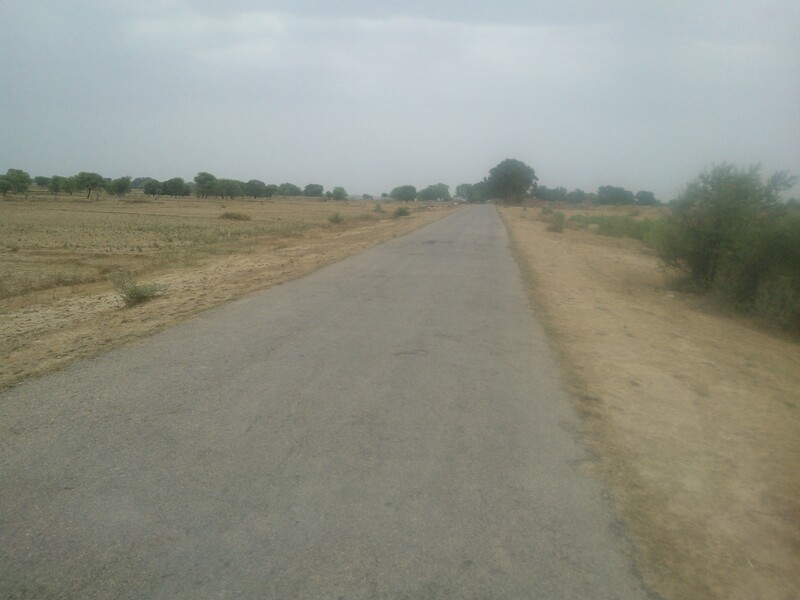 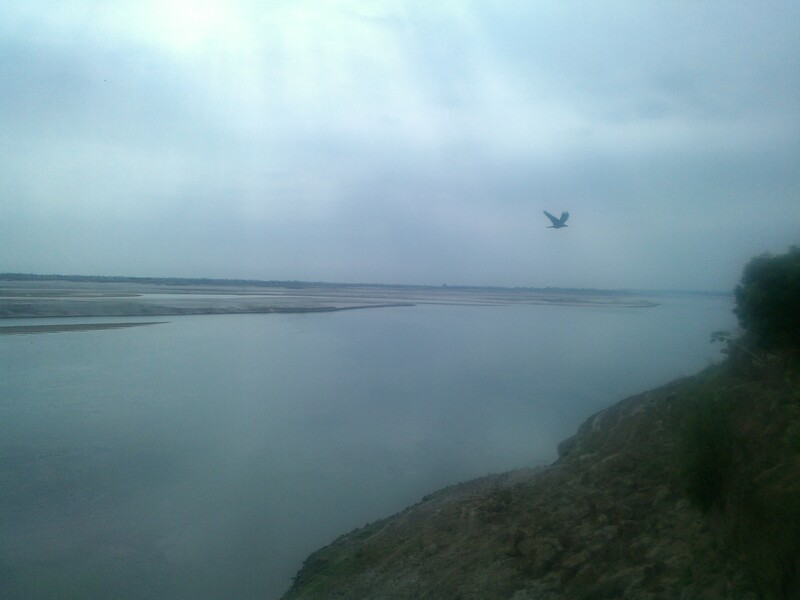 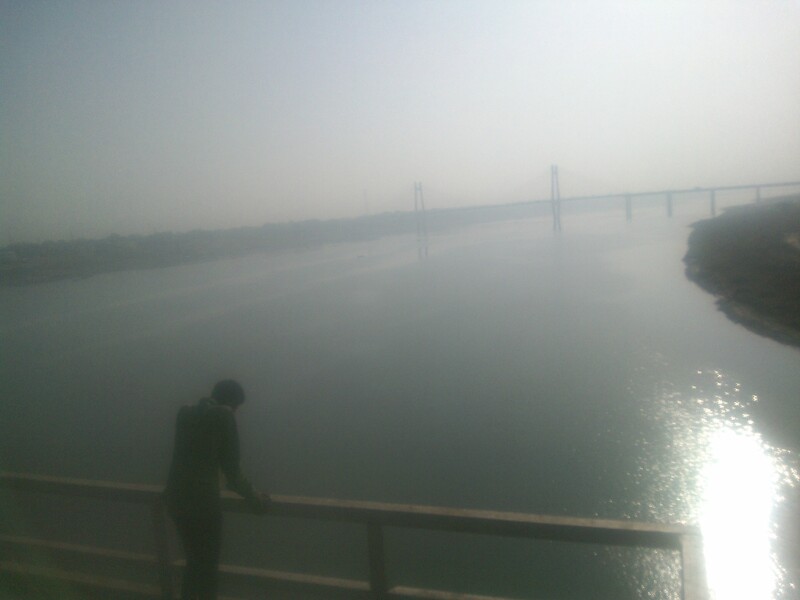 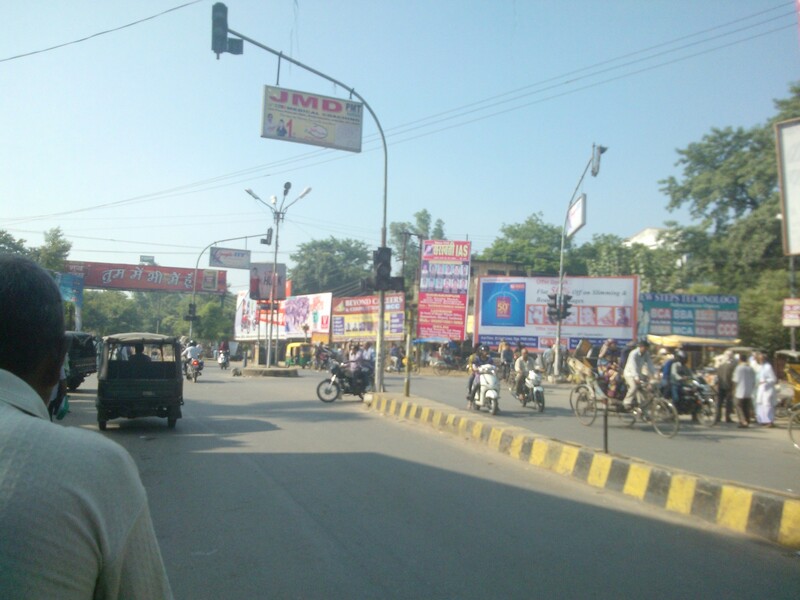 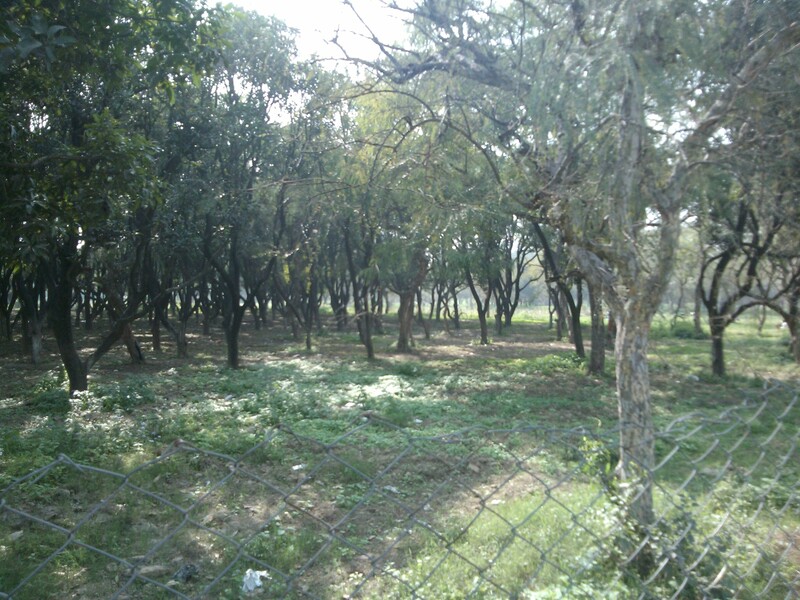 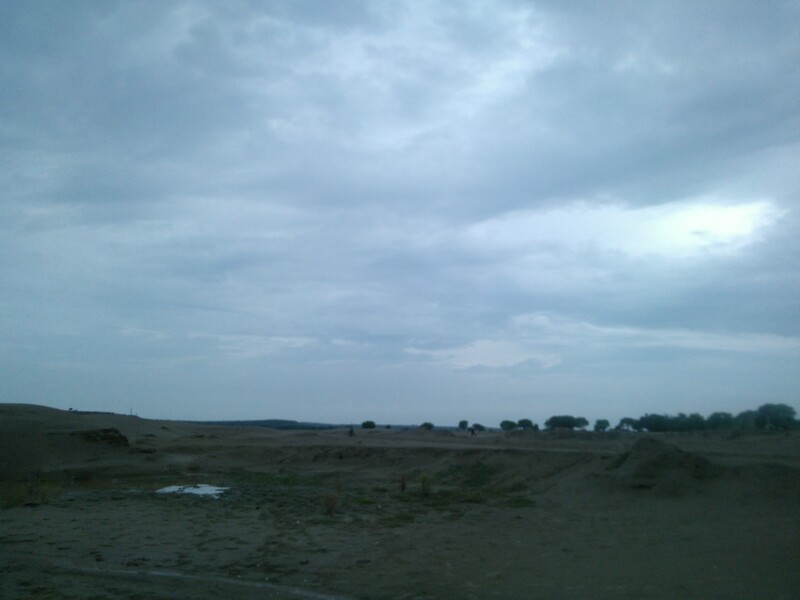 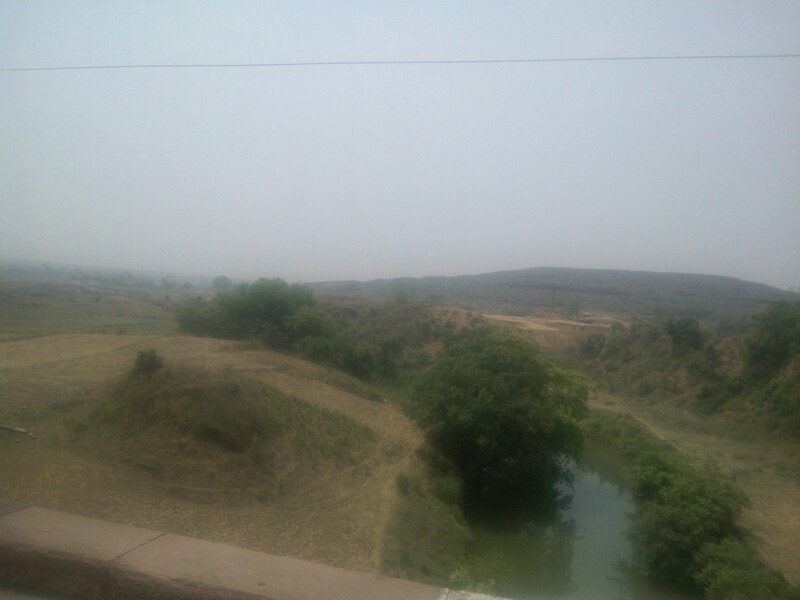 Glimpse Of Road Journey To Chunar! 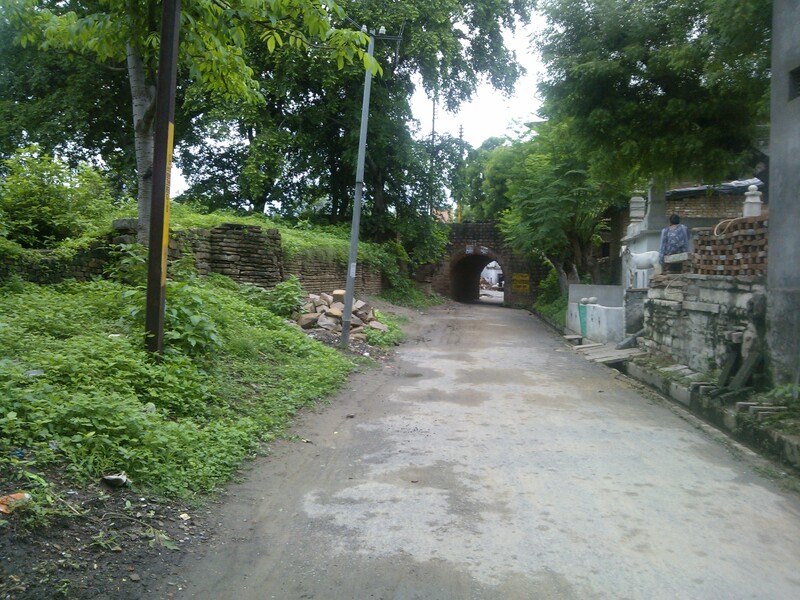 Even Road Journey In Rainy Season Is Awesome..
Chnuar is a Junction station. 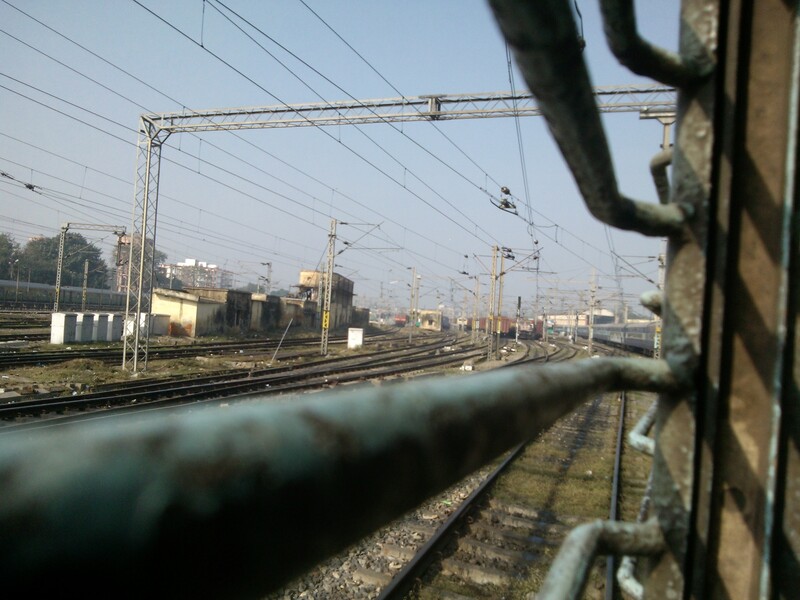 One track leads to Howrah while the other track leads to Shaktinagar ,Tatanagar and etc. 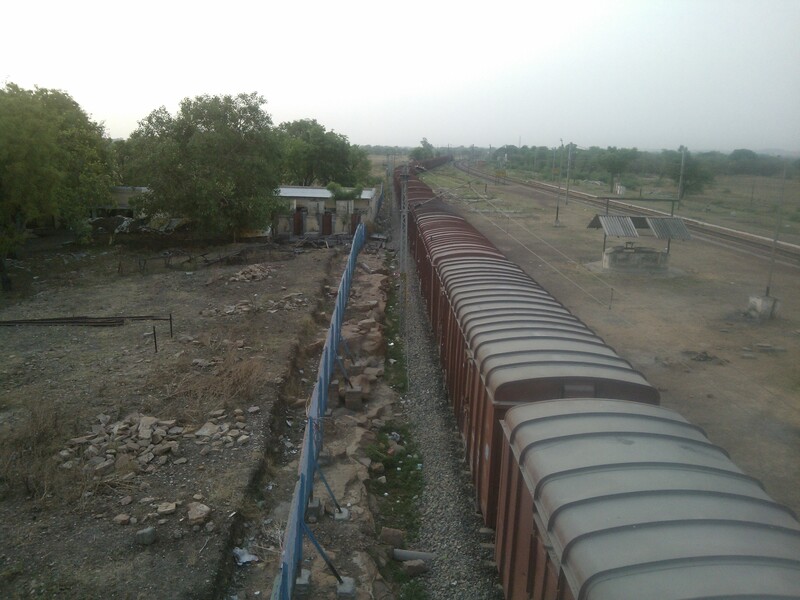 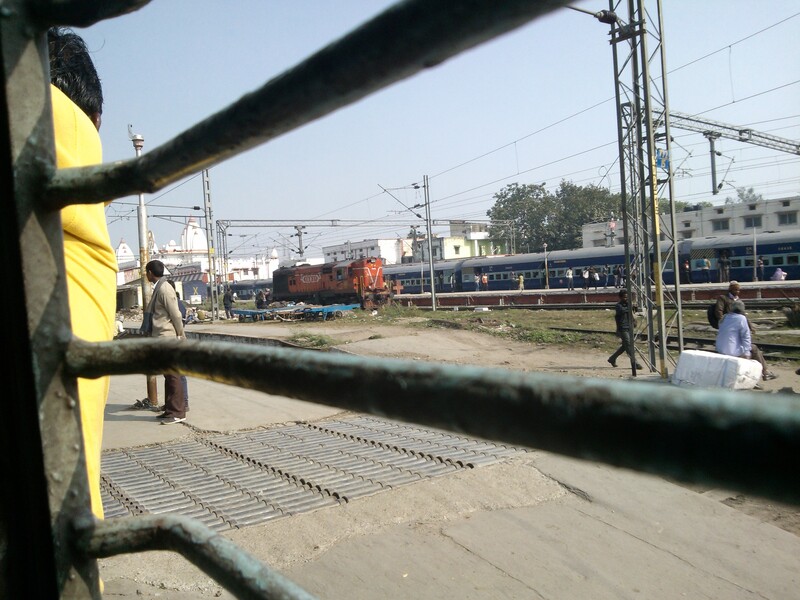 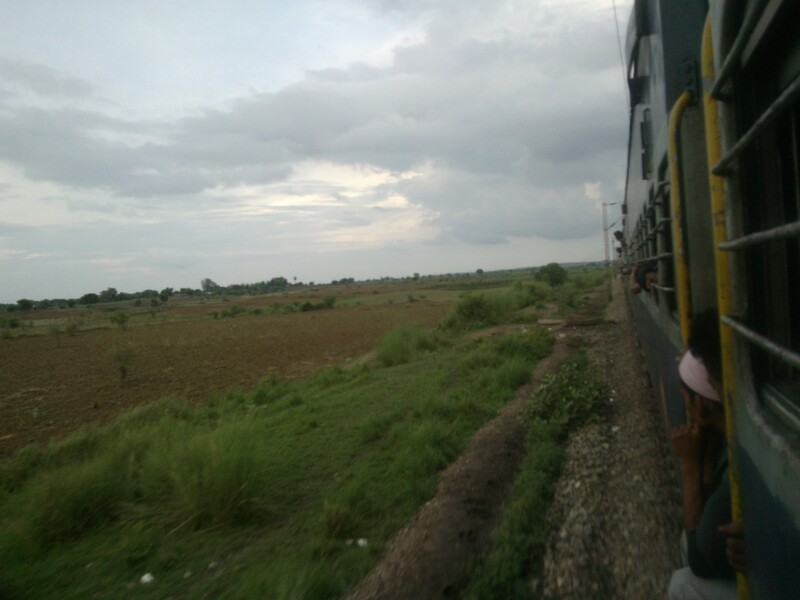 In the picture one can see CCM arriving from Chopan route. 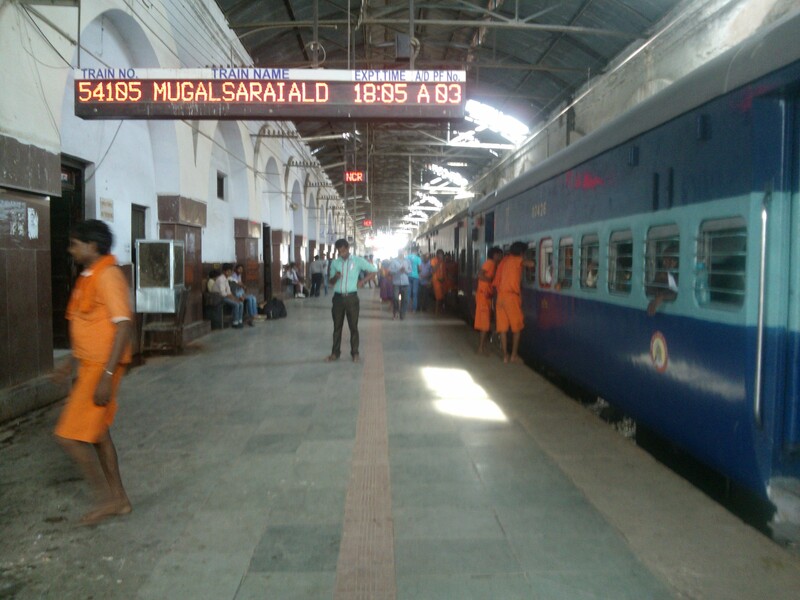 Other well known trains in this route are Moori Express, Swarna Jayanti Express and Triveni Express. 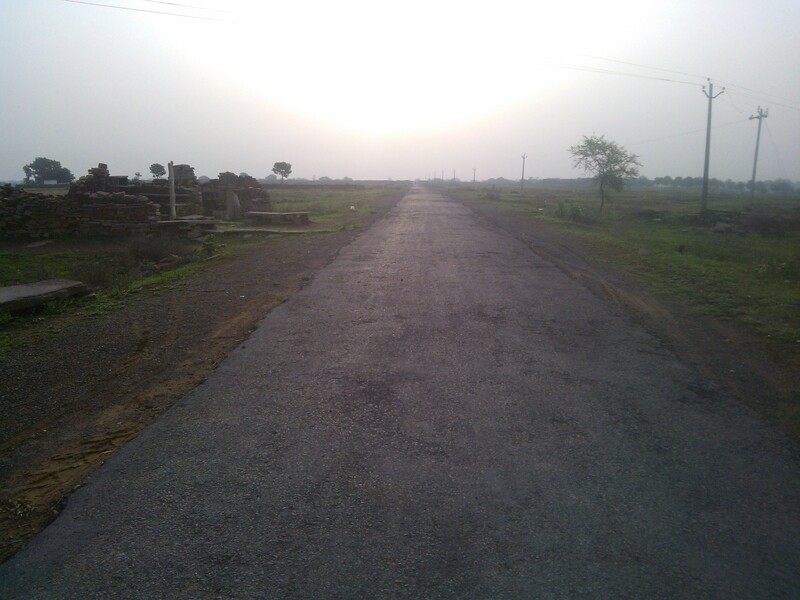 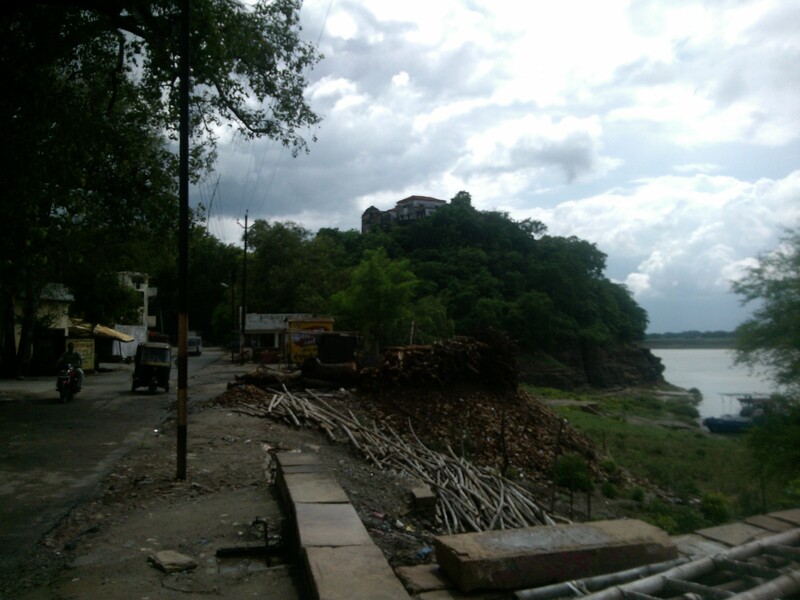 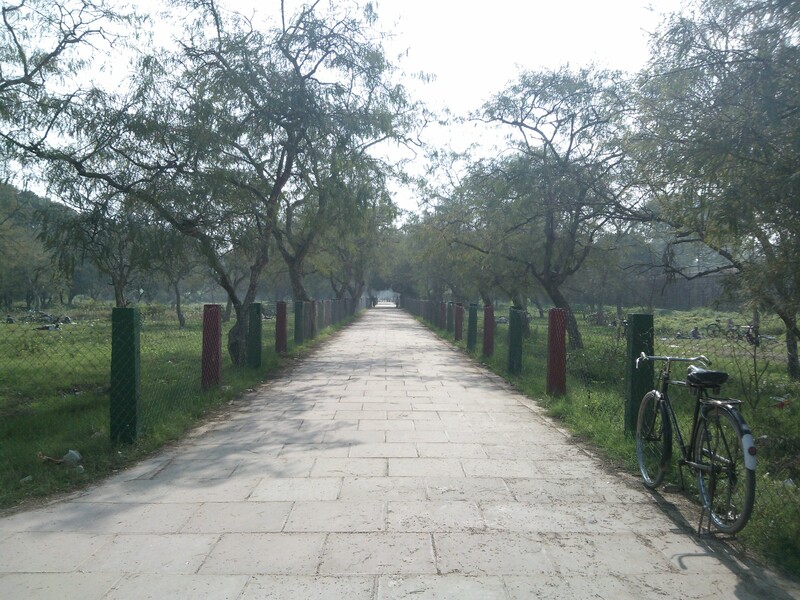 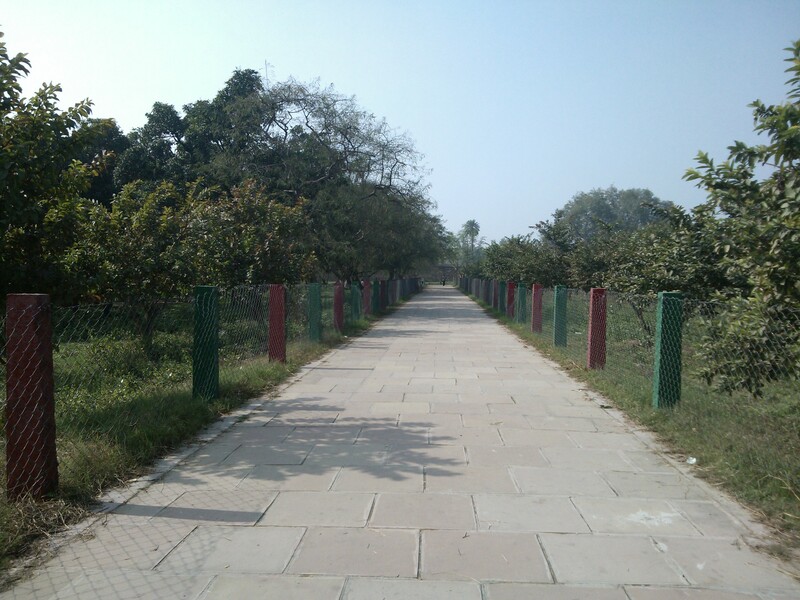 Not many are aware that a dusty road from Varanasi leads to Chunar via Chunar Ghat. 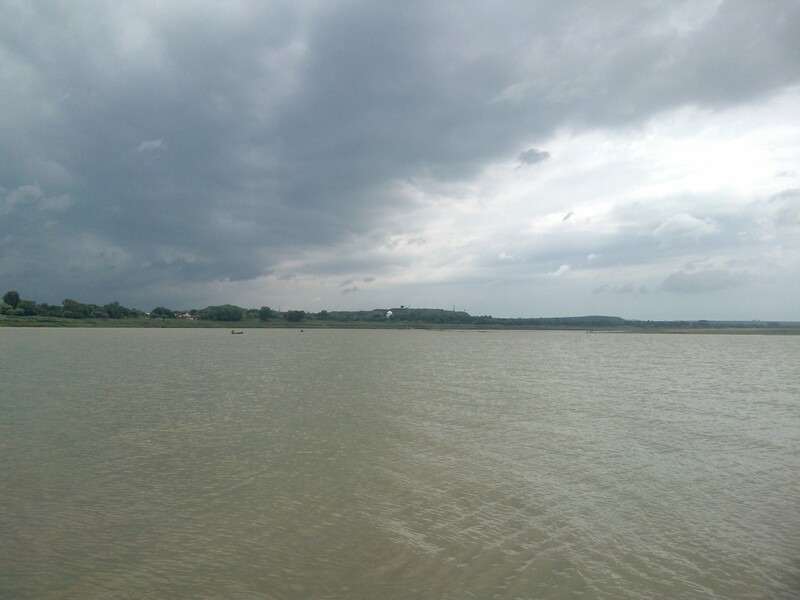 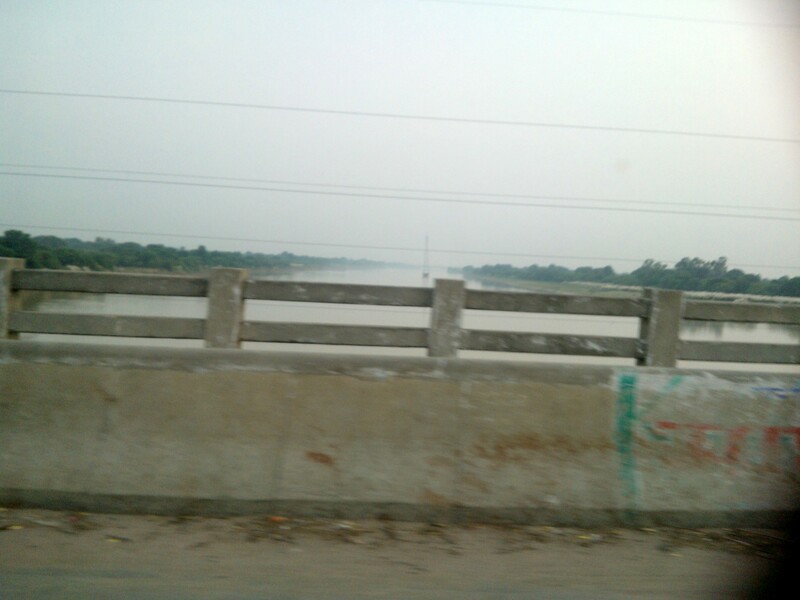 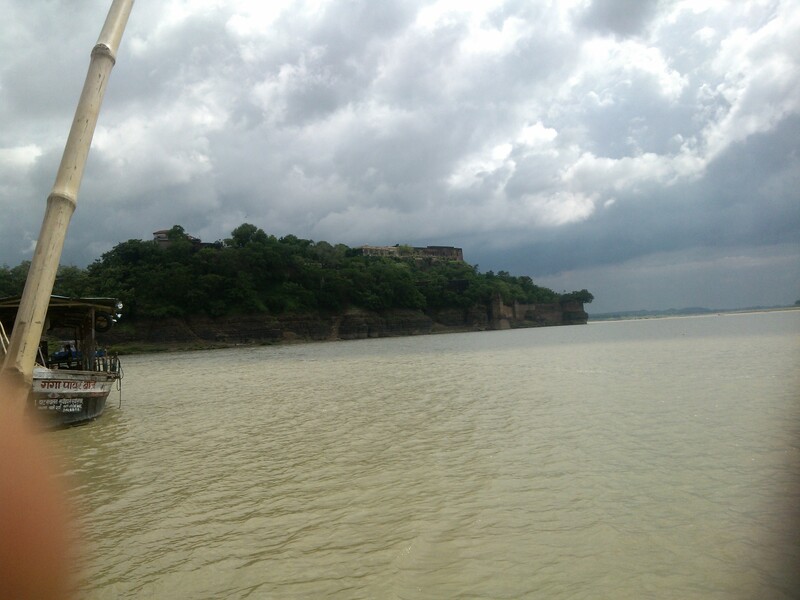 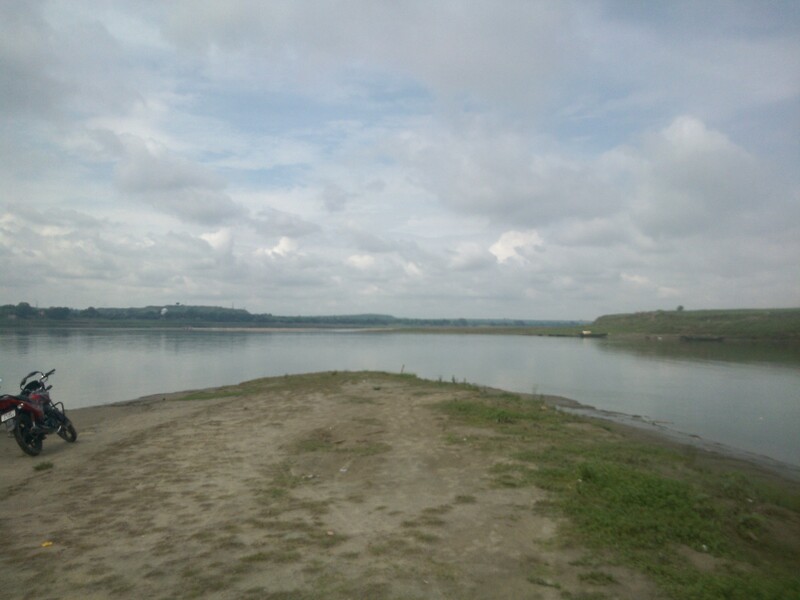 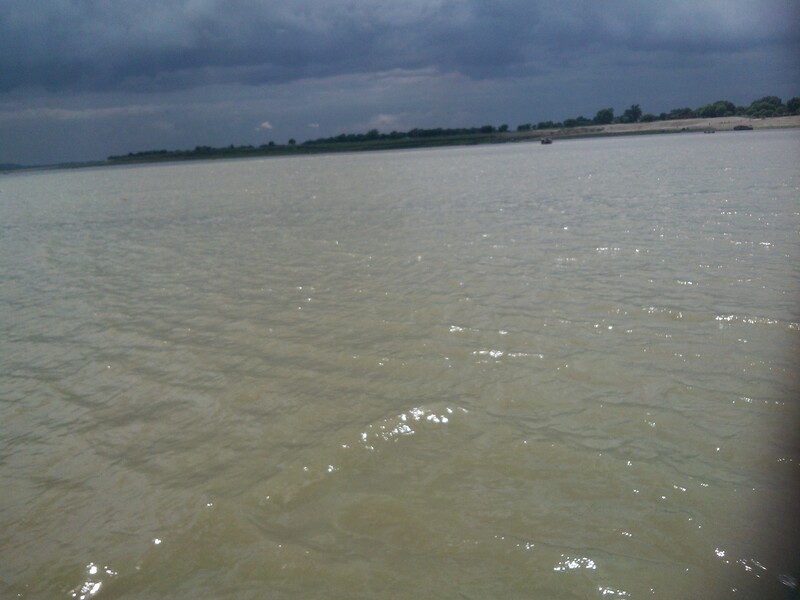 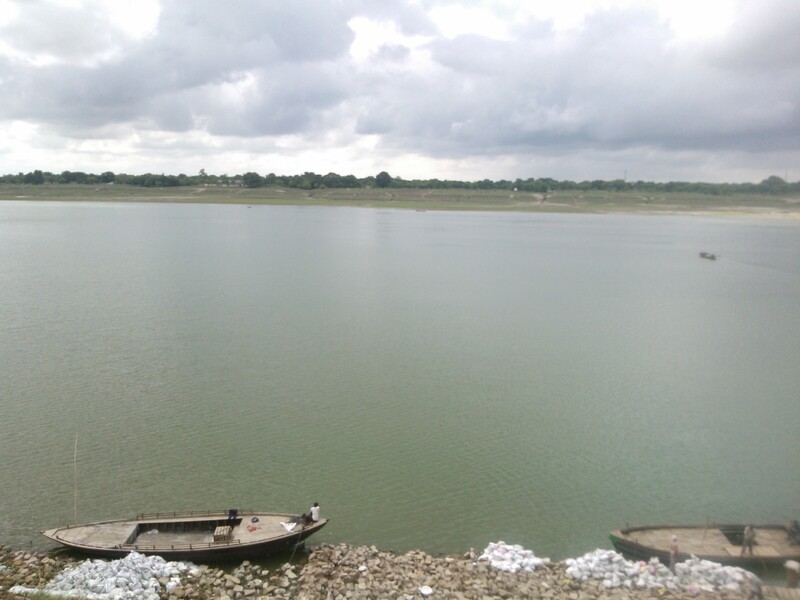 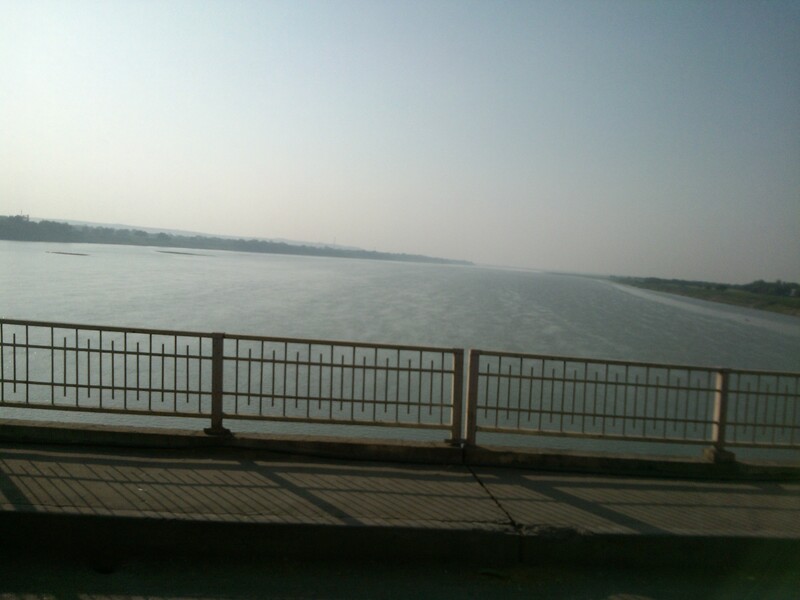 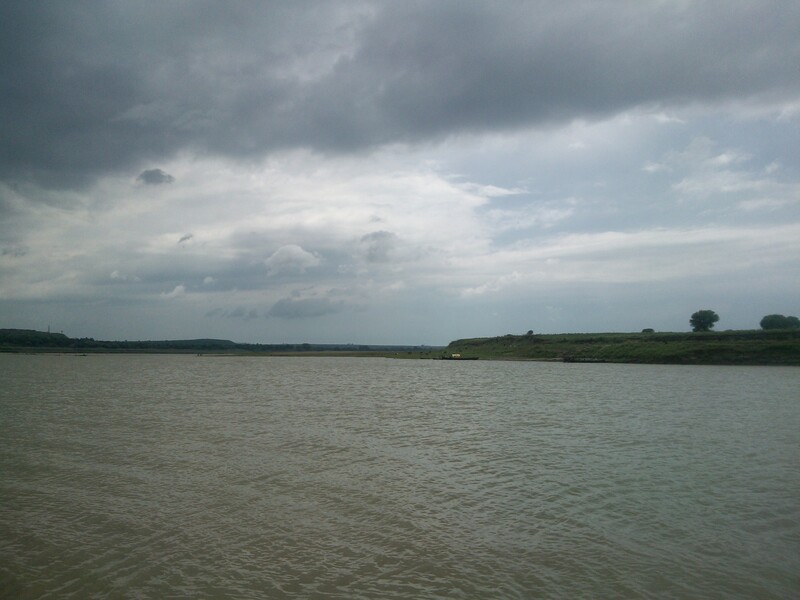 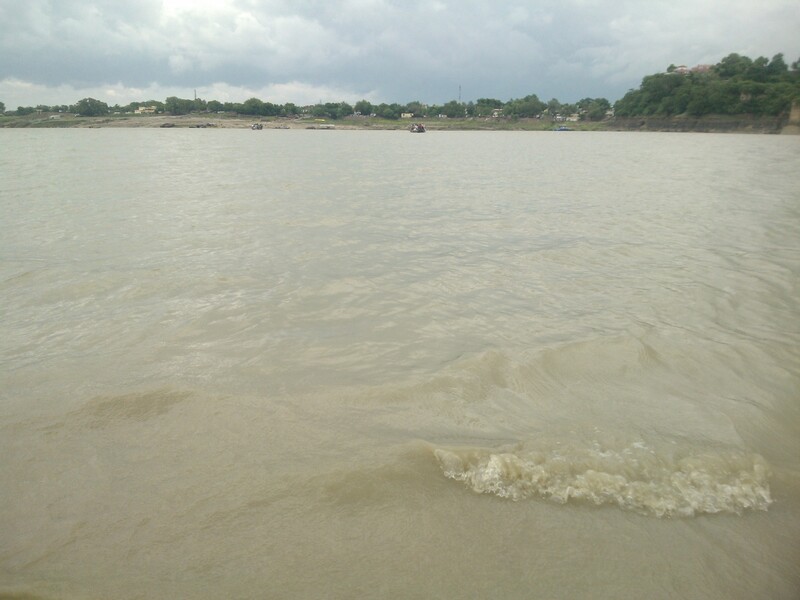 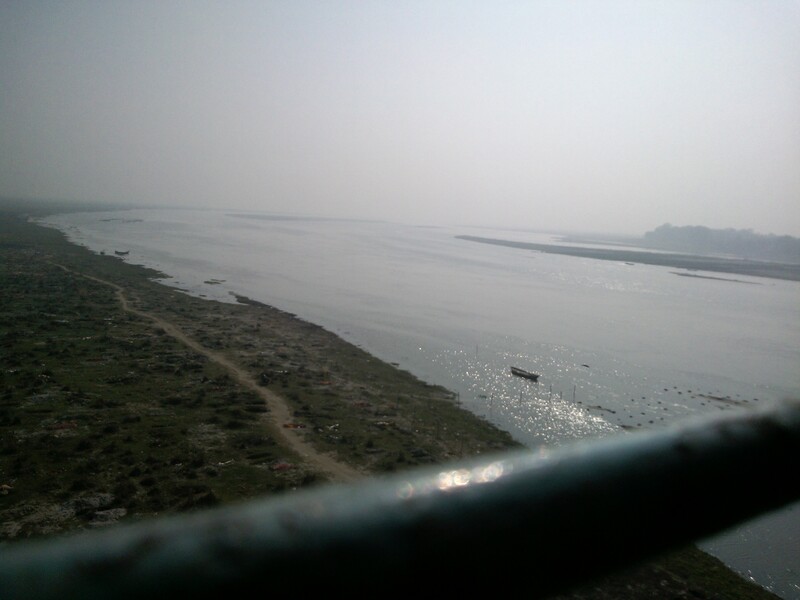 The interesting part of this route is that you get an opportunity to have a boat ride across Ganges. 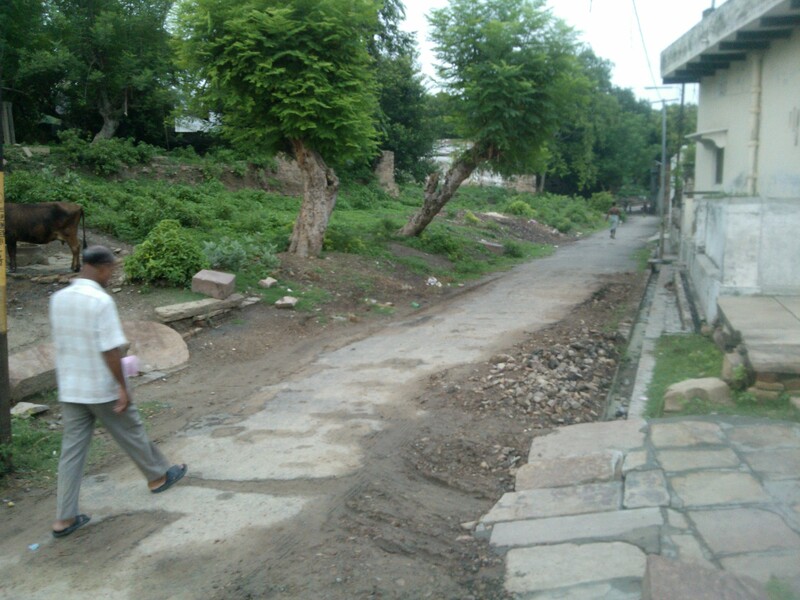 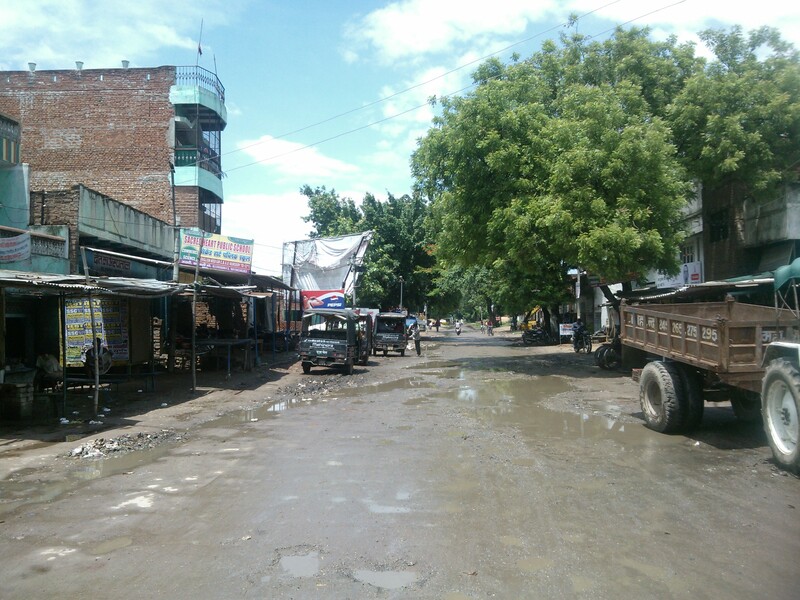 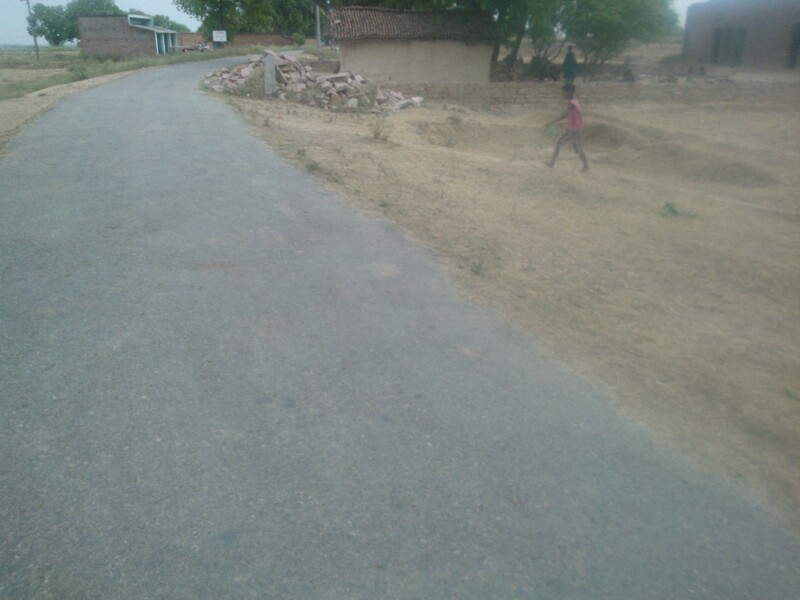 That’s the road which originates in Varanasi in good shape but as we move towards Chunar it gets converted into dusty road.. 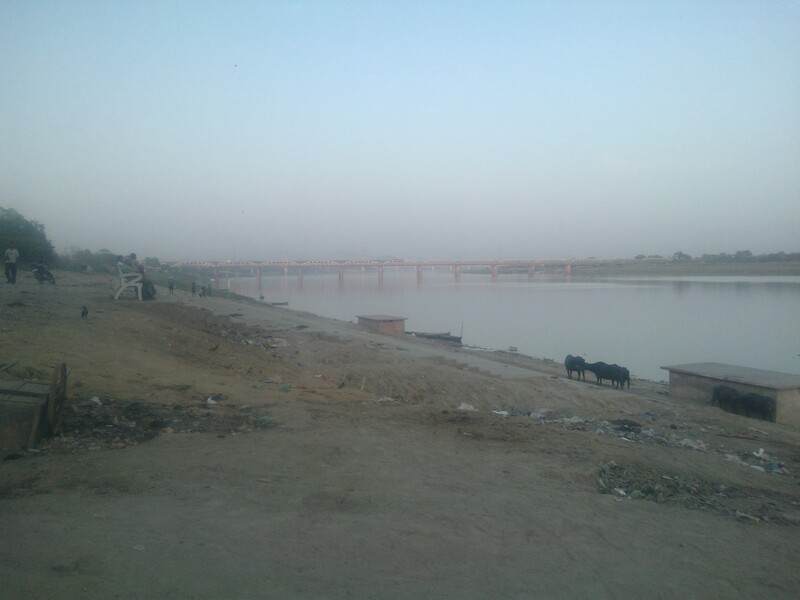 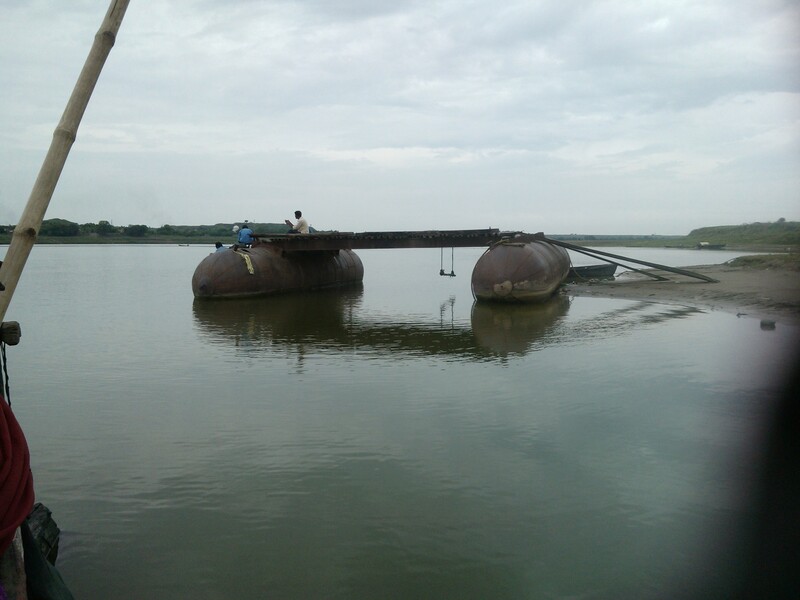 This permanent bridge is under construction! 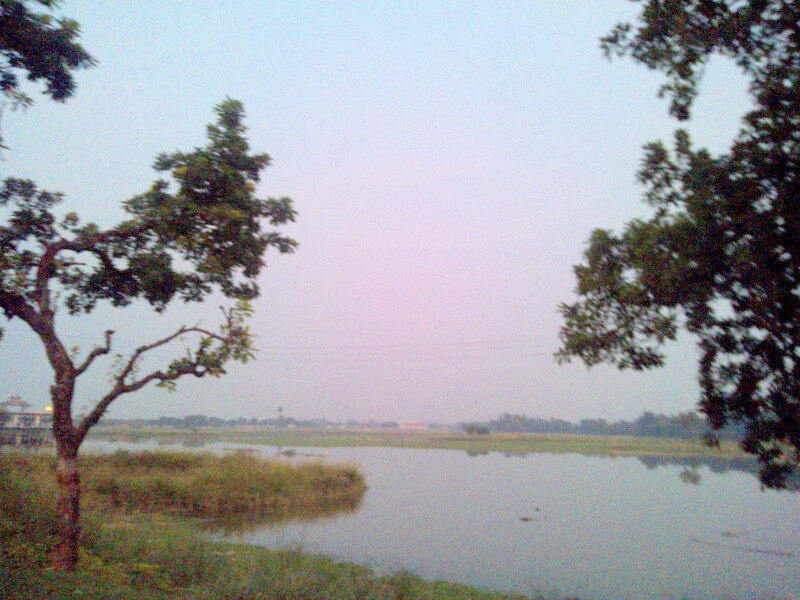 Who will love to wipe out such scenes from mind’s landscape? 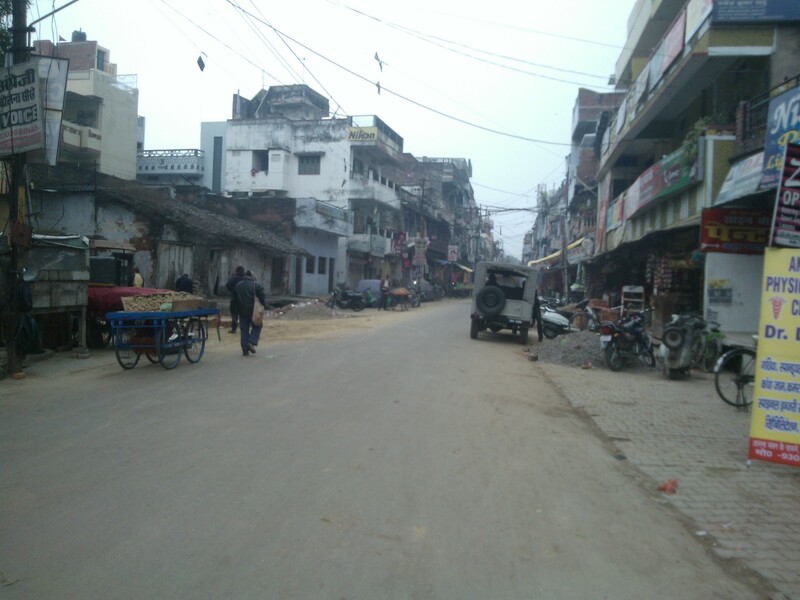 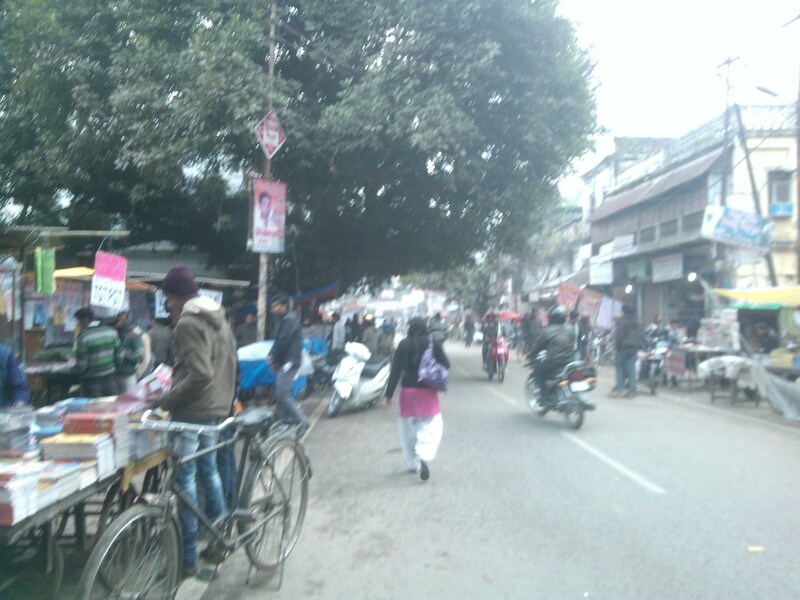 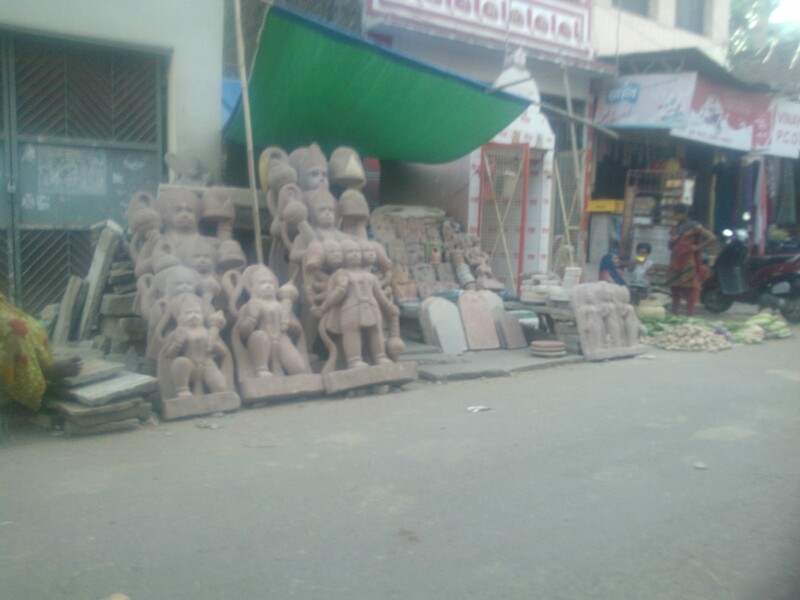 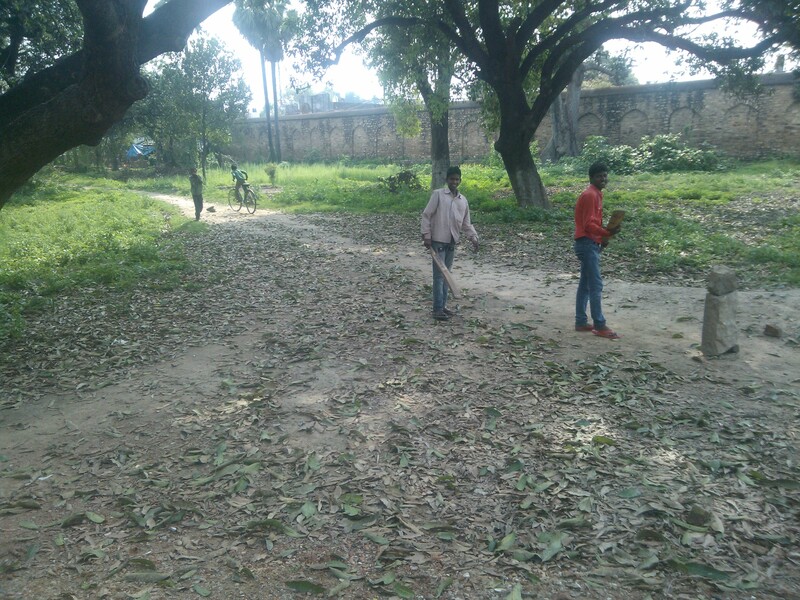 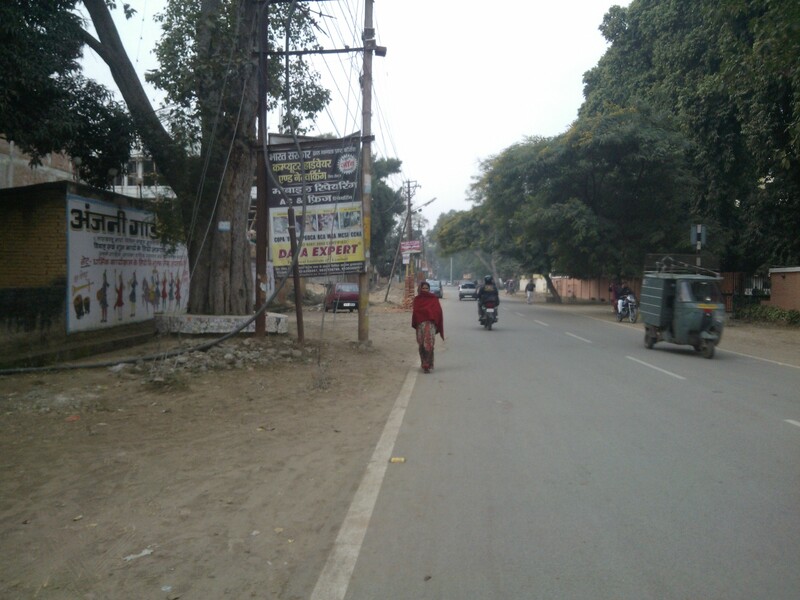 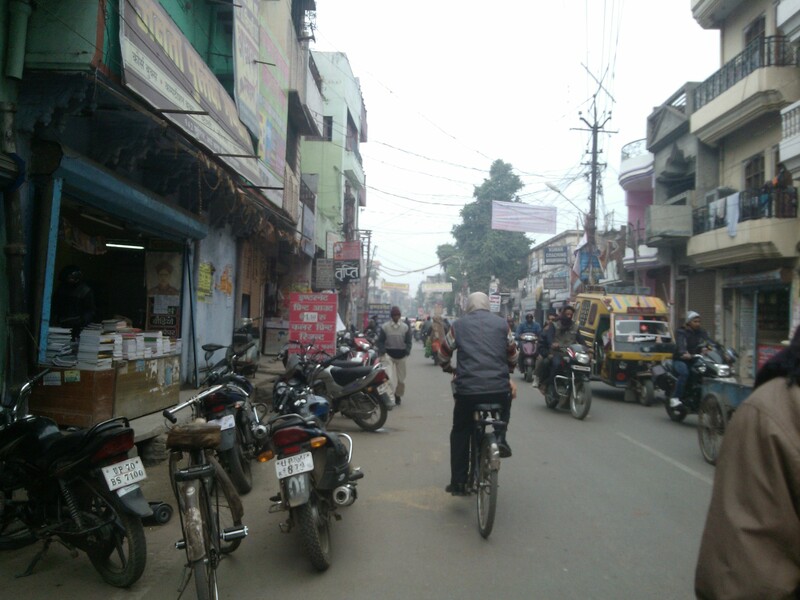 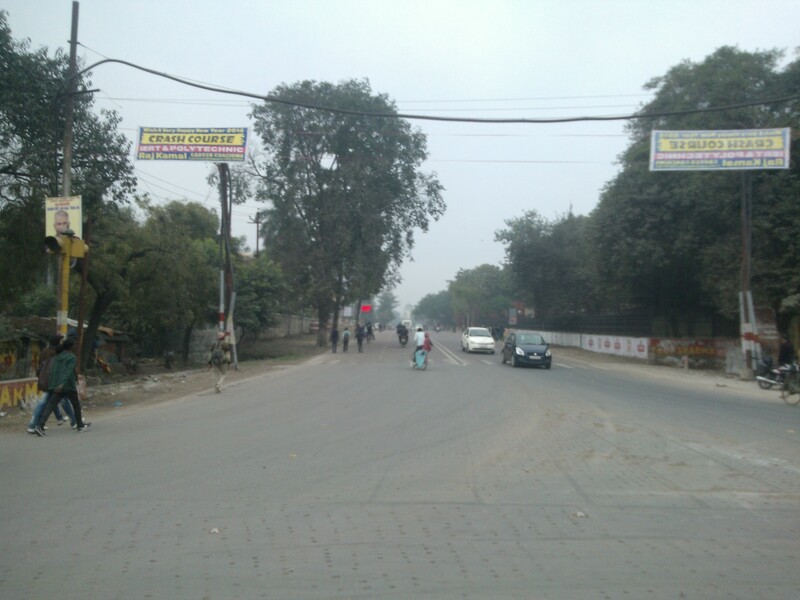 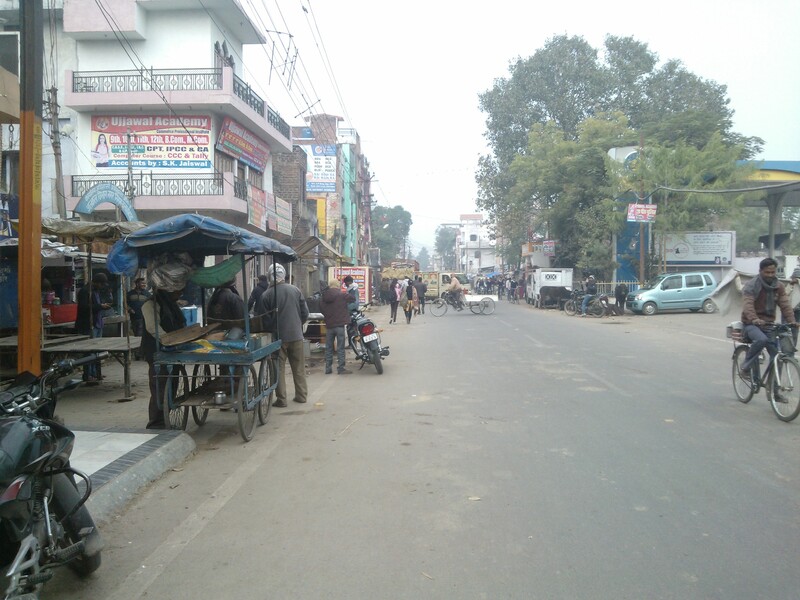 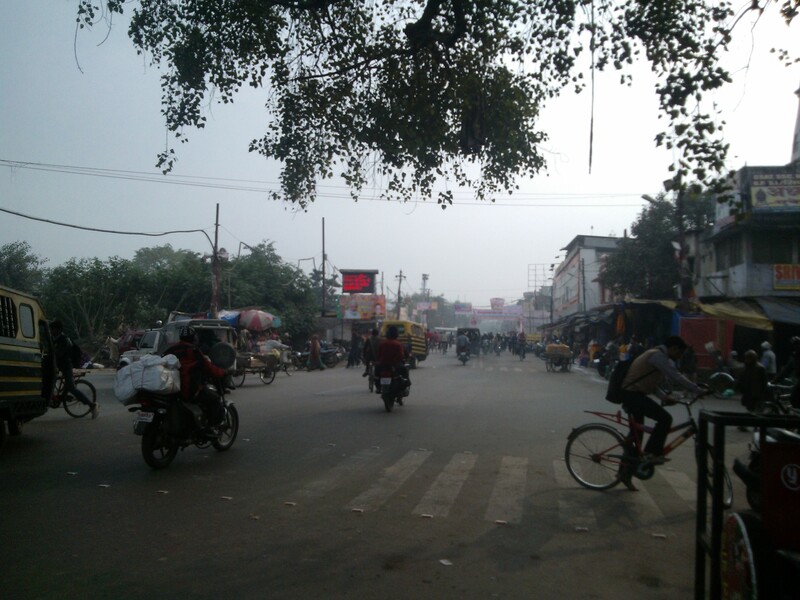 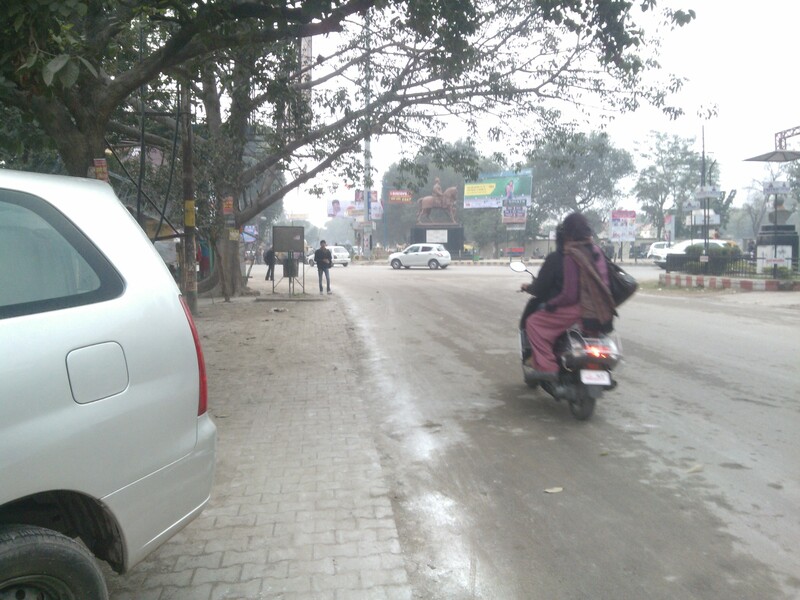 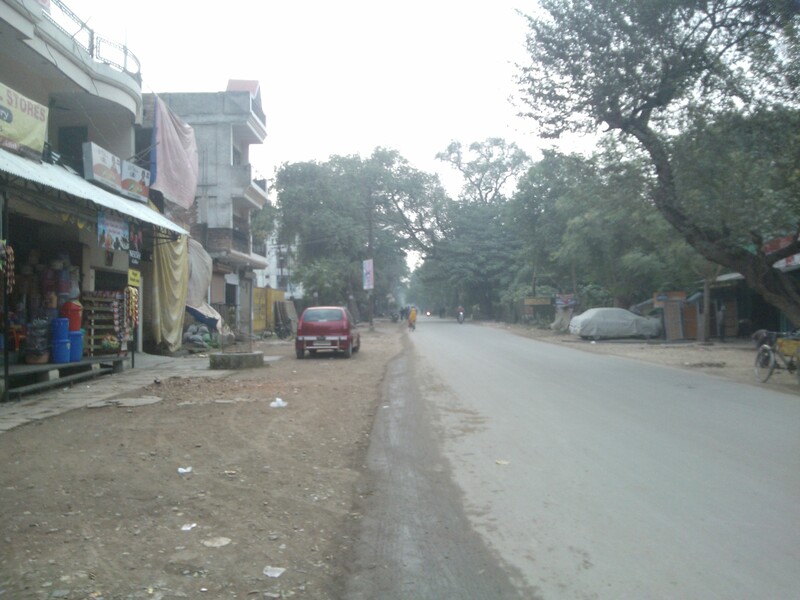 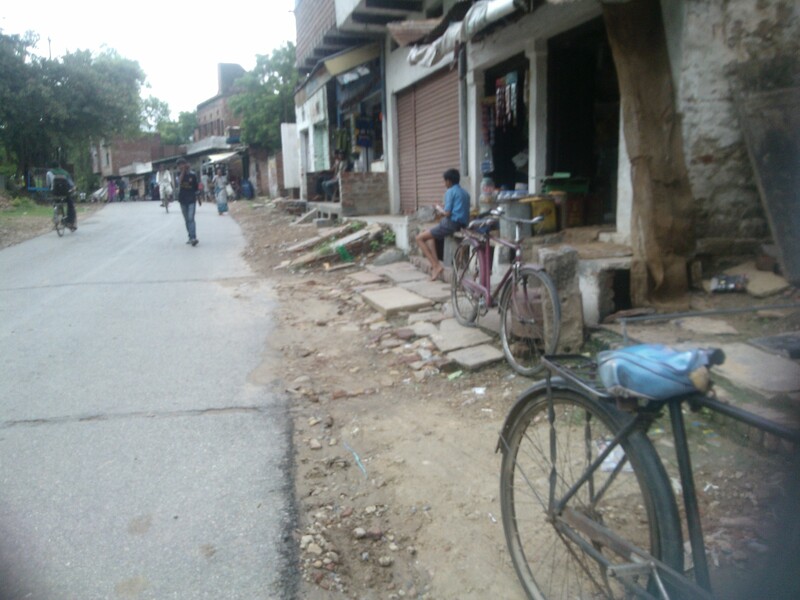 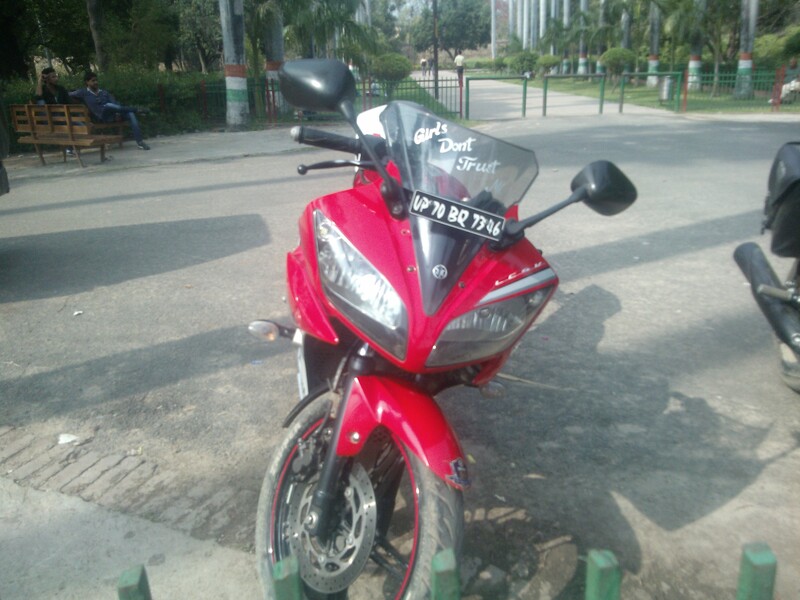 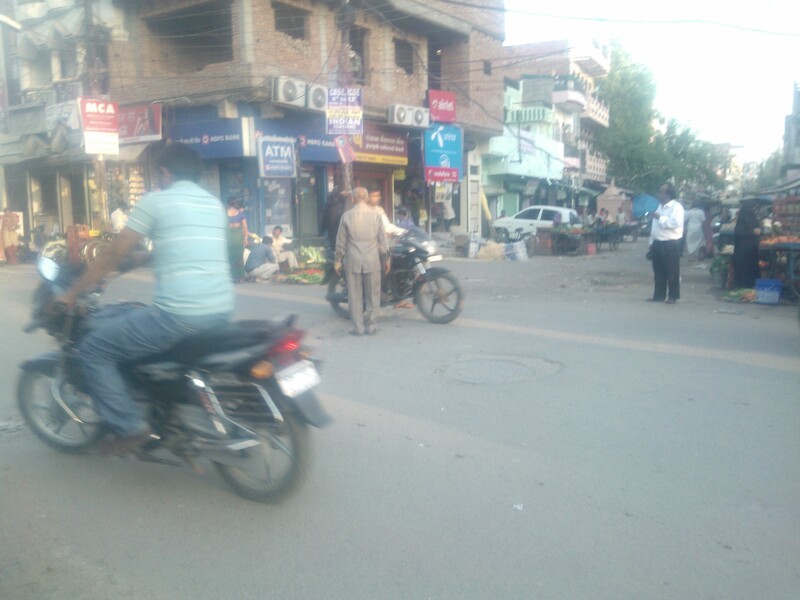 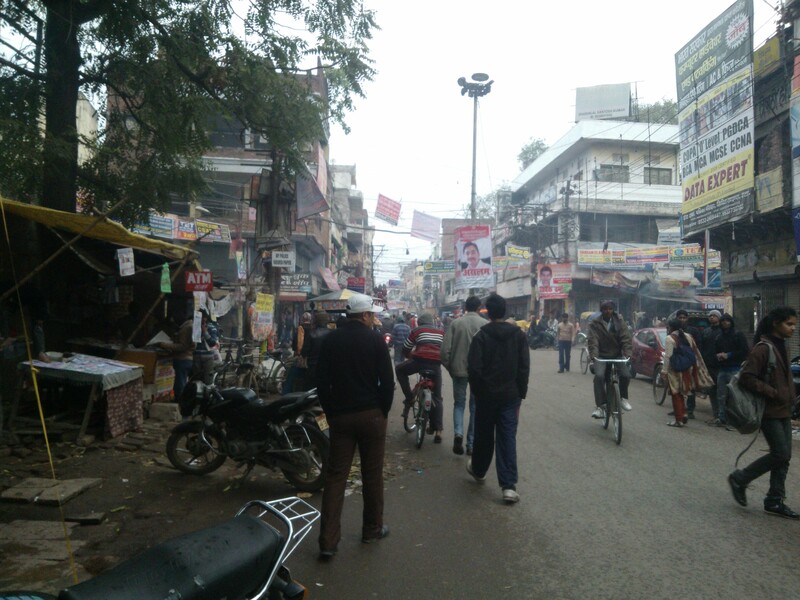 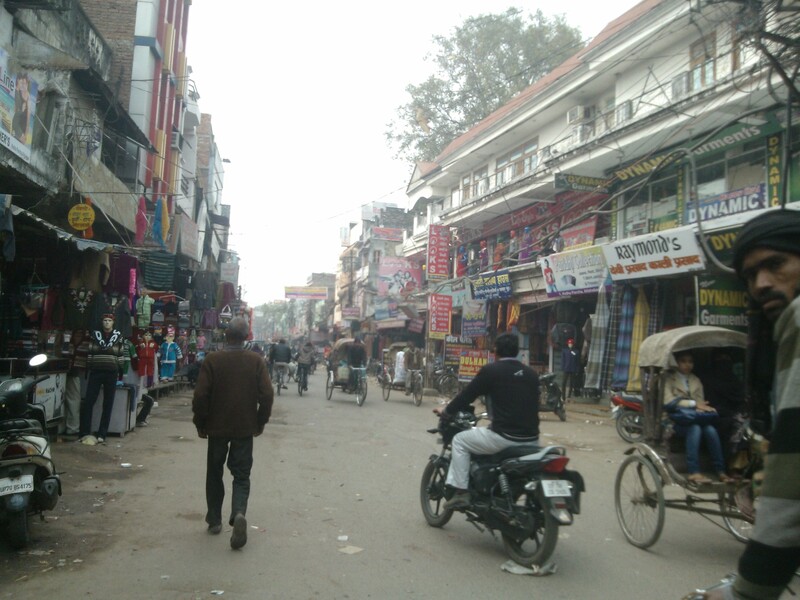 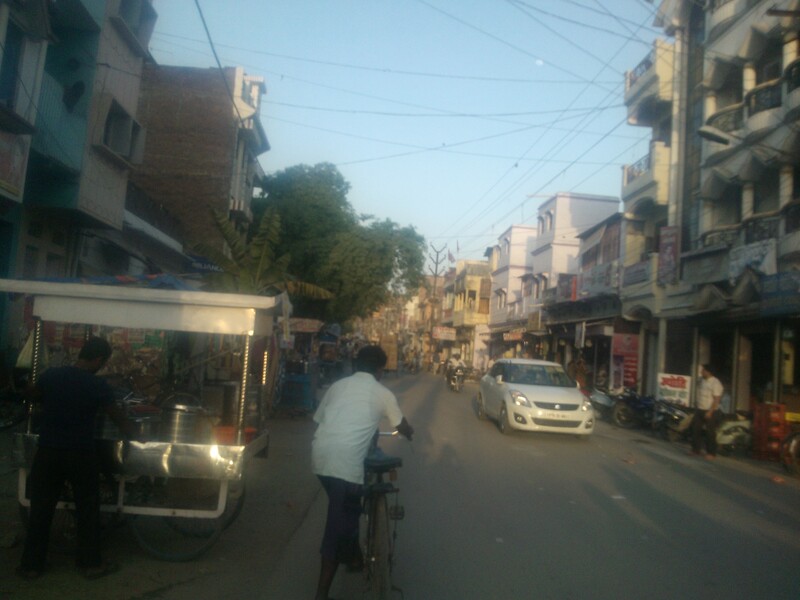 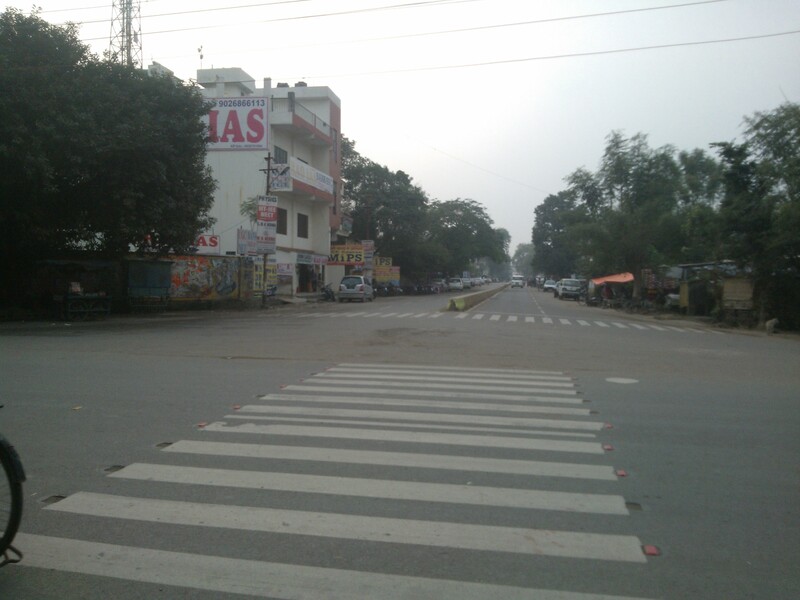 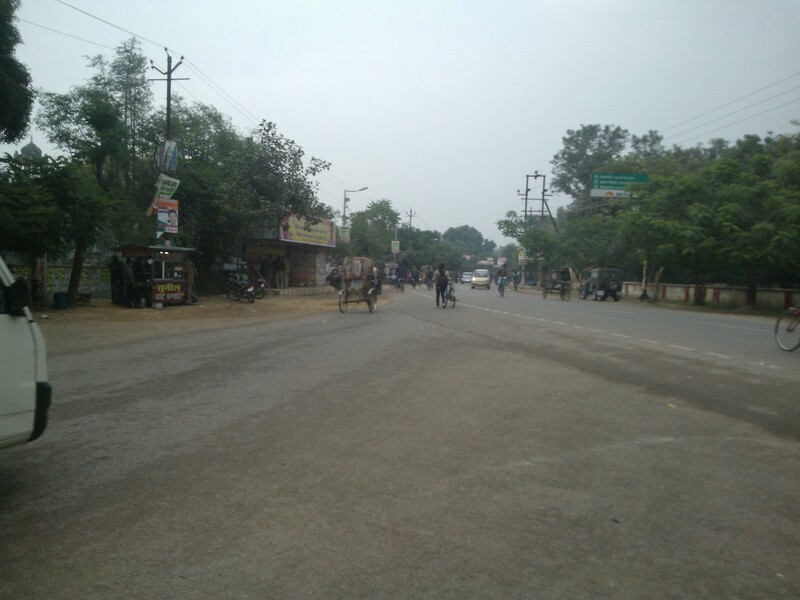 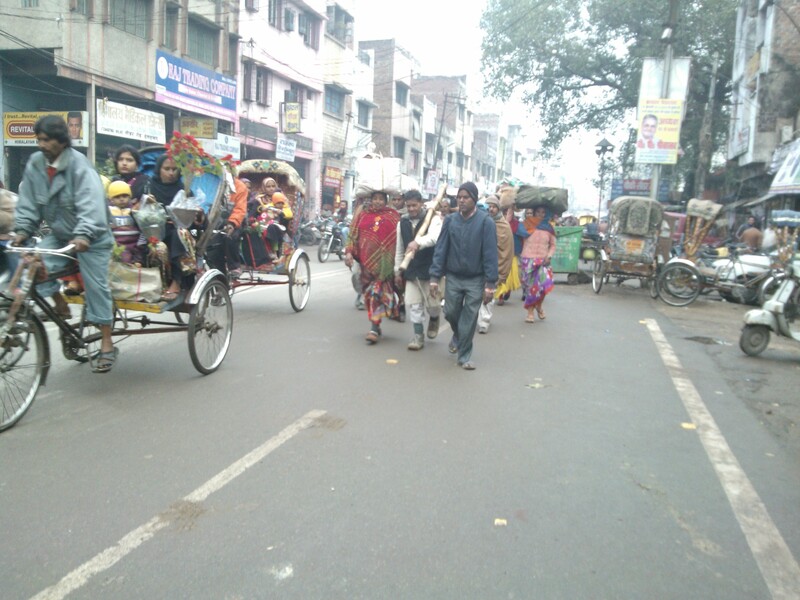 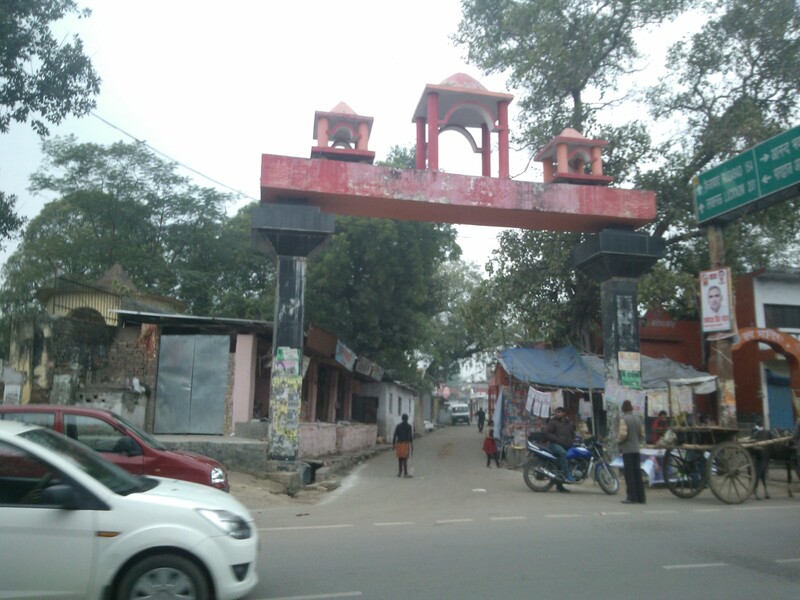 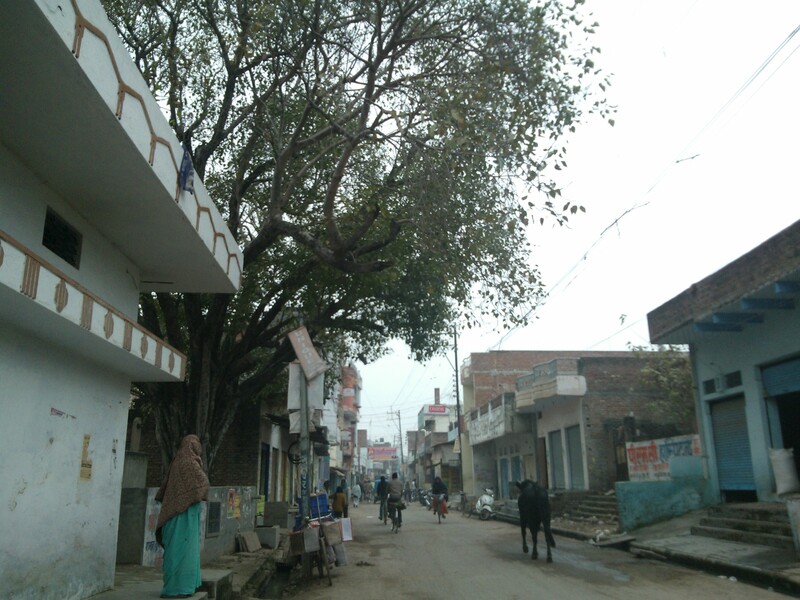 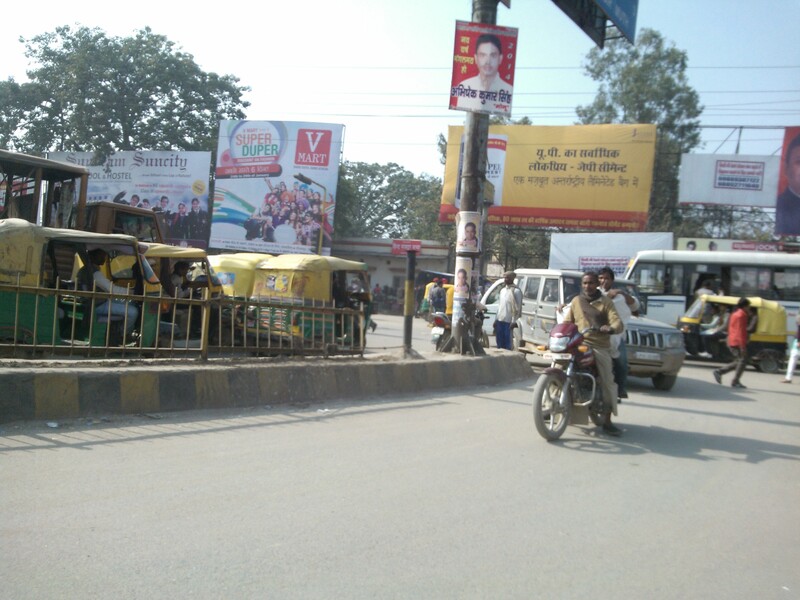 It’s time to wander on the streets of Chunar to understand that some places are cut off from the usual pace of time..
Chunar being close to Varanasi has developed love for congested lanes..
Life in a small town is very close to real shades of life…. 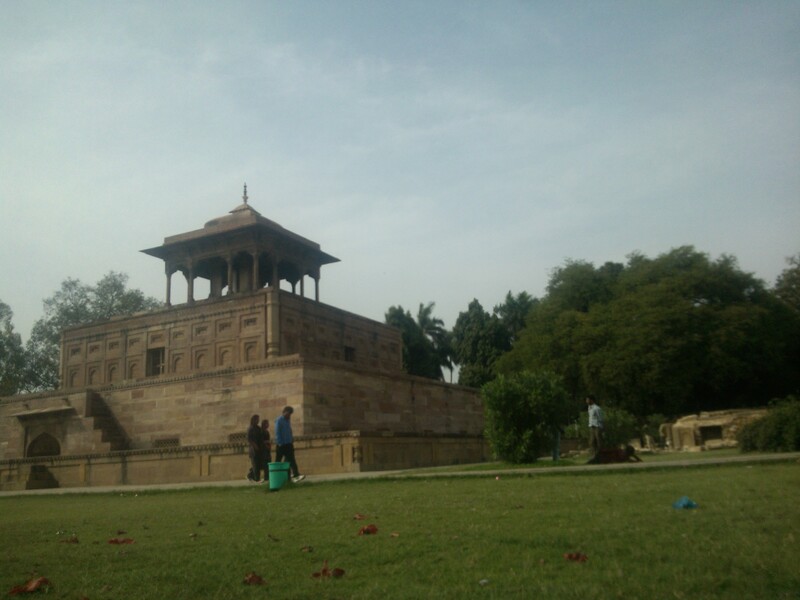 Shiva Temple In Company Of Flowers..
Rainy Or Winter season are the perfect period to witness the beauty of flowers..
Chunar Fort Looks More Ancient In Monsoon Period! 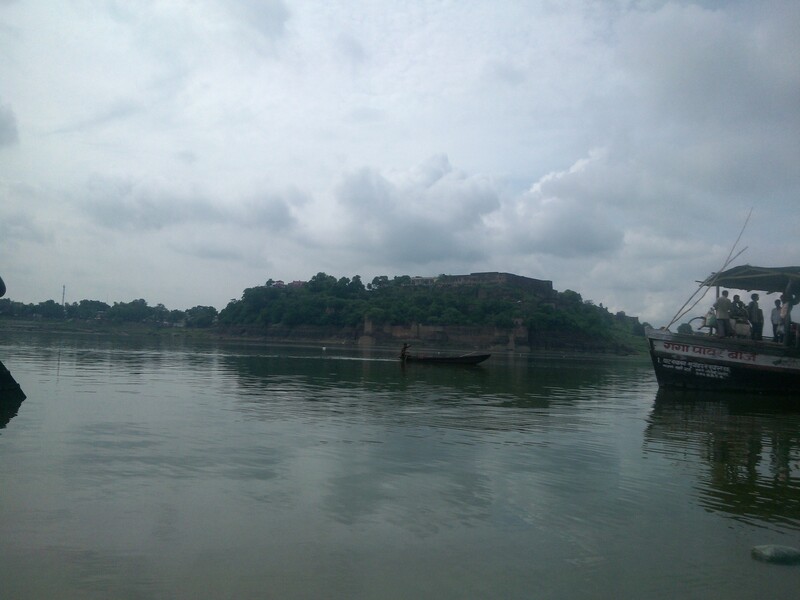 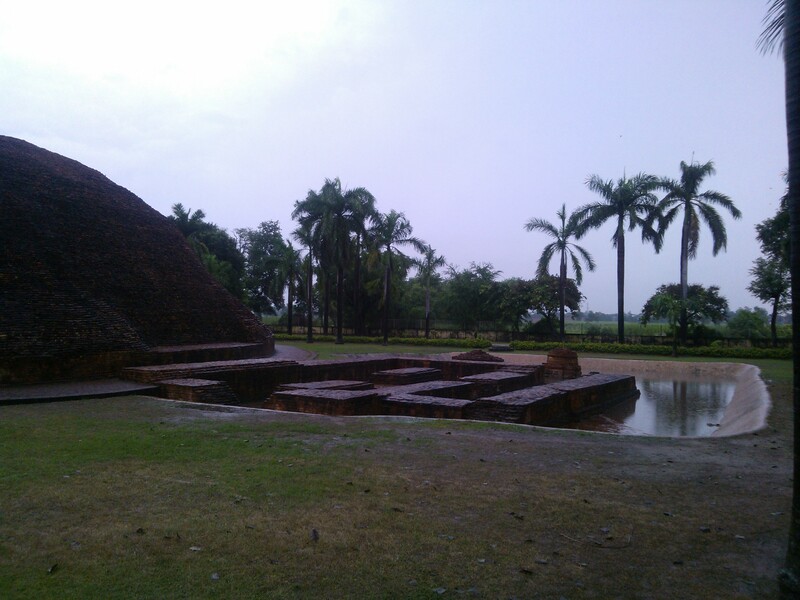 This fort has witnessed so many centuries…. 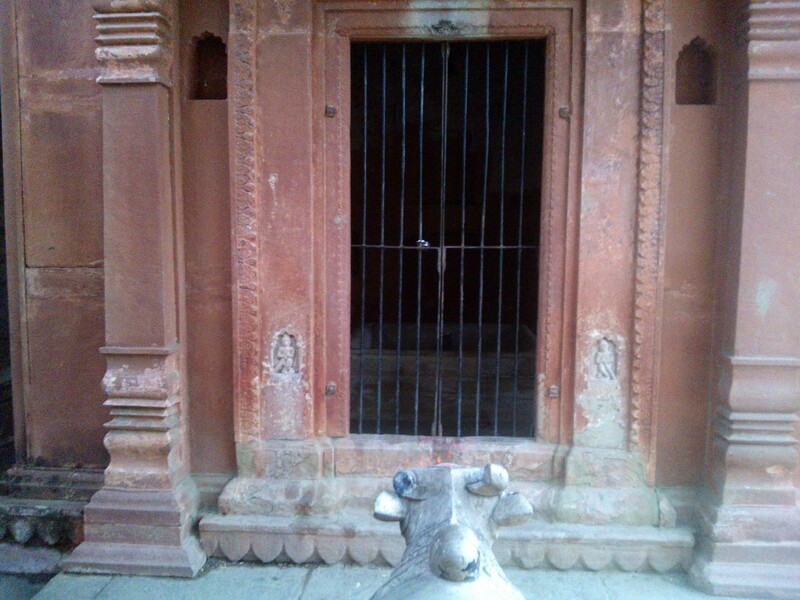 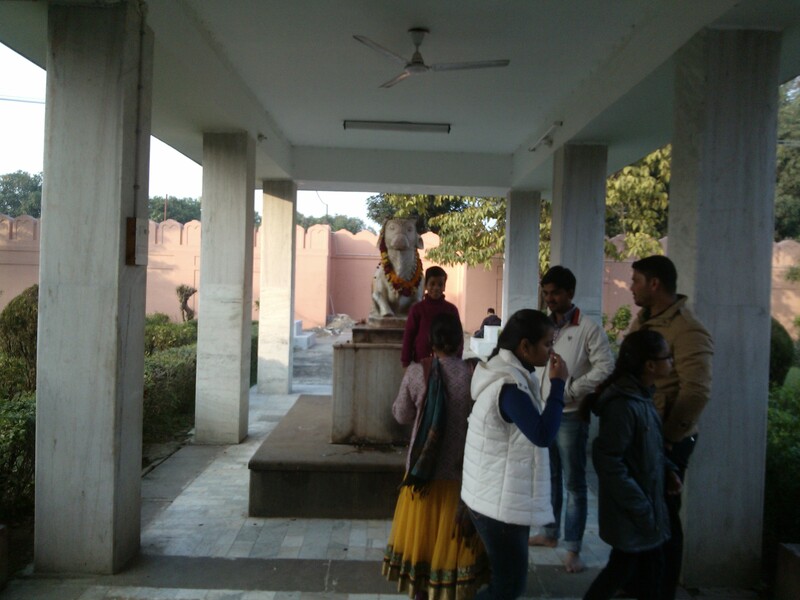 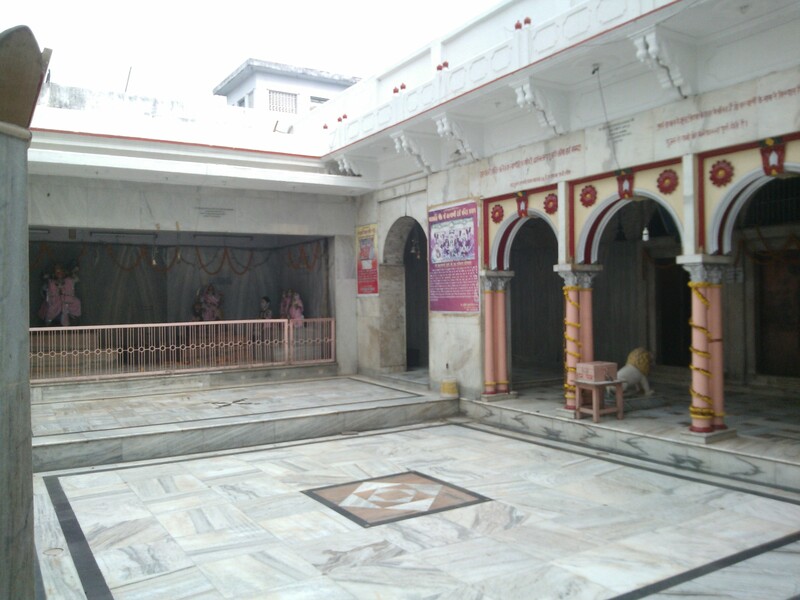 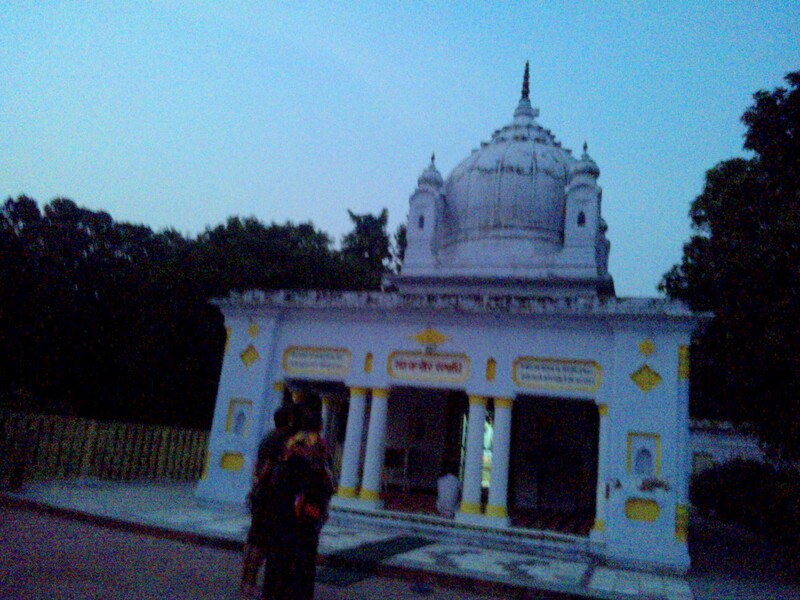 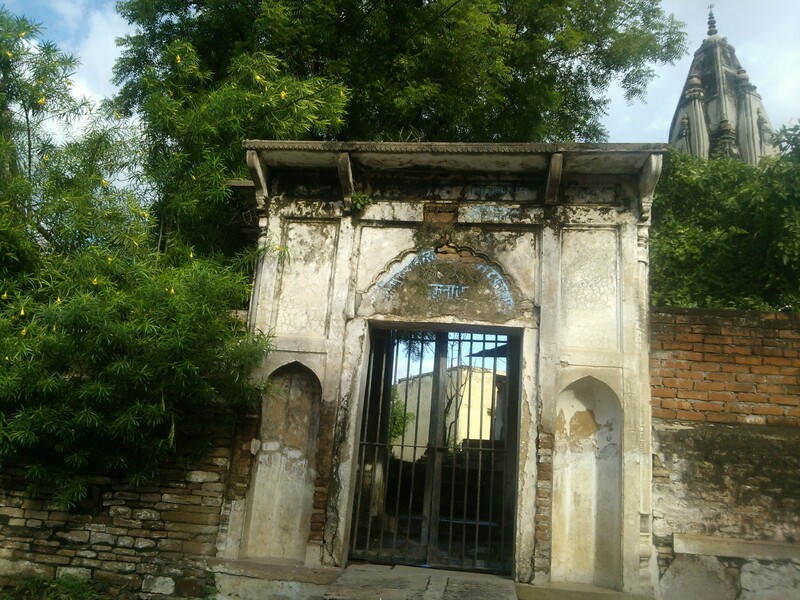 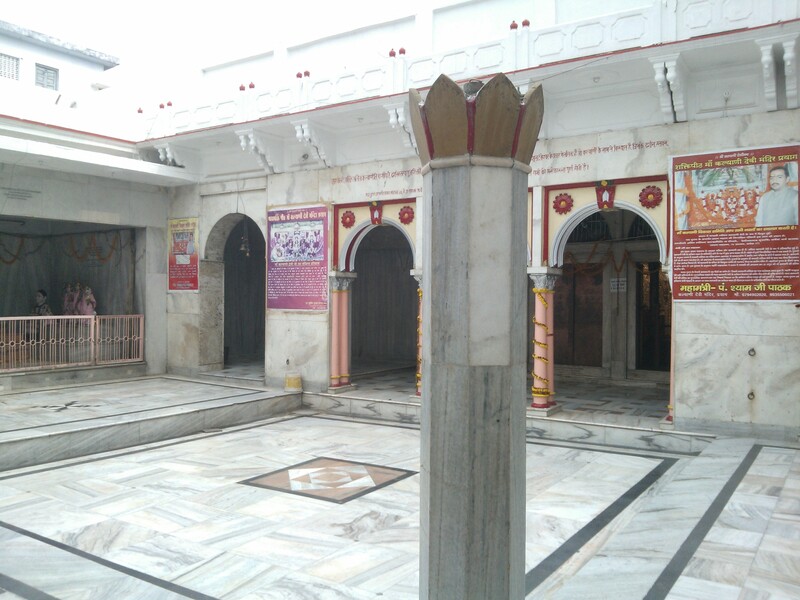 Saintly Figure Ma Anandmayi Rested At This Place During His Chunar Visit in 50s. 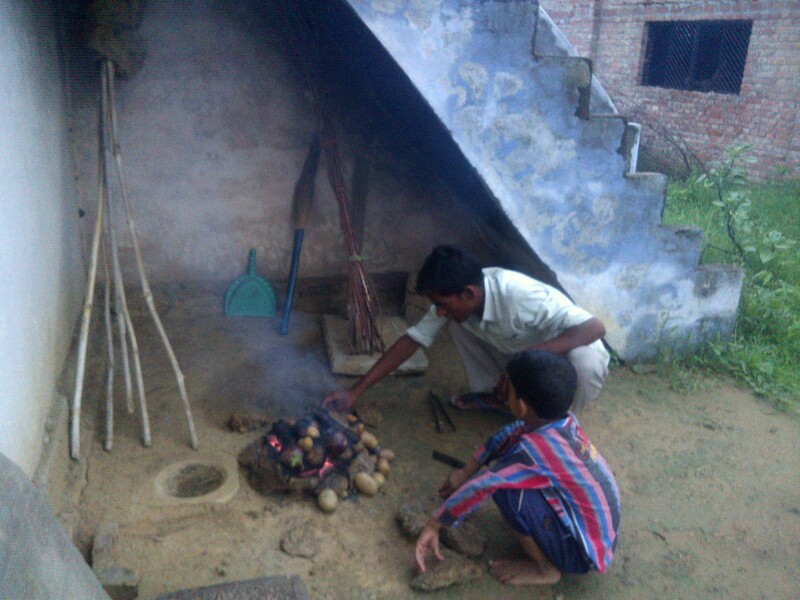 Delicious Makuni Ki Litti Being Prepared…. 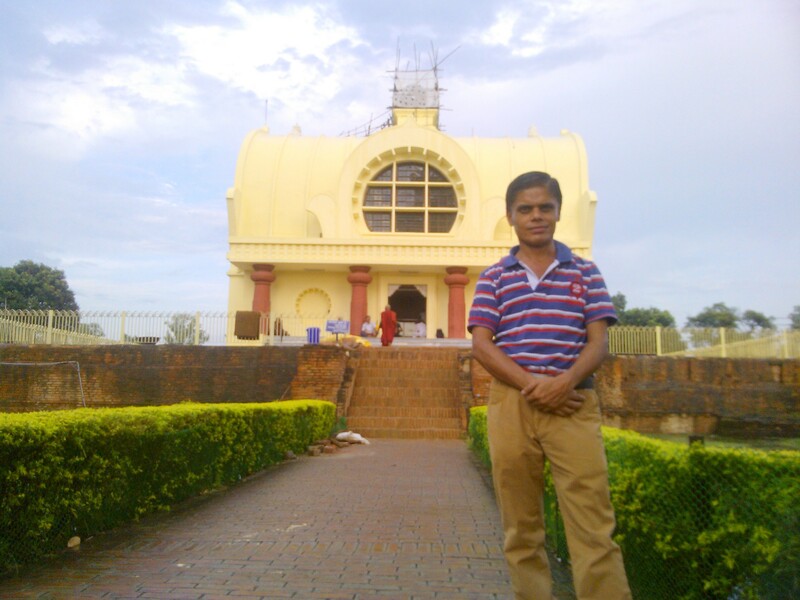 Inside The Isolation Of Jungle..
That’s The Shiva Temple Always By My Side Since Childhood.. 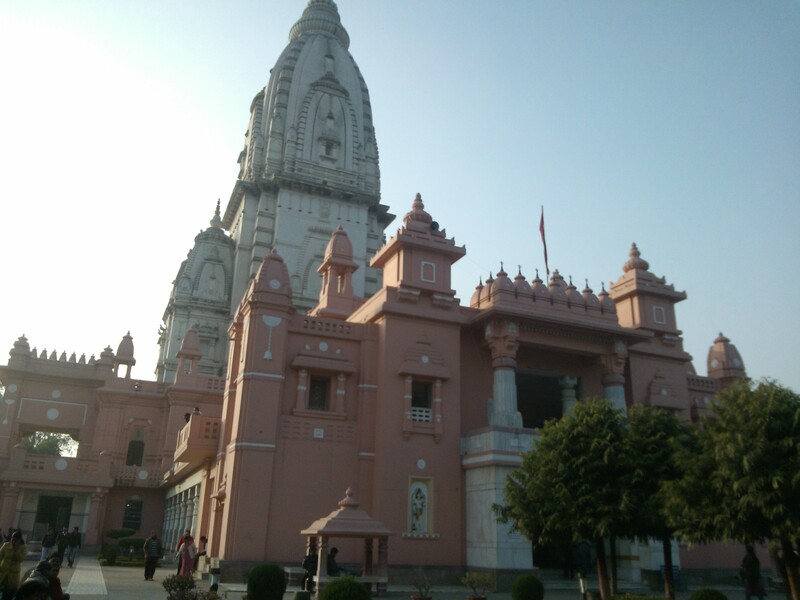 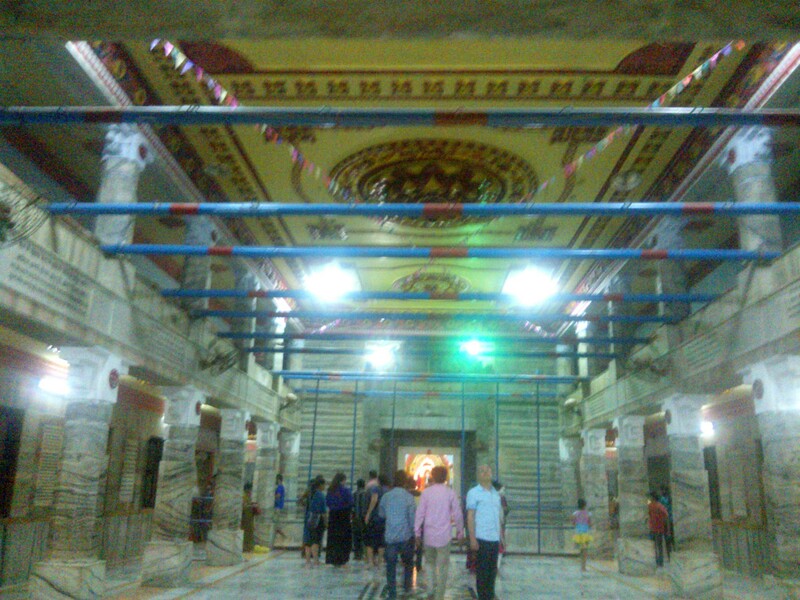 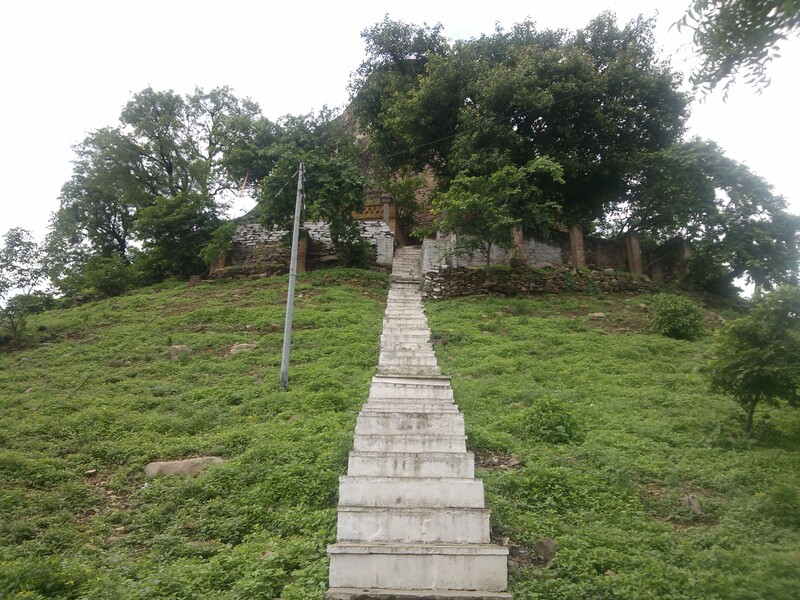 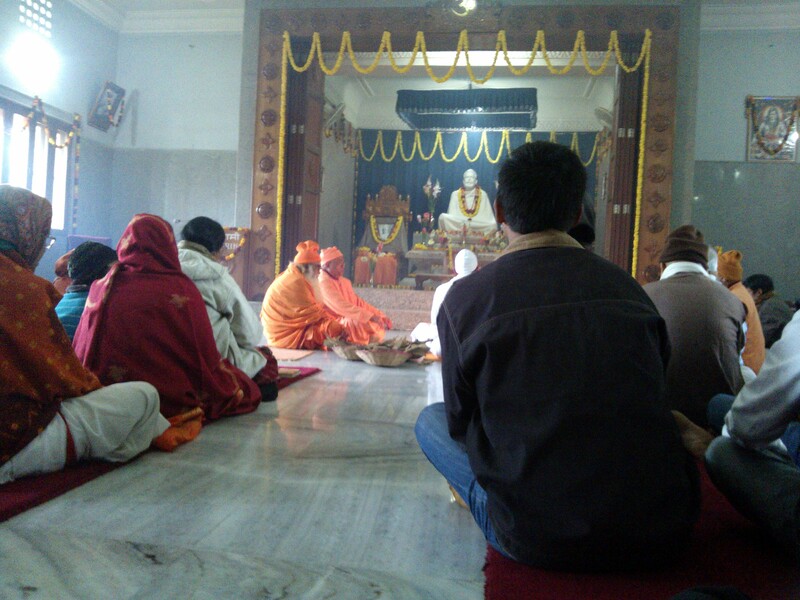 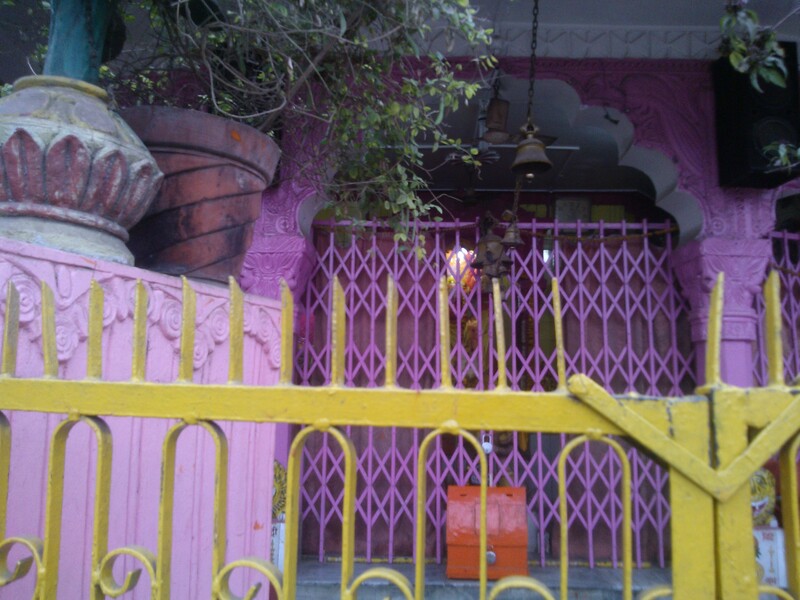 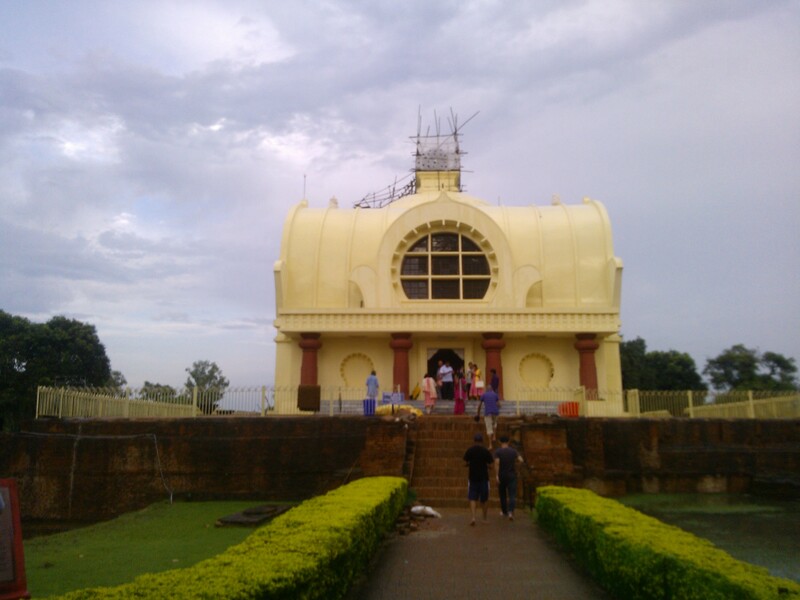 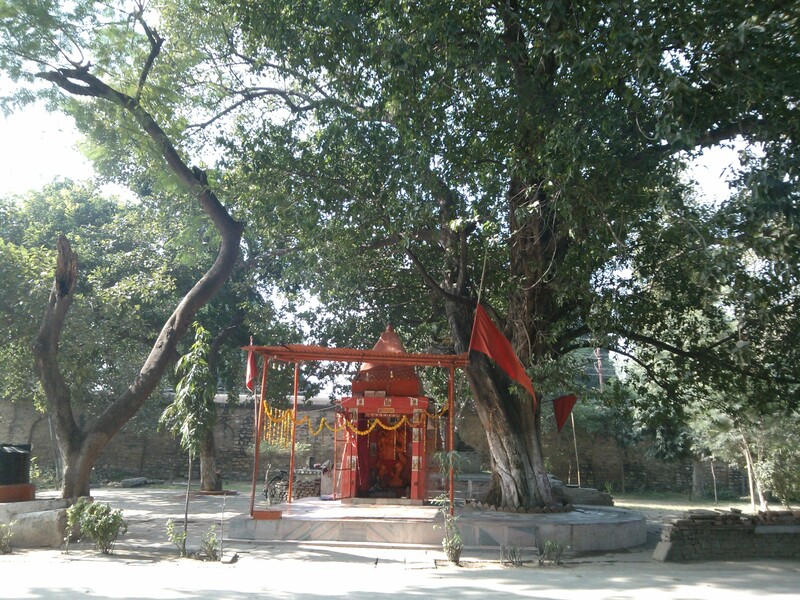 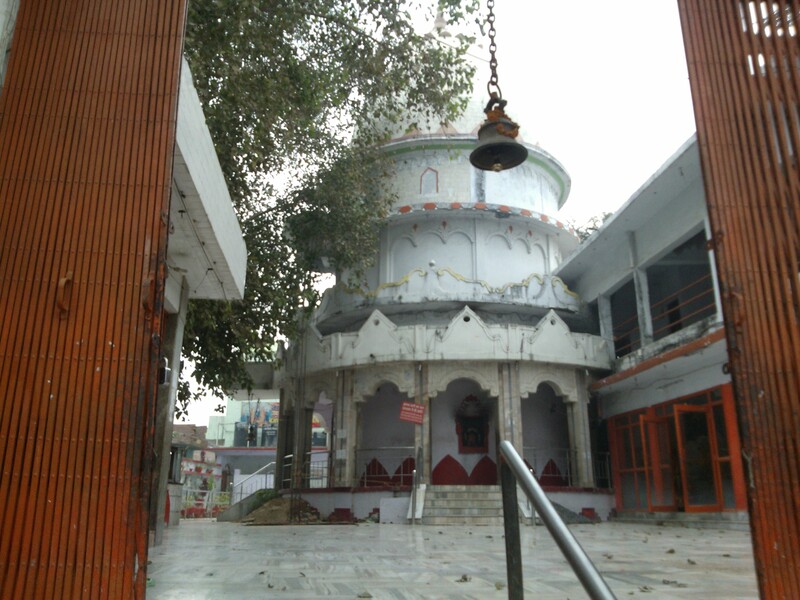 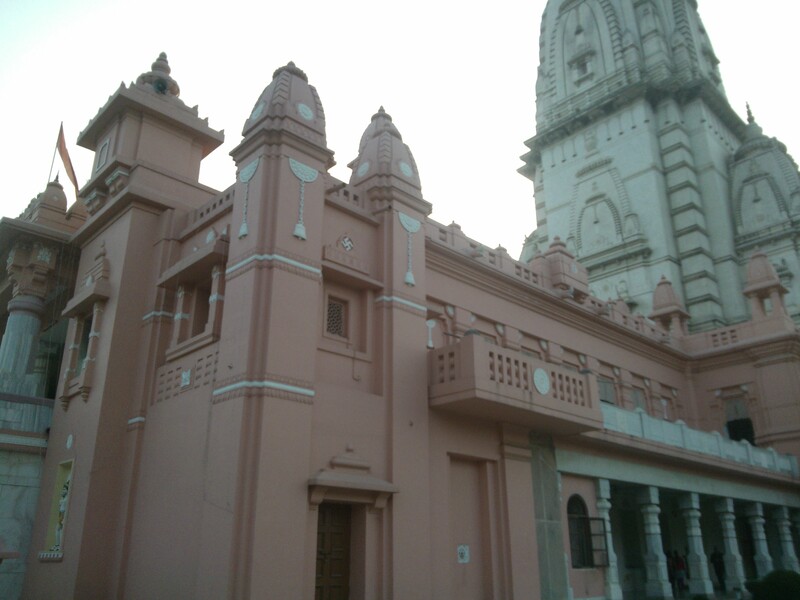 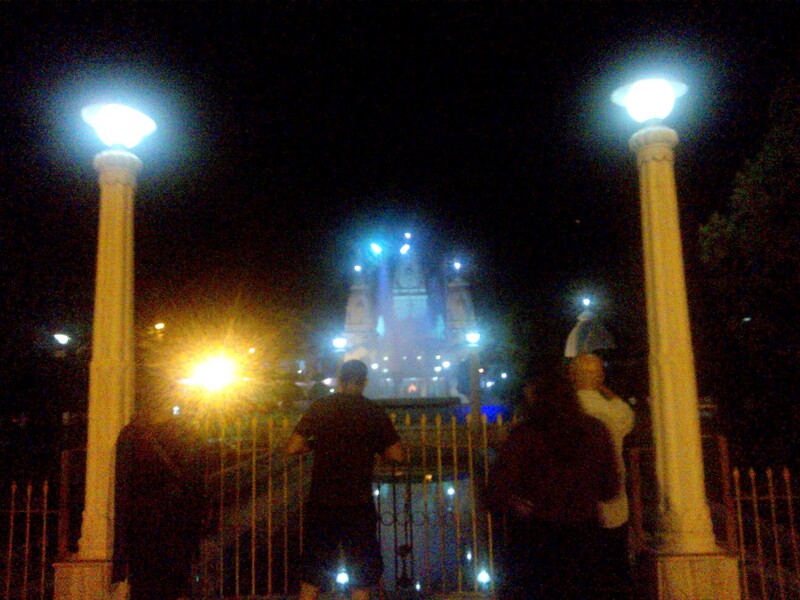 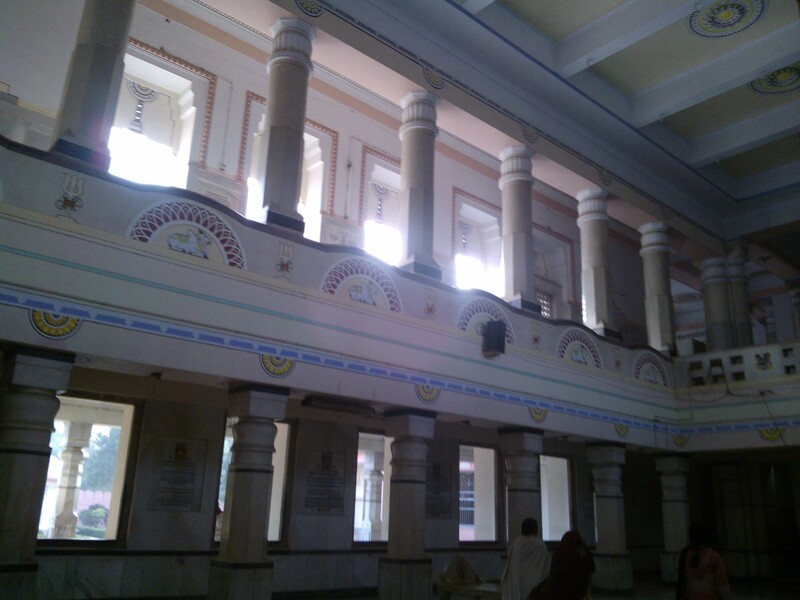 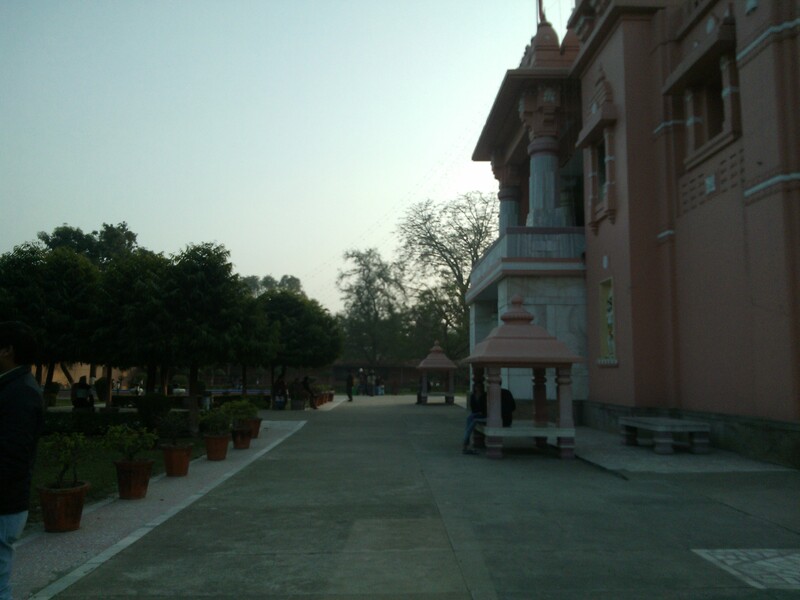 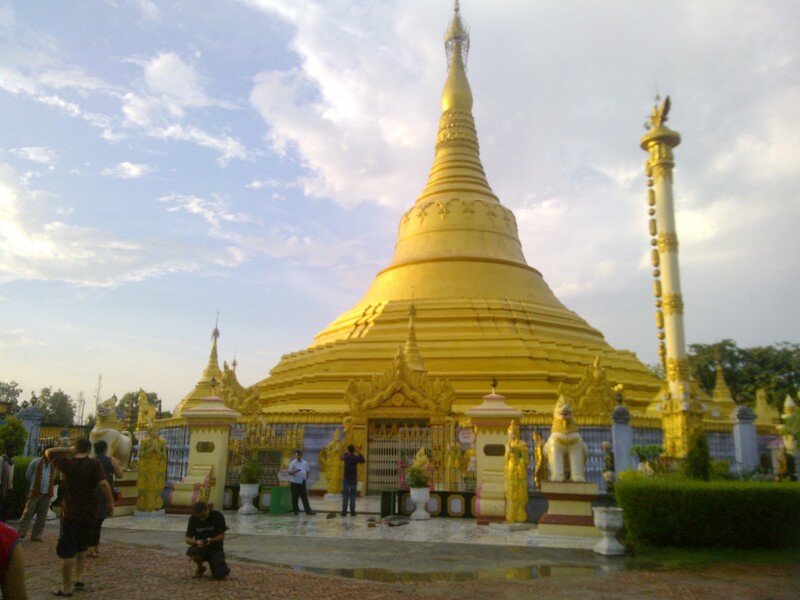 The Same Shiva Temple From A Different Angle…. 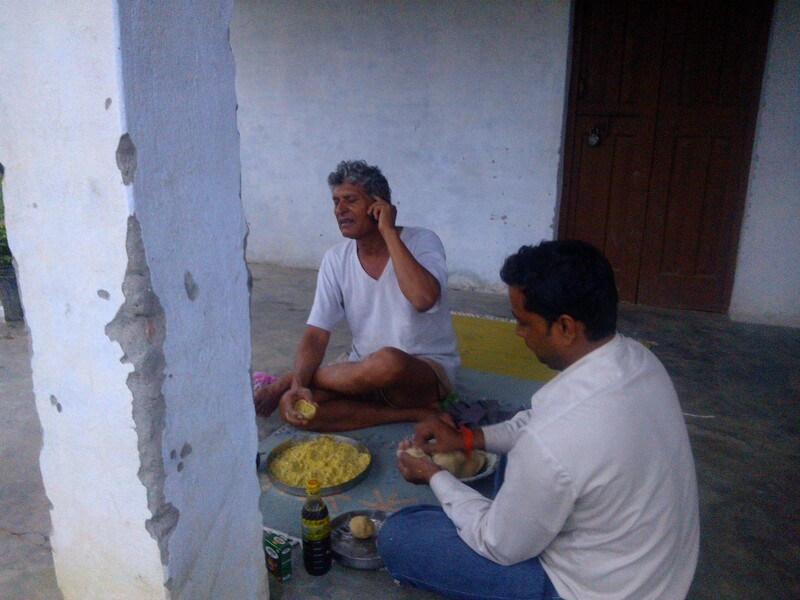 With A Senior Journalist Of Varanasi/Chunar,Shri Rajendra Mishraji. 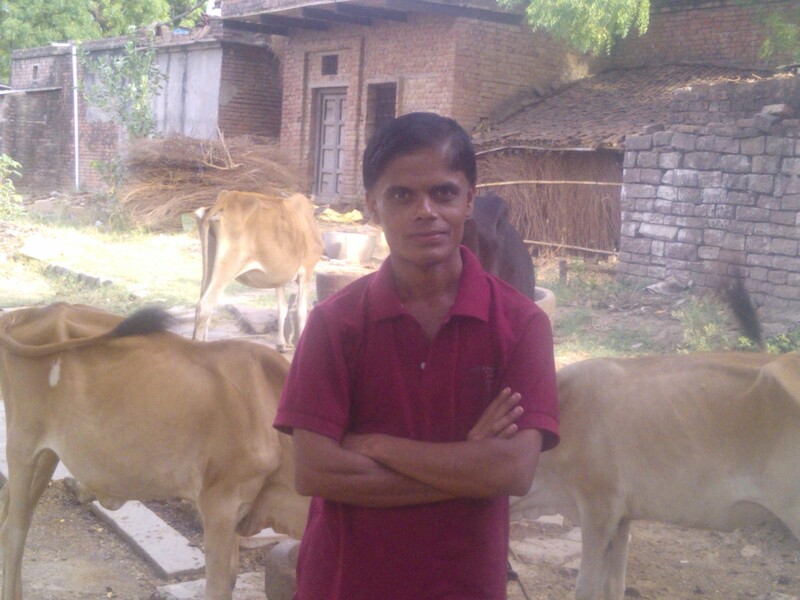 He is also a well knowm social activist. 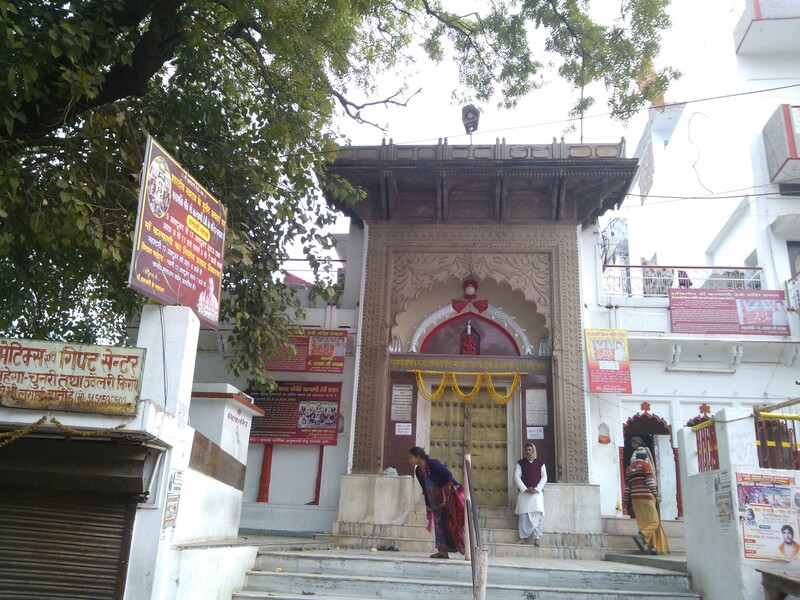 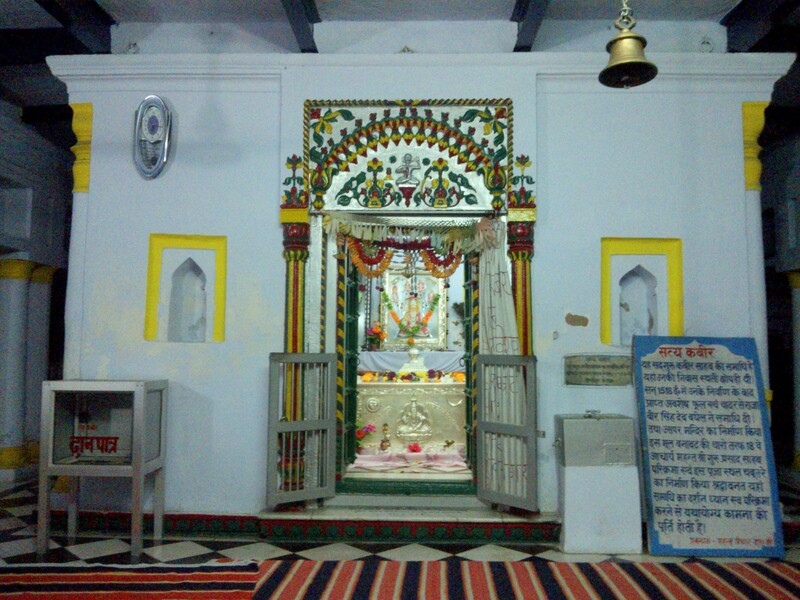 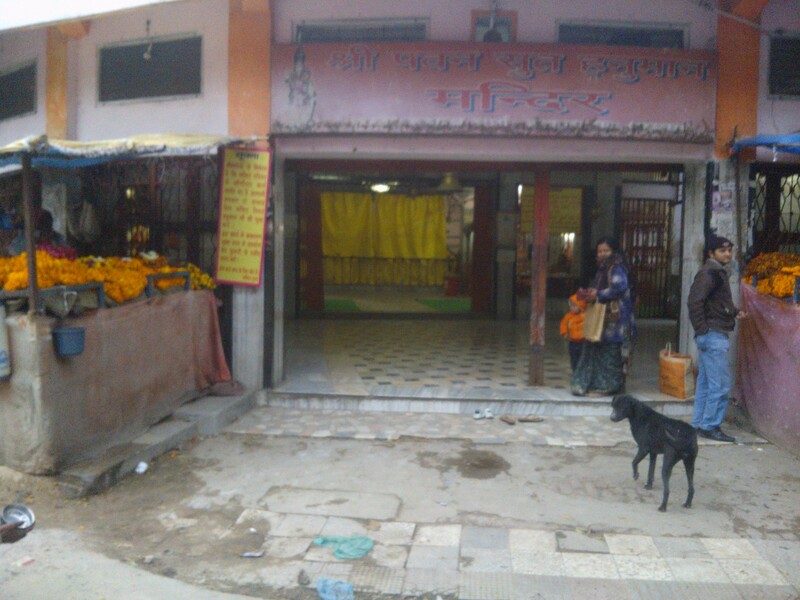 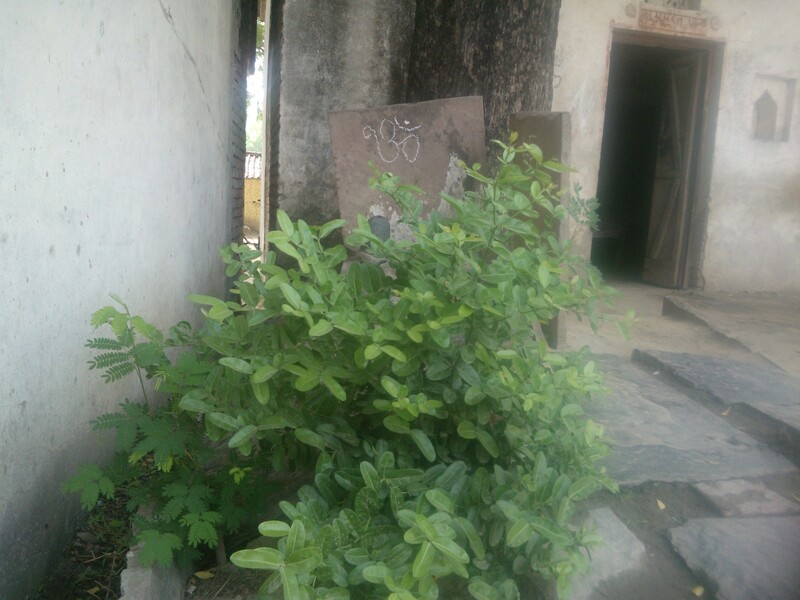 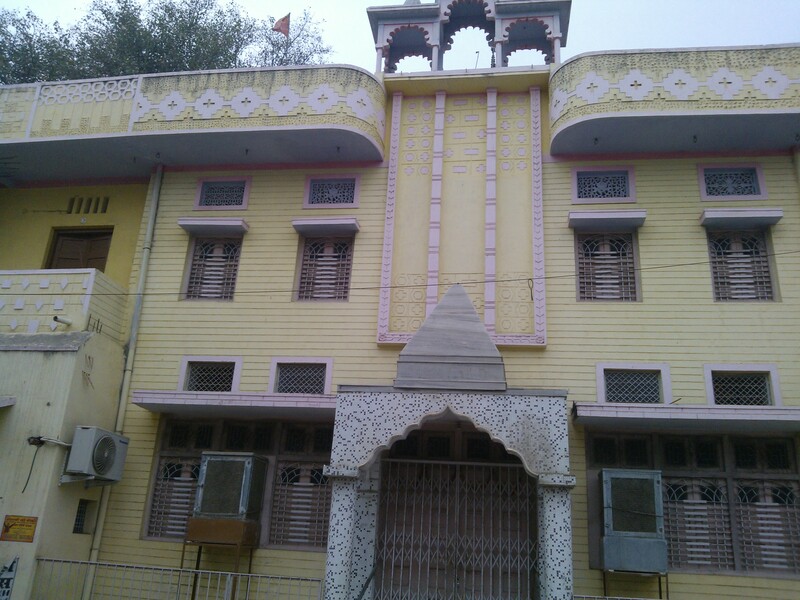 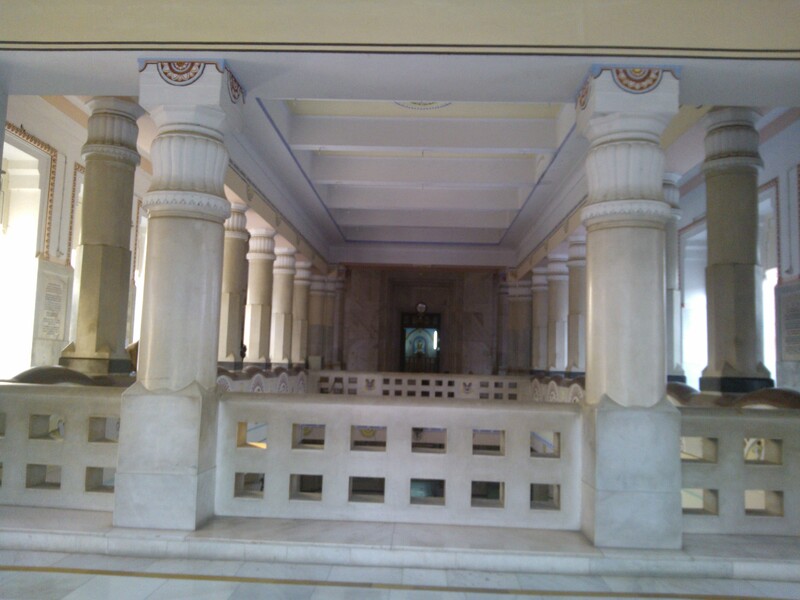 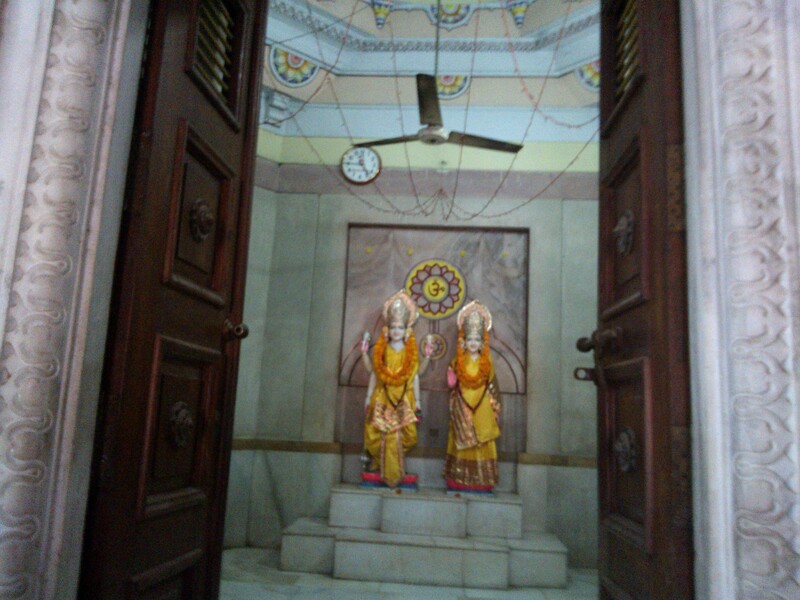 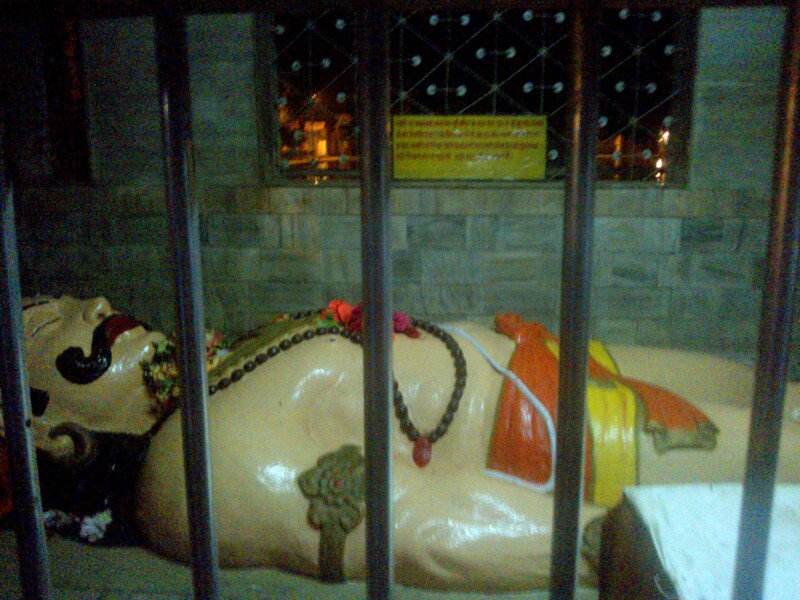 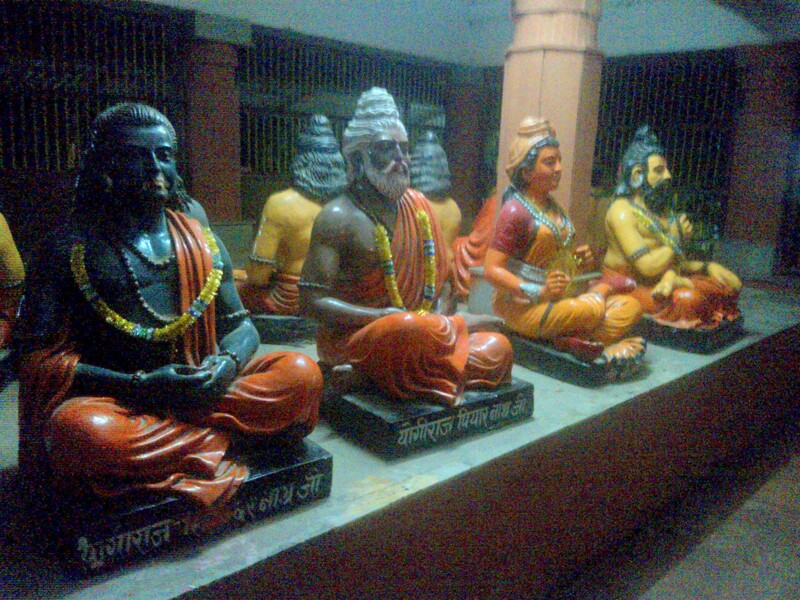 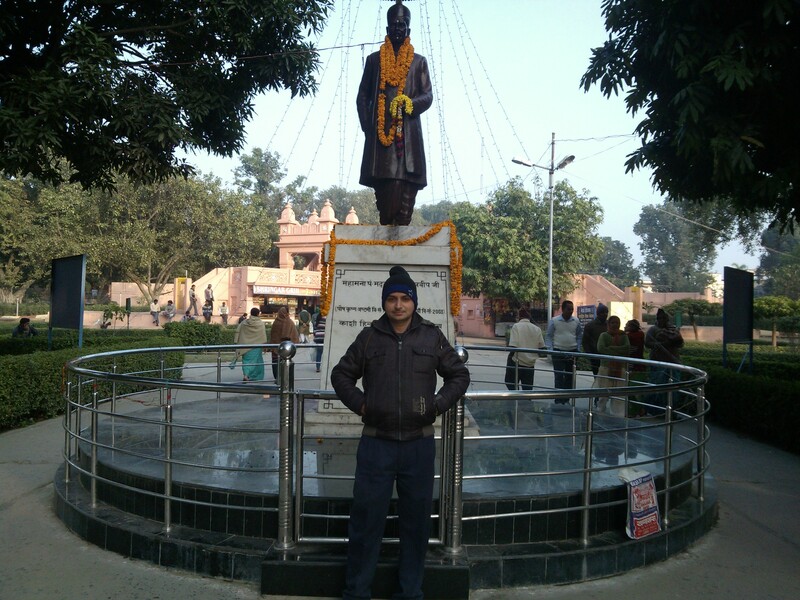 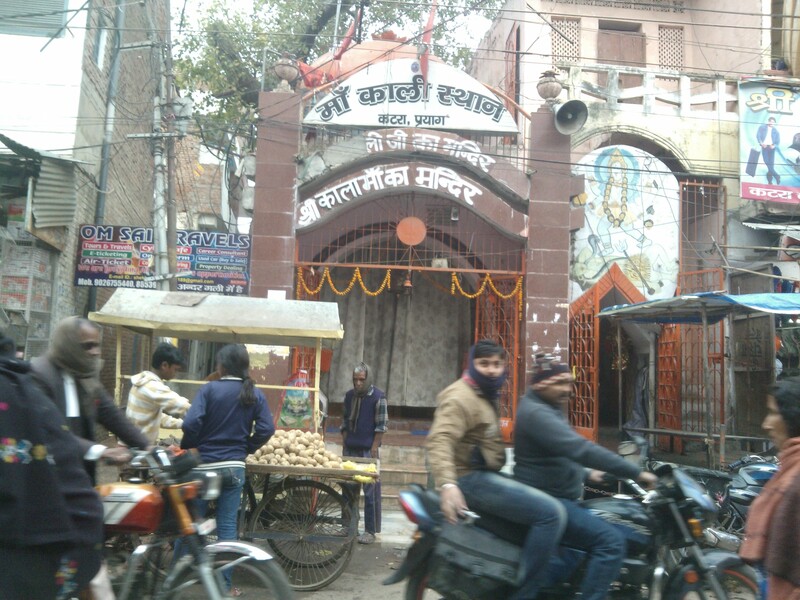 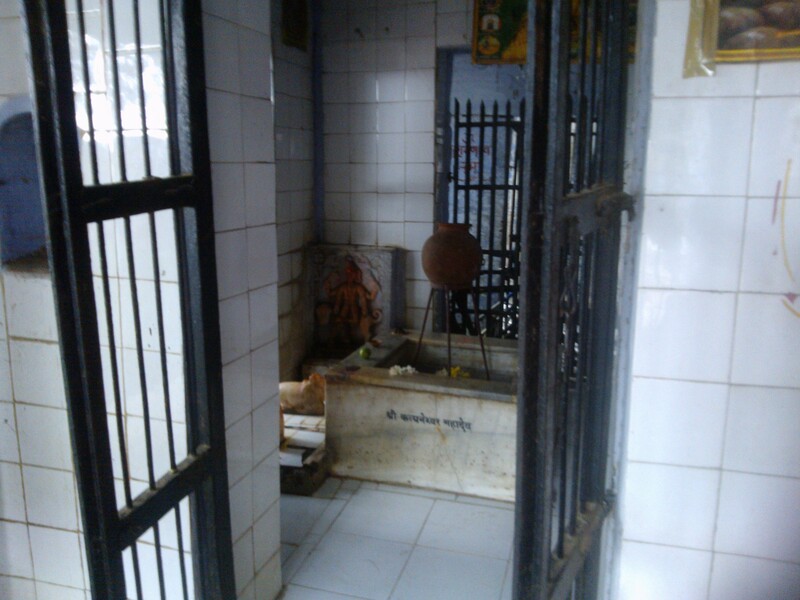 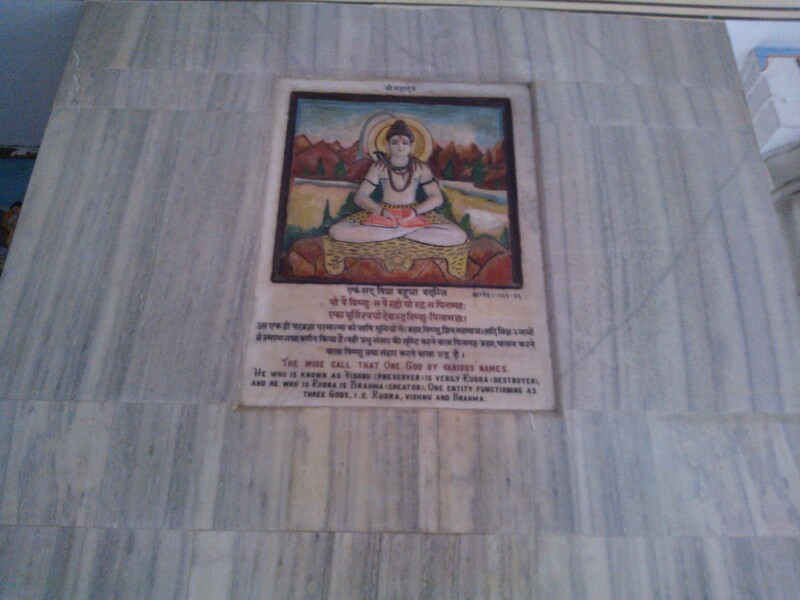 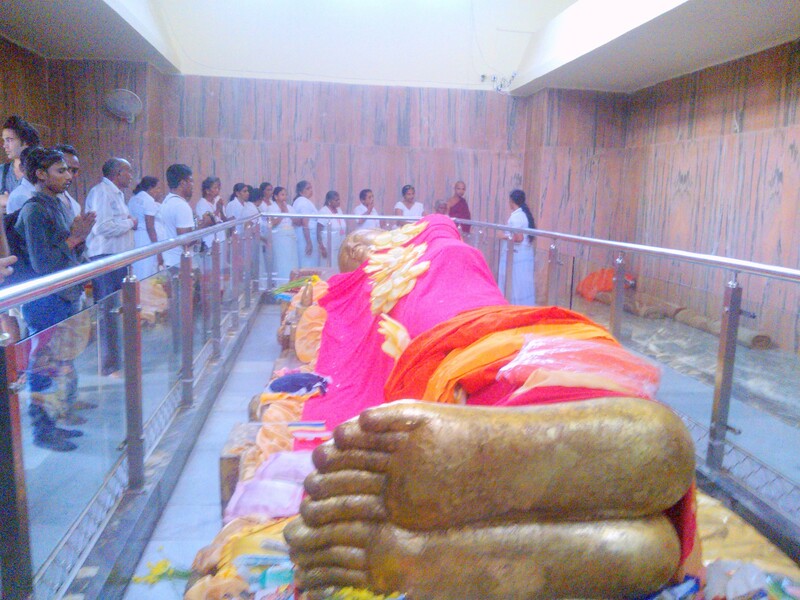 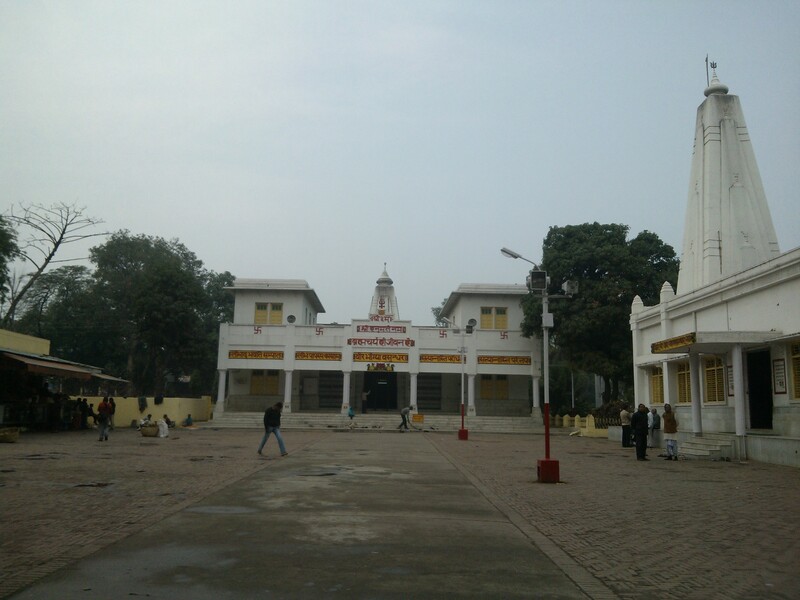 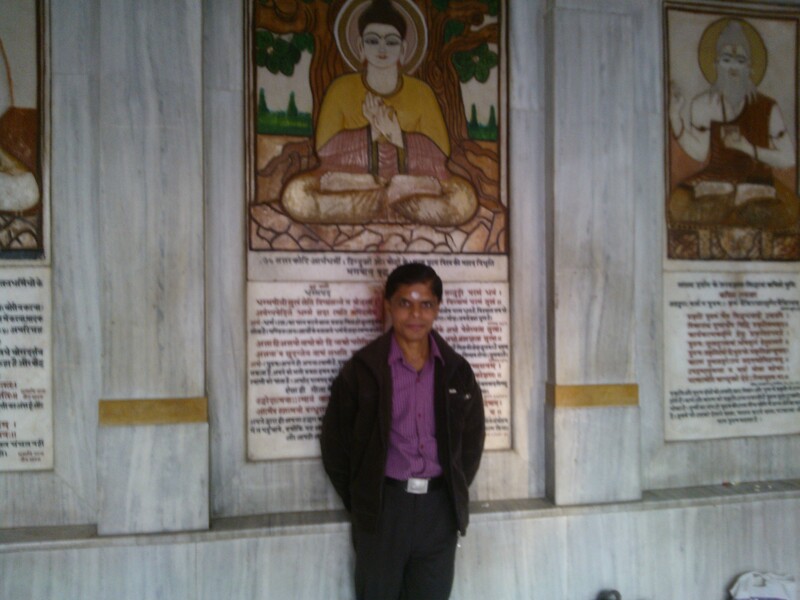 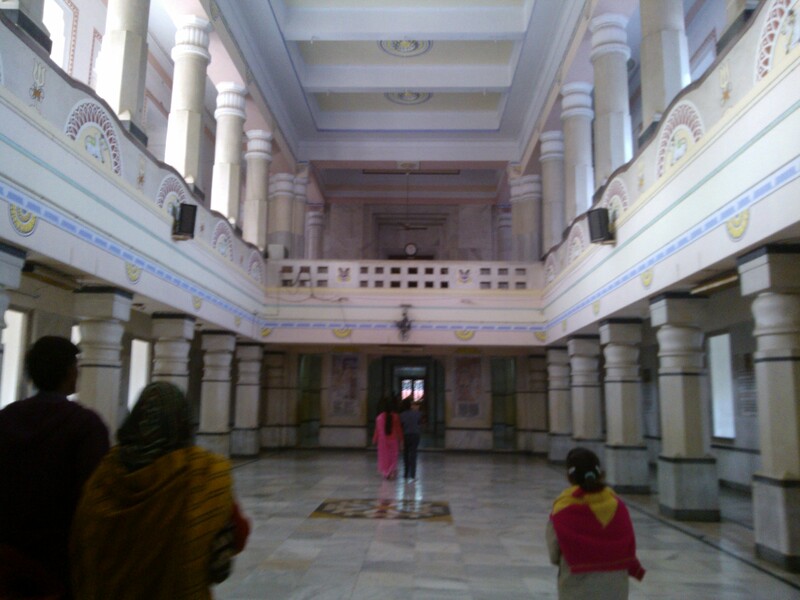 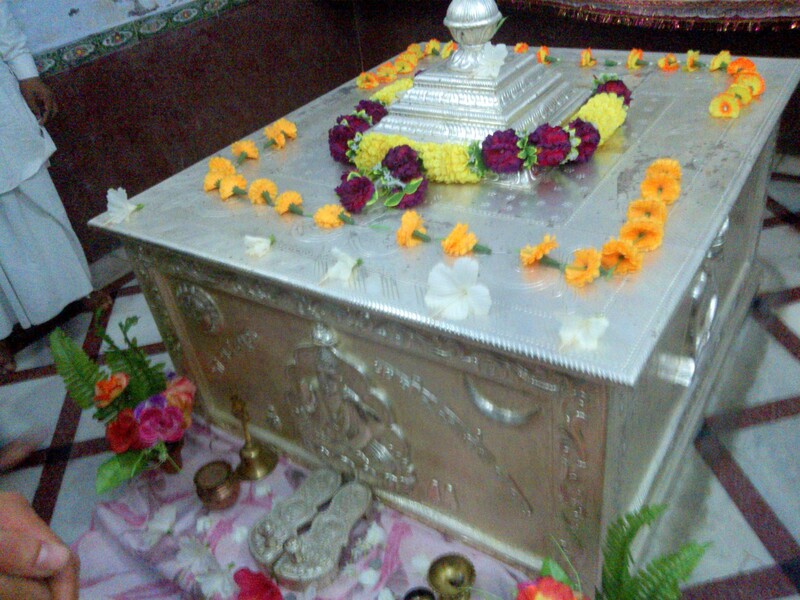 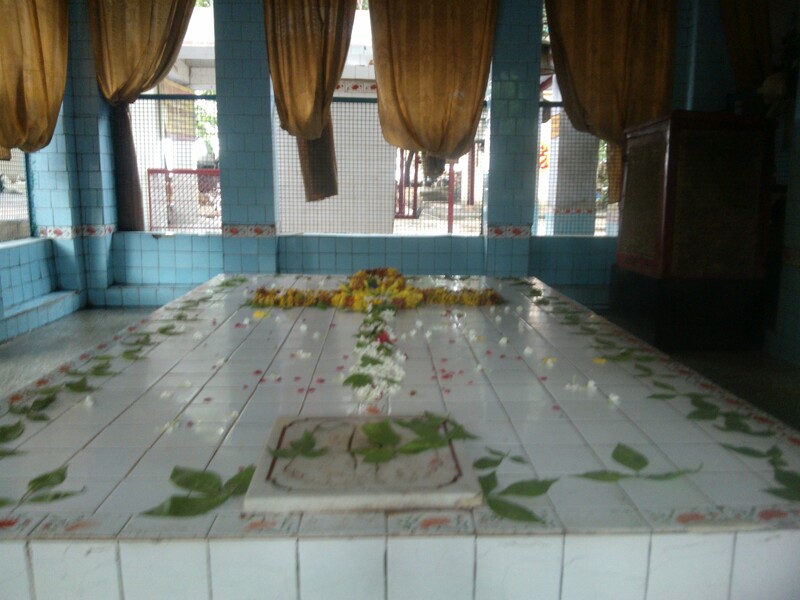 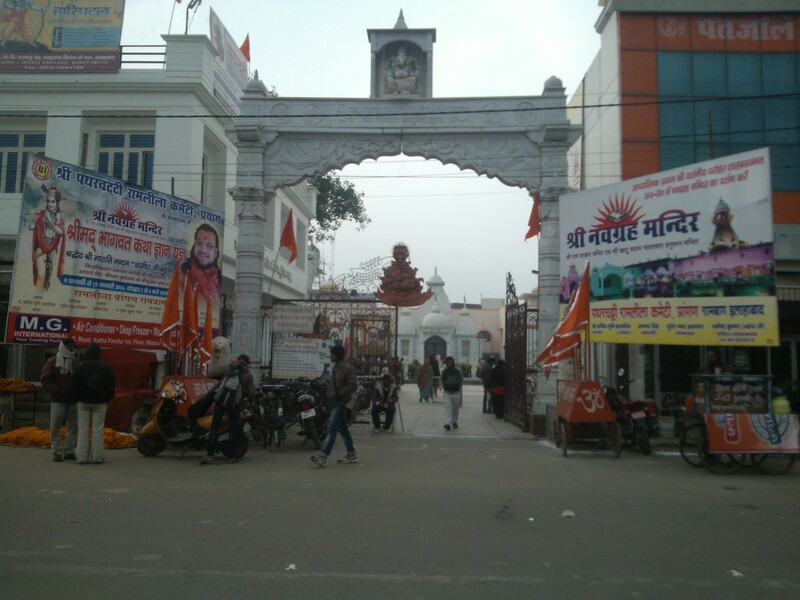 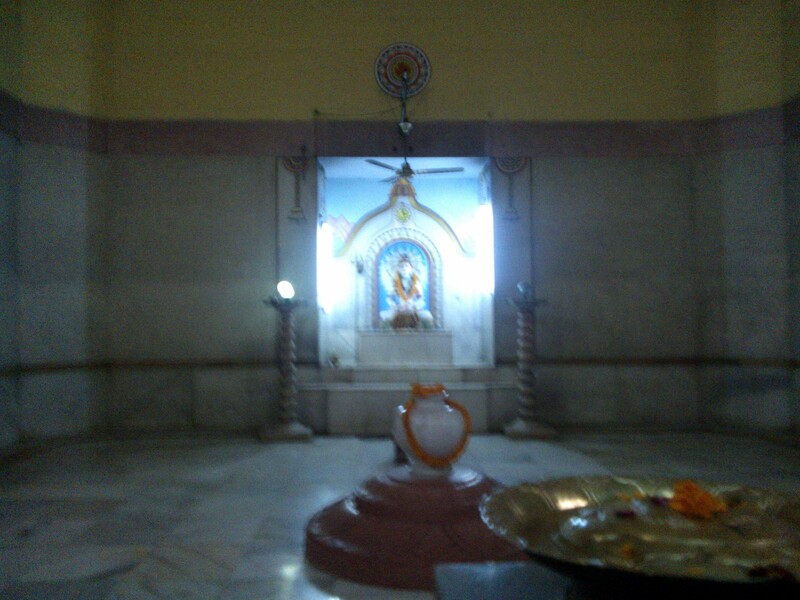 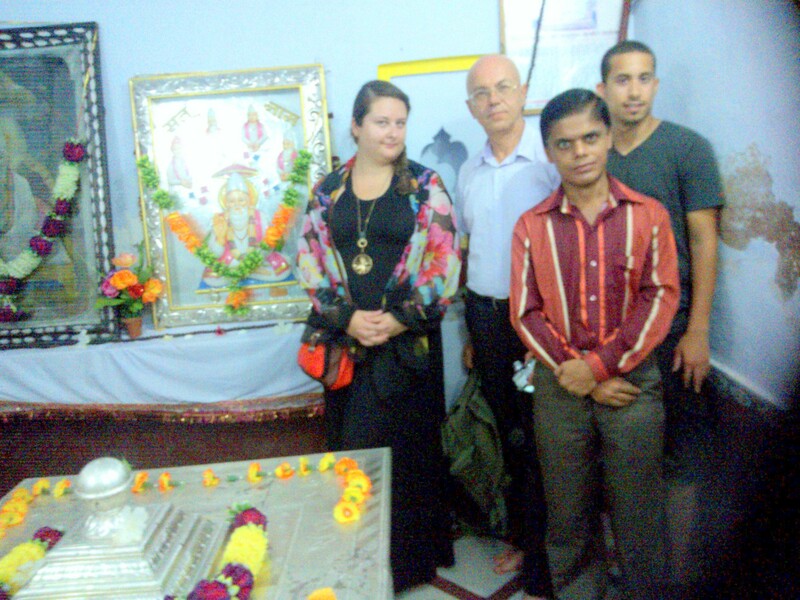 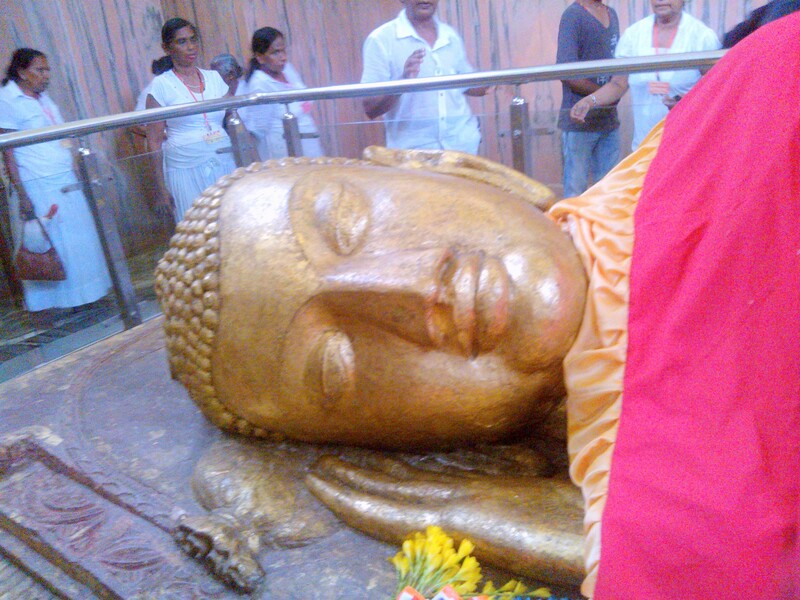 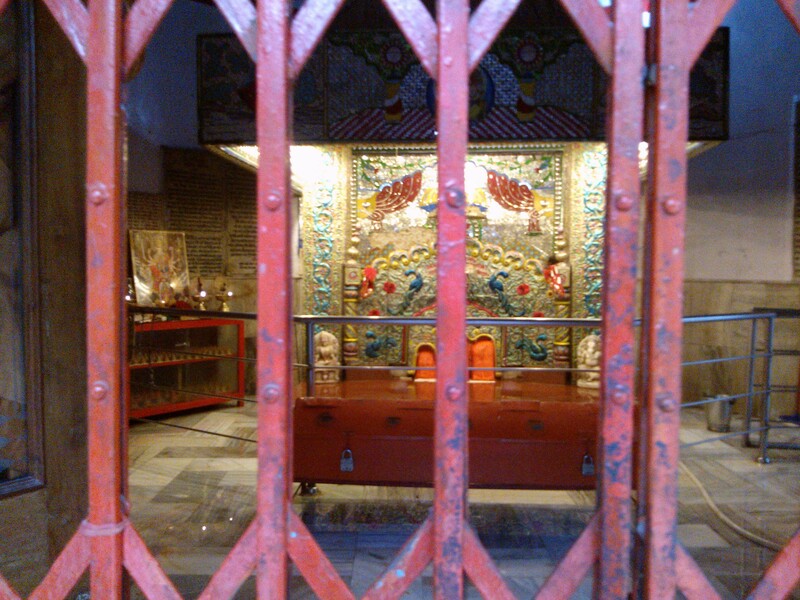 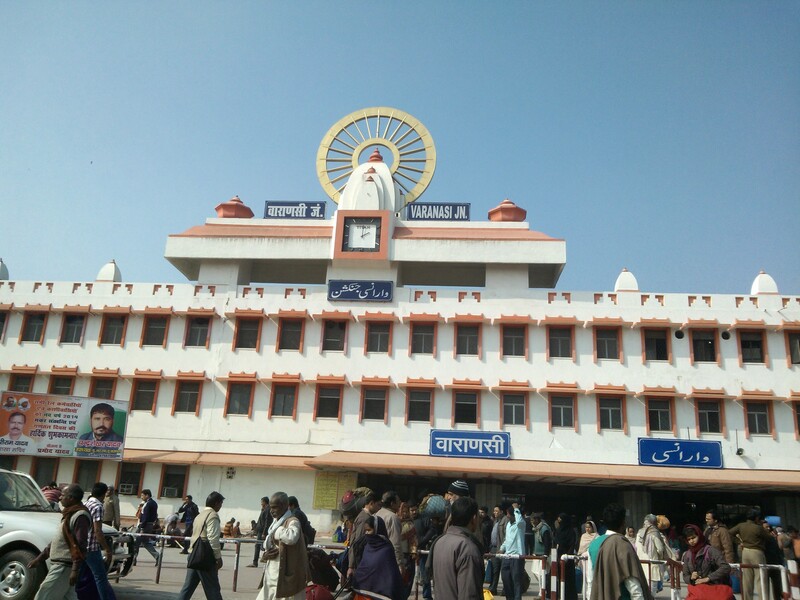 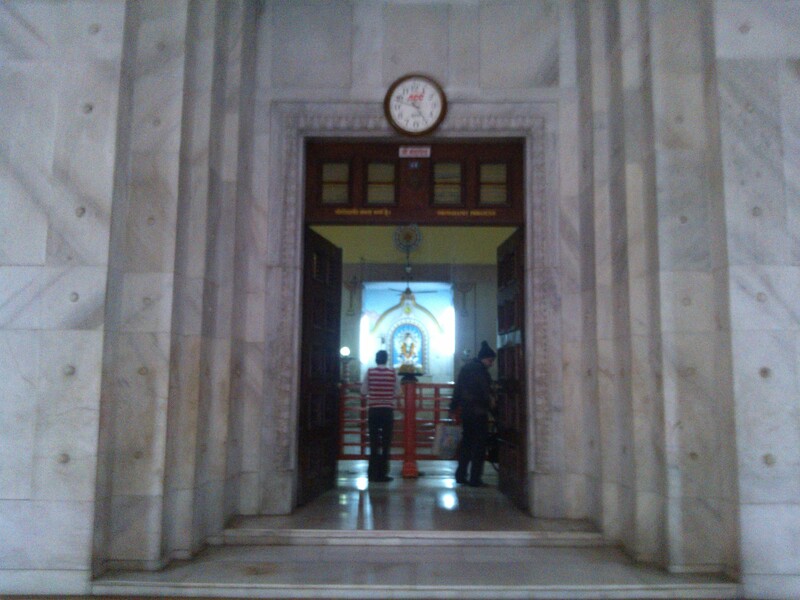 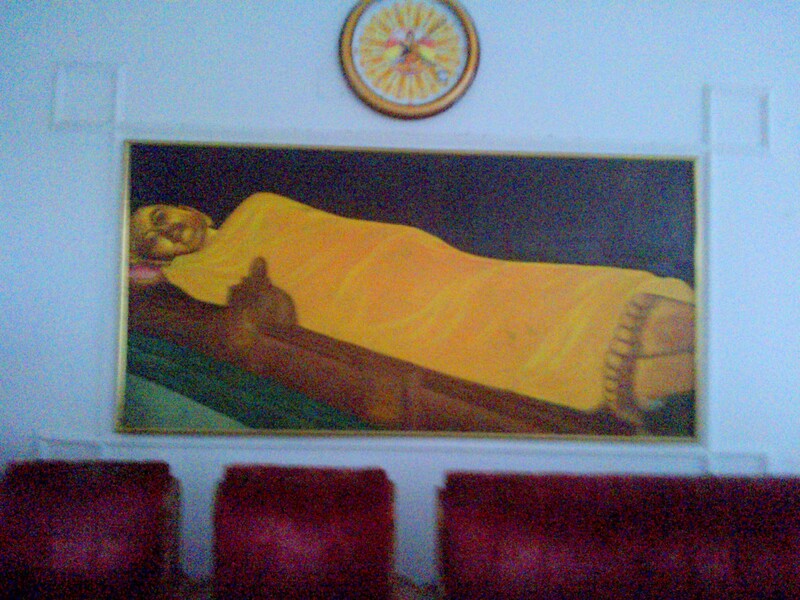 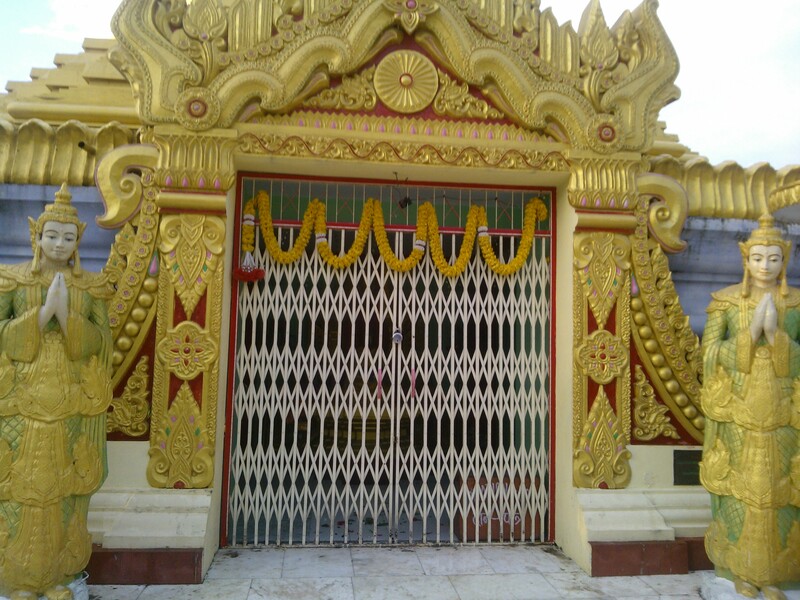 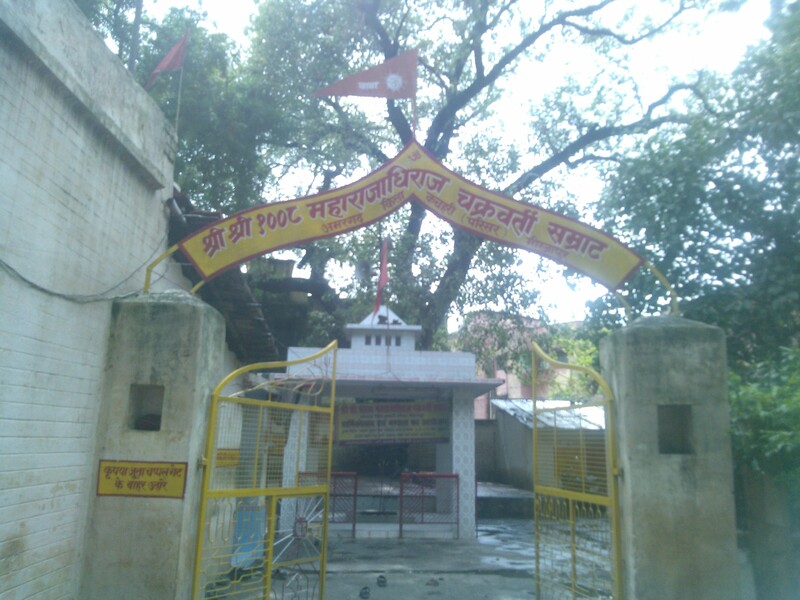 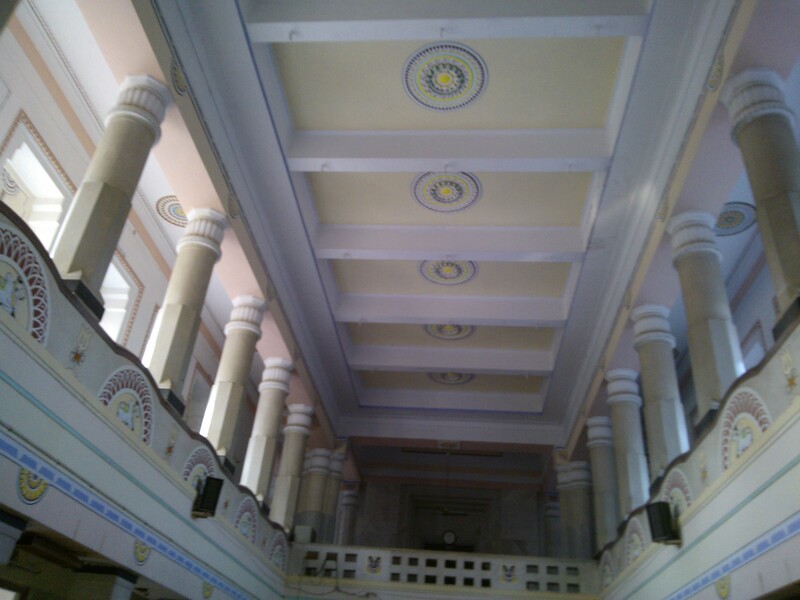 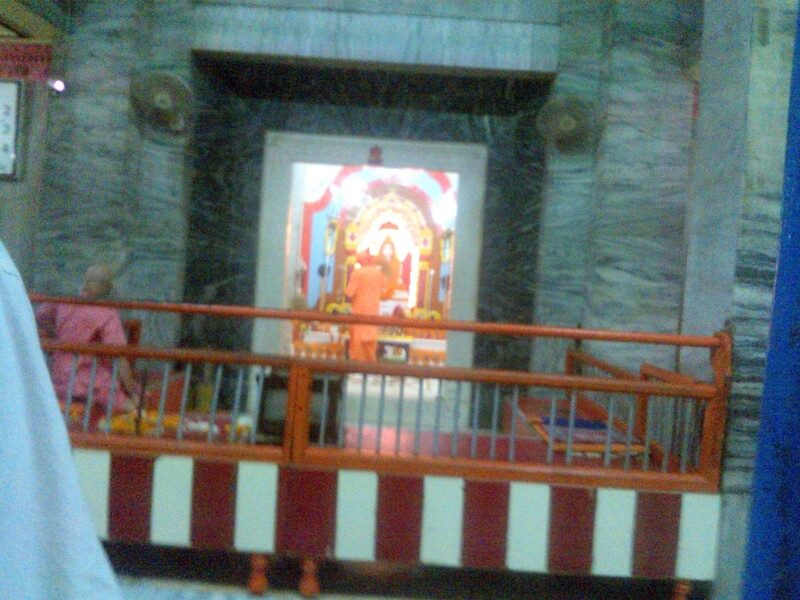 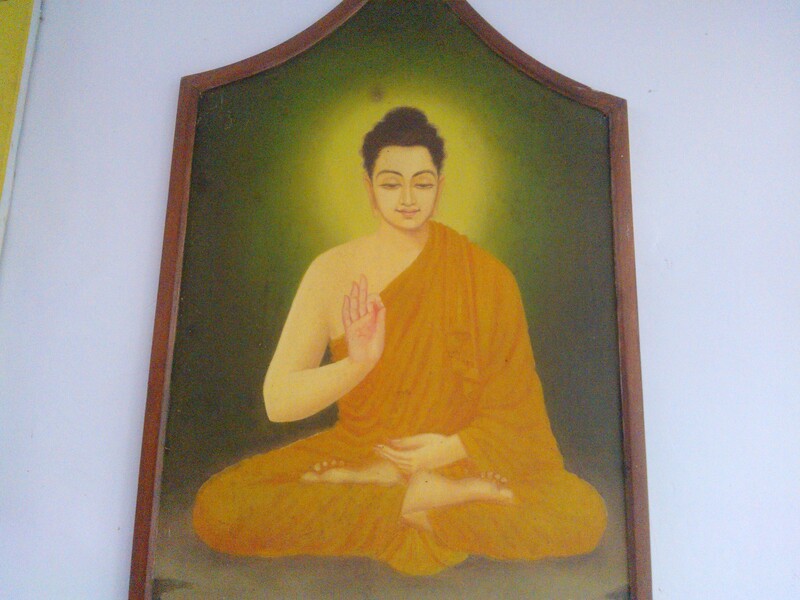 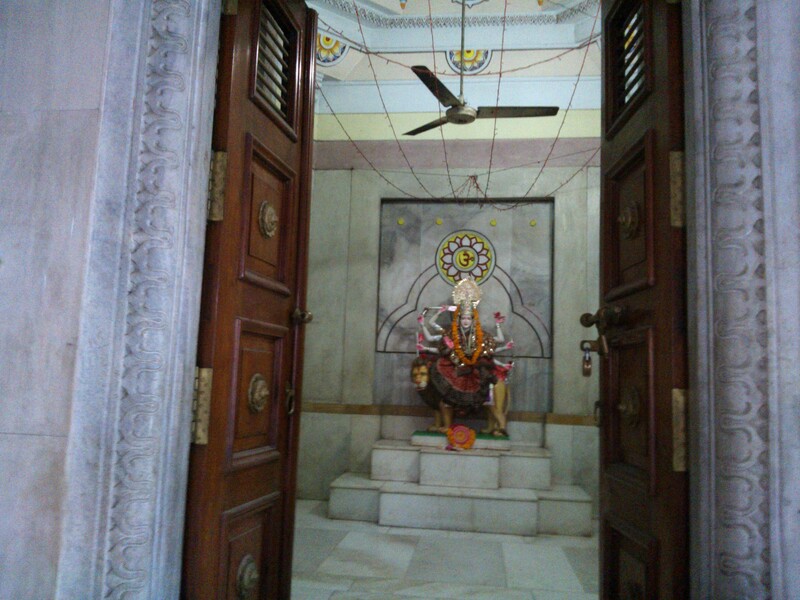 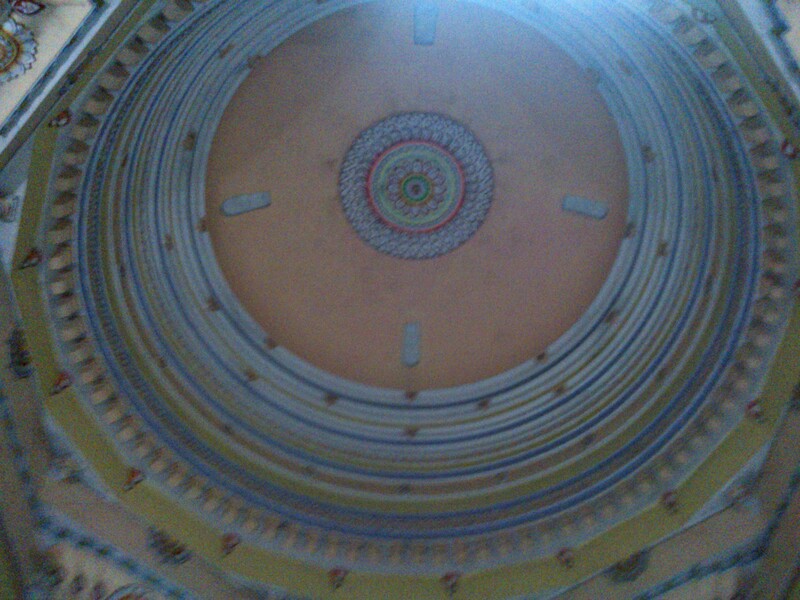 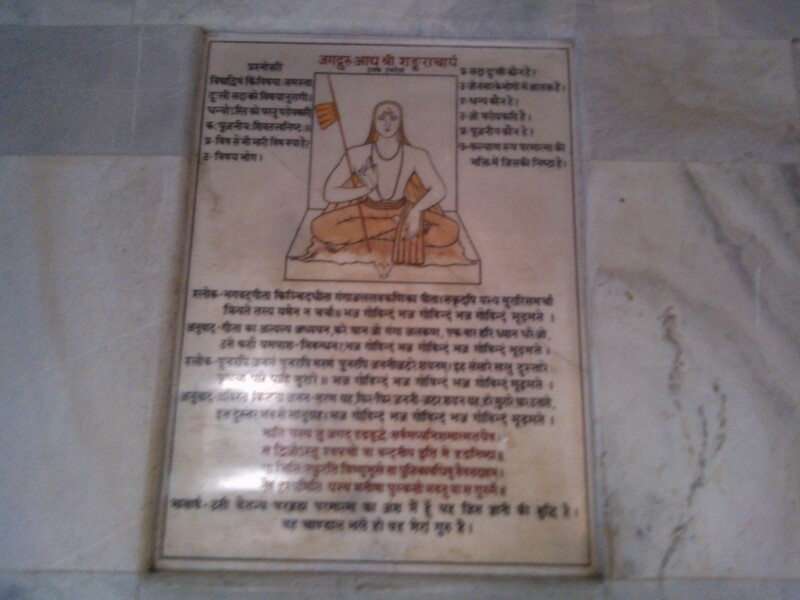 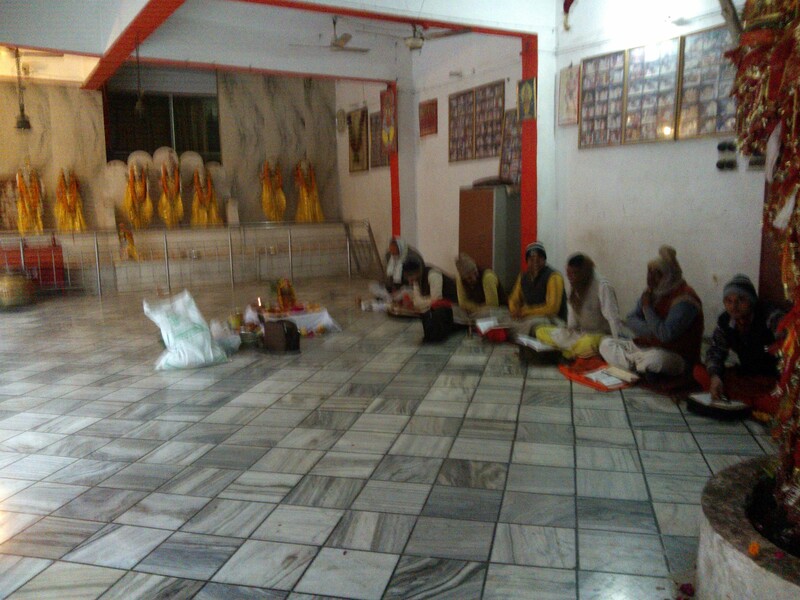 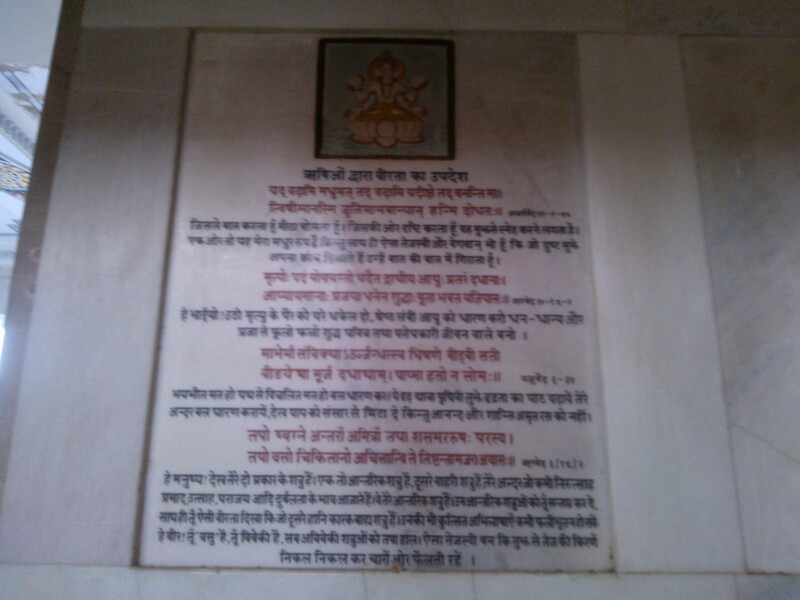 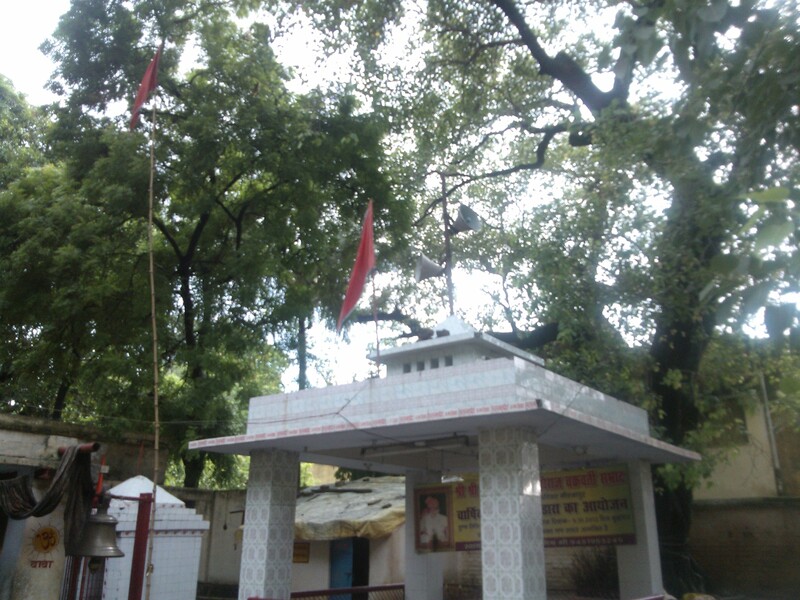 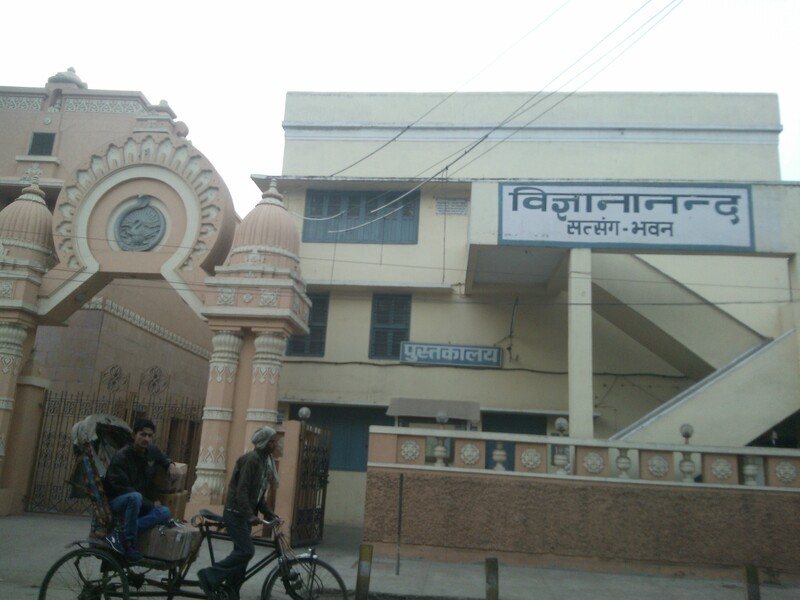 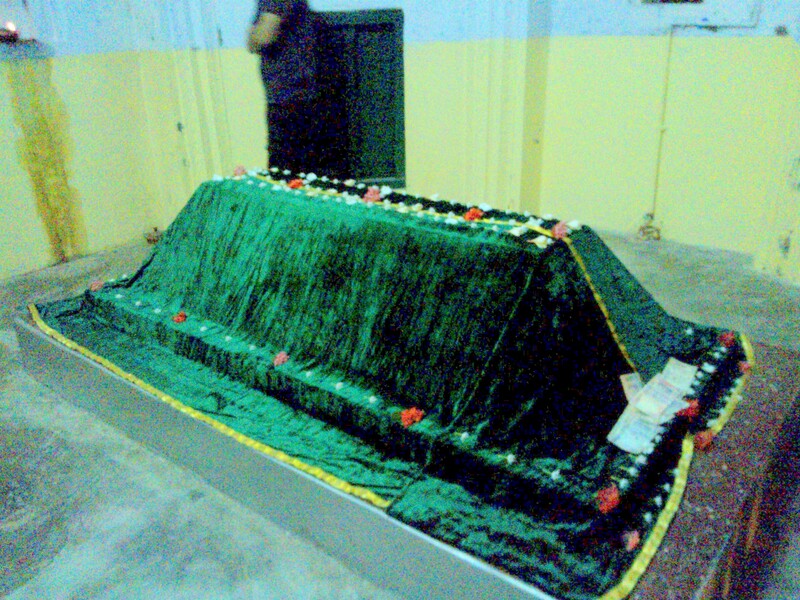 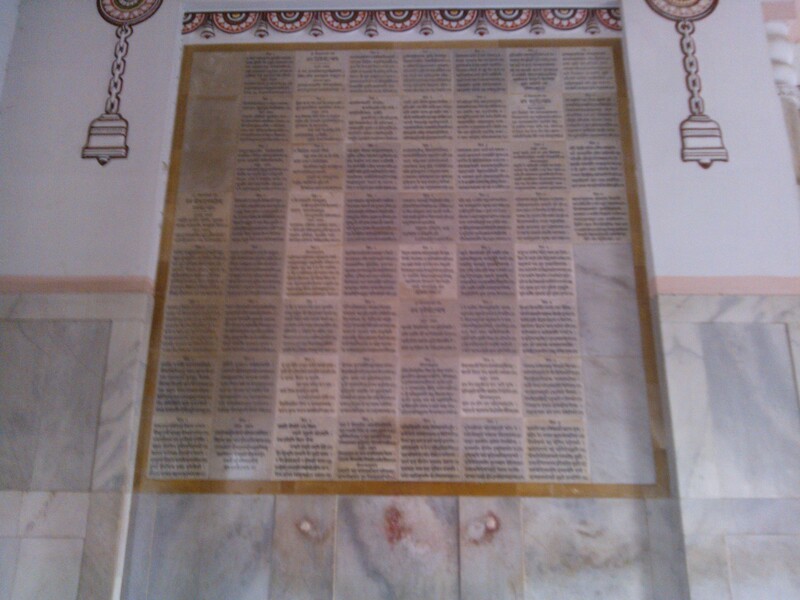 Samadhi Site Of One Of The Greatest Saints Of India lying Inside District Court, Mirzapur. 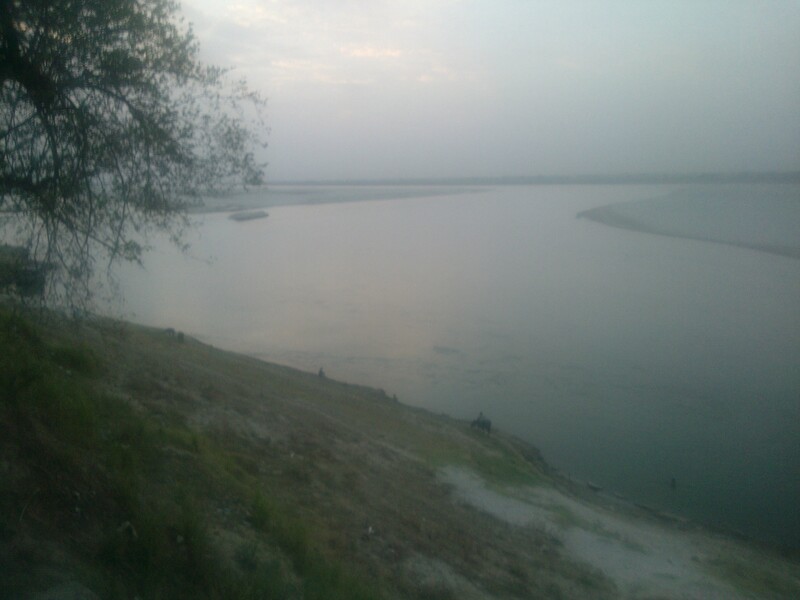 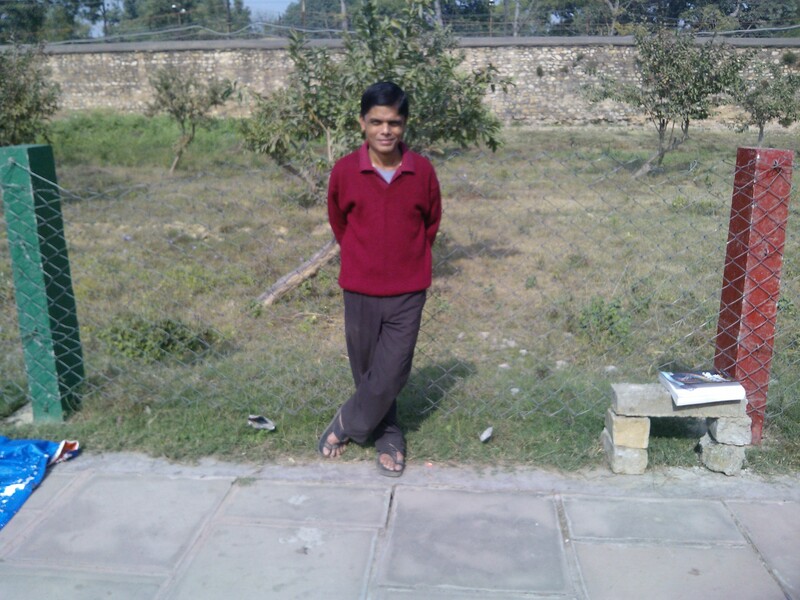 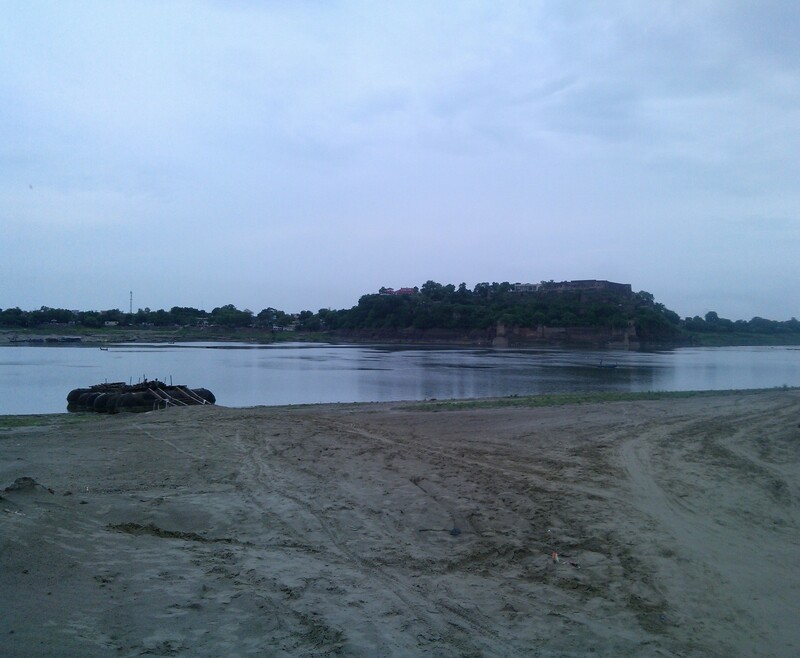 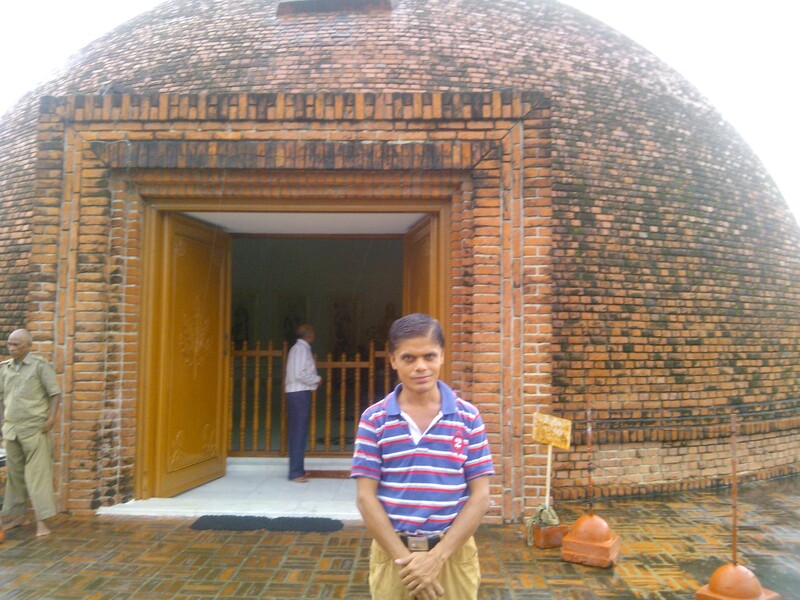 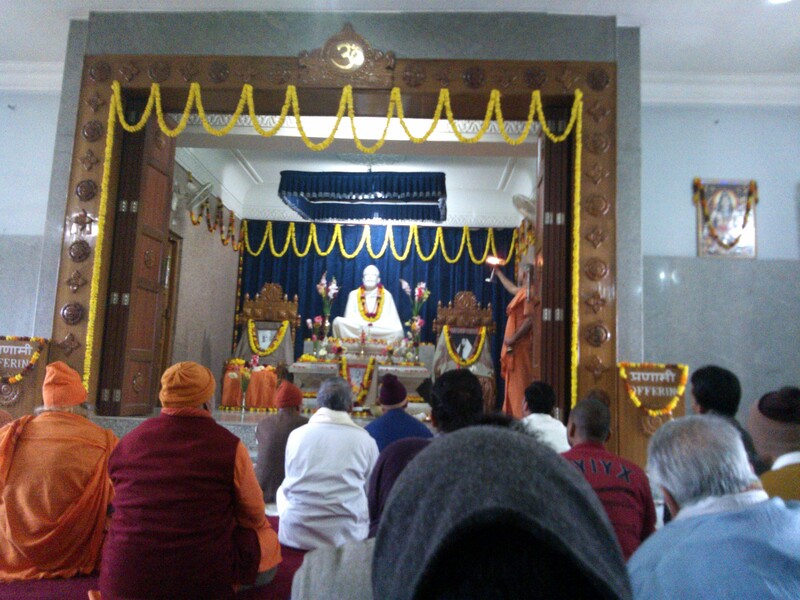 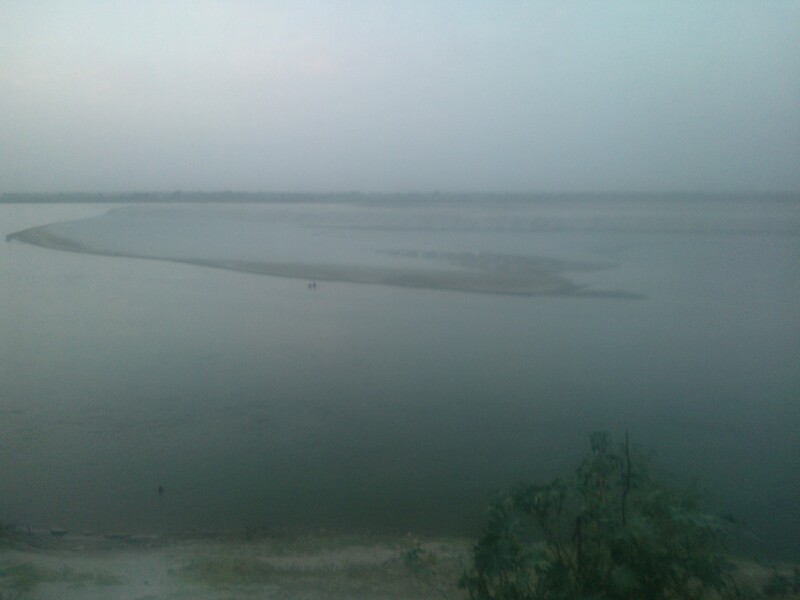 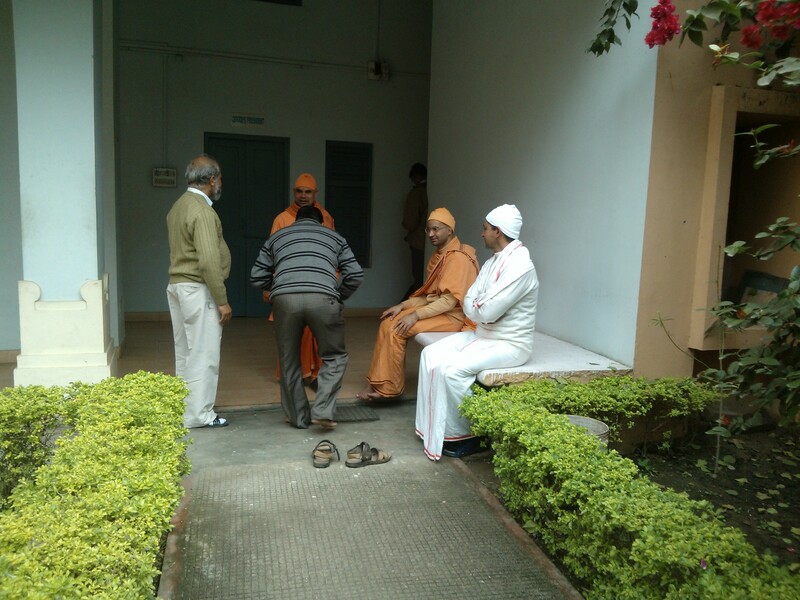 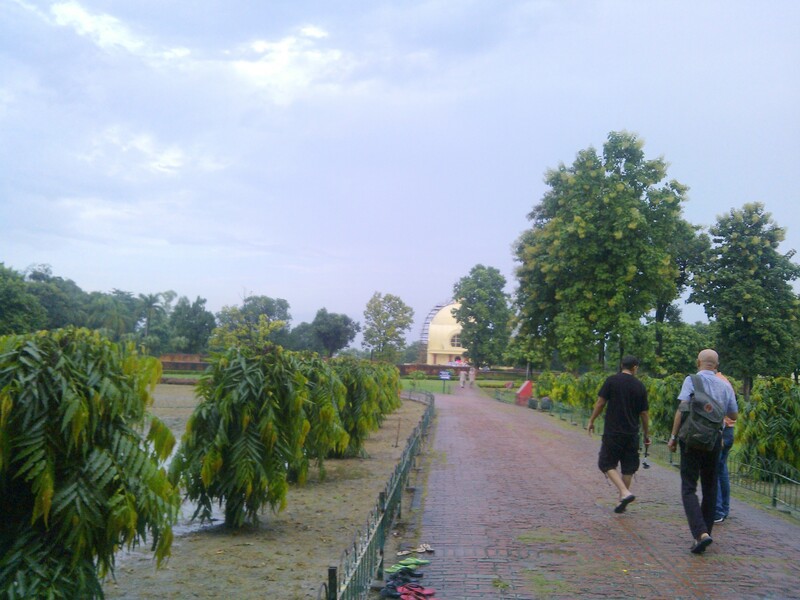 His Ashrama At This Secluded Place Situated On Bank Of Ganges.. 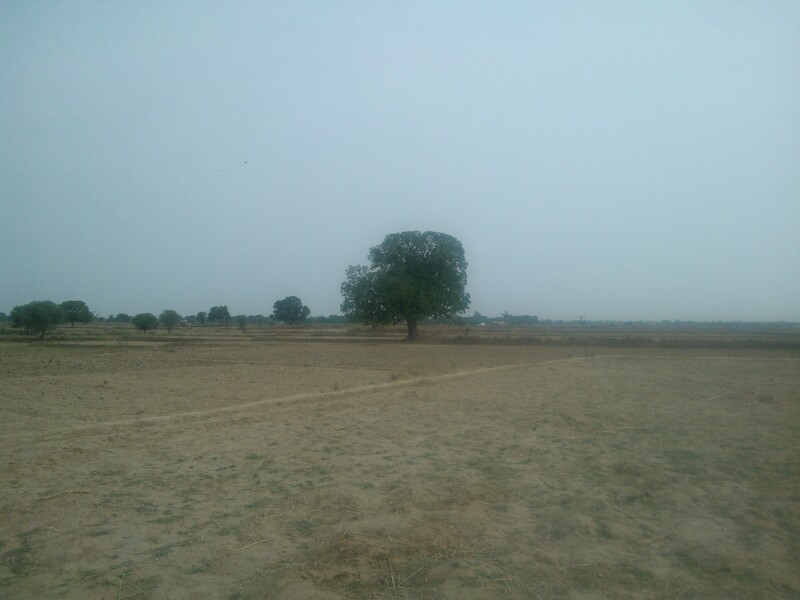 Rural landscape despite being marred by new sociological aberrations allow one to be in company of serenity and simplicity. 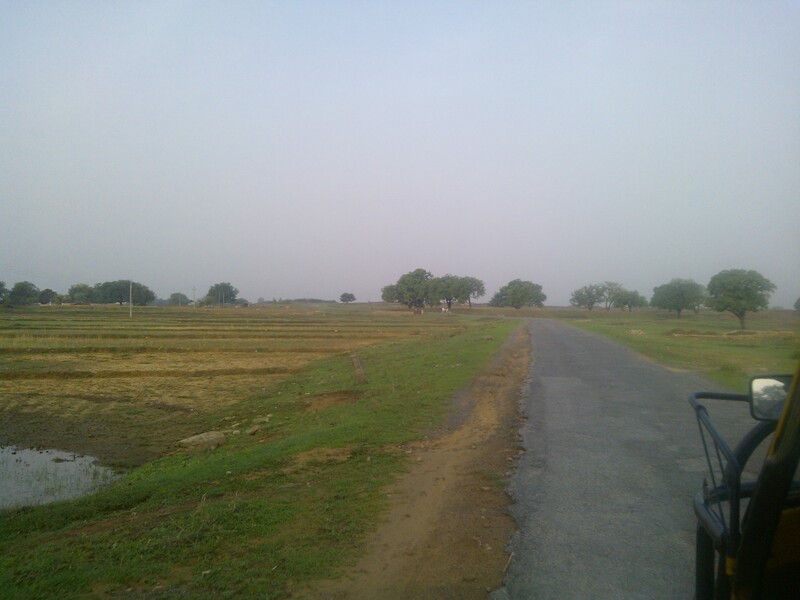 That’s one of the reasons which make me embrace rural world in all its totality. 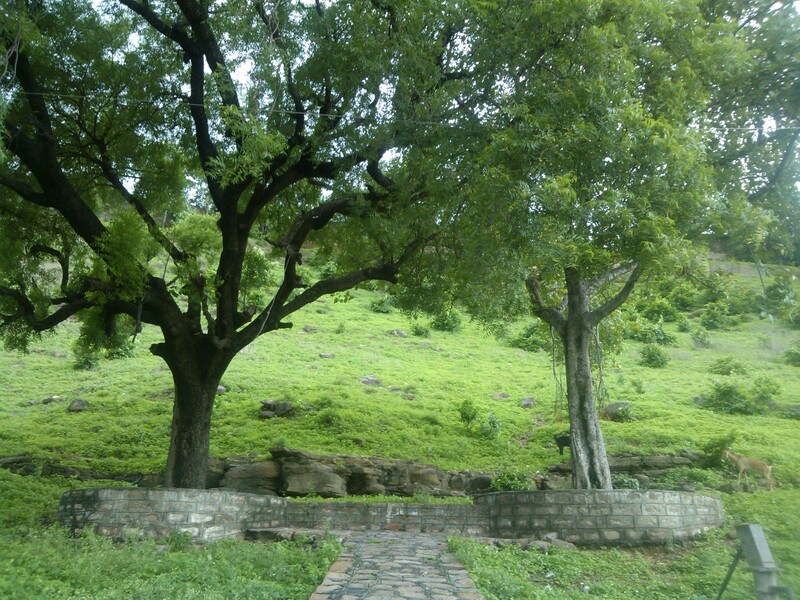 Have a look at these beautiful images which bear testimony to the fact that nature’s beauty alone has the capacity to provide you real bliss. 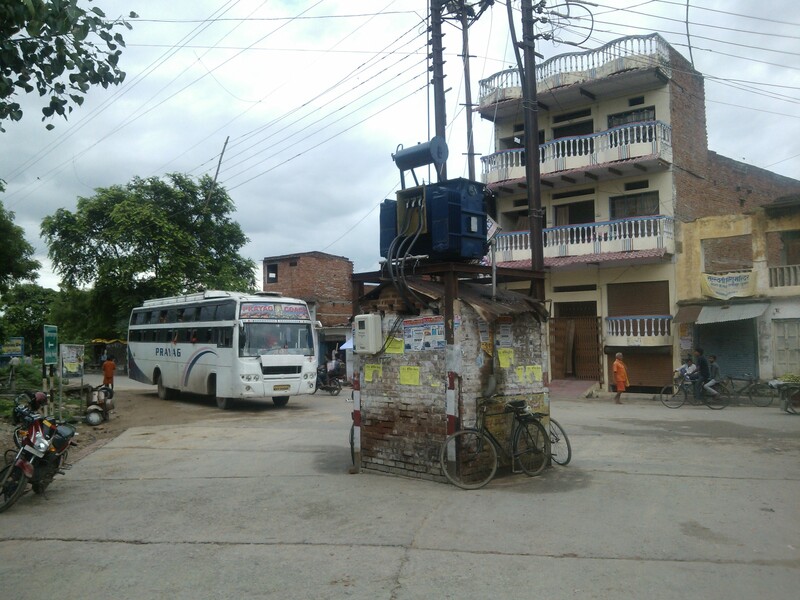 This photo feature is in two parts. 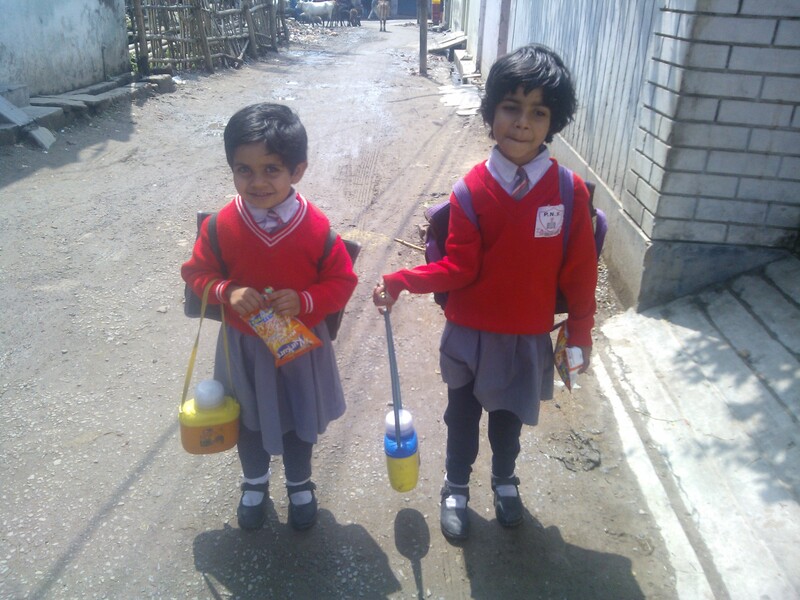 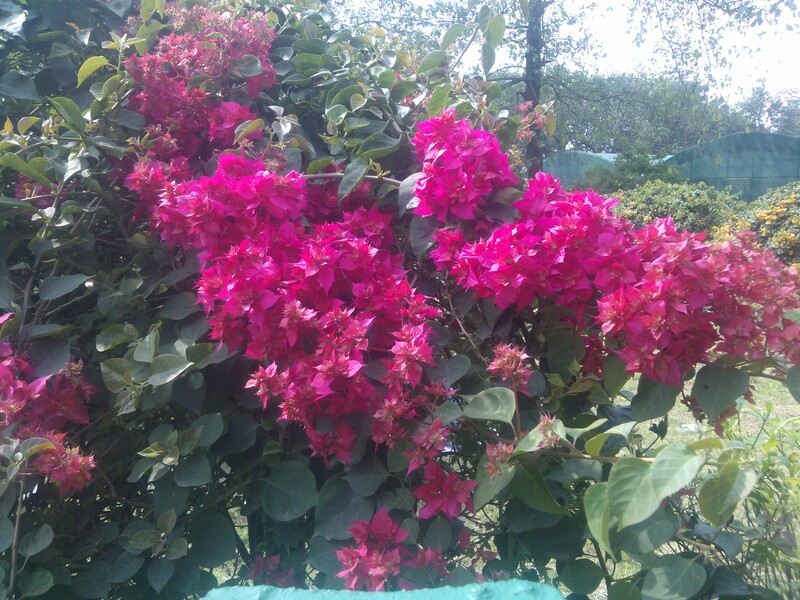 The first one deals with summer life whereas the part two unfolds life during winters. 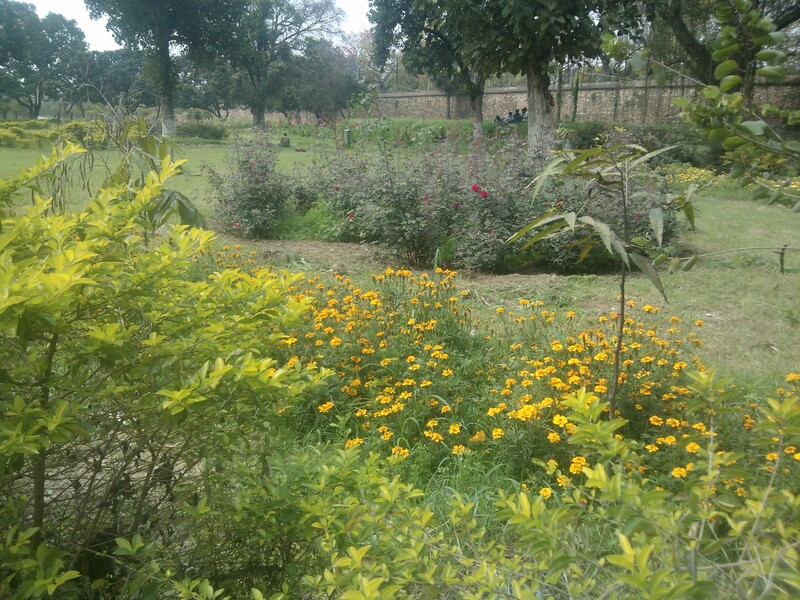 Interestingly, the winter scenes belong to my previous trip to my village few months back. 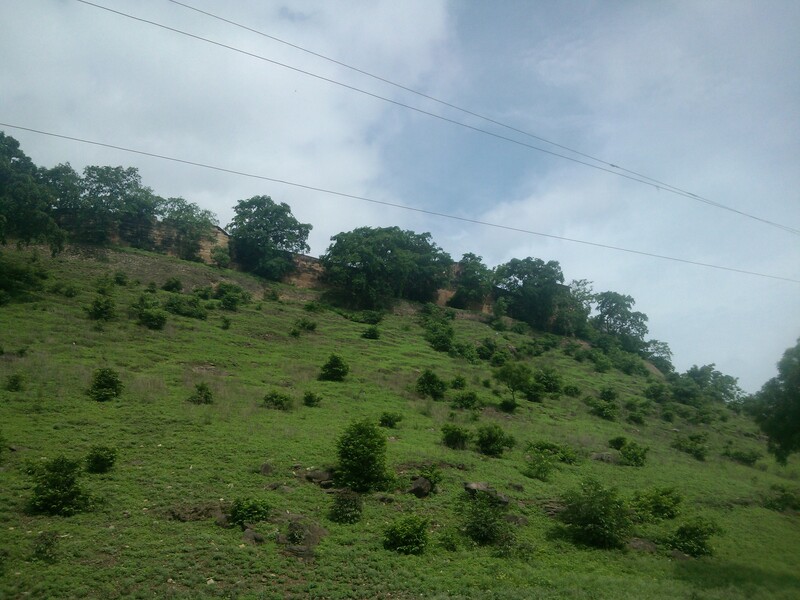 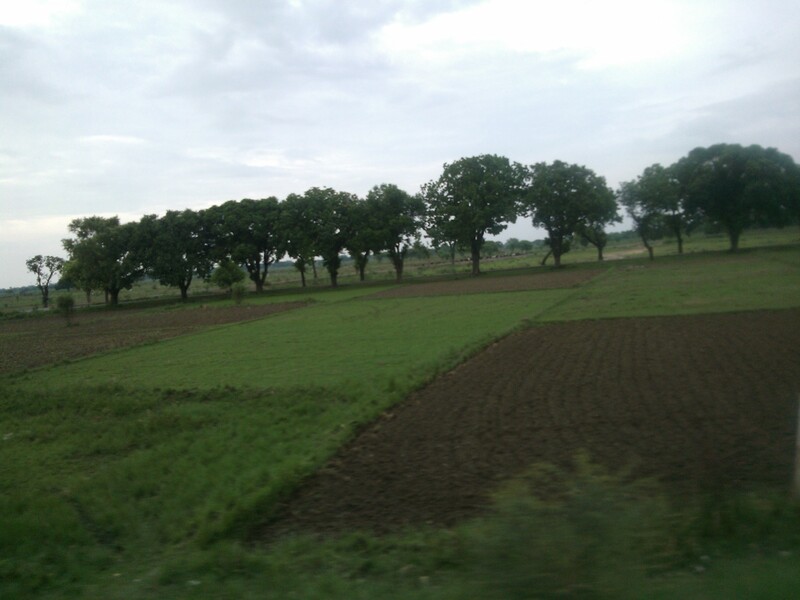 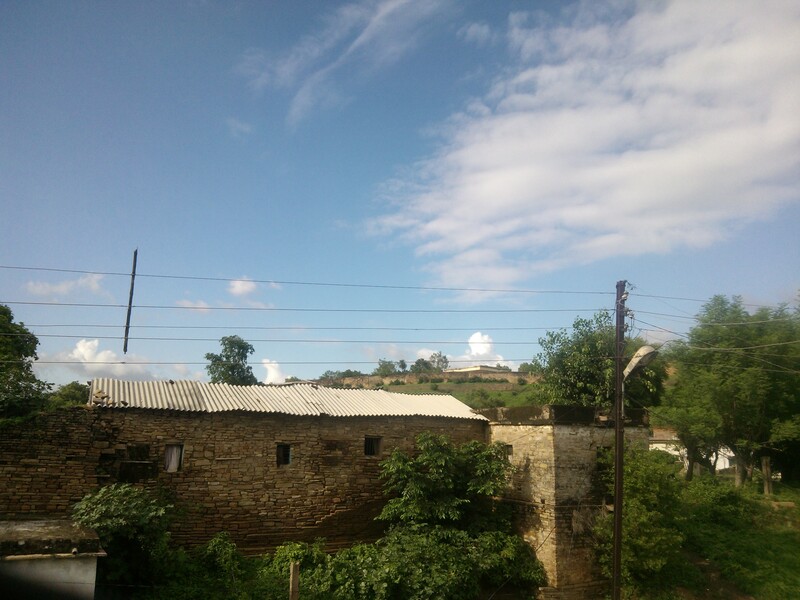 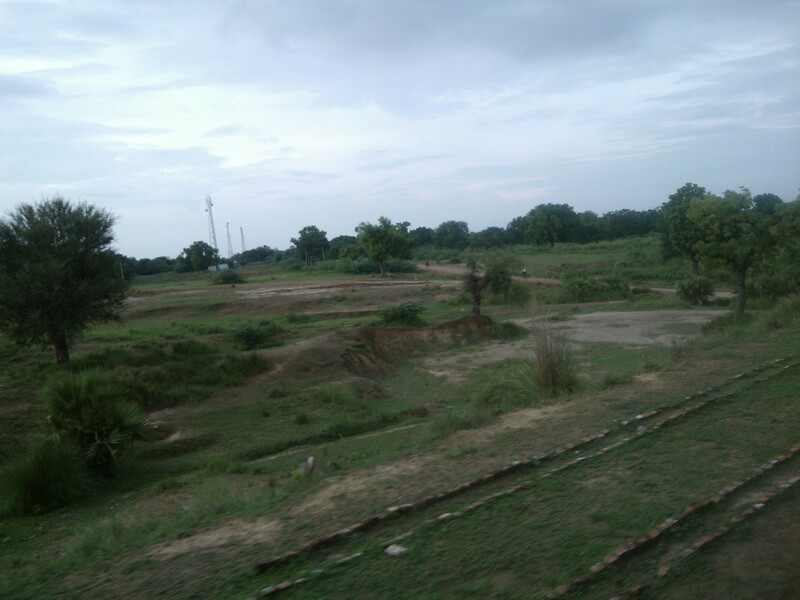 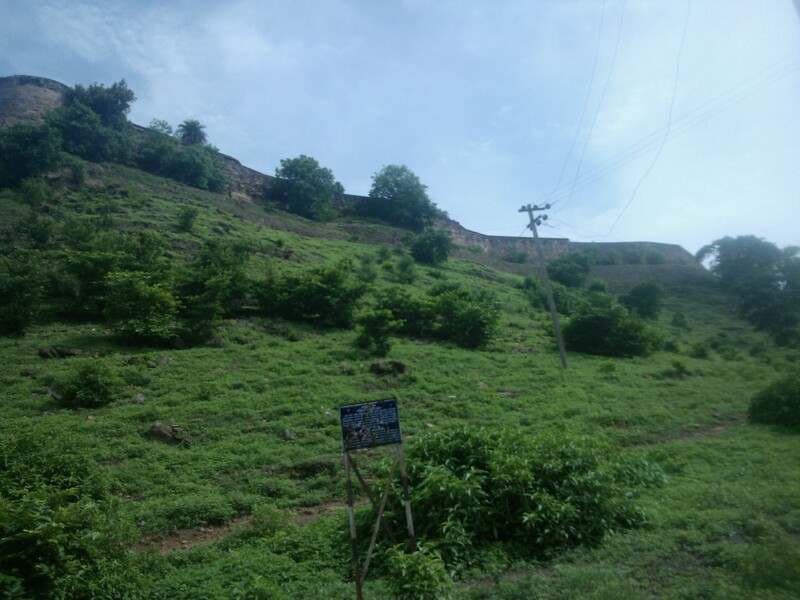 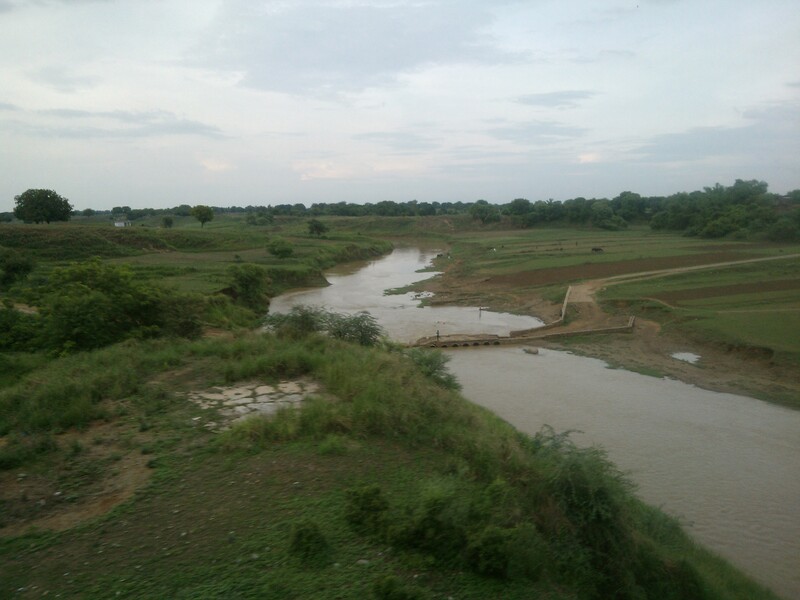 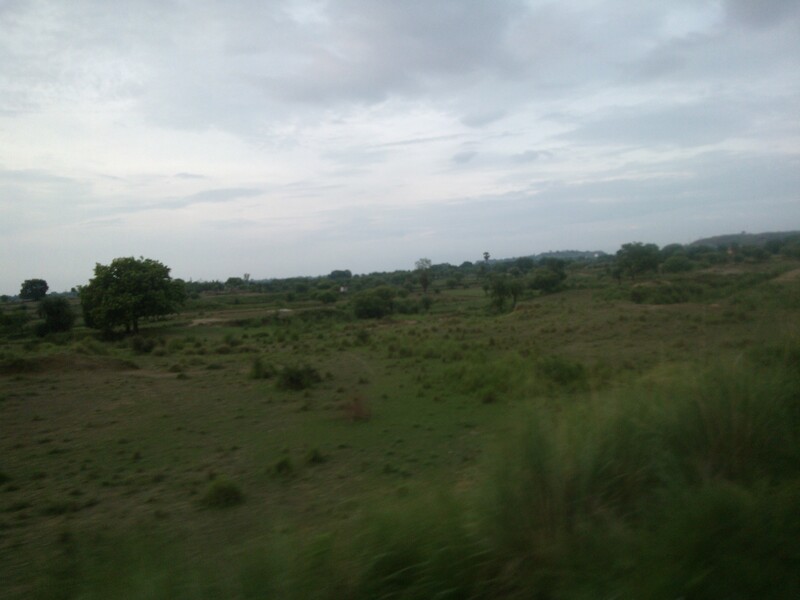 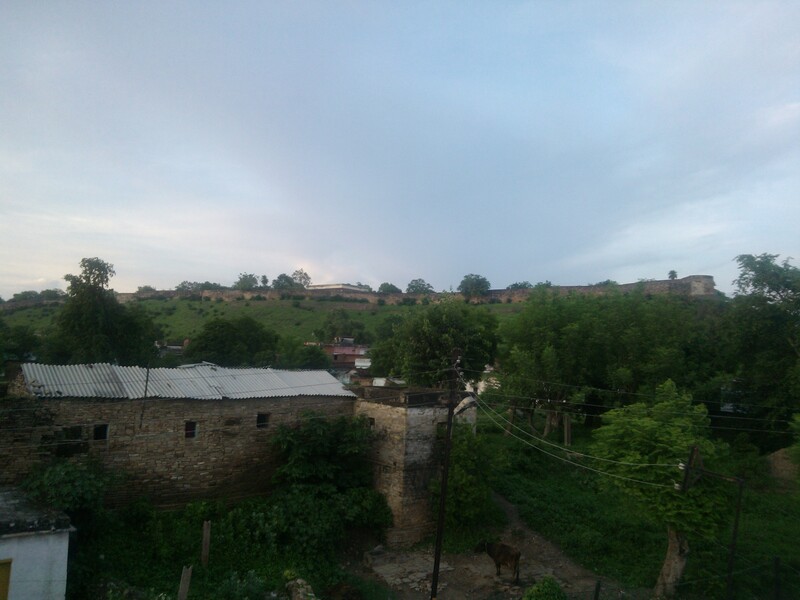 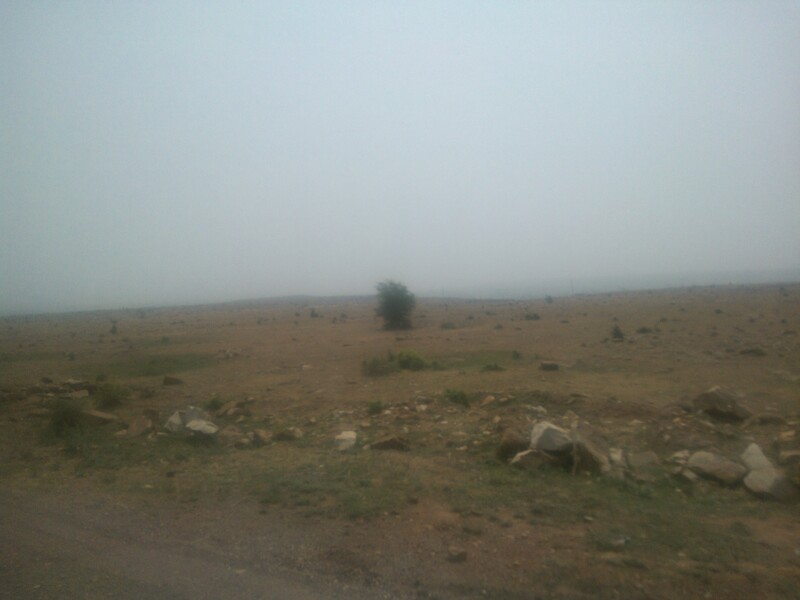 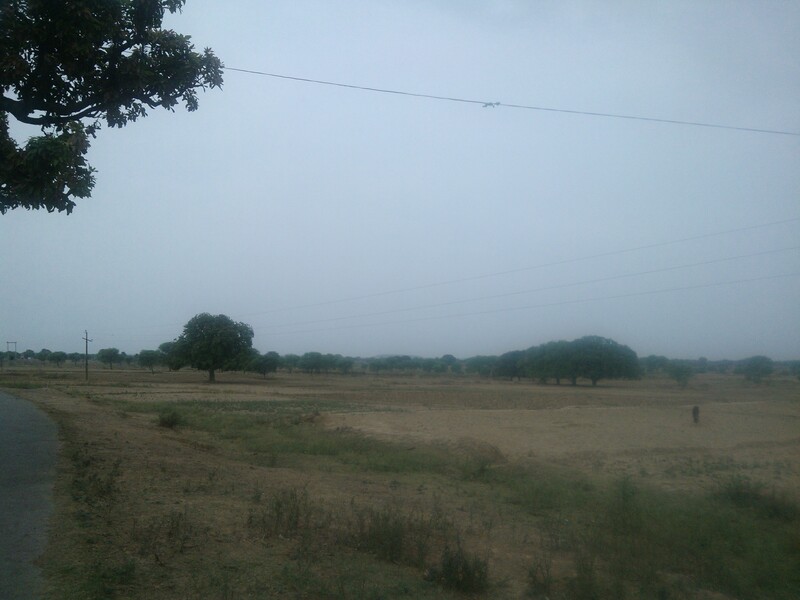 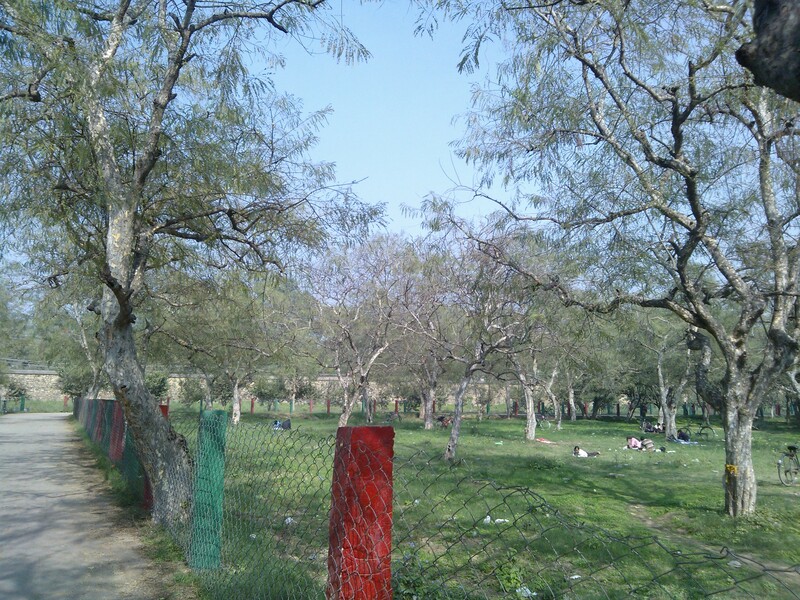 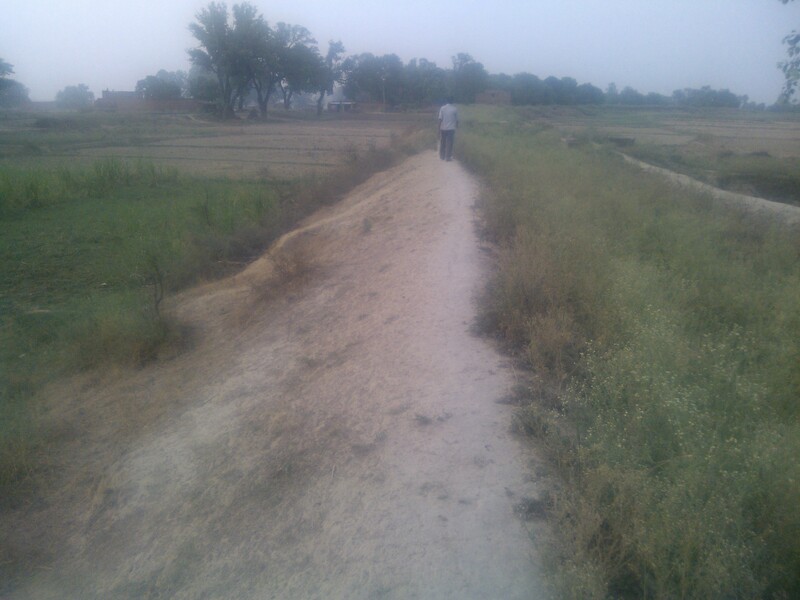 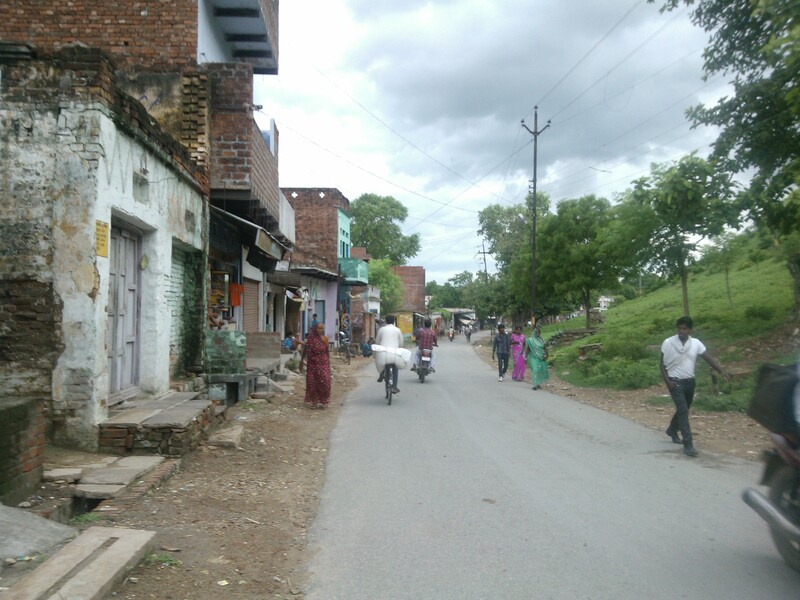 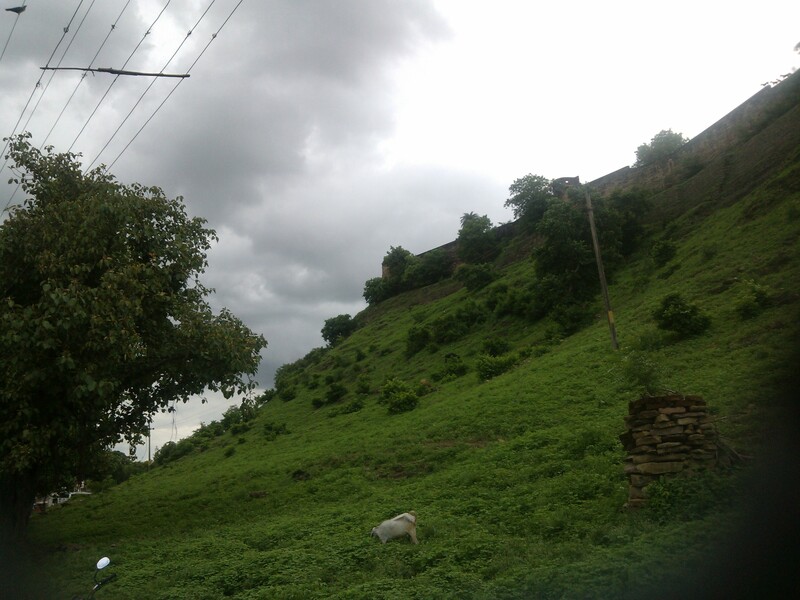 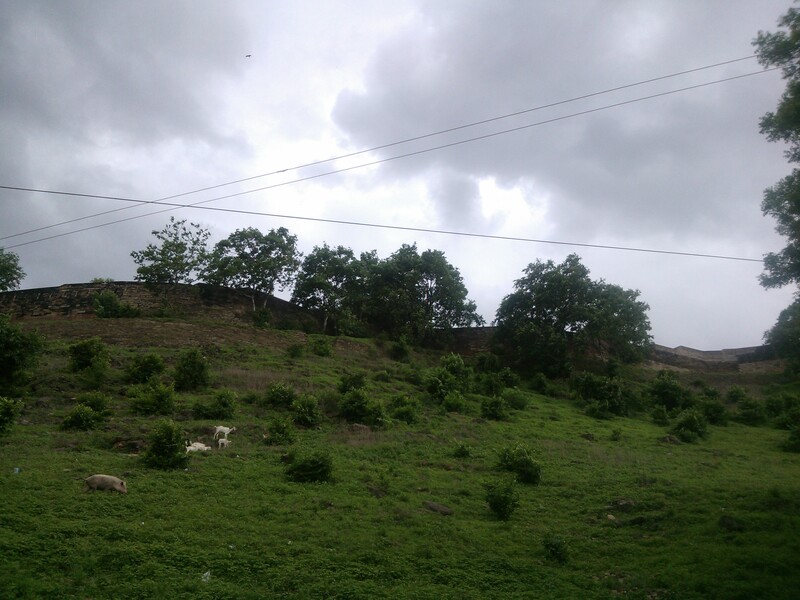 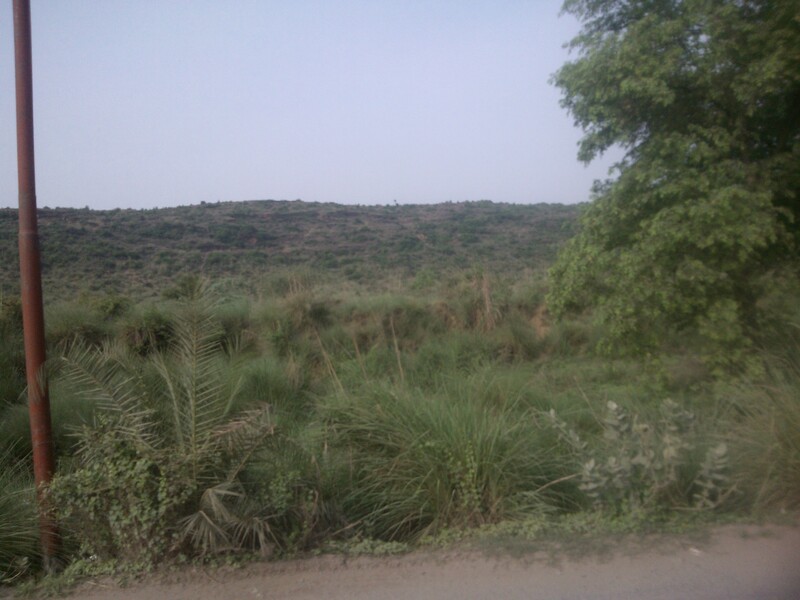 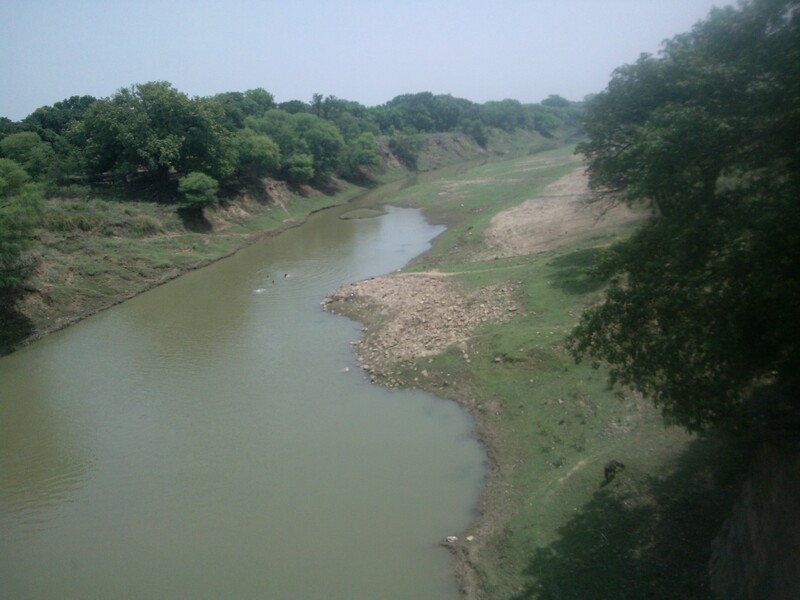 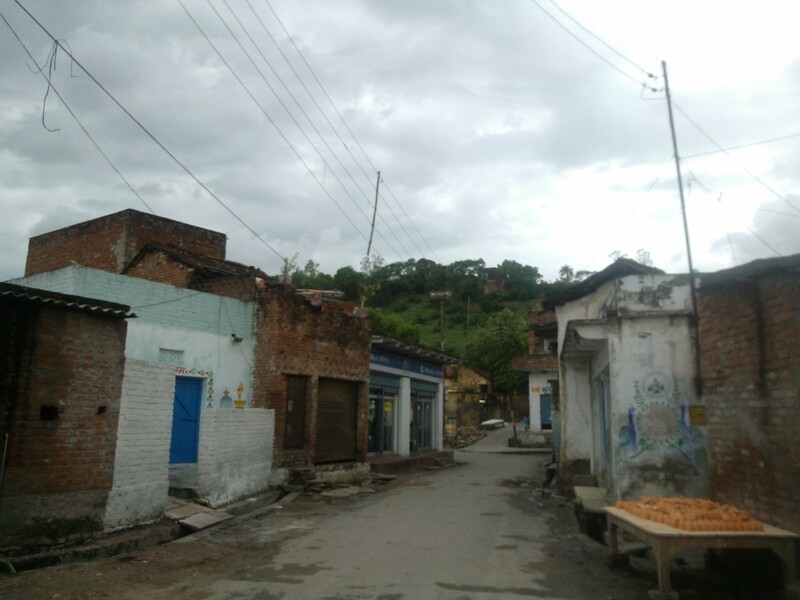 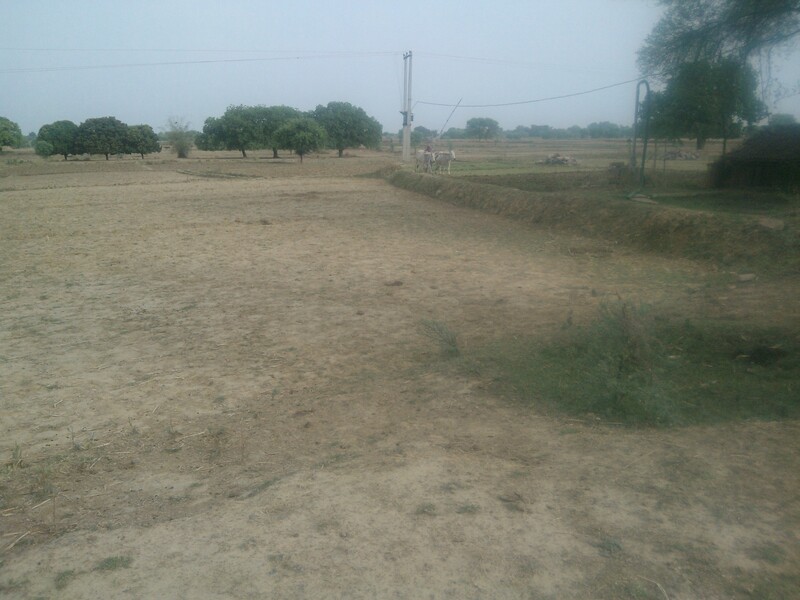 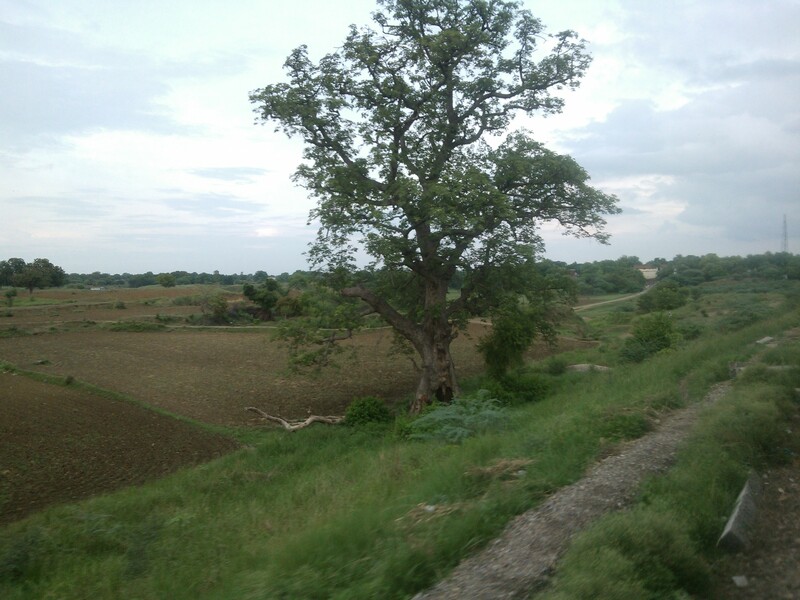 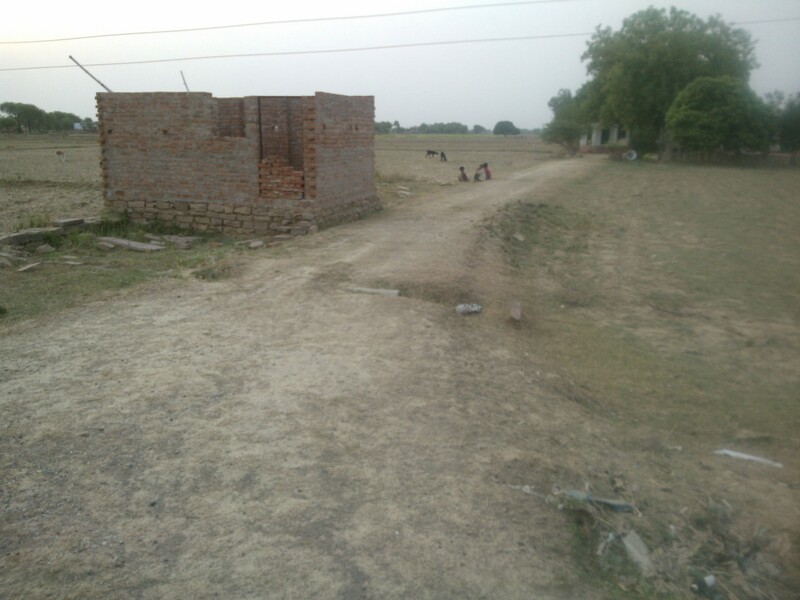 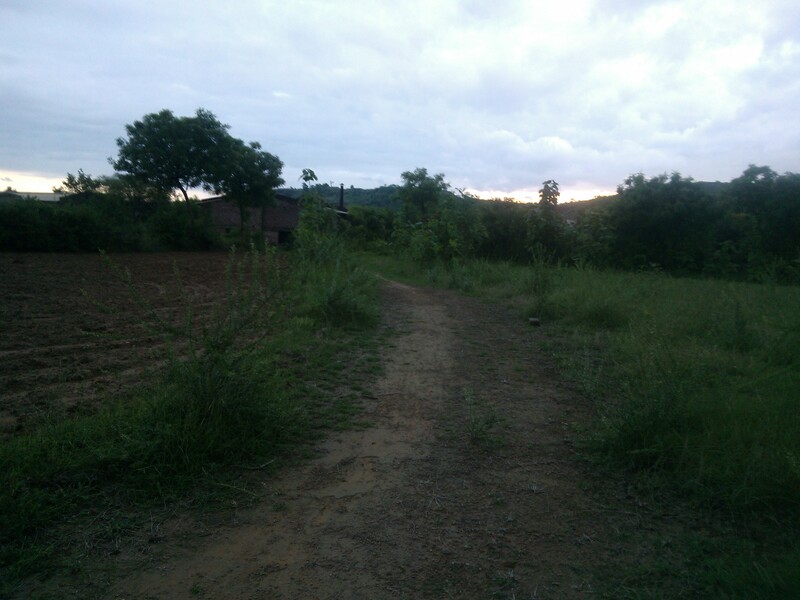 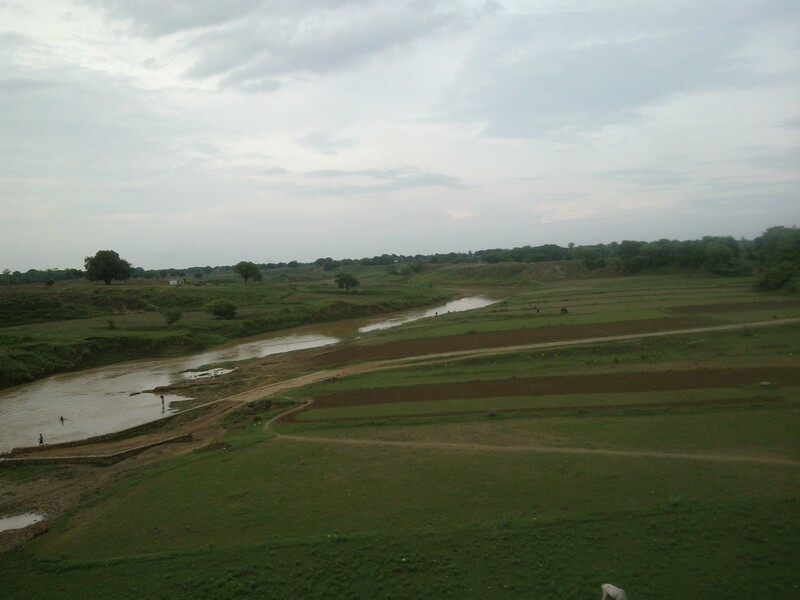 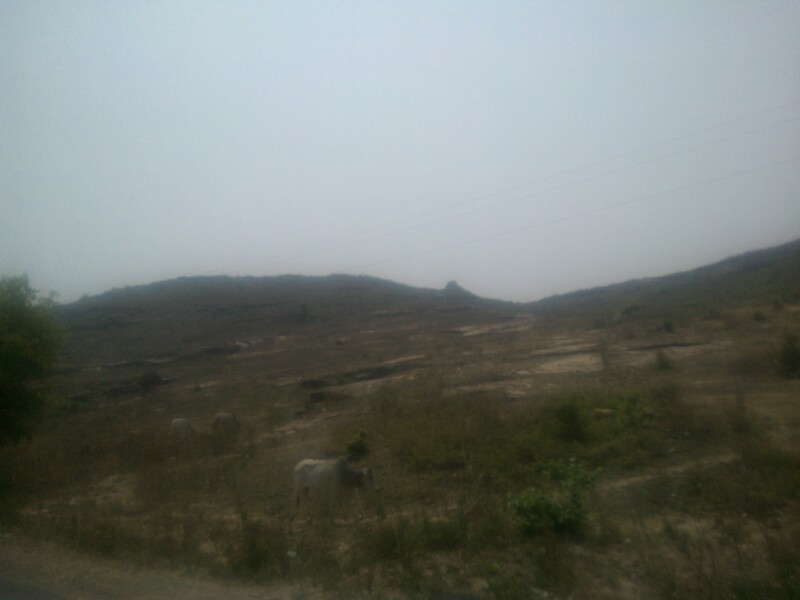 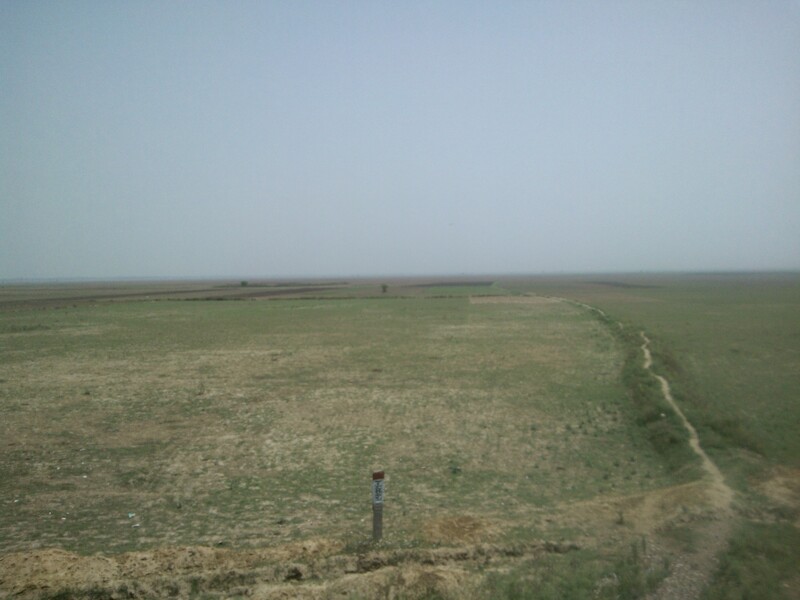 Hilly Terrain In Lalganj, Mirzapur, Uttar Pradesh. 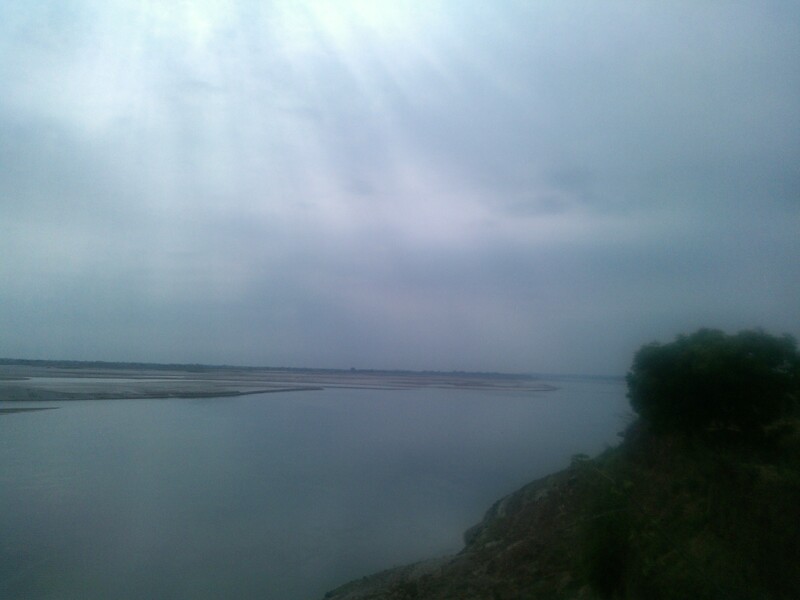 My spirit wanders at such places! 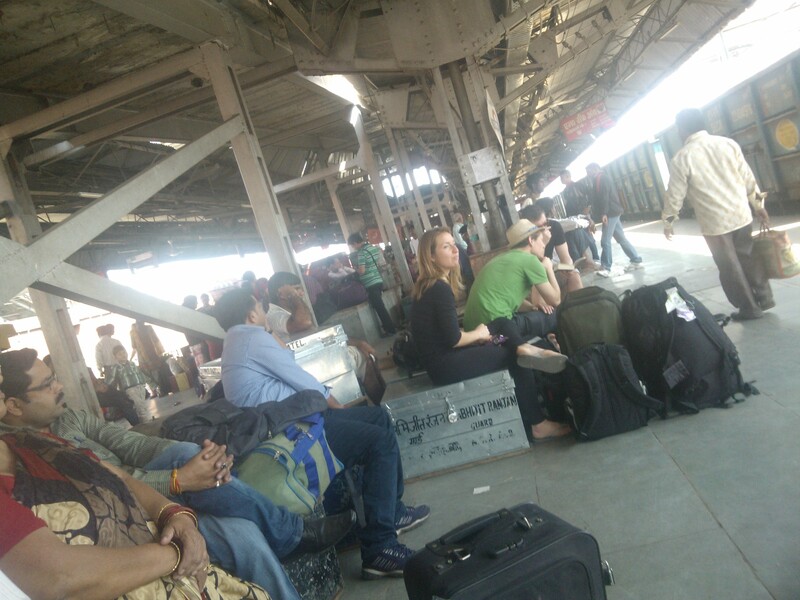 That’s Busy Delhi- Howrah Route…. 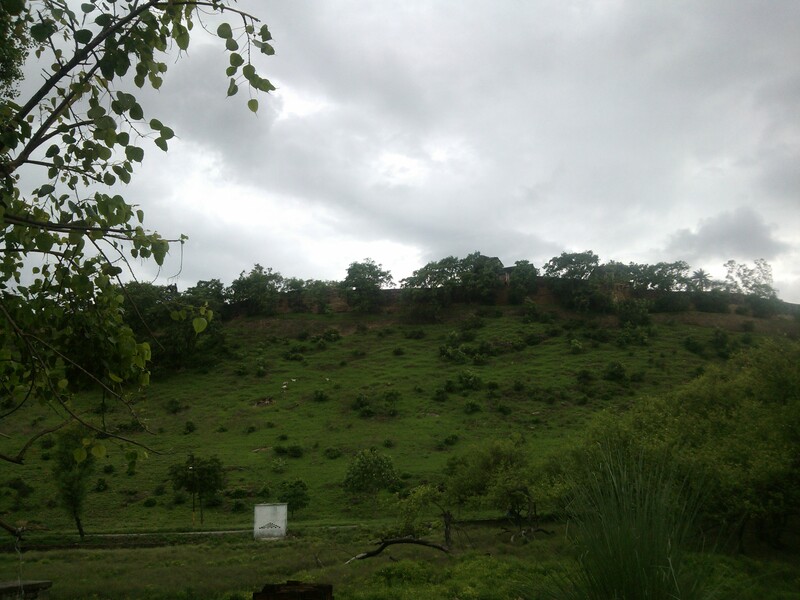 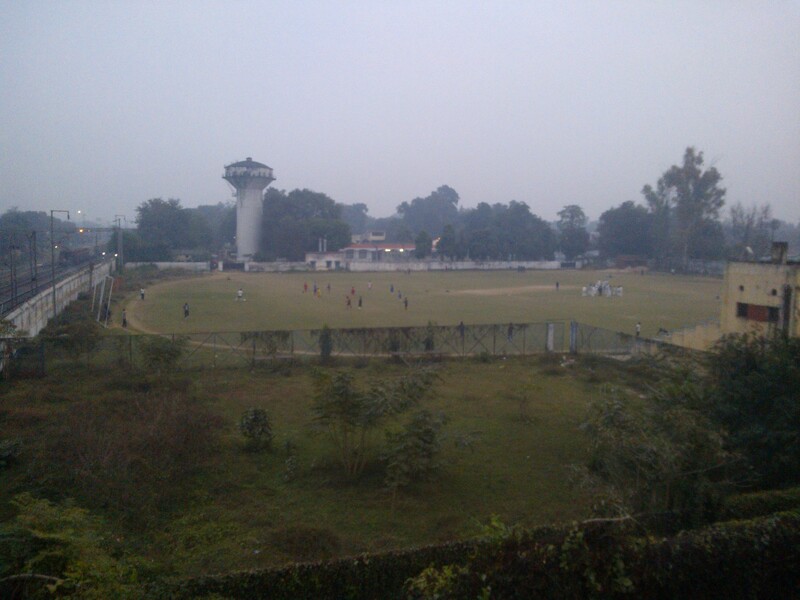 Glimpse Of Vindhyanchal Hills !! 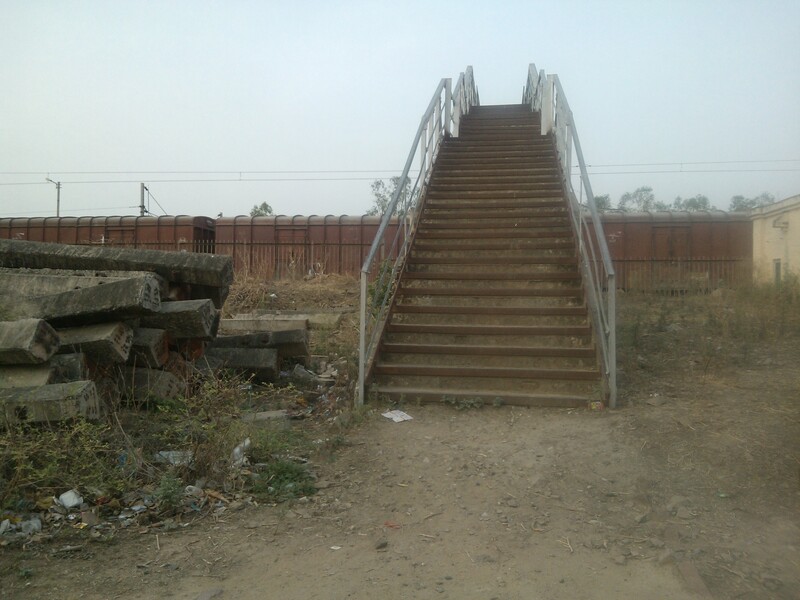 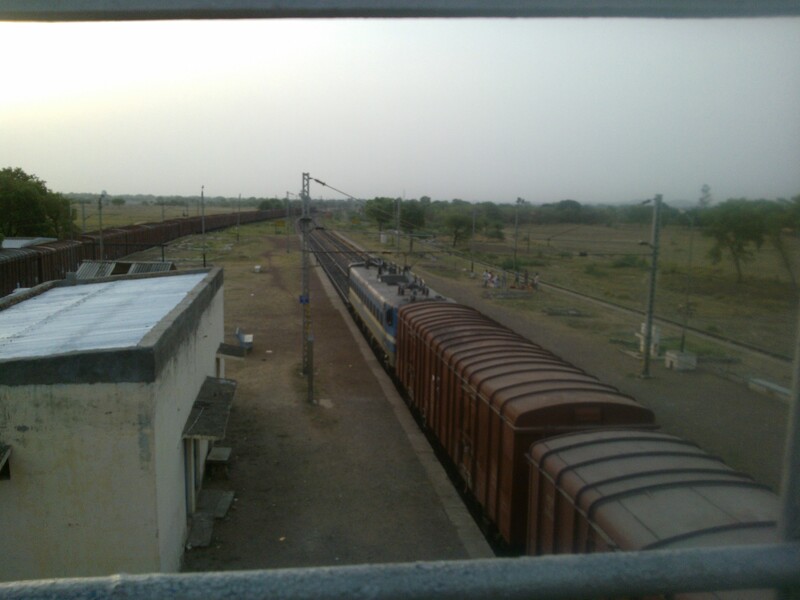 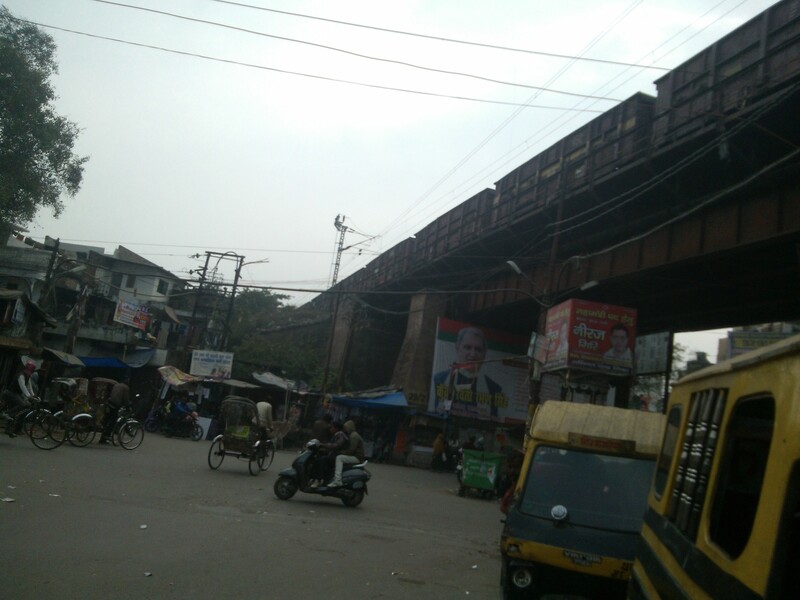 The Only Railway Bridge Which Connects All The Four Platforms At Pahara Station! 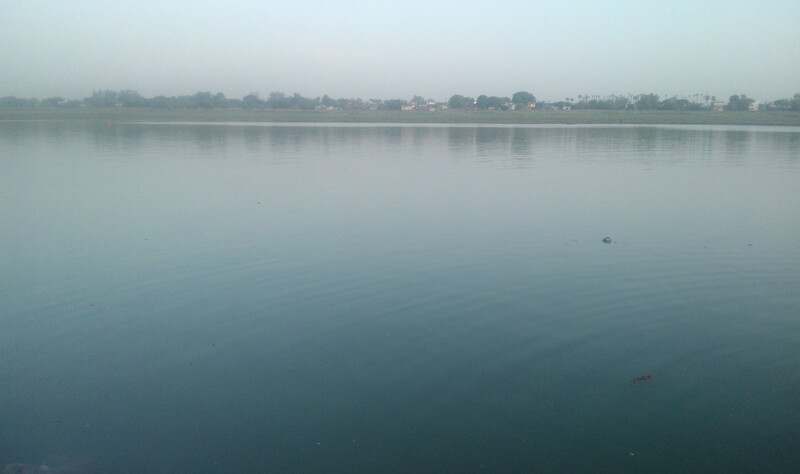 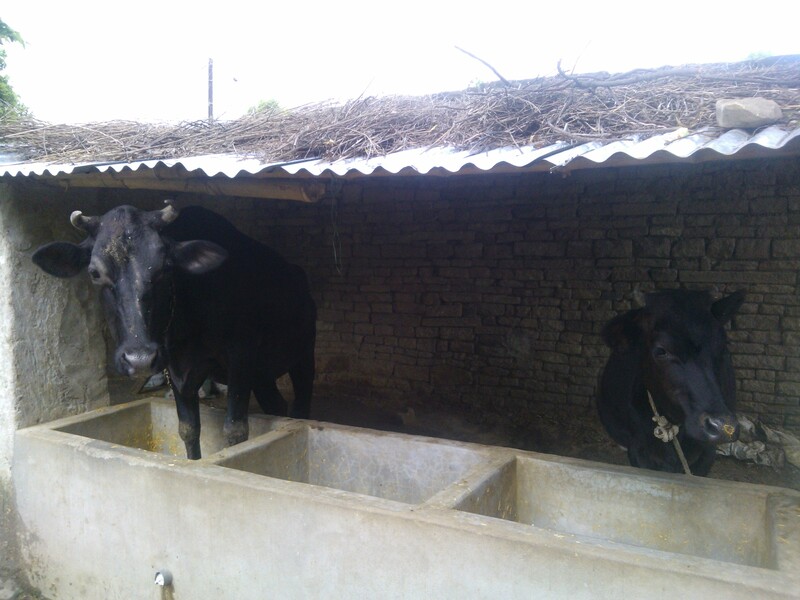 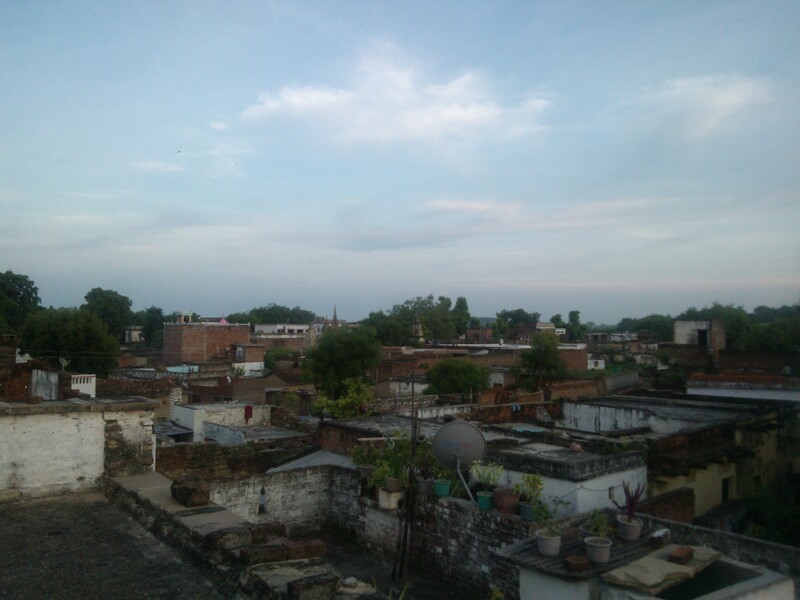 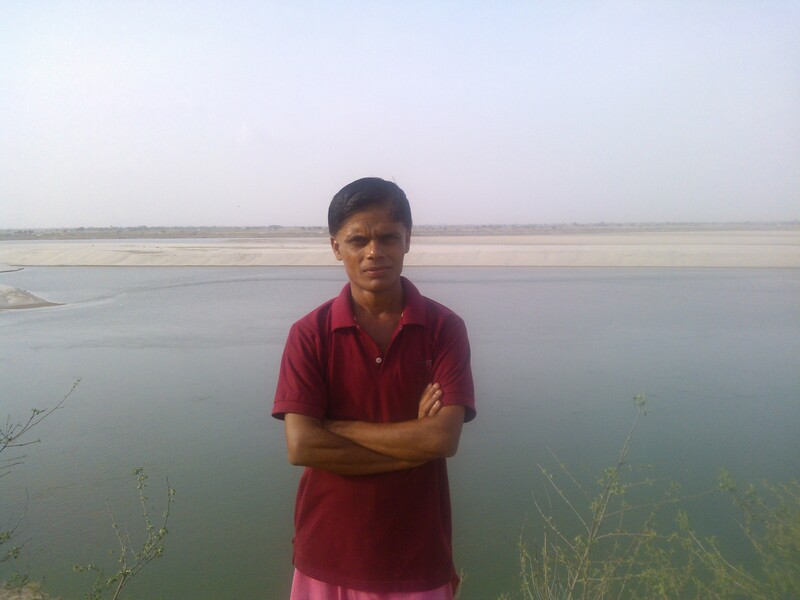 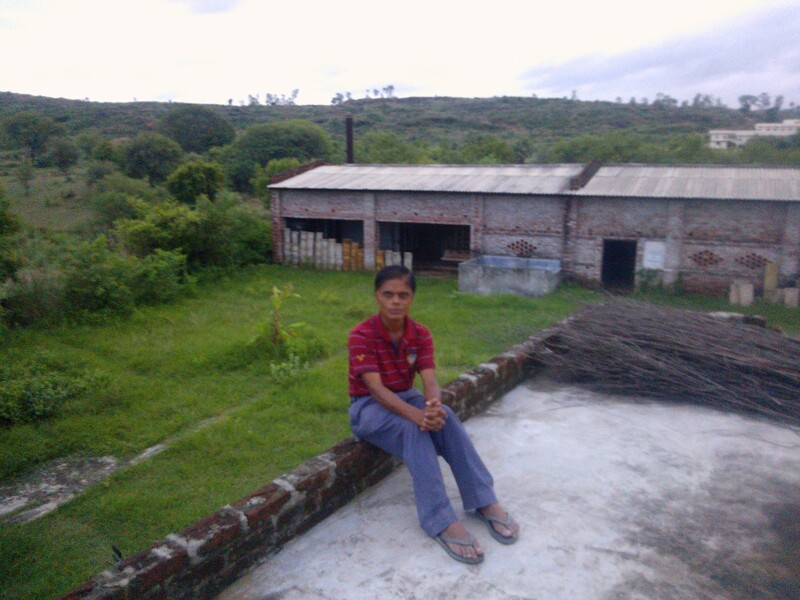 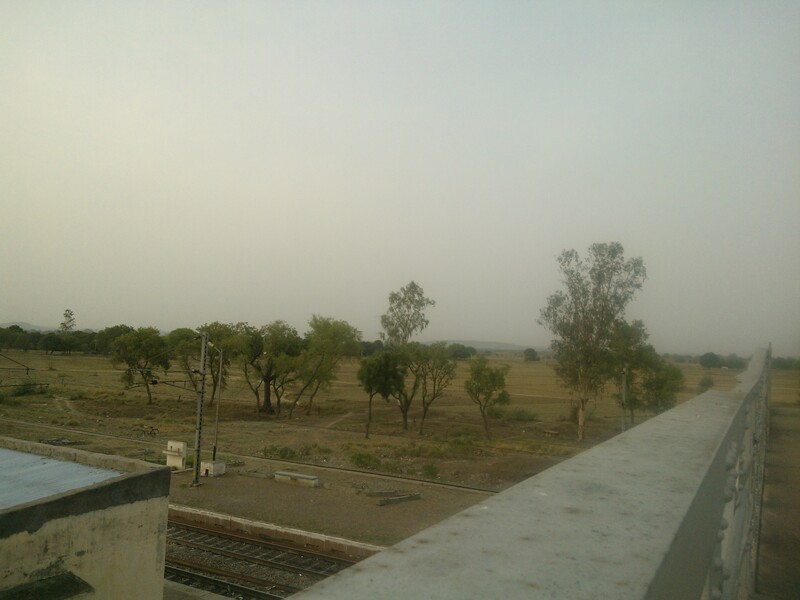 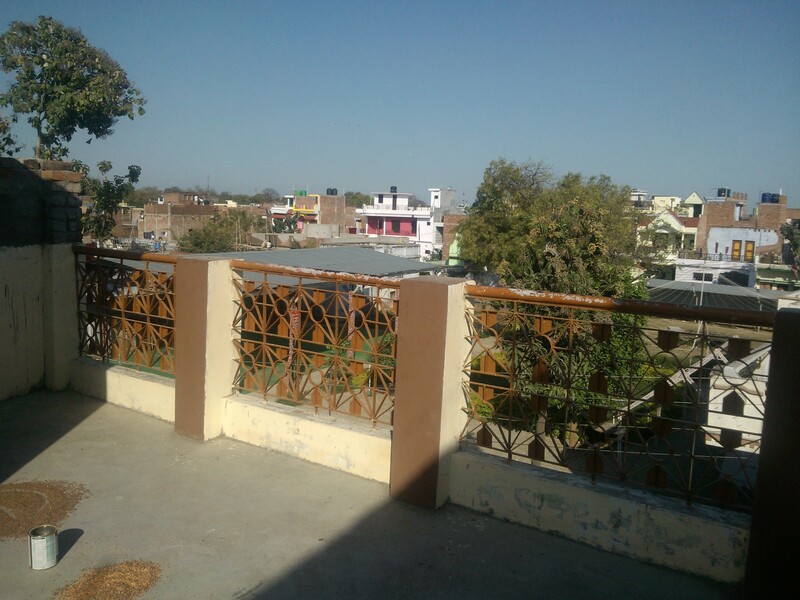 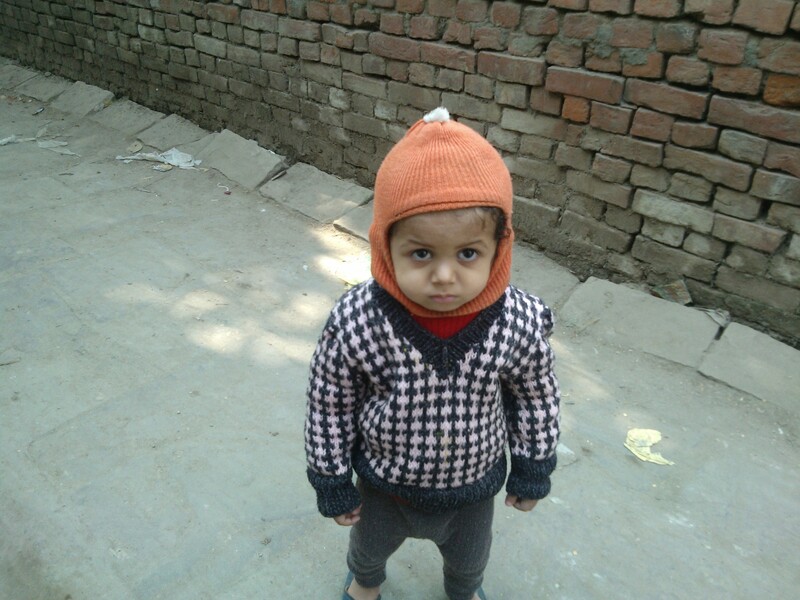 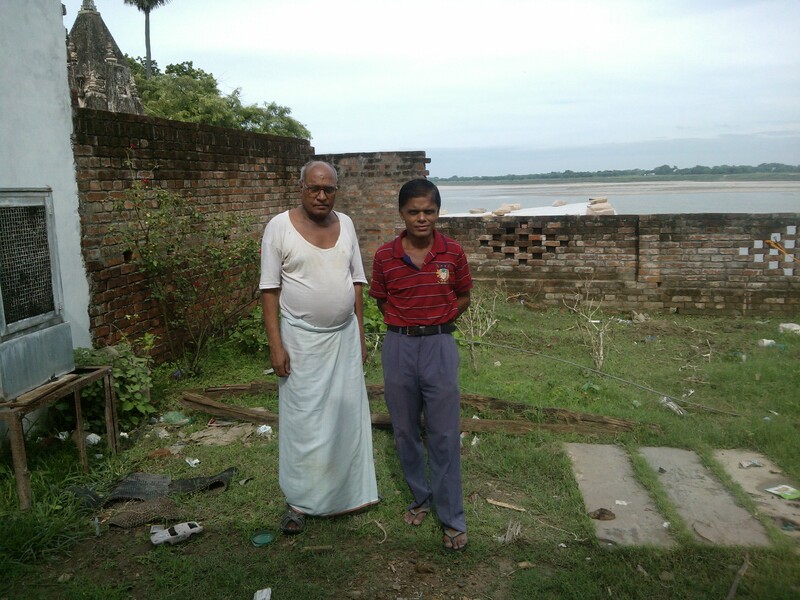 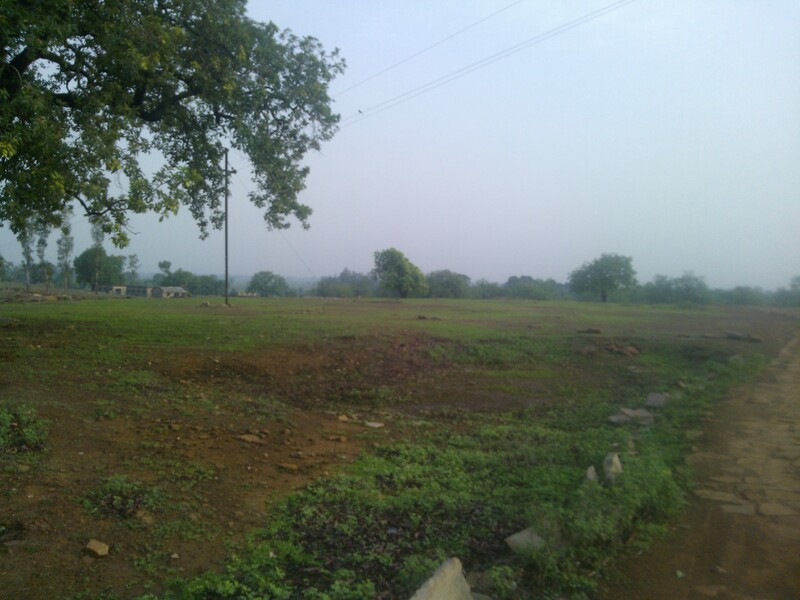 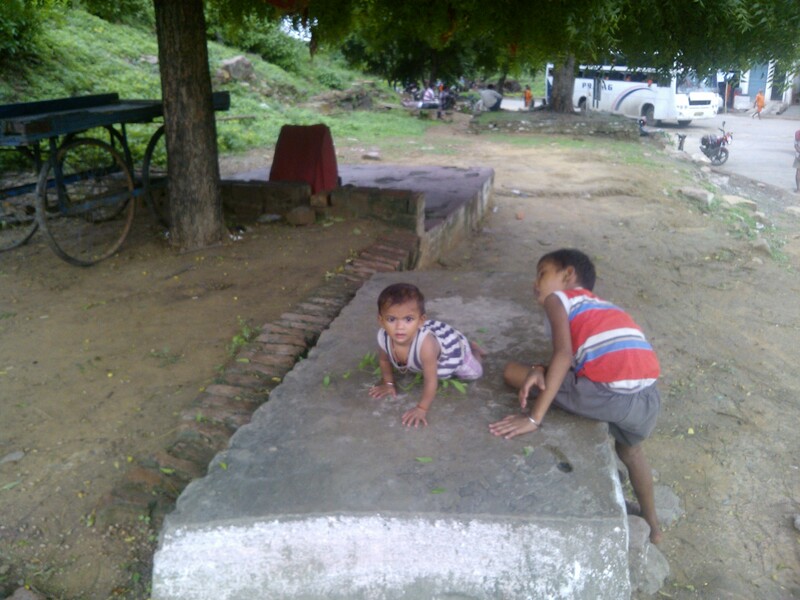 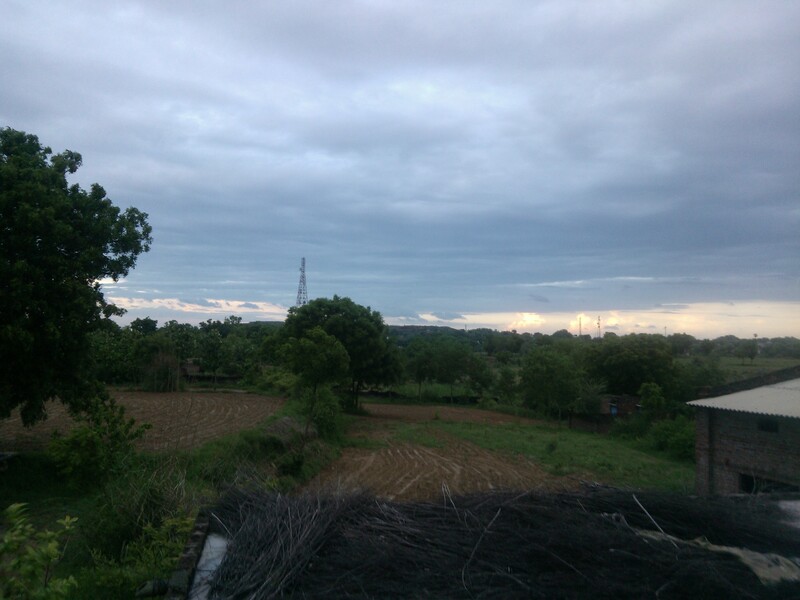 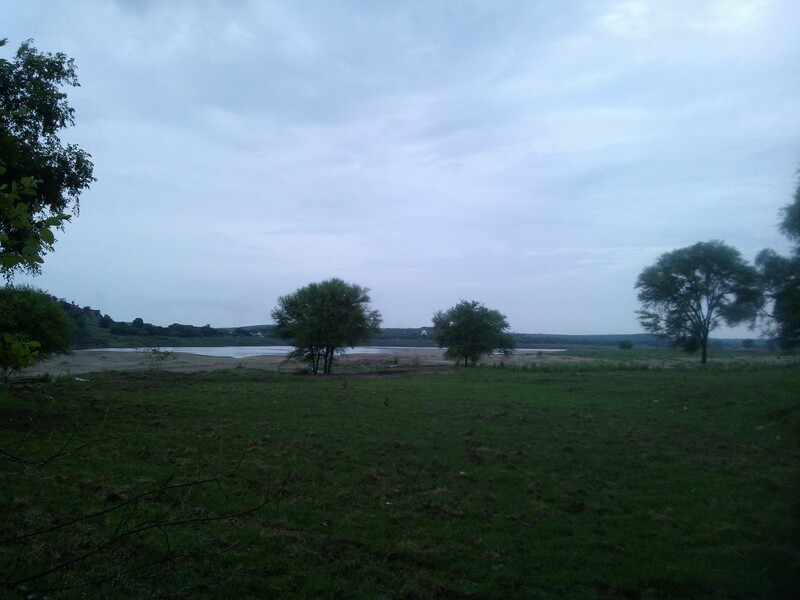 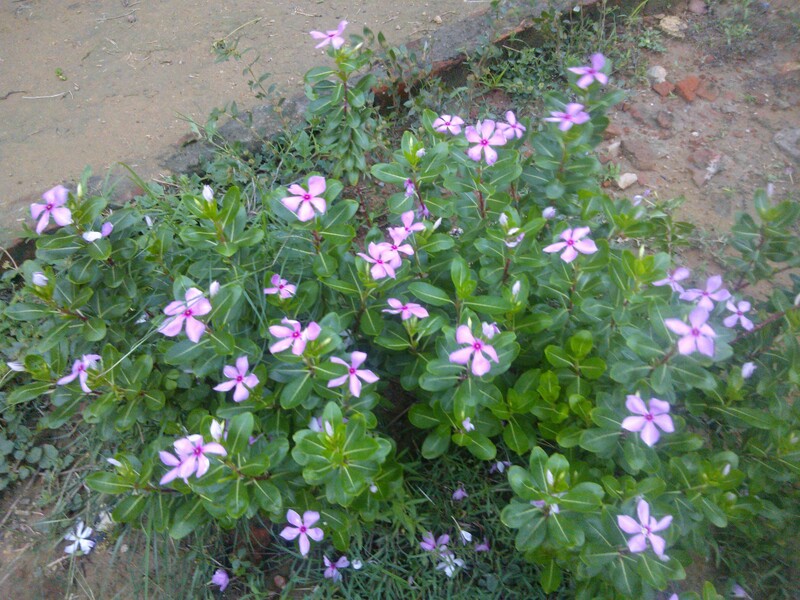 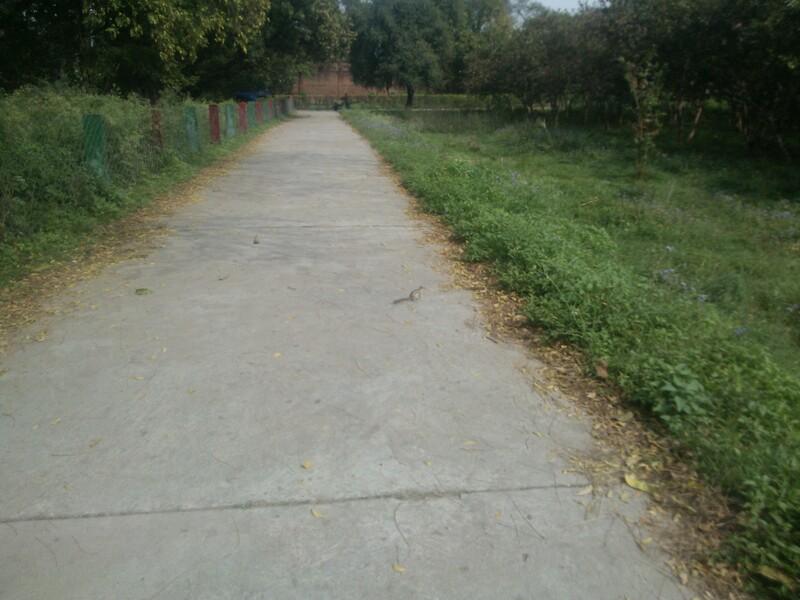 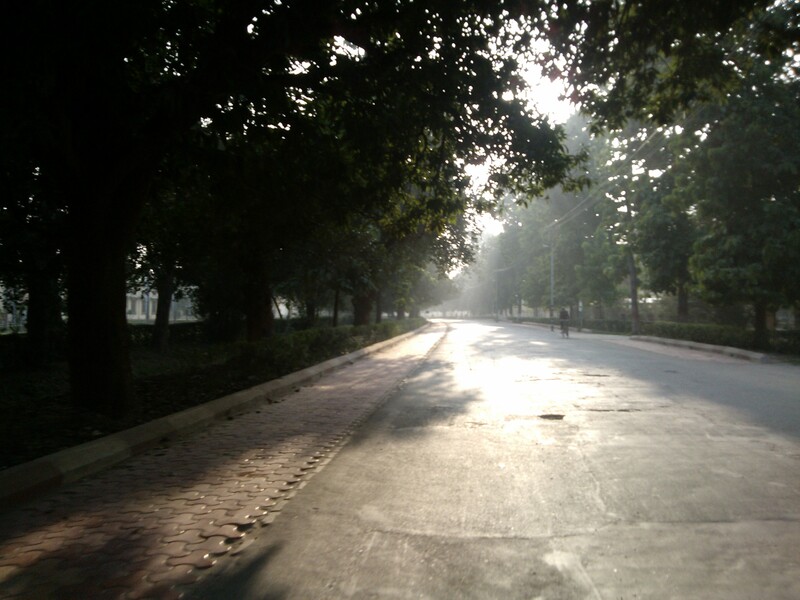 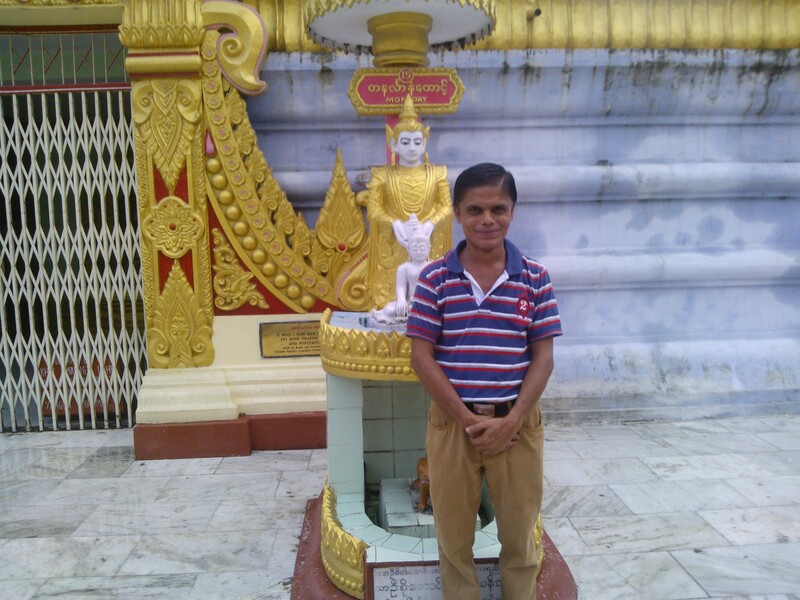 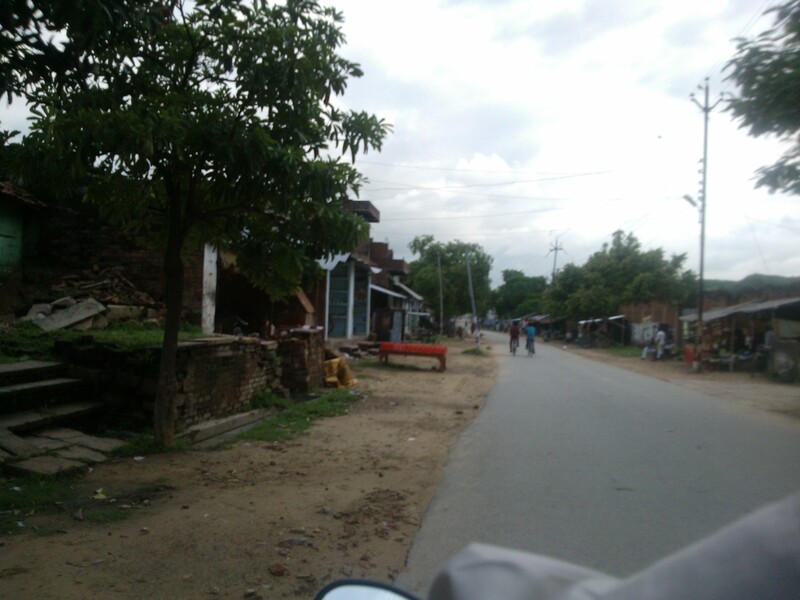 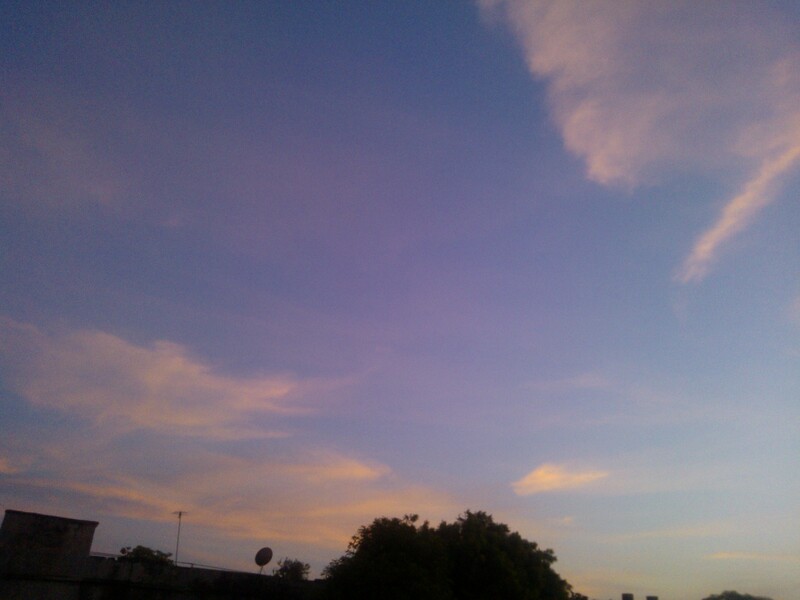 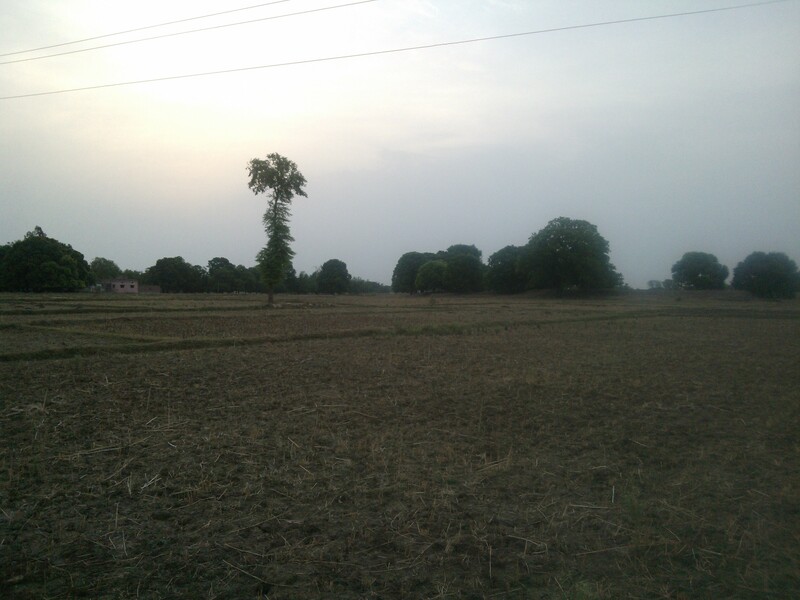 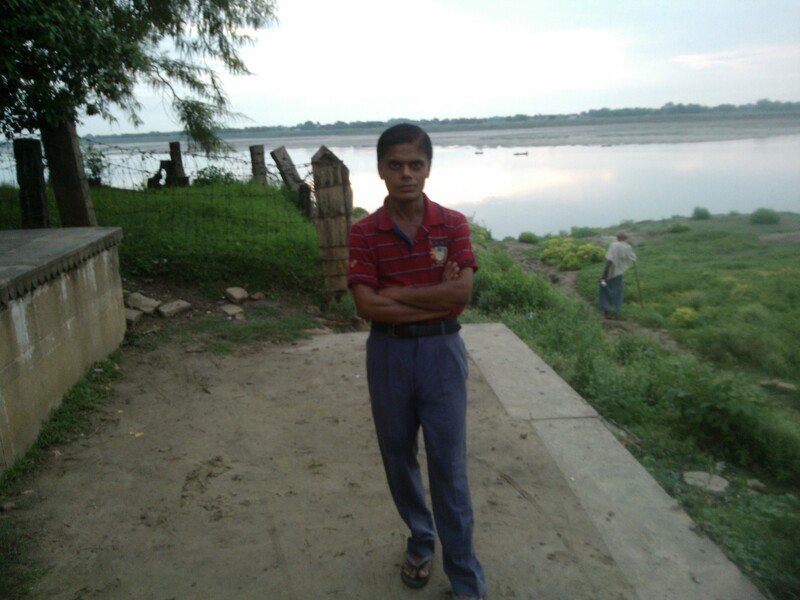 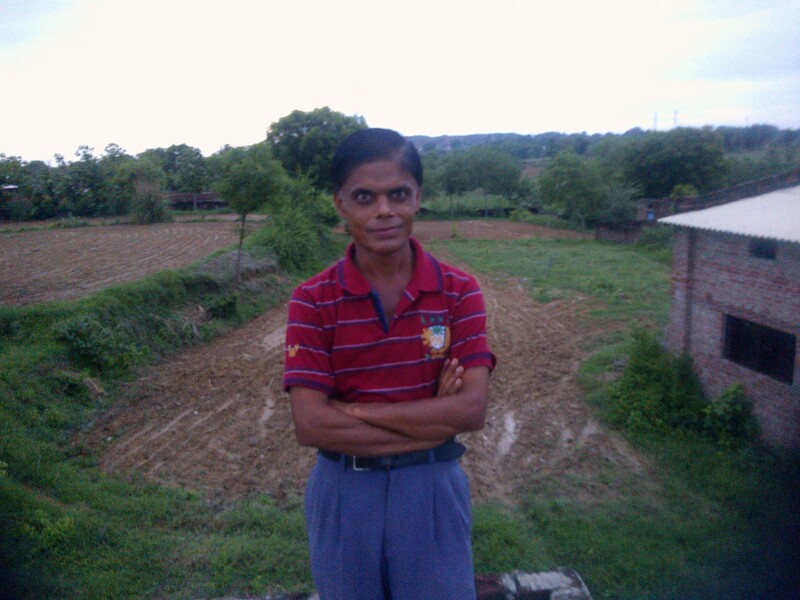 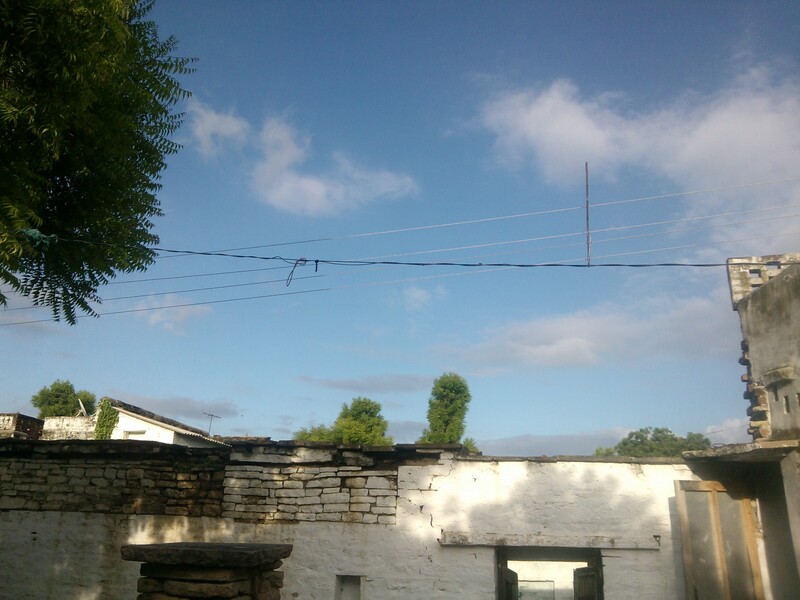 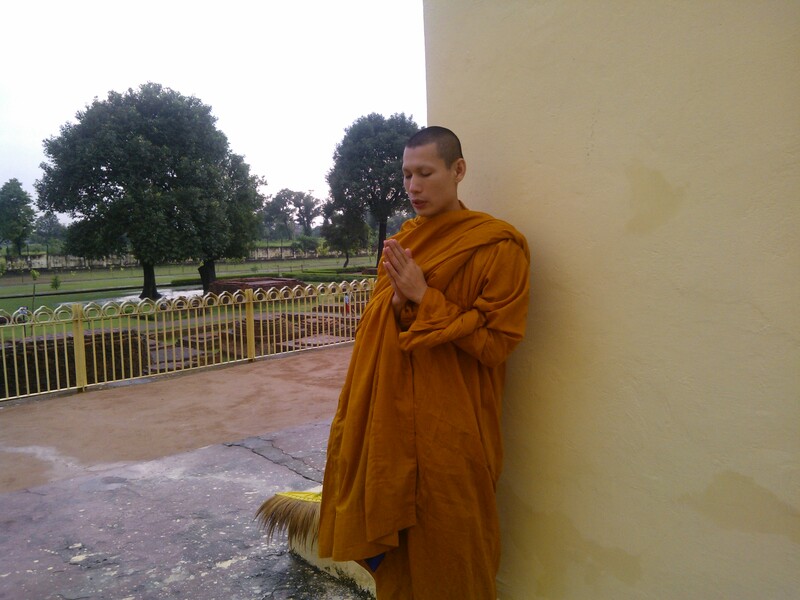 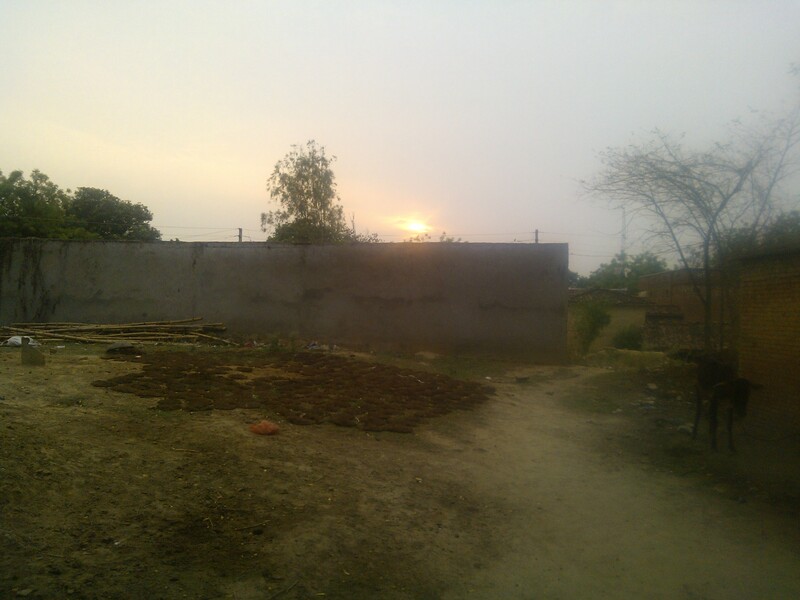 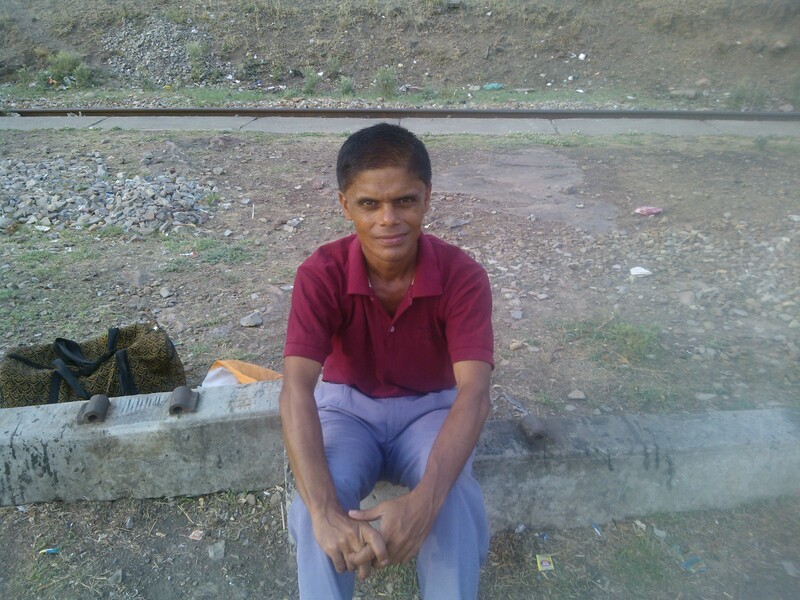 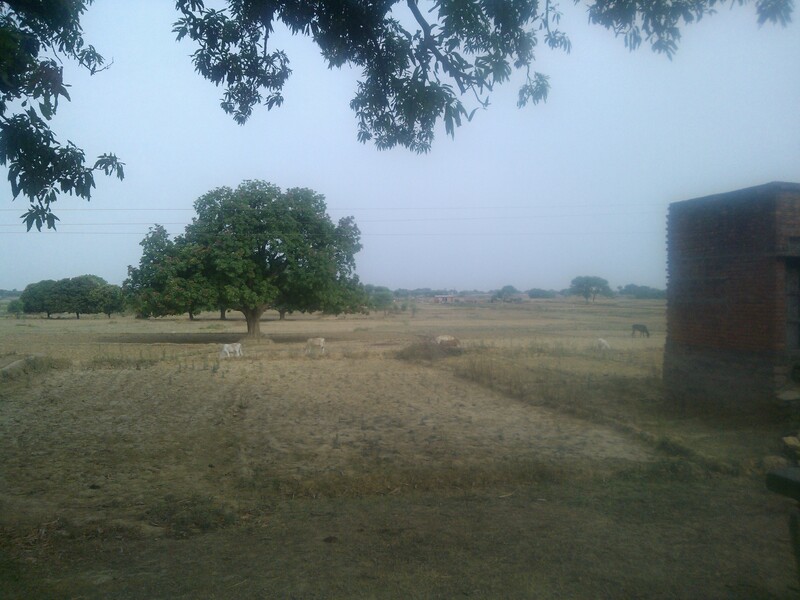 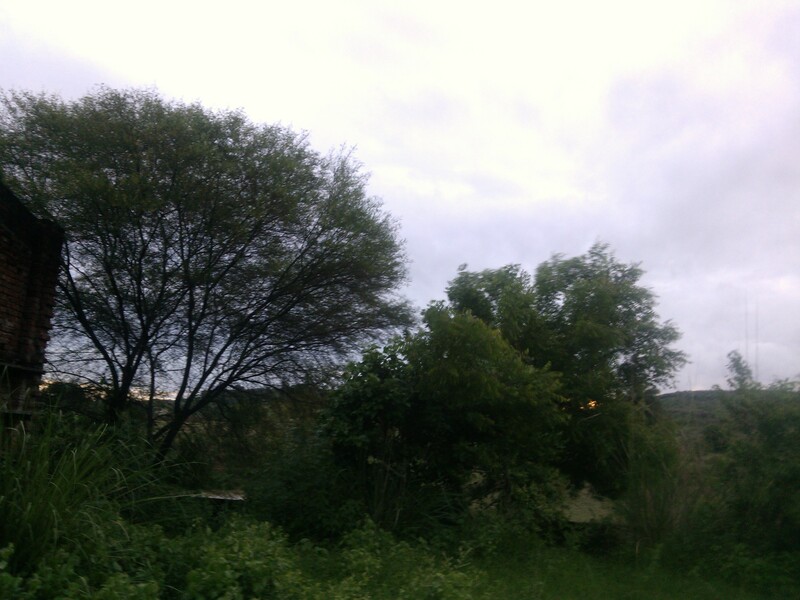 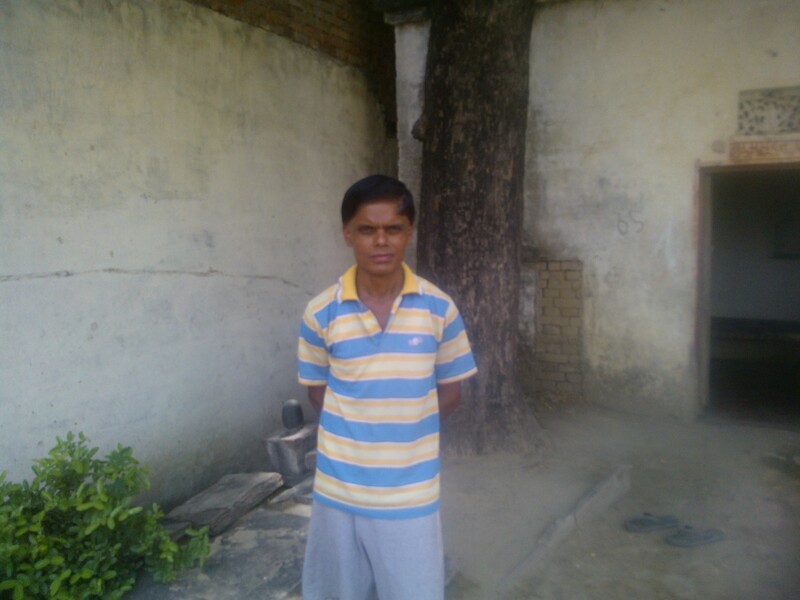 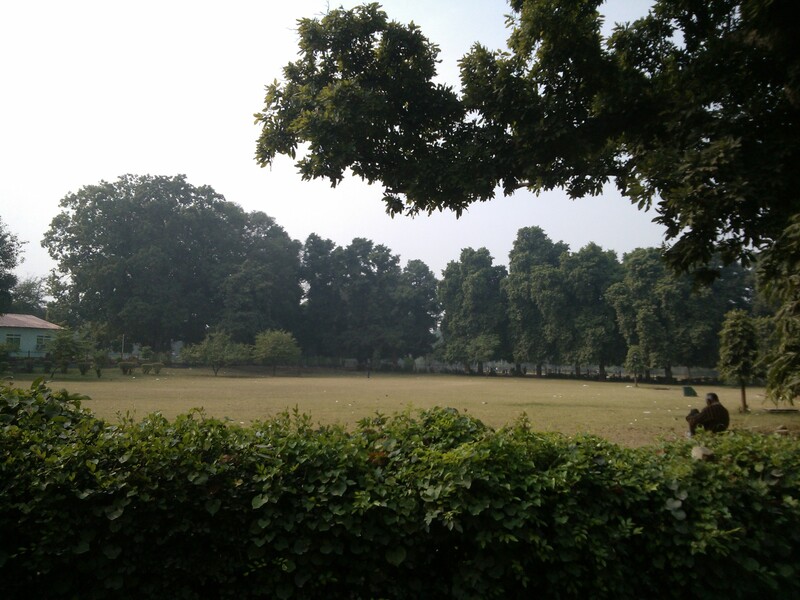 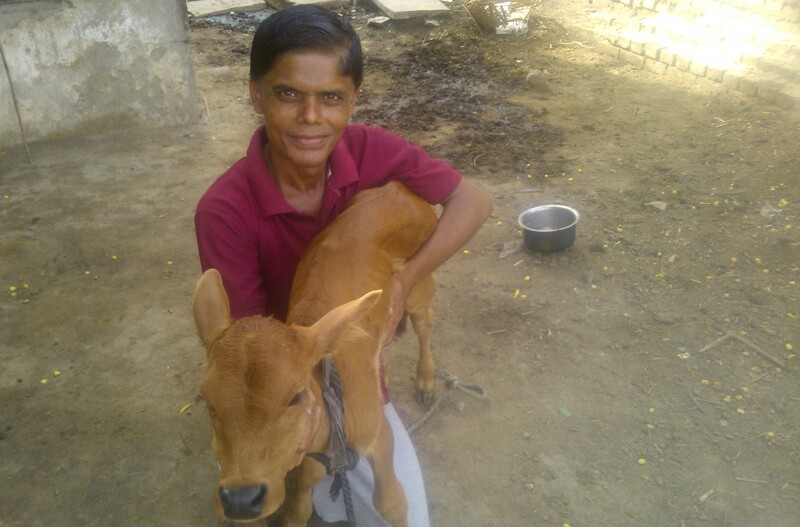 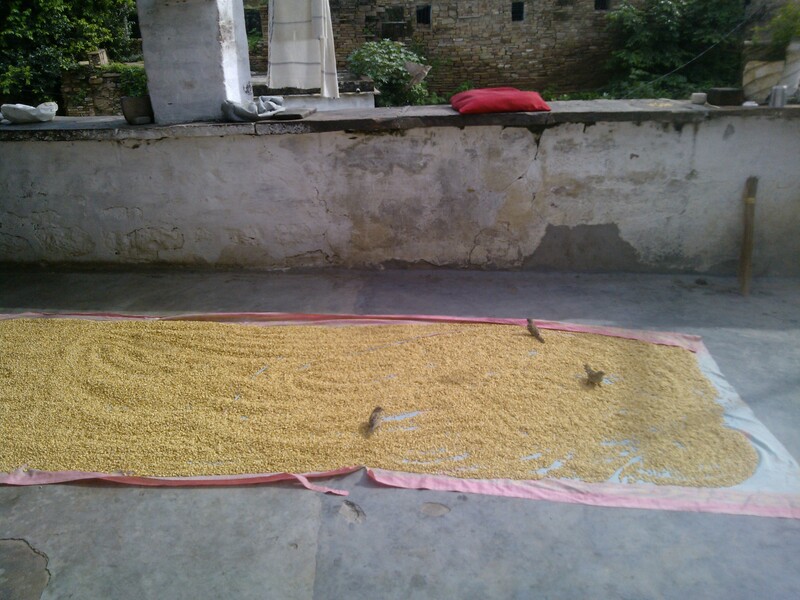 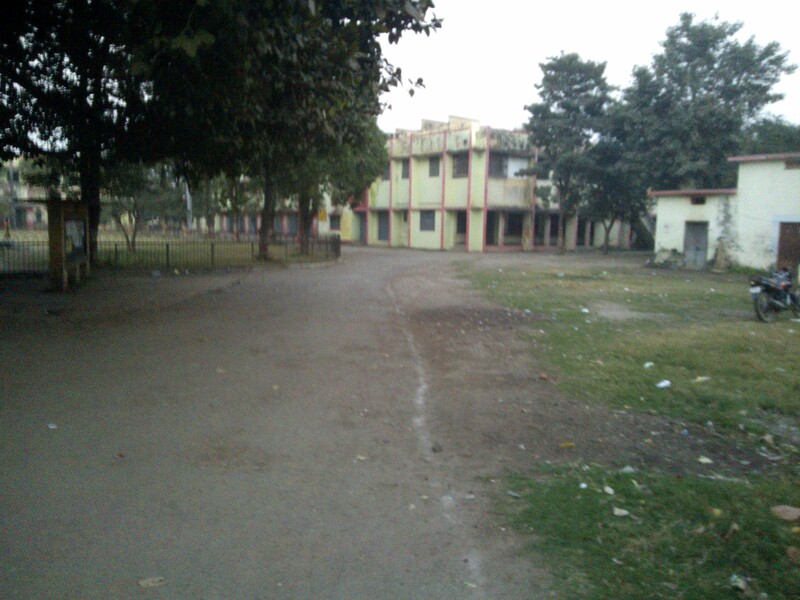 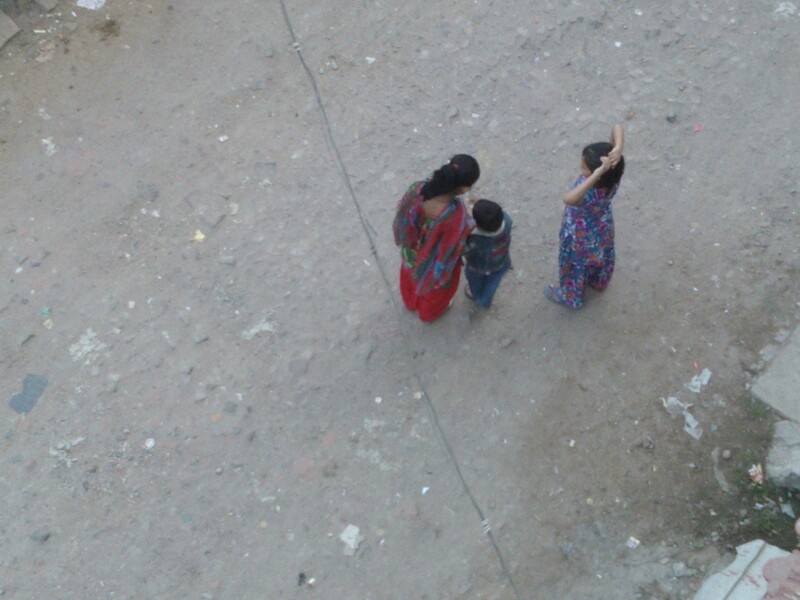 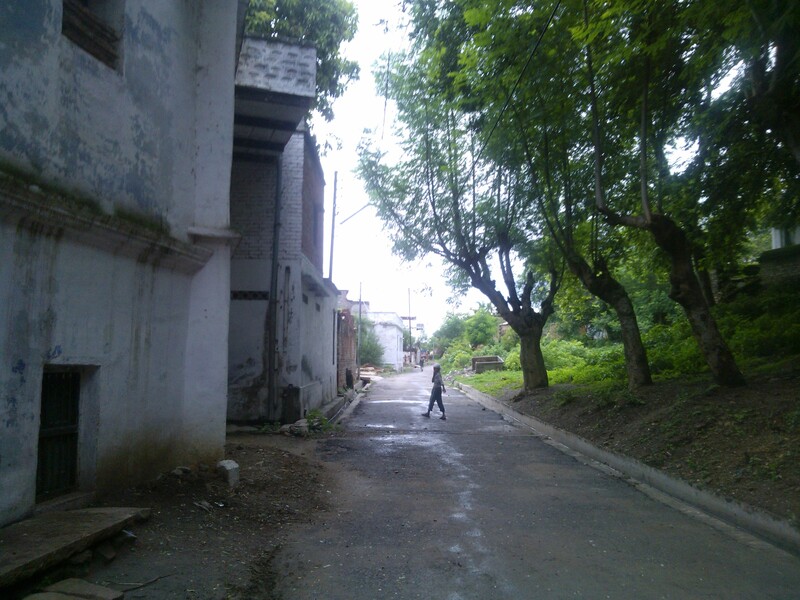 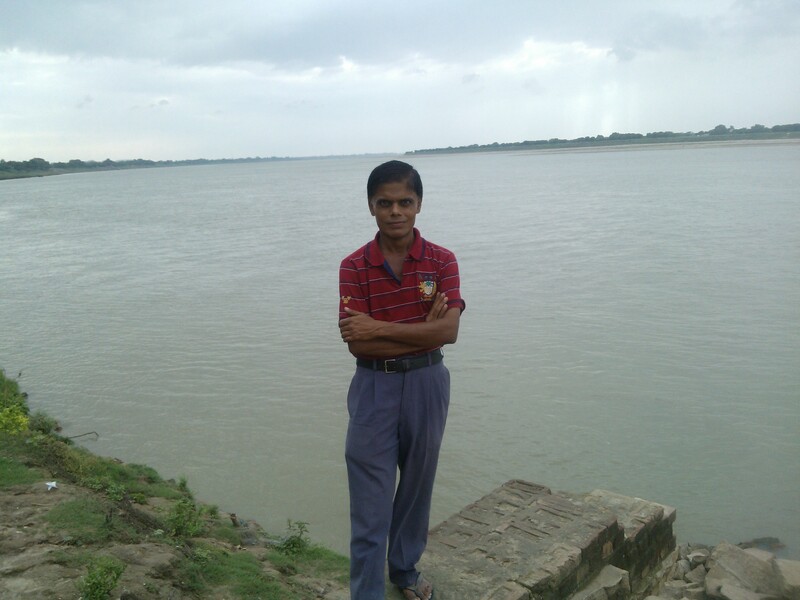 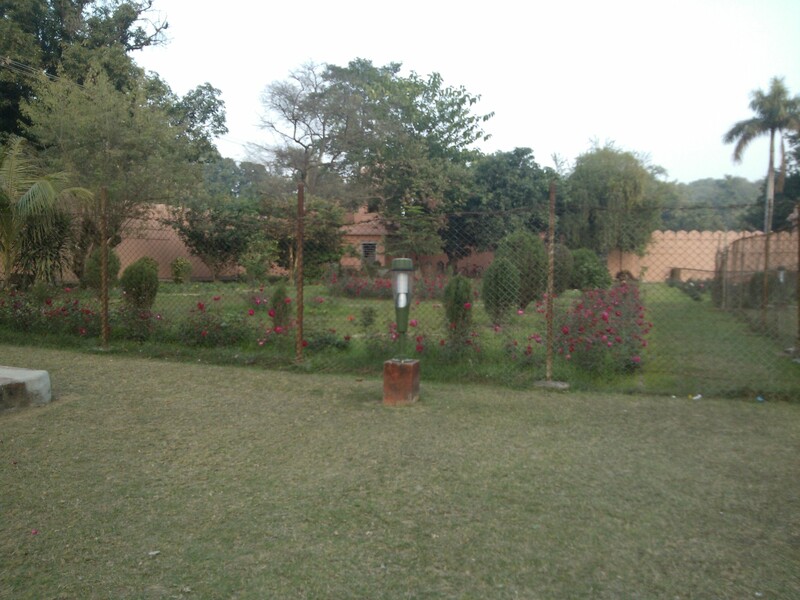 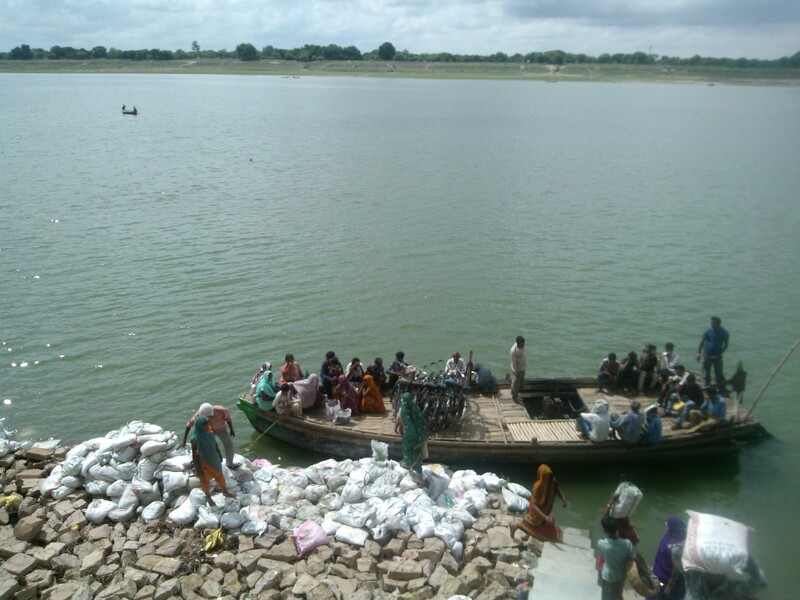 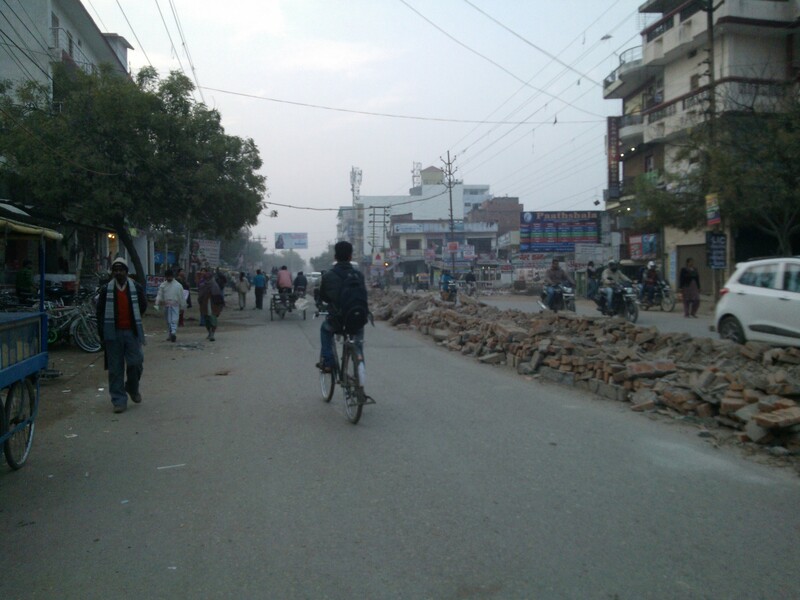 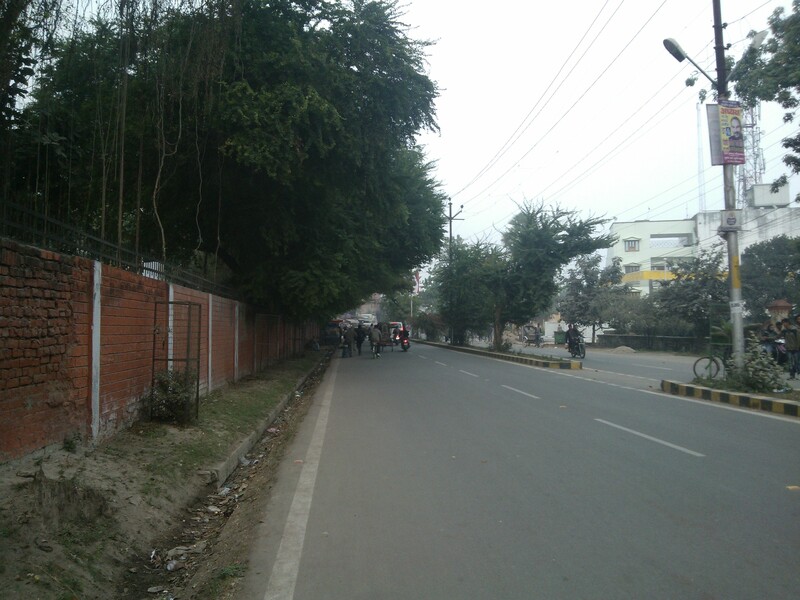 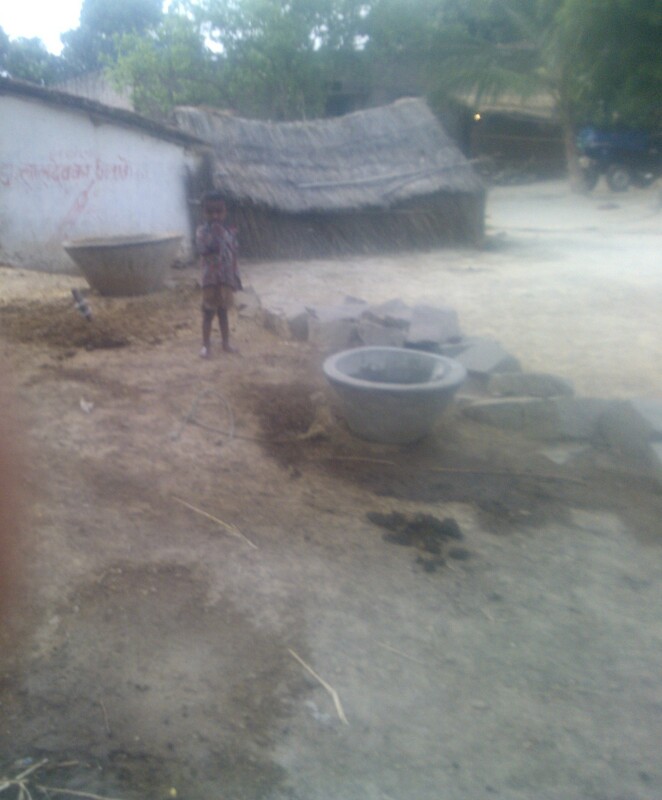 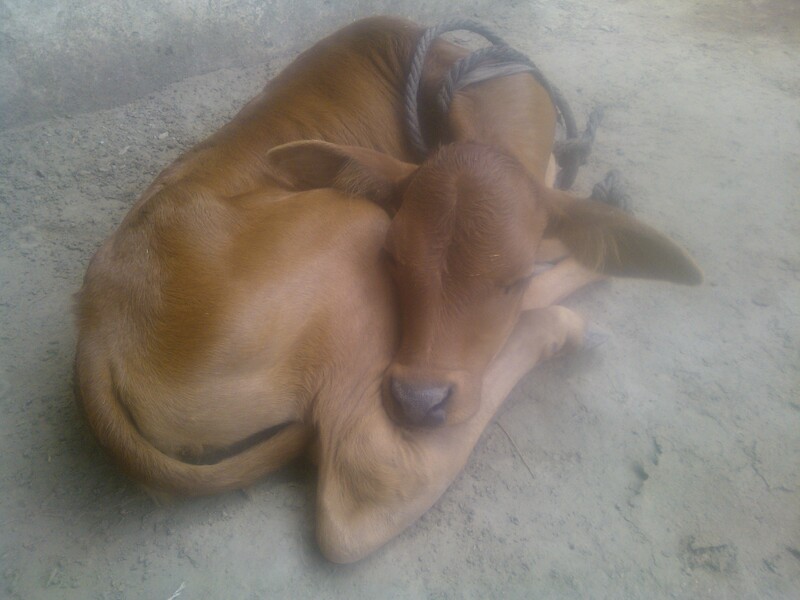 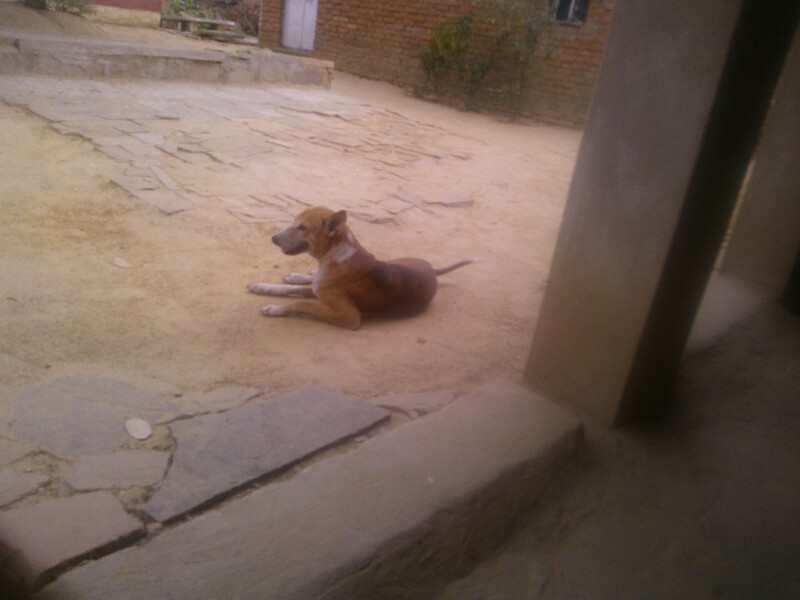 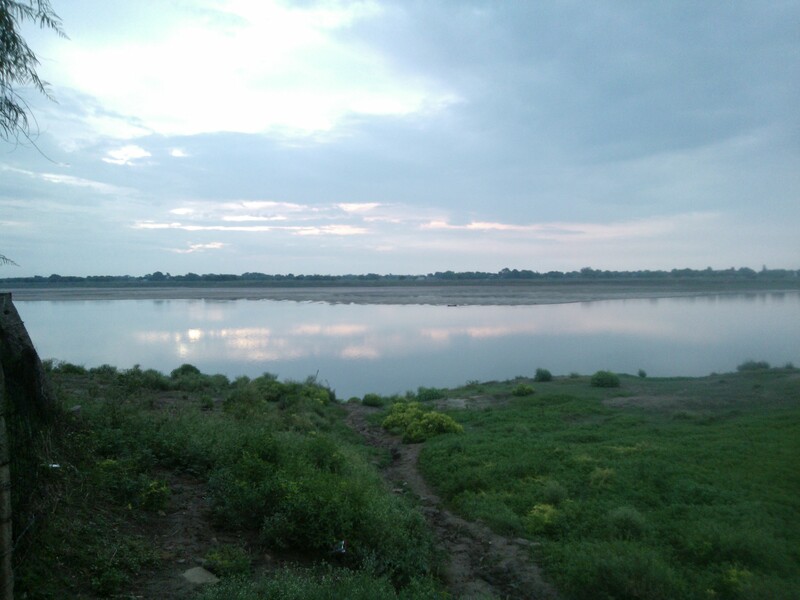 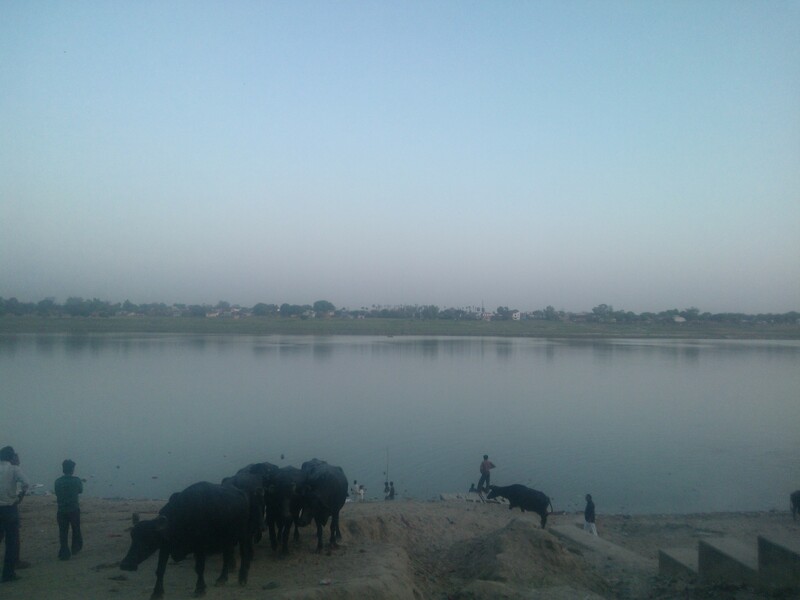 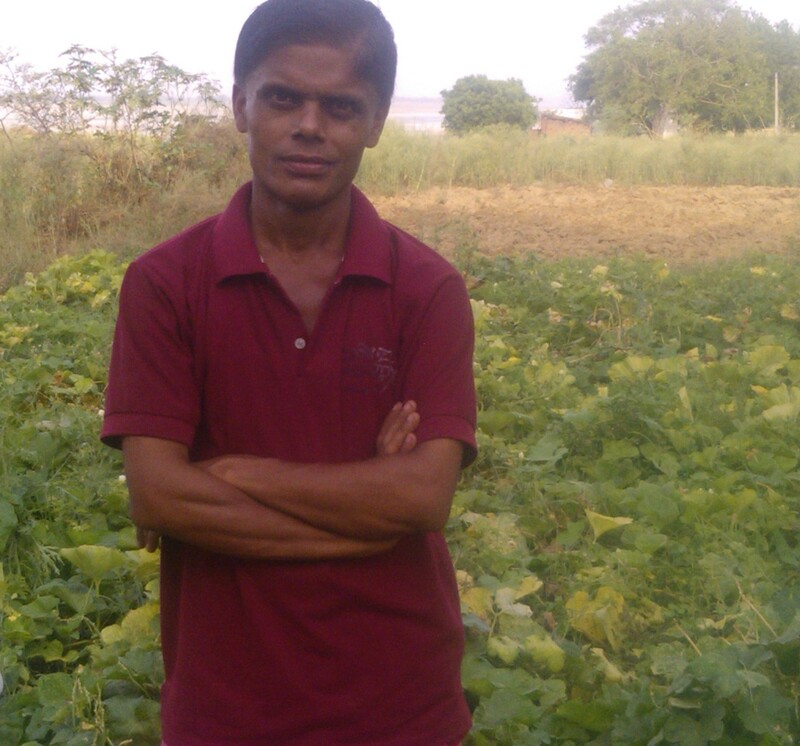 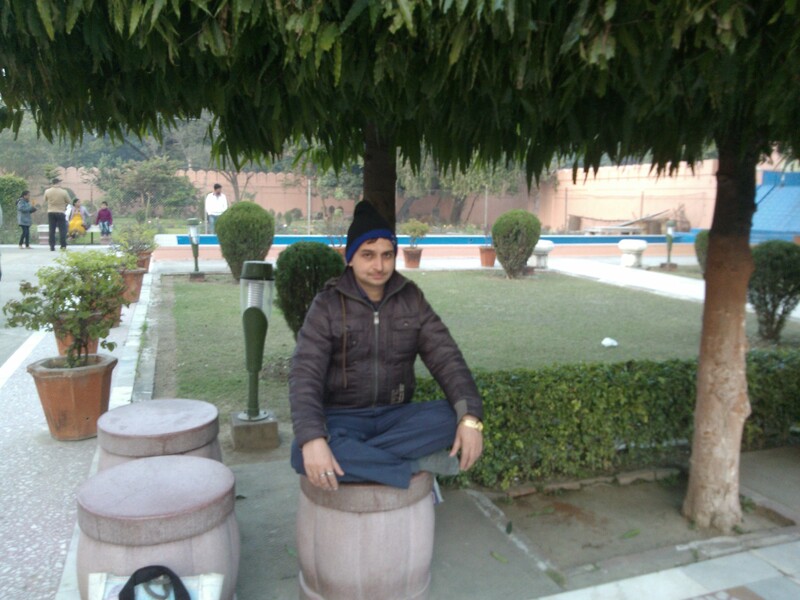 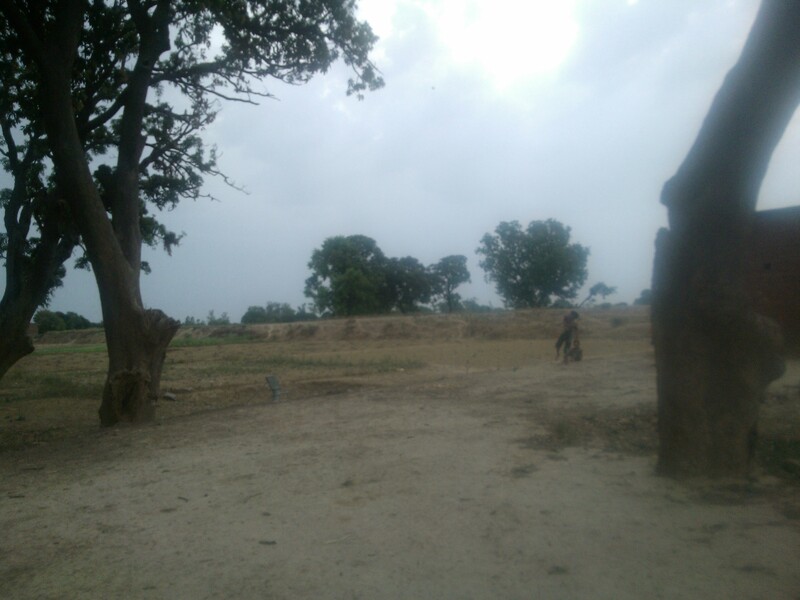 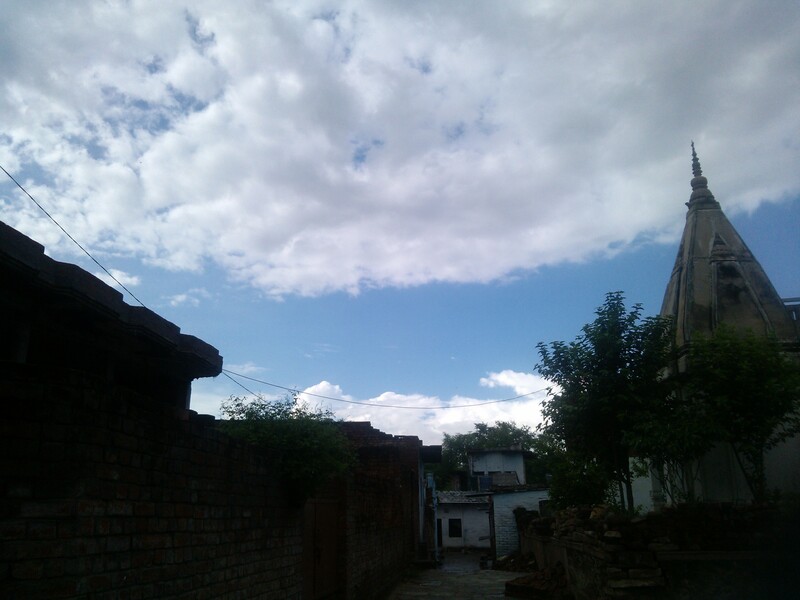 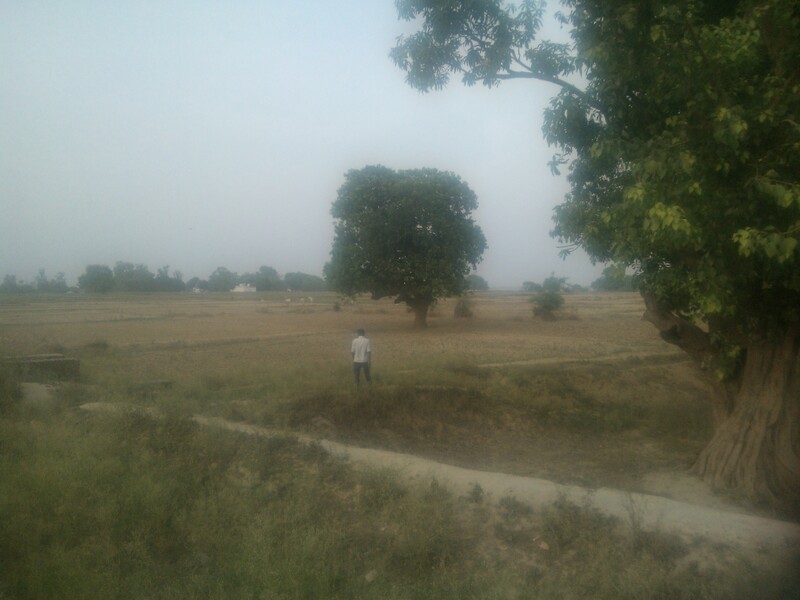 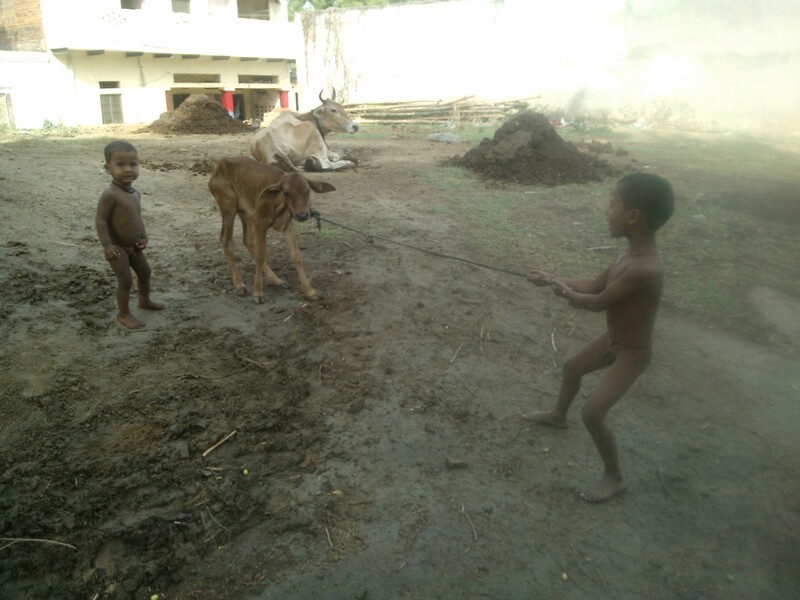 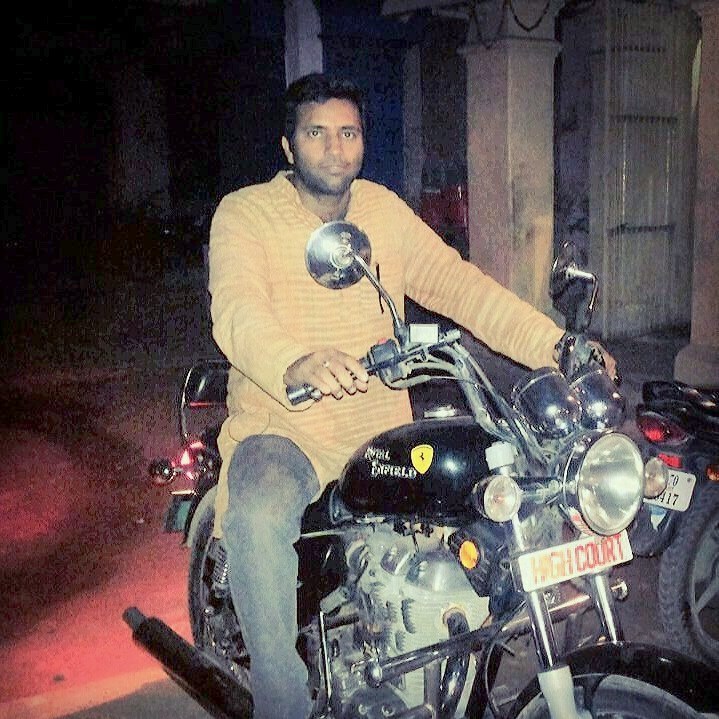 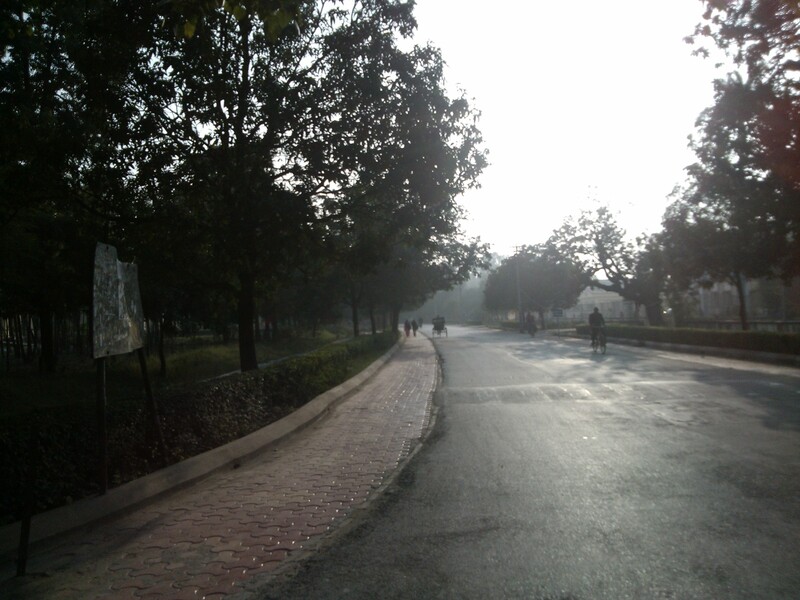 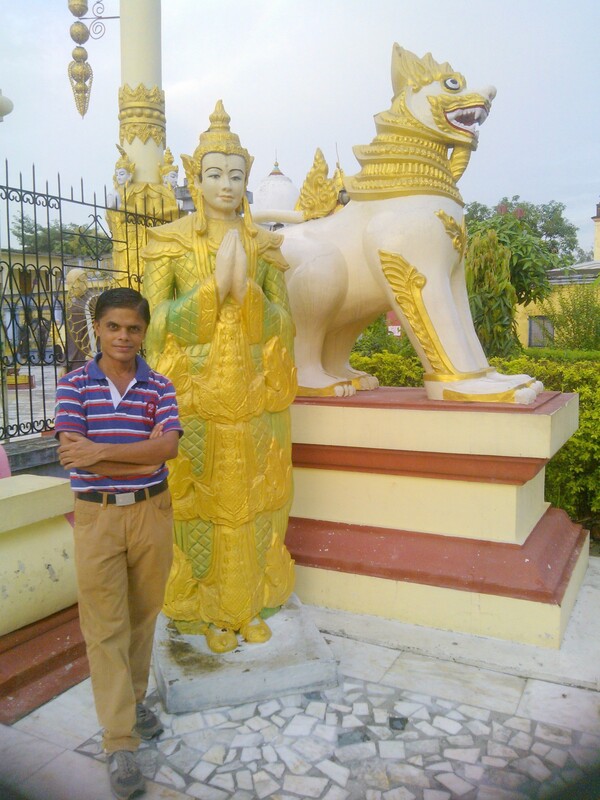 Morning Hours In My Village…. 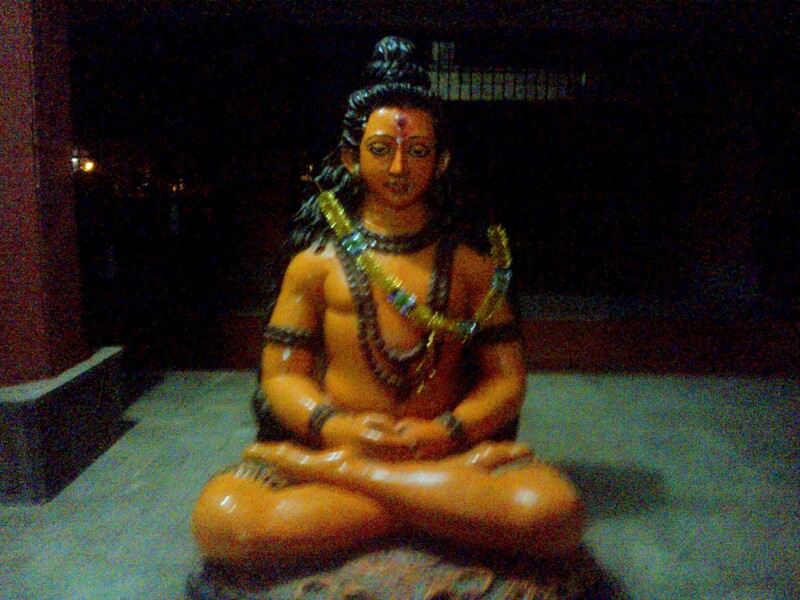 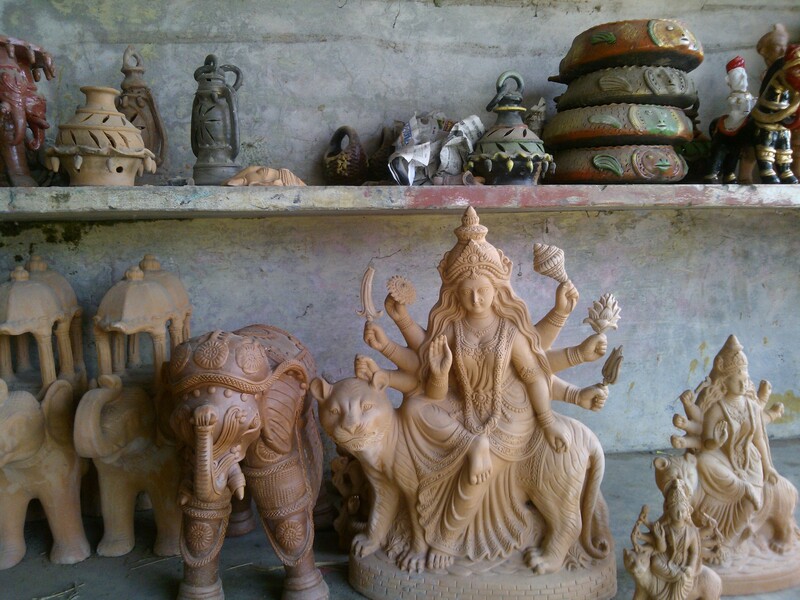 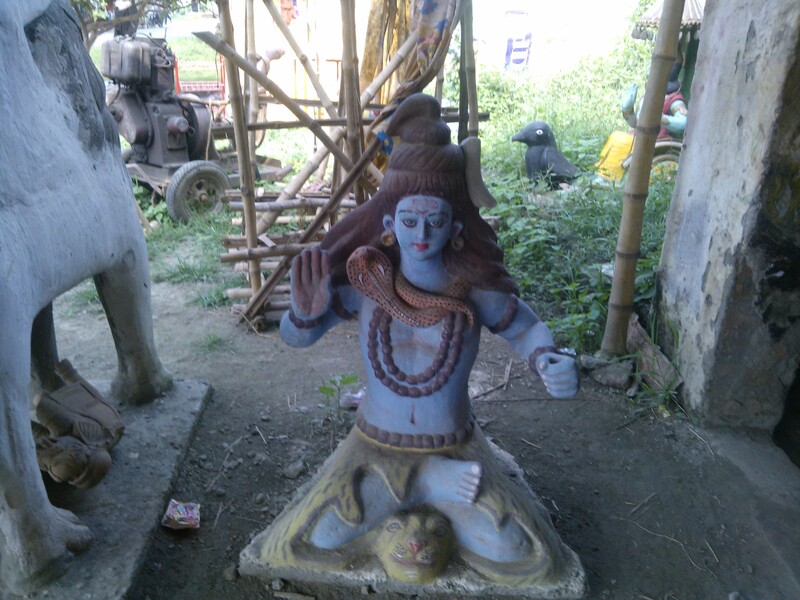 Small Shiva Temple At My Old Village Home!! 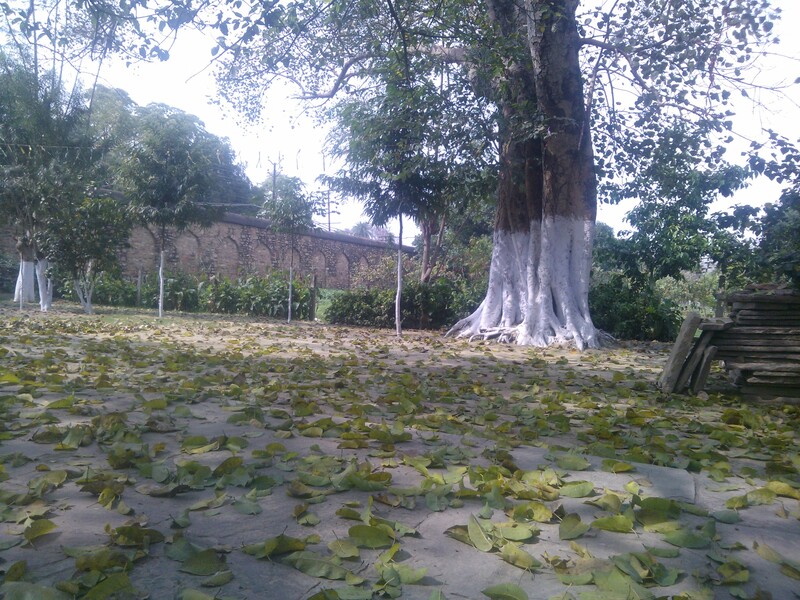 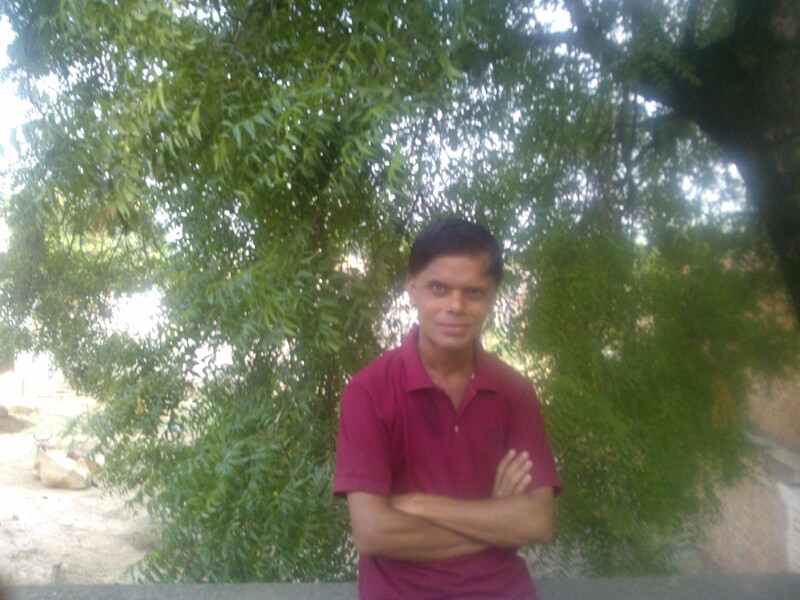 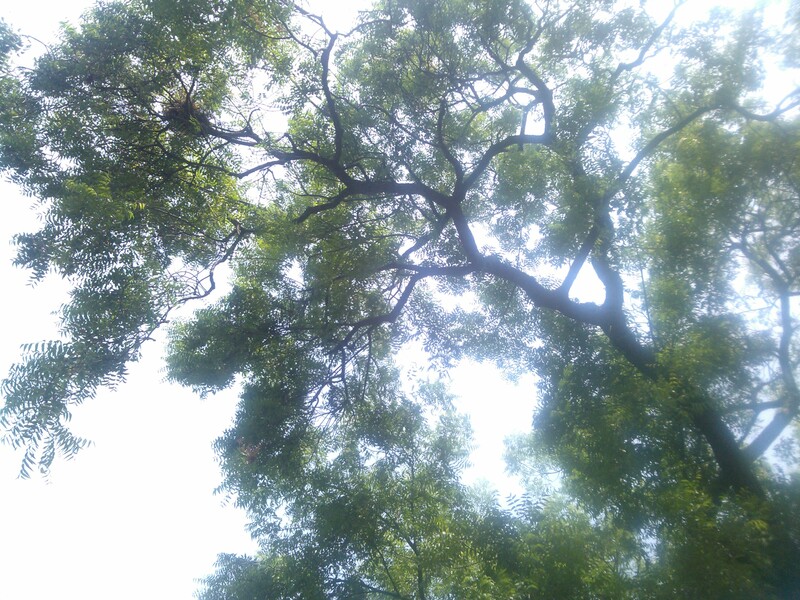 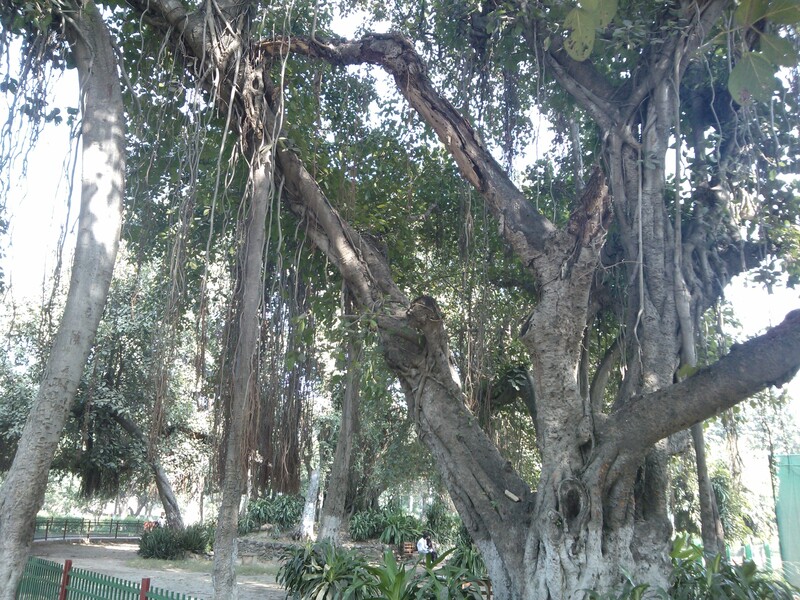 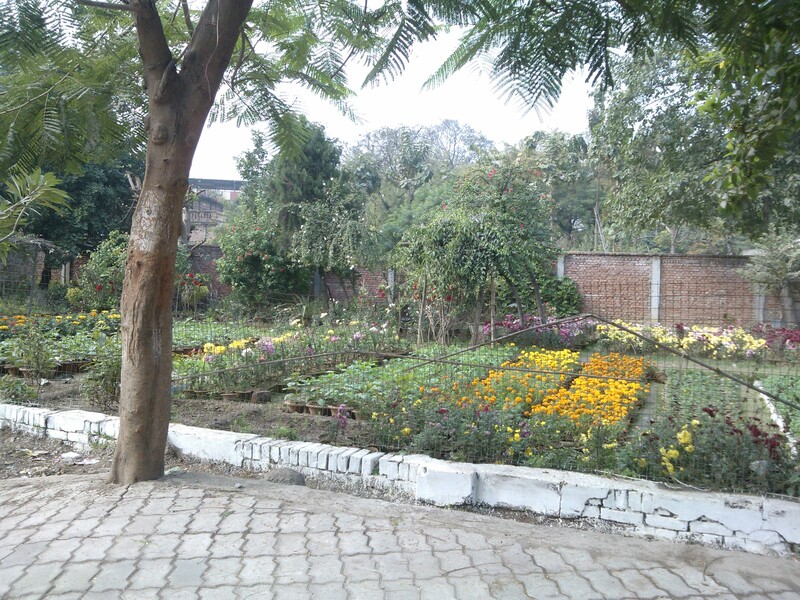 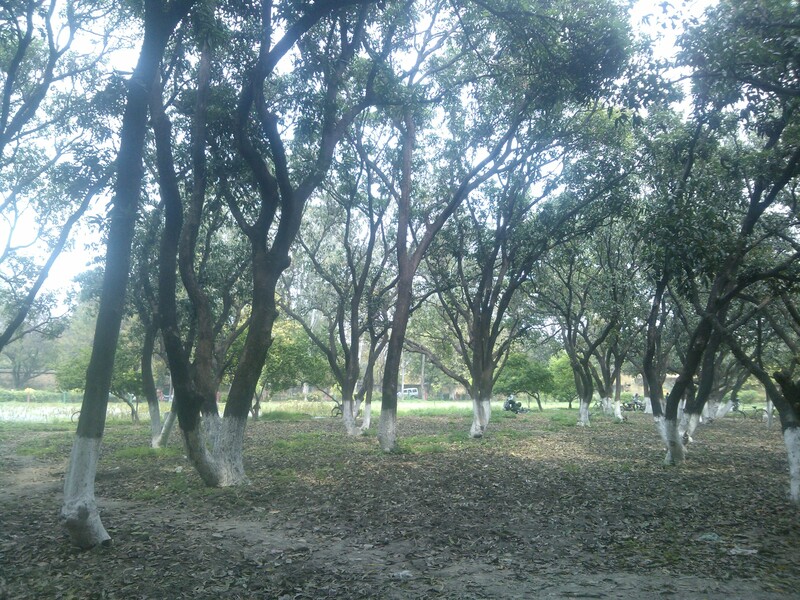 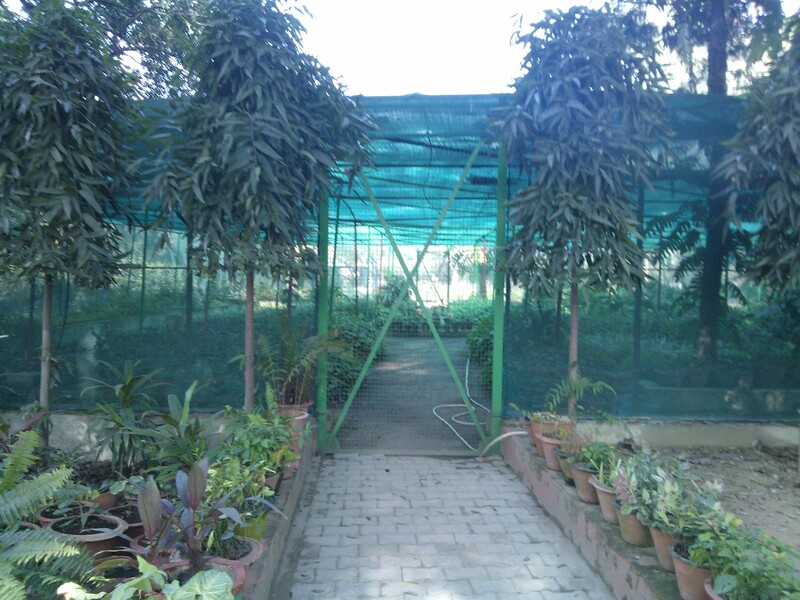 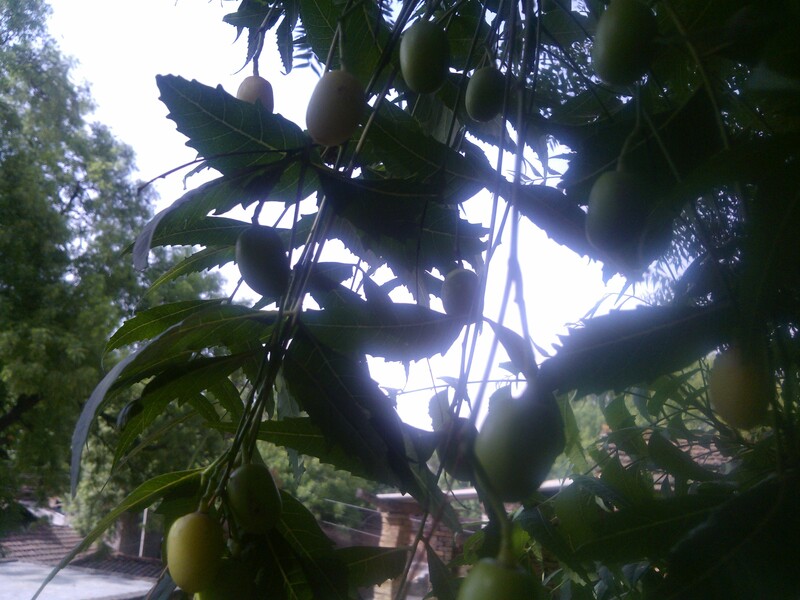 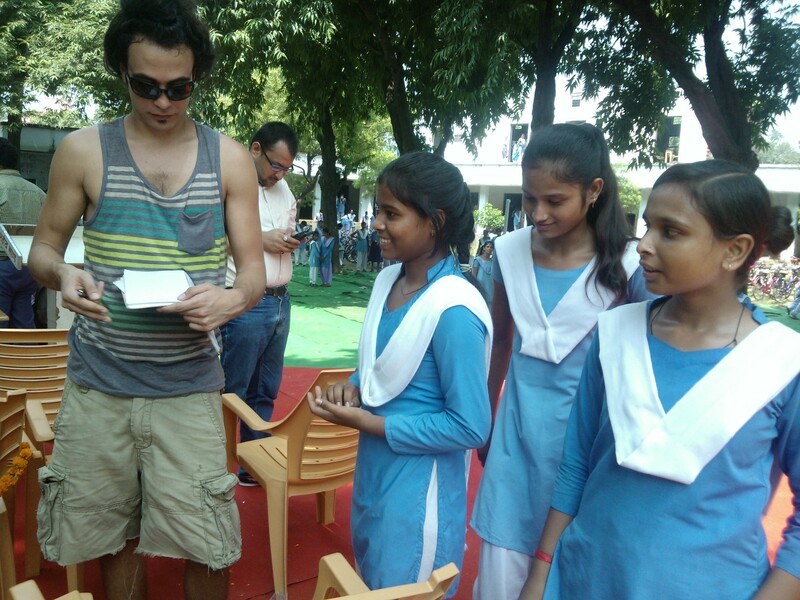 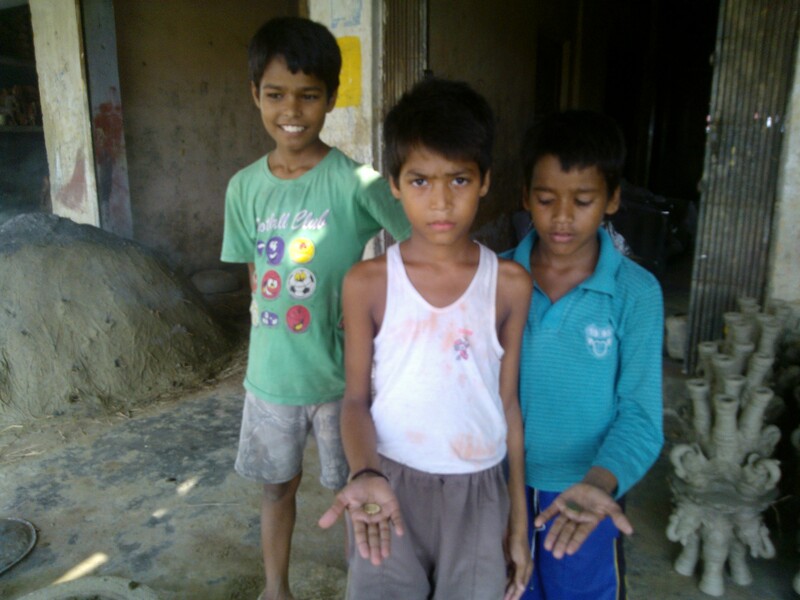 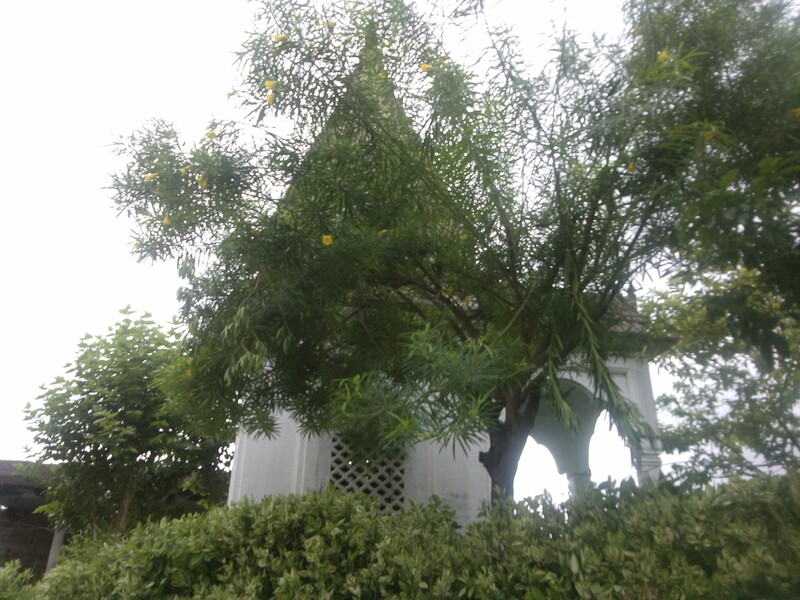 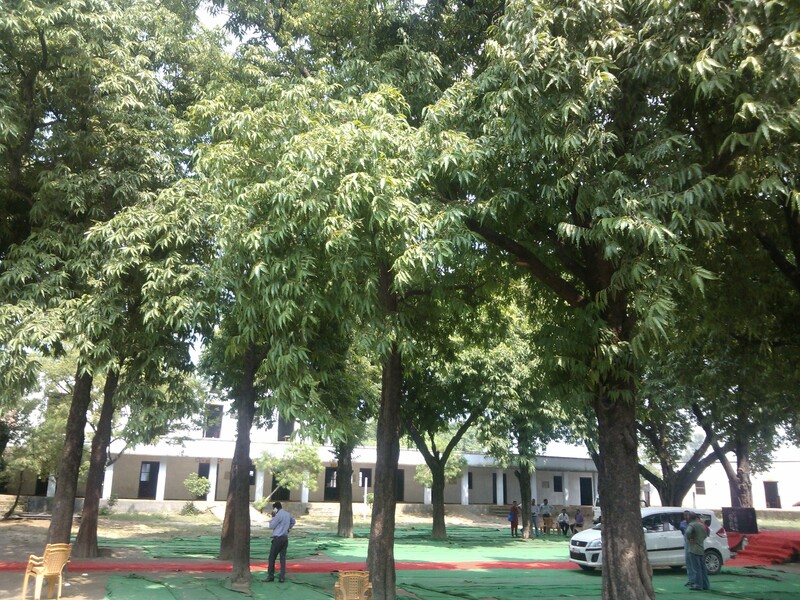 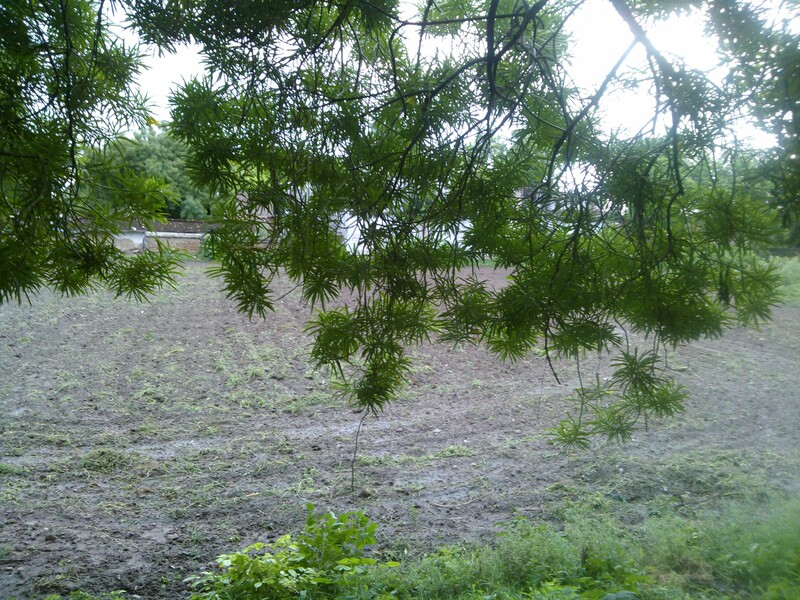 Under The Shade Of My Neem Tree…. 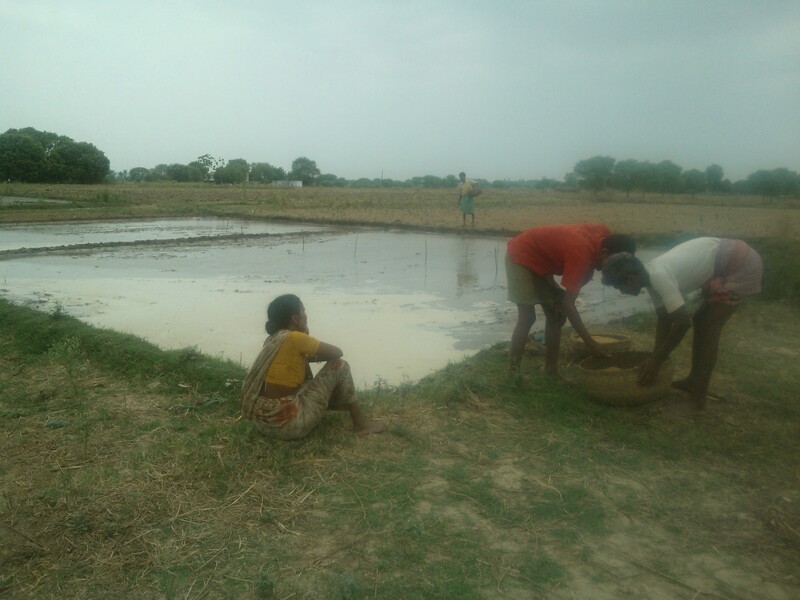 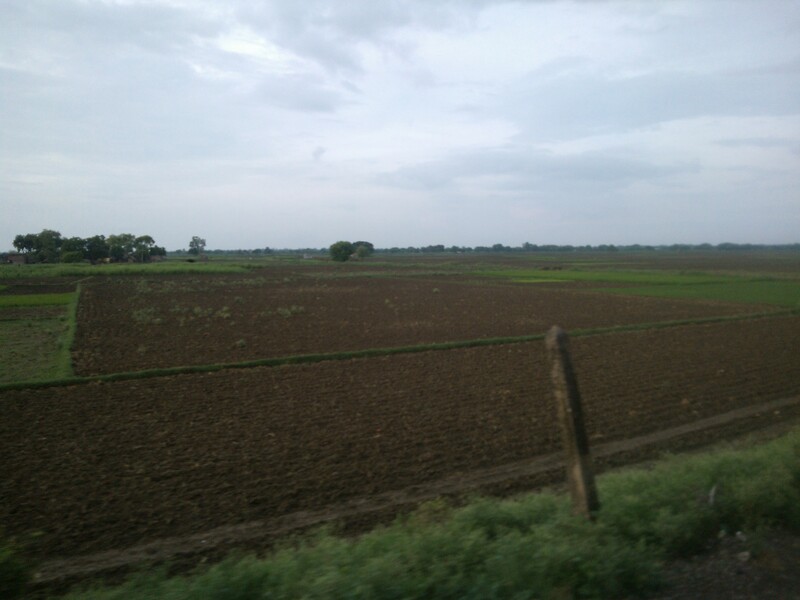 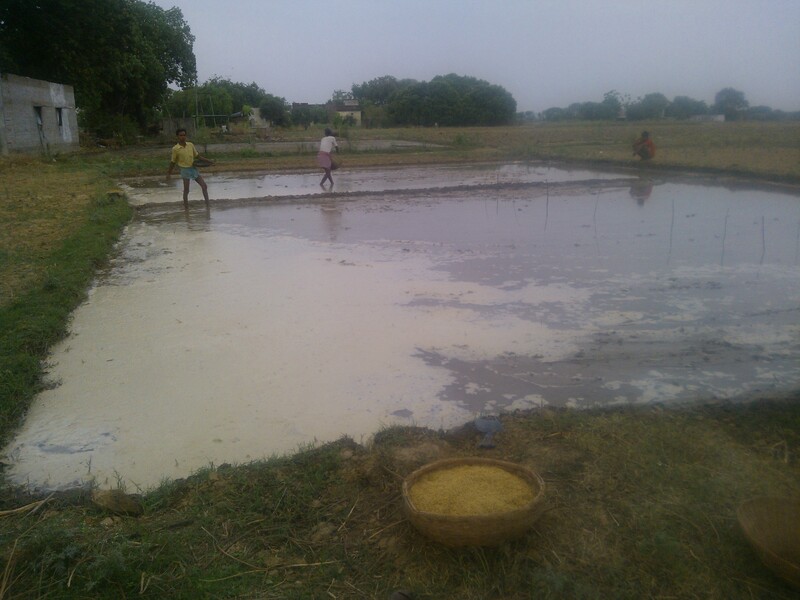 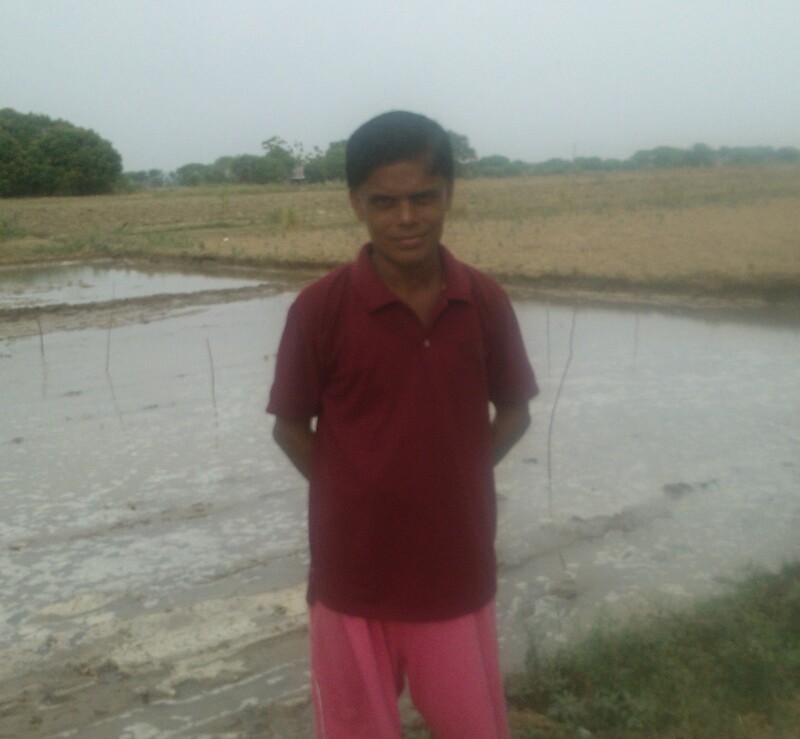 Rice Cultivation Is In Process On My Fields…. 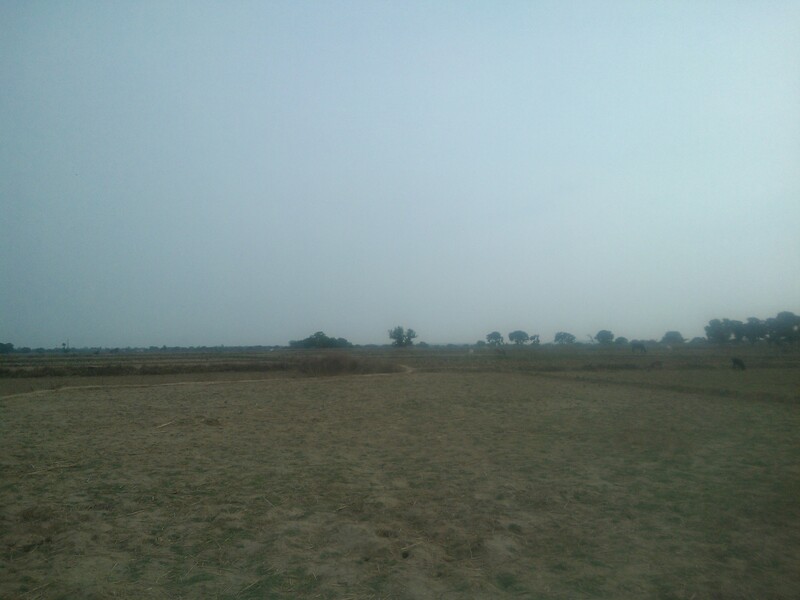 Imagine A Cricket Pitch Right In The Middle Of This Vast Land 🙂 In fact, we played cricket on one such pitch even as the sun came to breathe fire!! 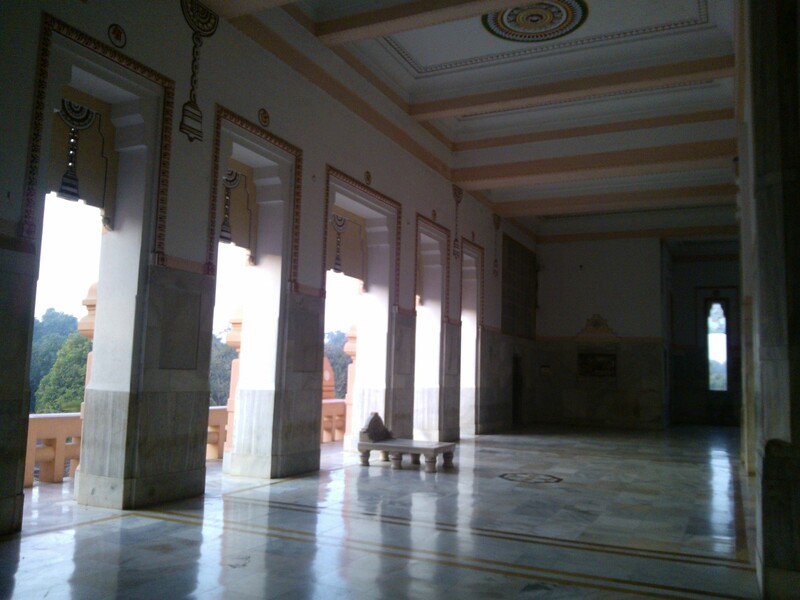 Imagine the silence which hits such places…. 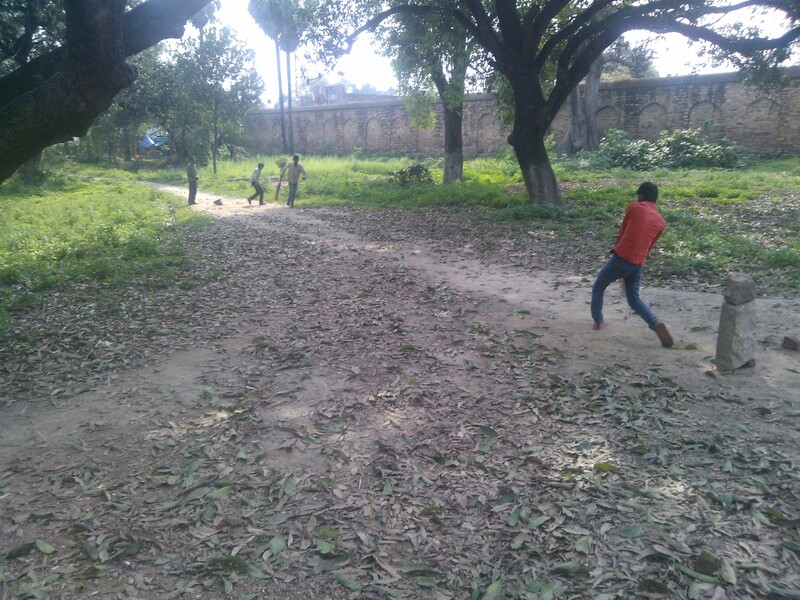 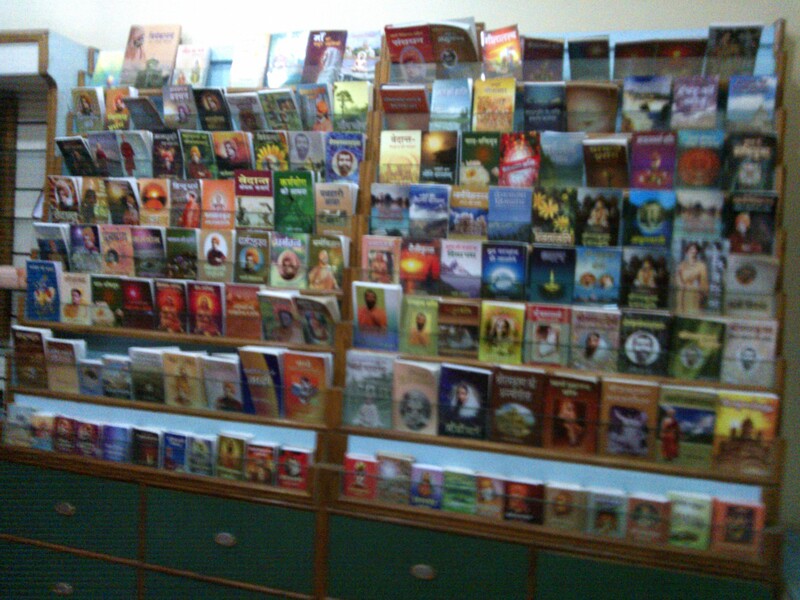 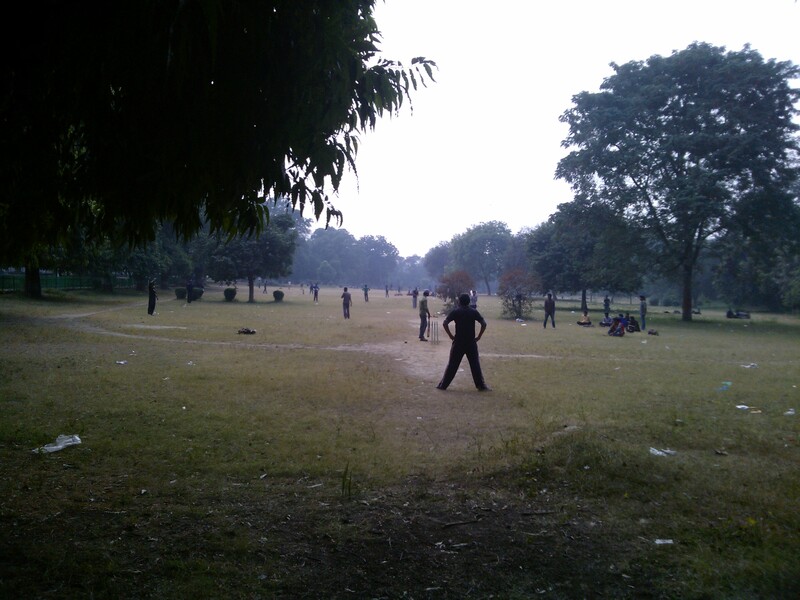 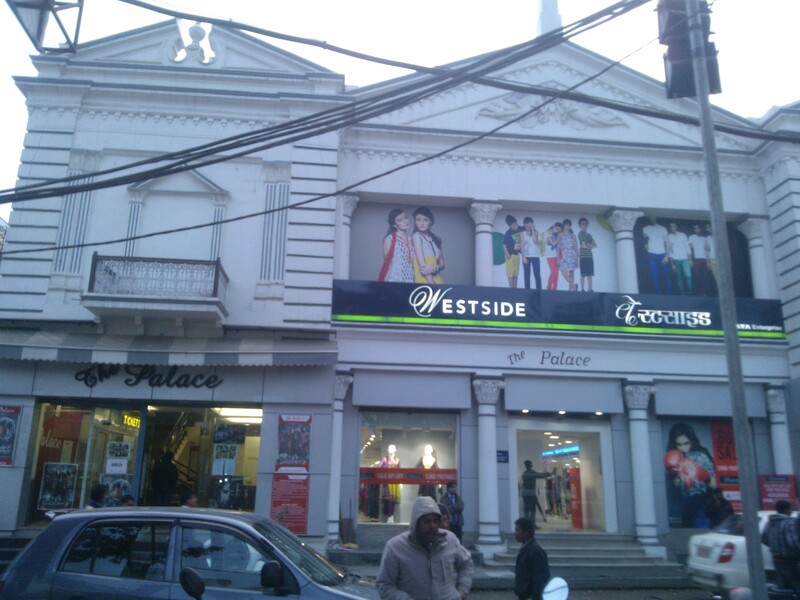 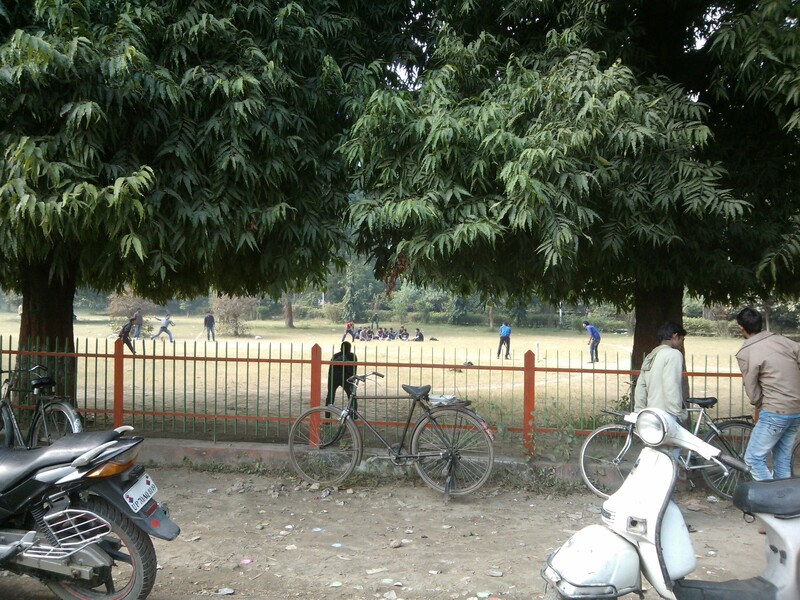 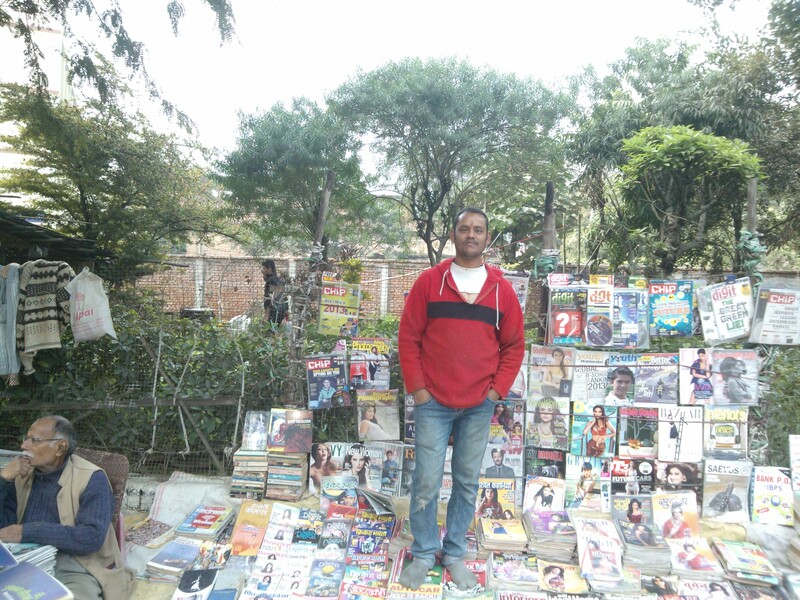 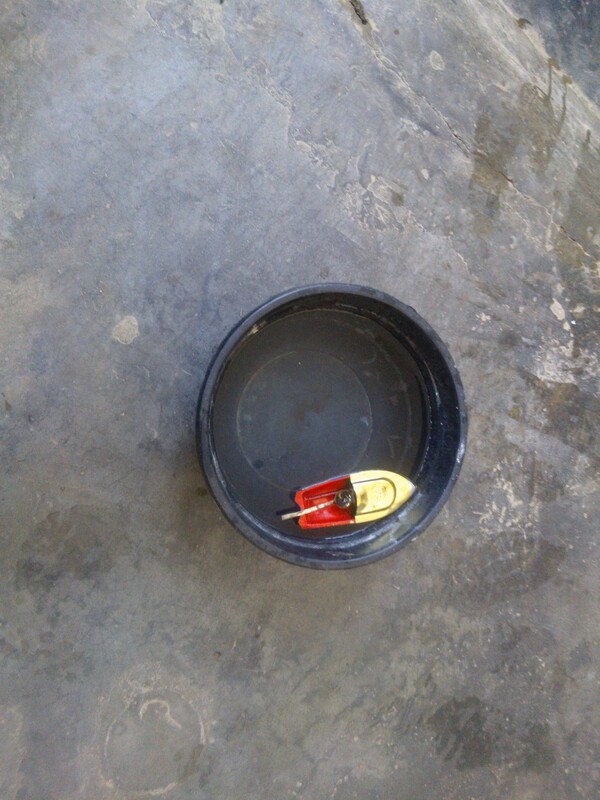 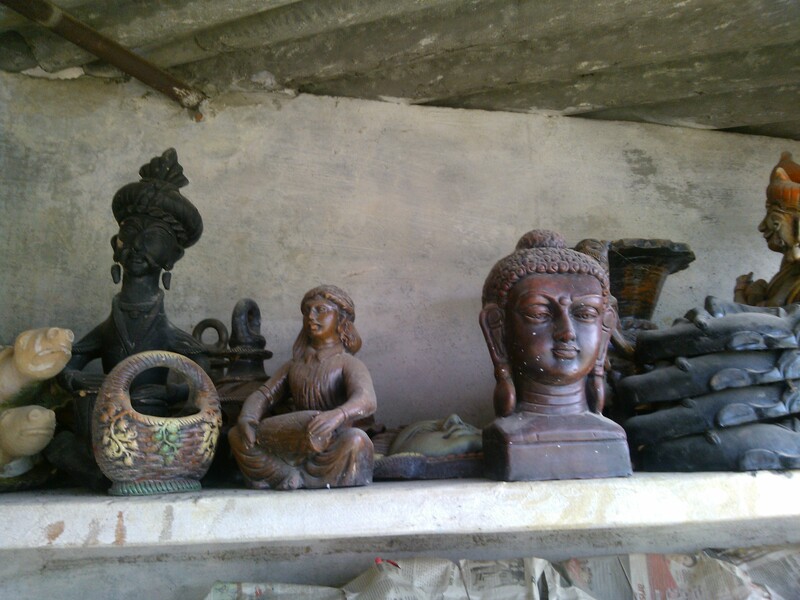 These are the places which constitute the essence of my childhood…. 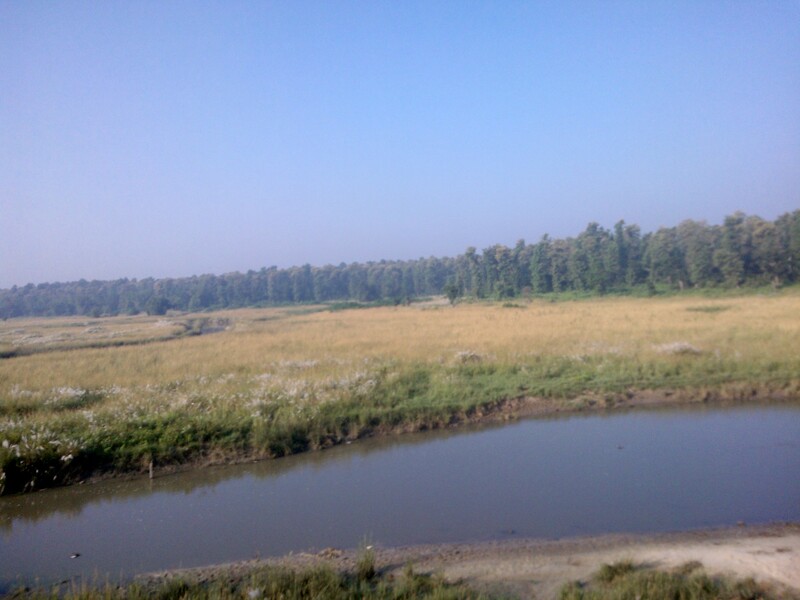 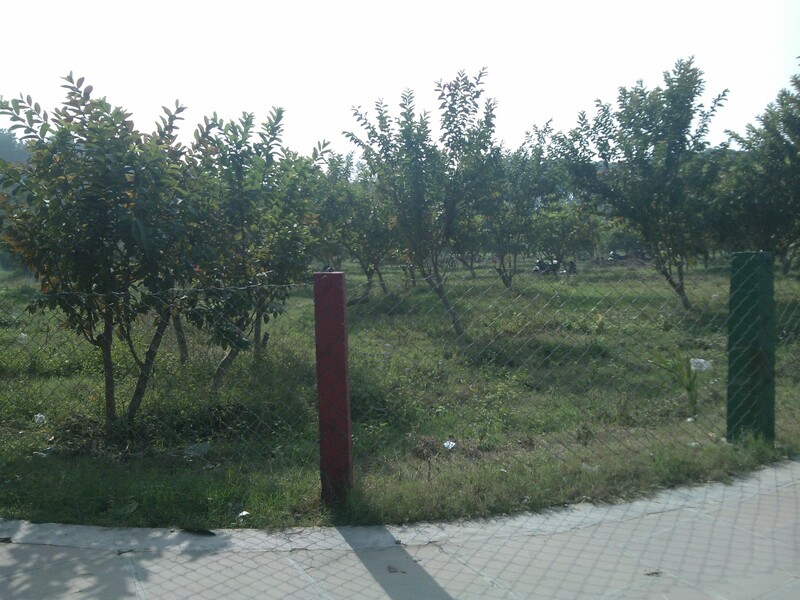 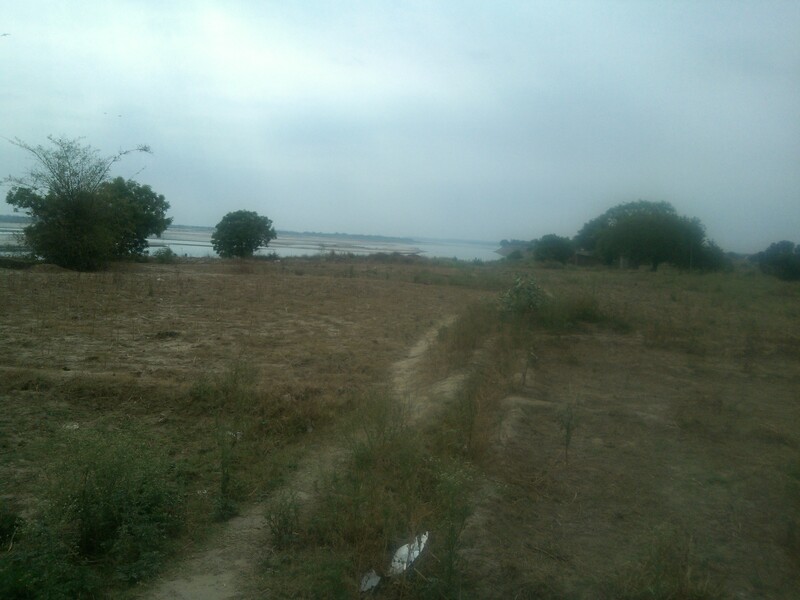 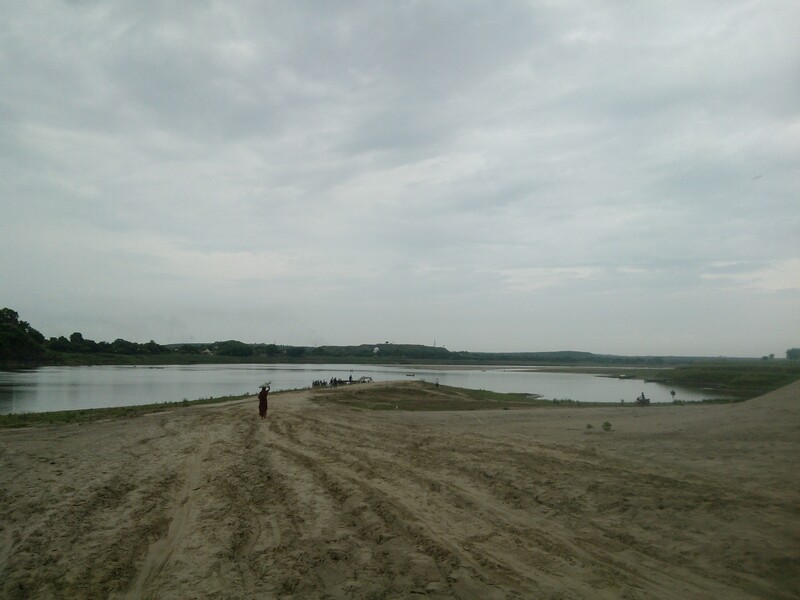 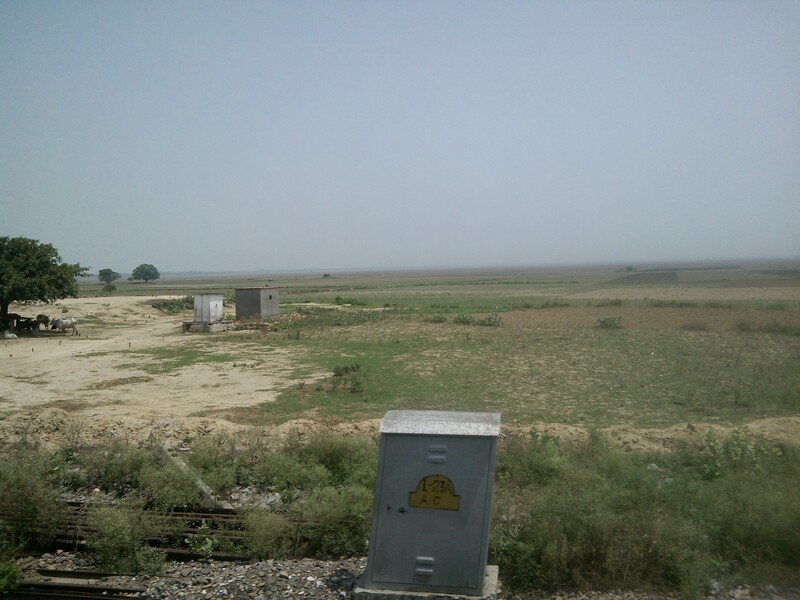 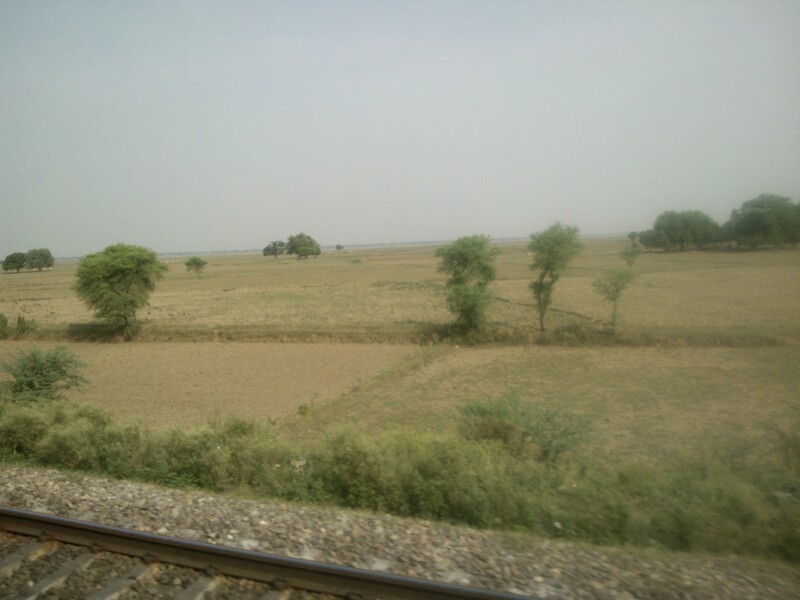 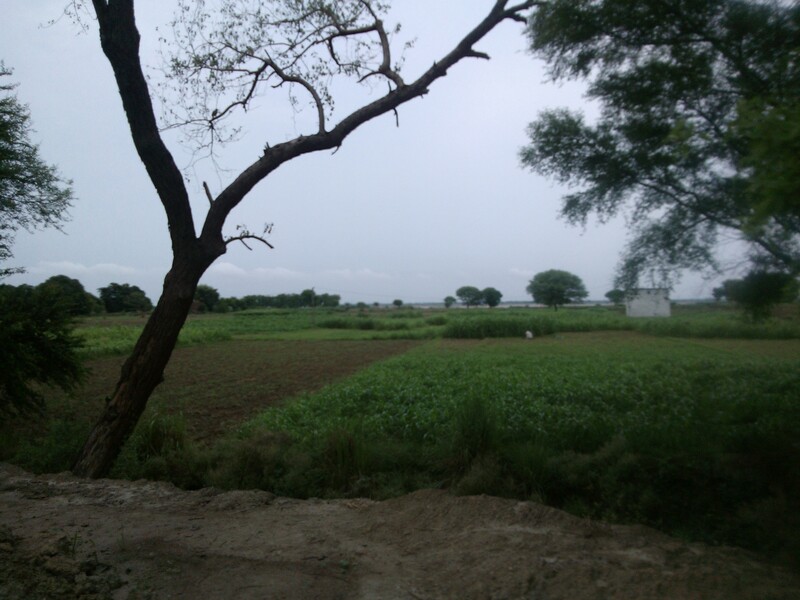 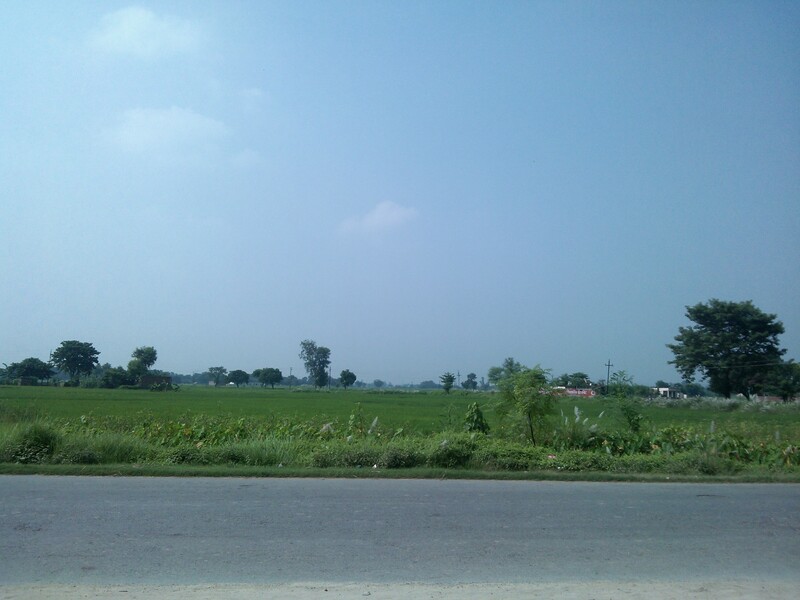 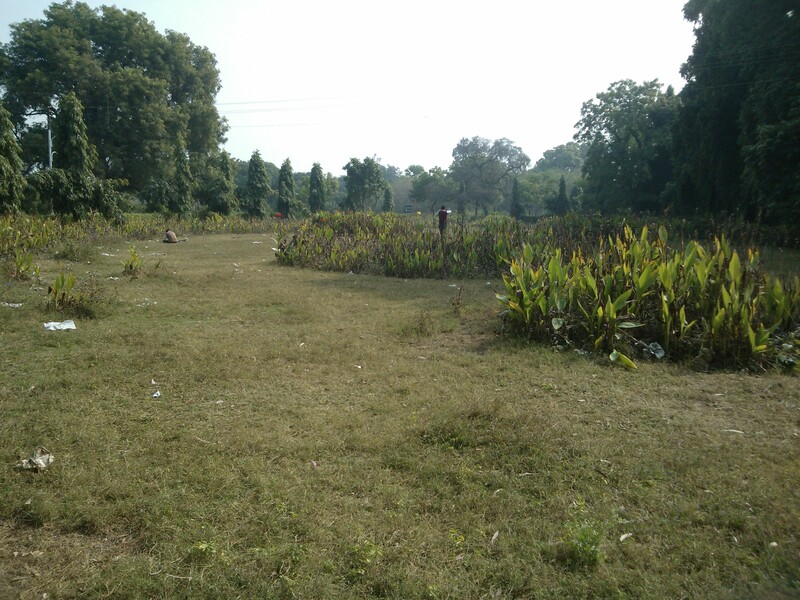 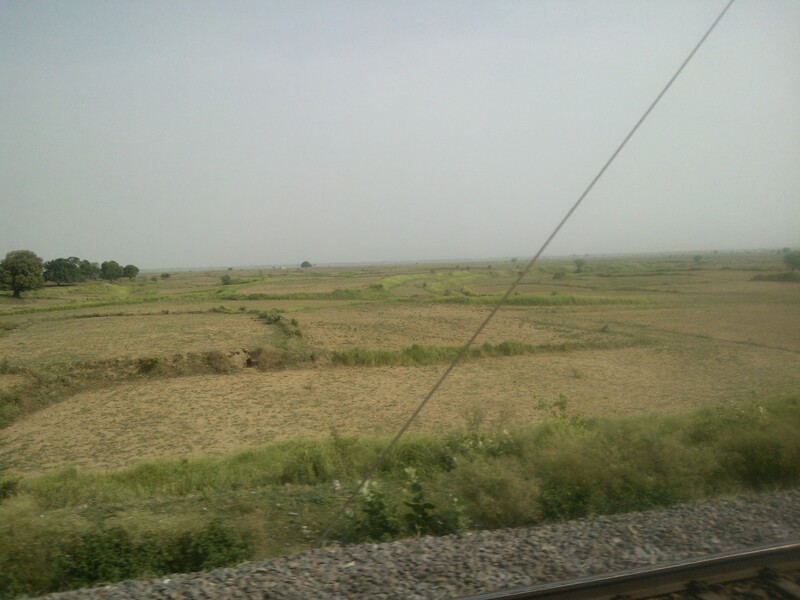 Fields near the banks of Ganges…. 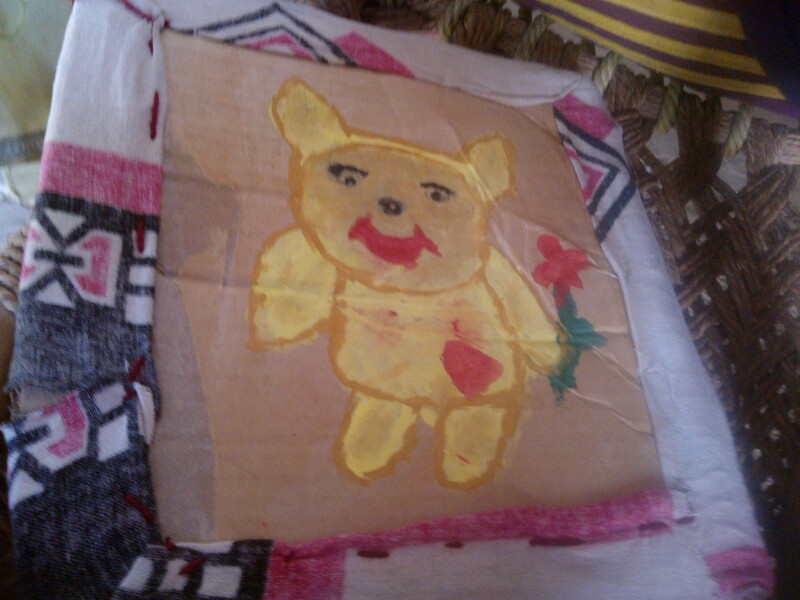 My Best Village Friend Possess Artistic Temperament…This self-made hand fan is standard evidence of her artistic bent of mind…. 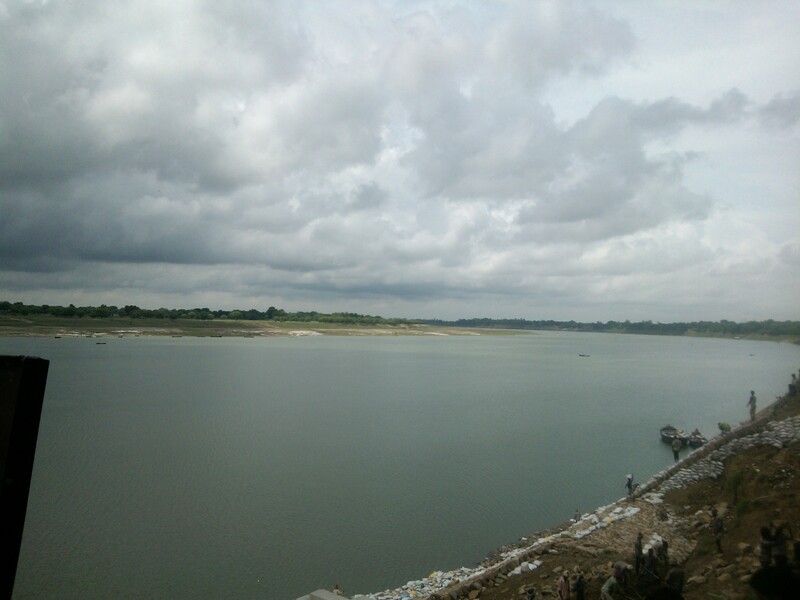 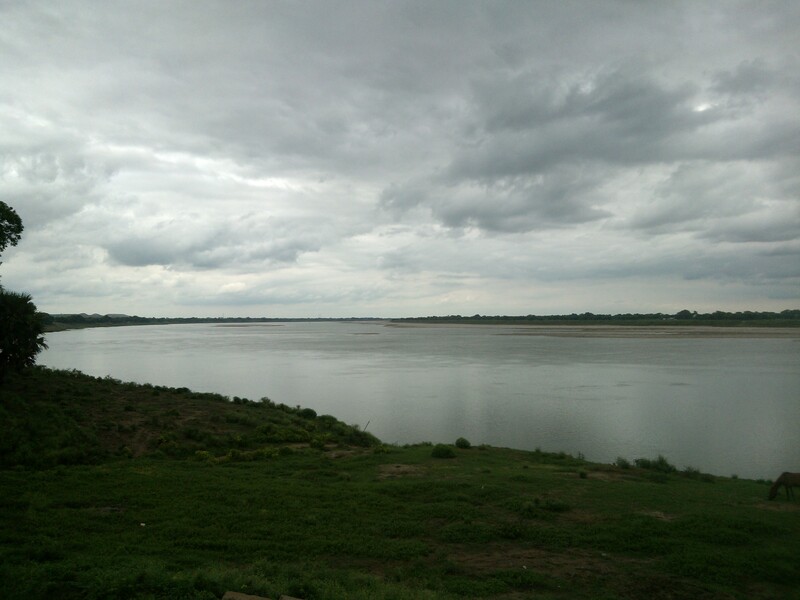 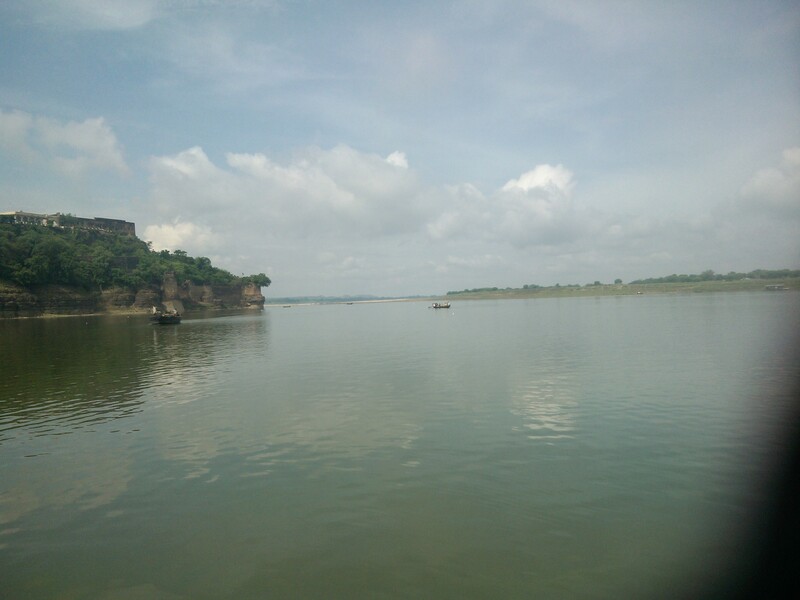 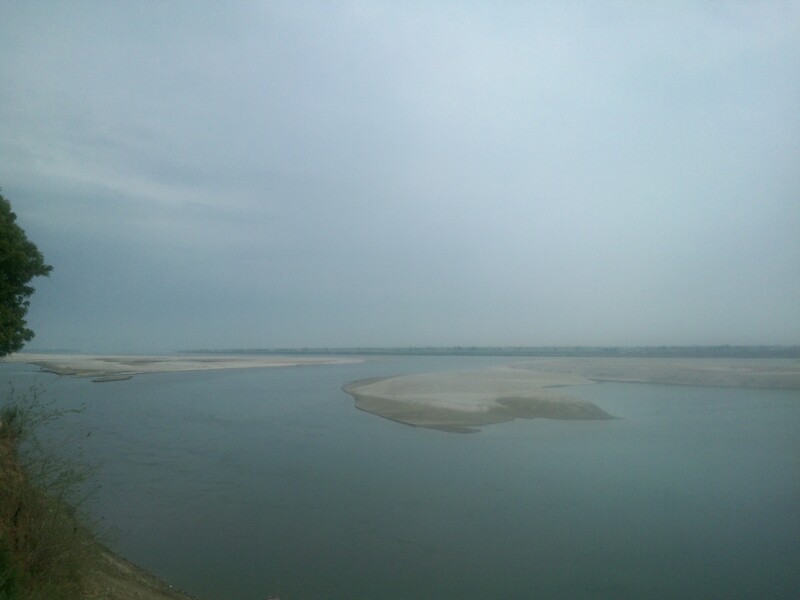 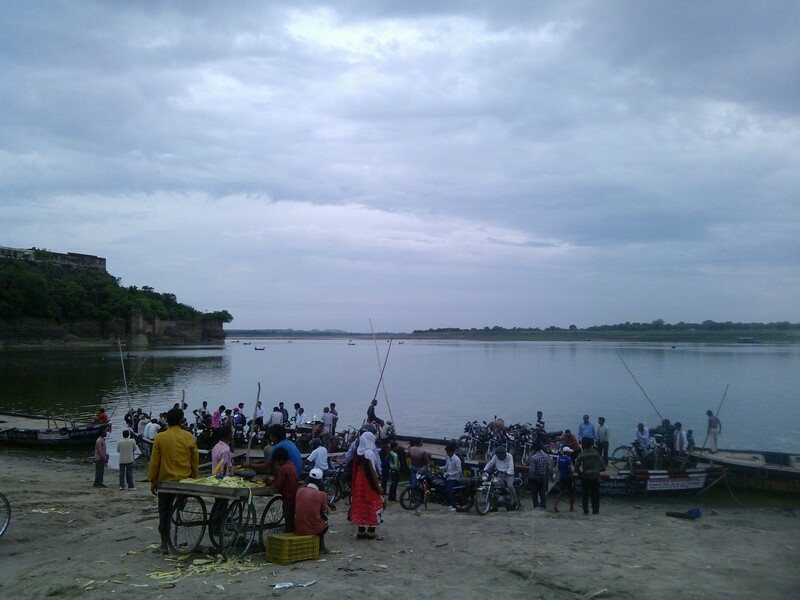 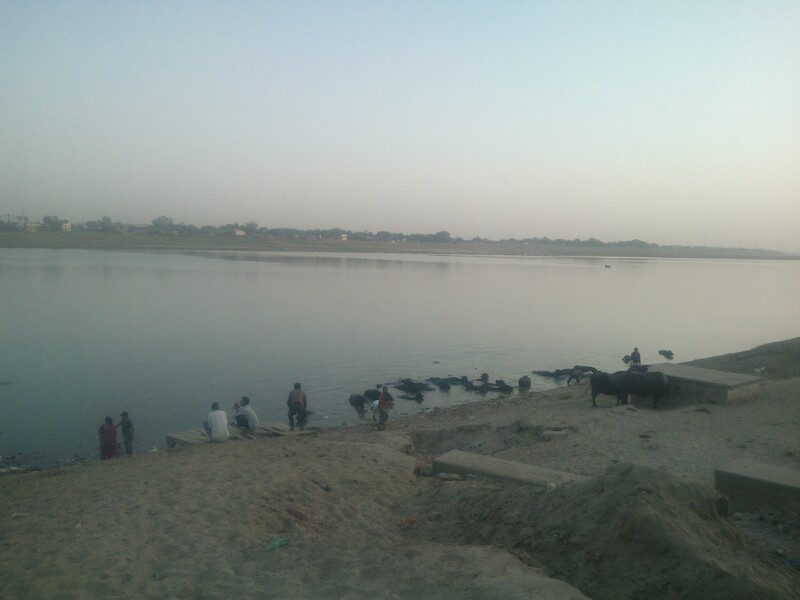 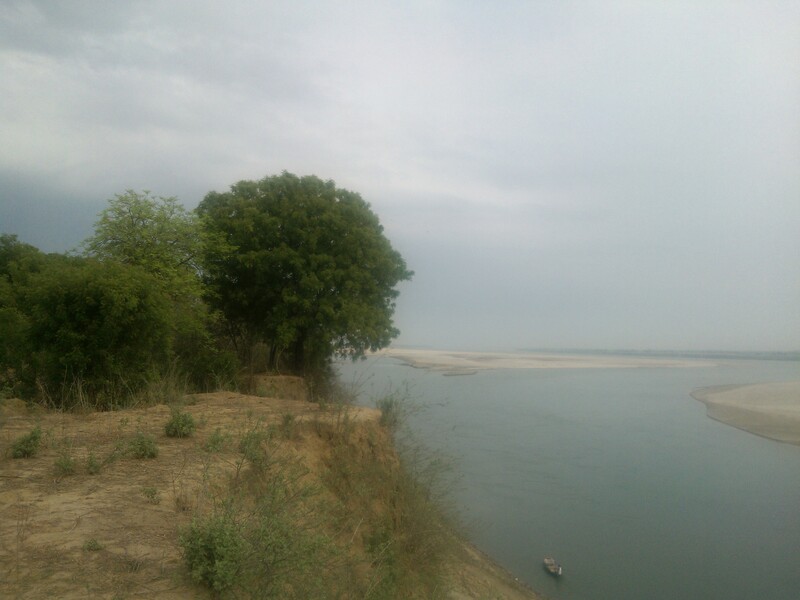 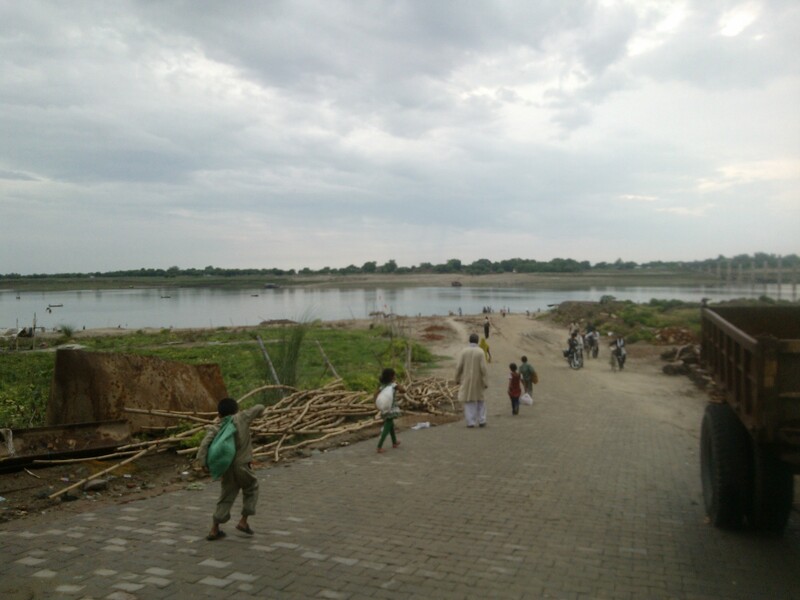 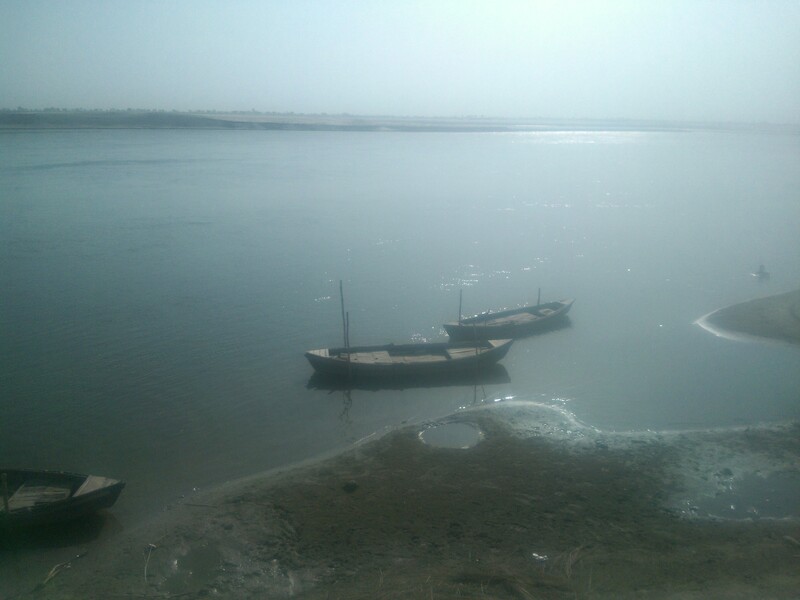 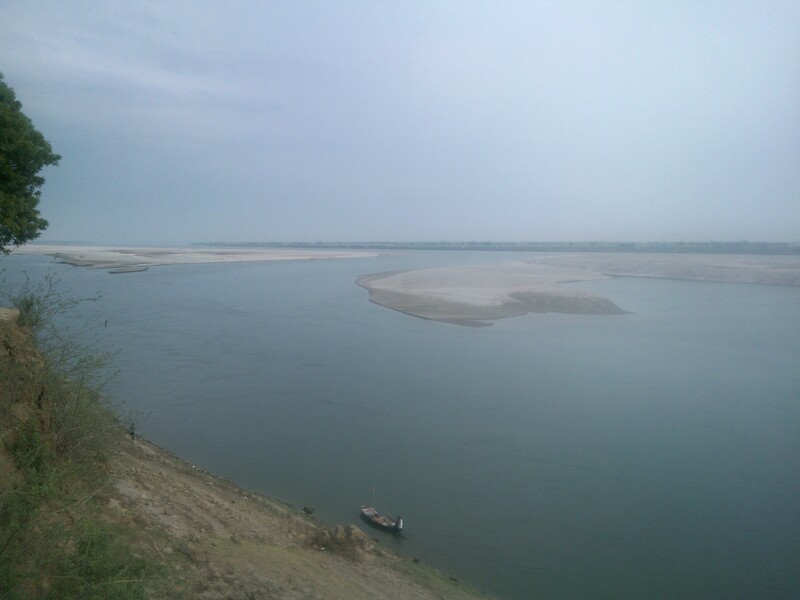 The Real Village Of Yesteryear …..
And That’s The Scene Which Makes Me Madly In Love With My Village….Ganges, The Mother Of Universe, Flows In My Village With All Its Beauty And Grandeur…..
Ganges: The Lifeline Of Bharata…. 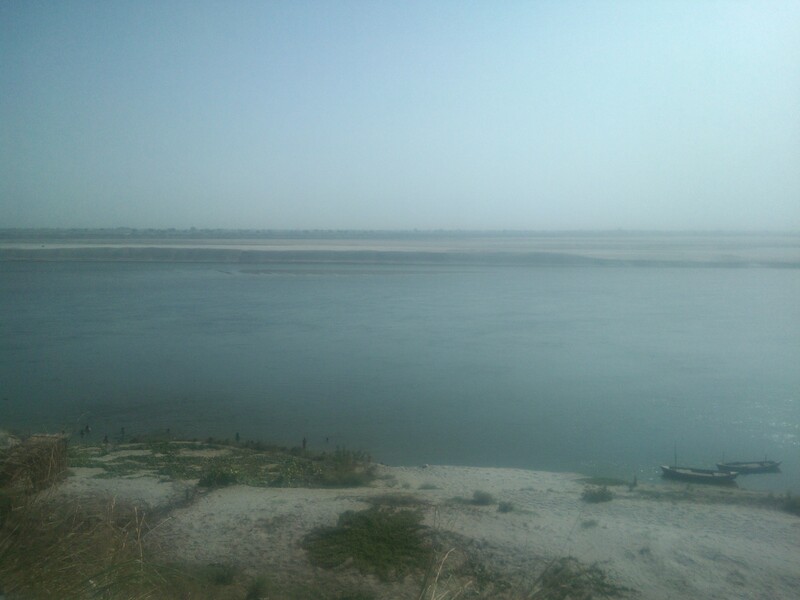 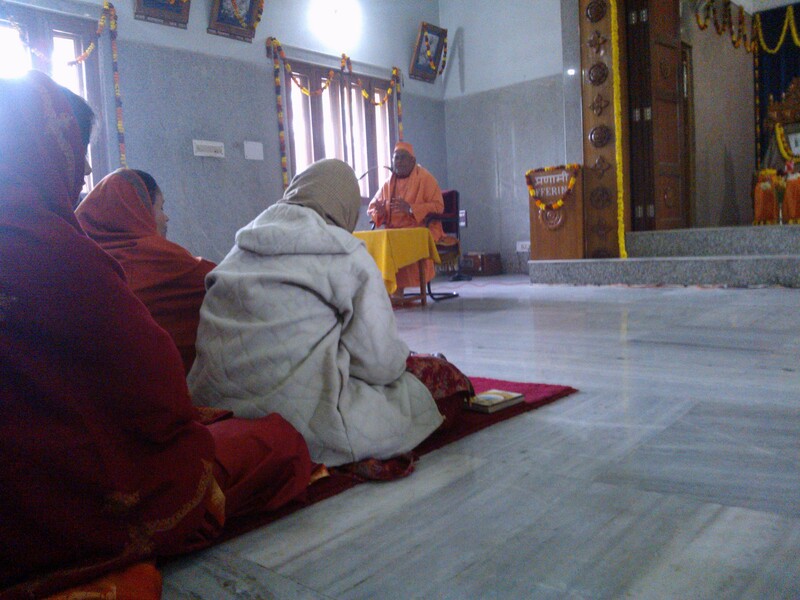 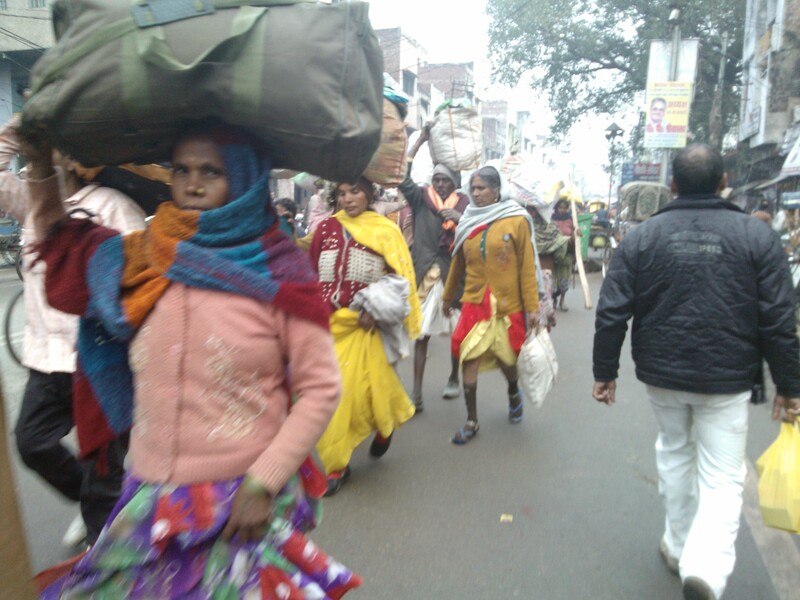 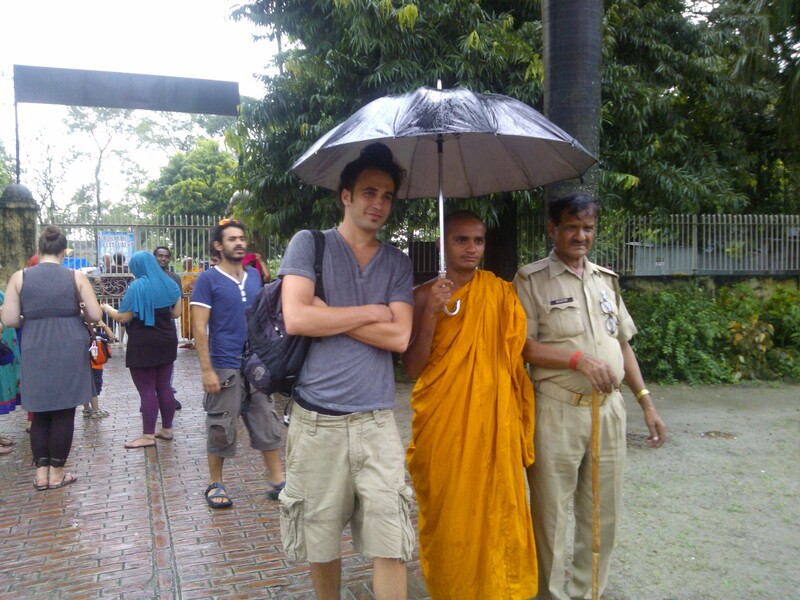 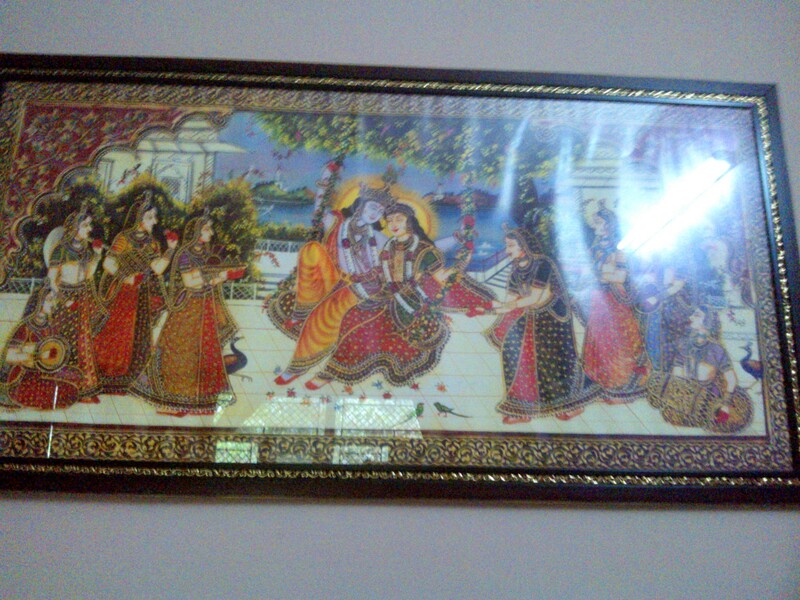 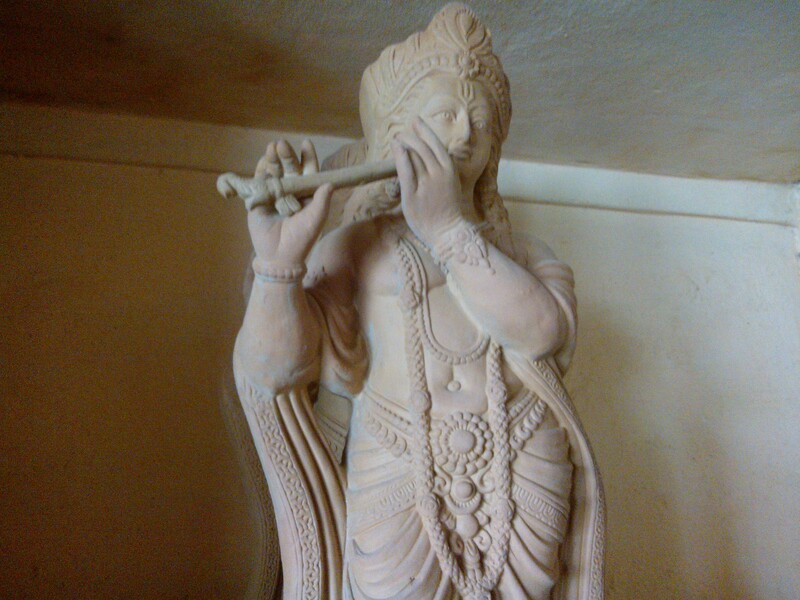 Hope Mother Ganges Always Takes Care Of Me Amid Maya Of The Lord…. 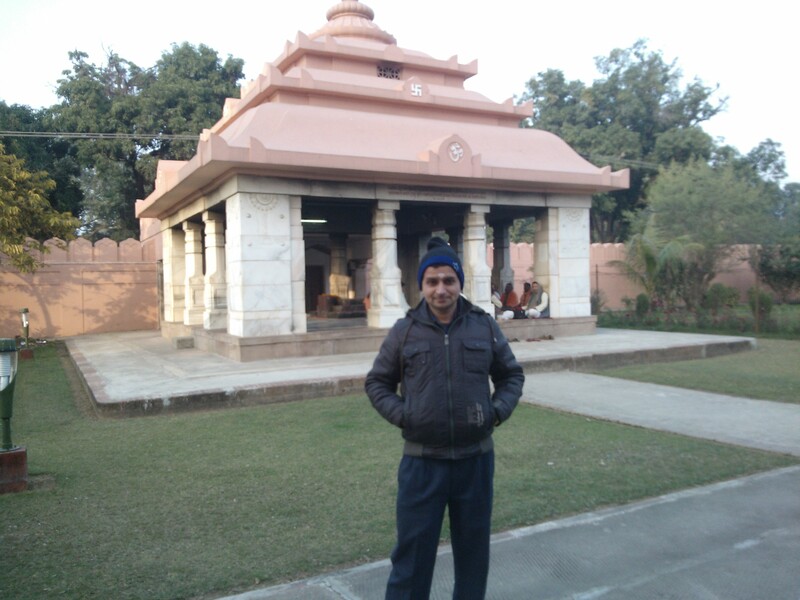 Myself At My Ancestral Home….A Place That Keeps Me Connected To My Childhood…Hope This Place Never Loses Its Majestic Aura!!! 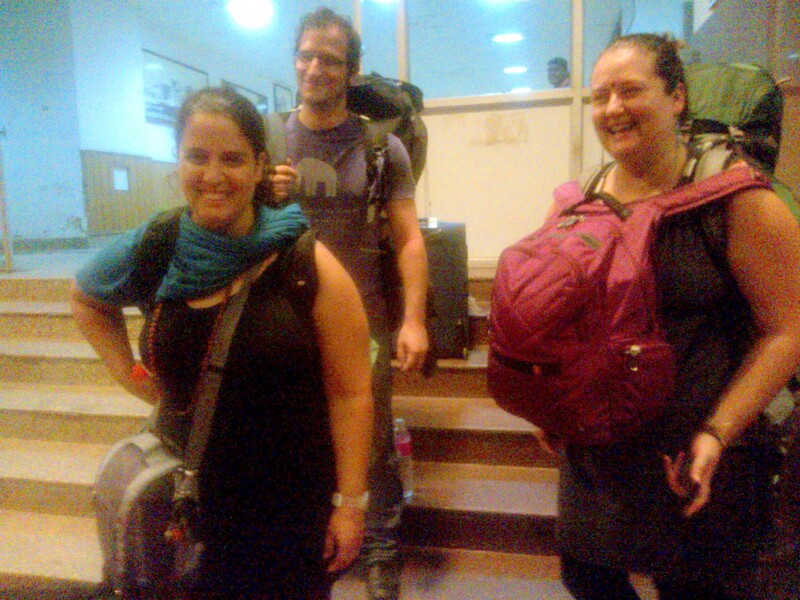 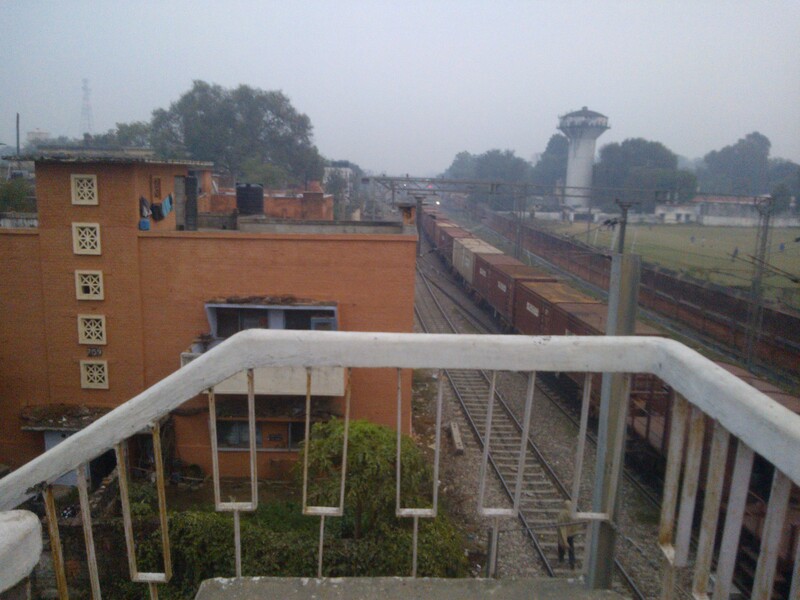 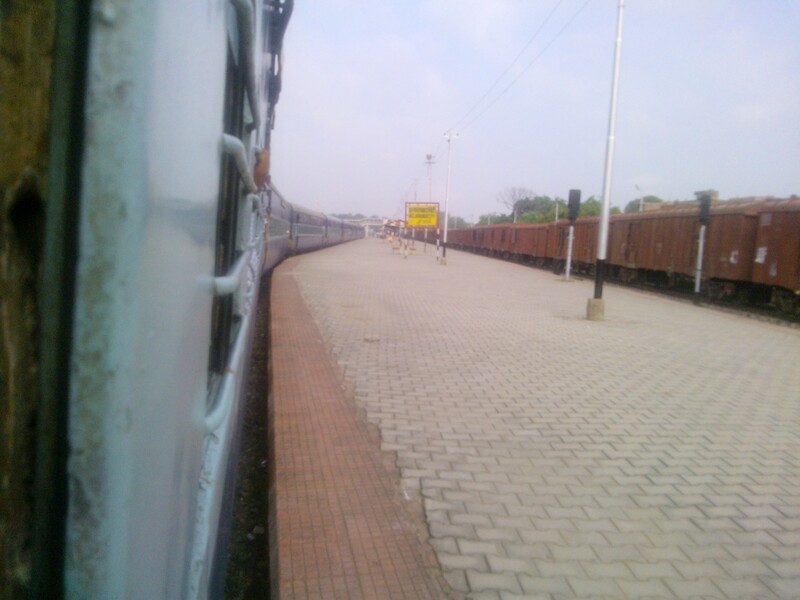 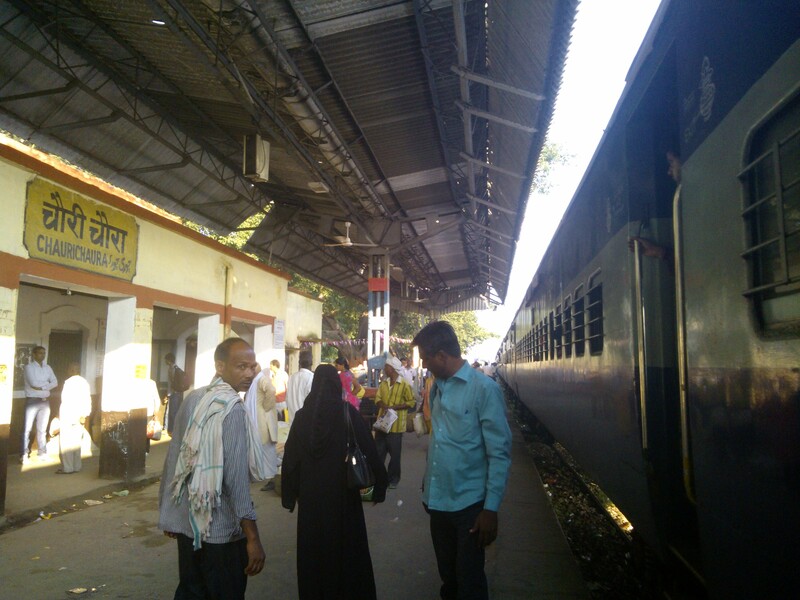 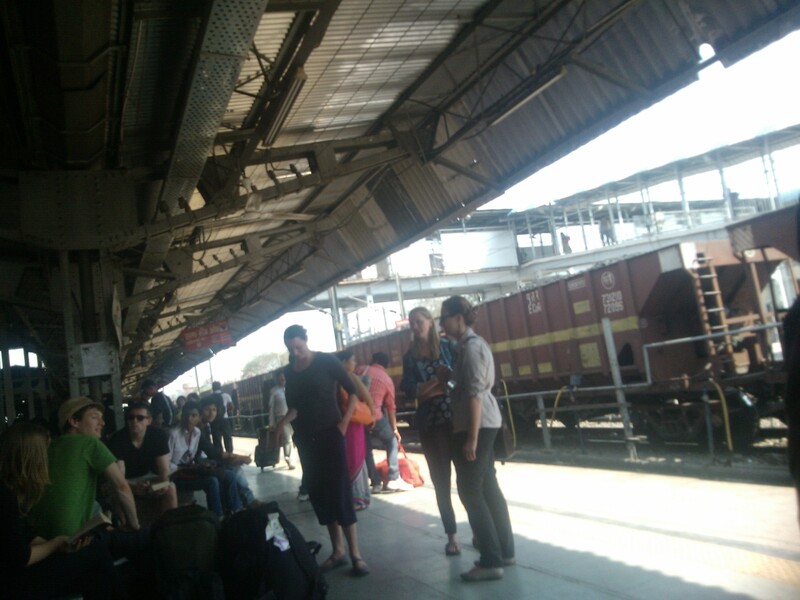 Time To Catch Train To Allahabad!